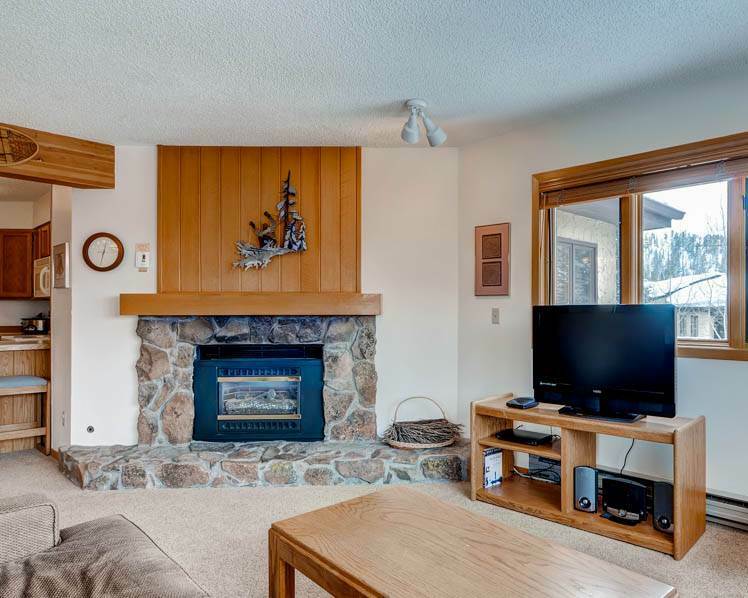 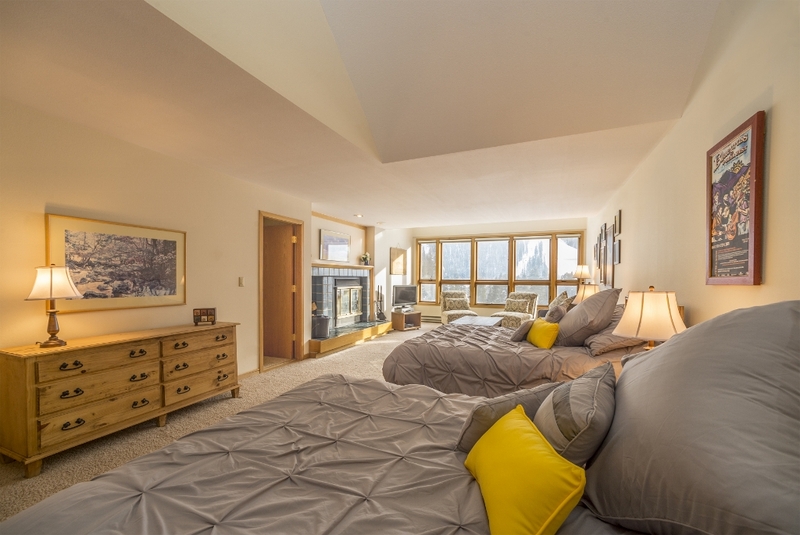 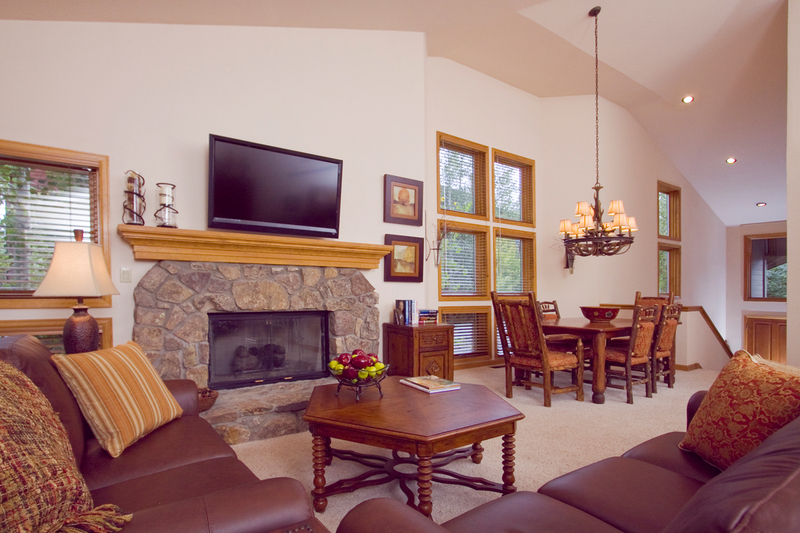 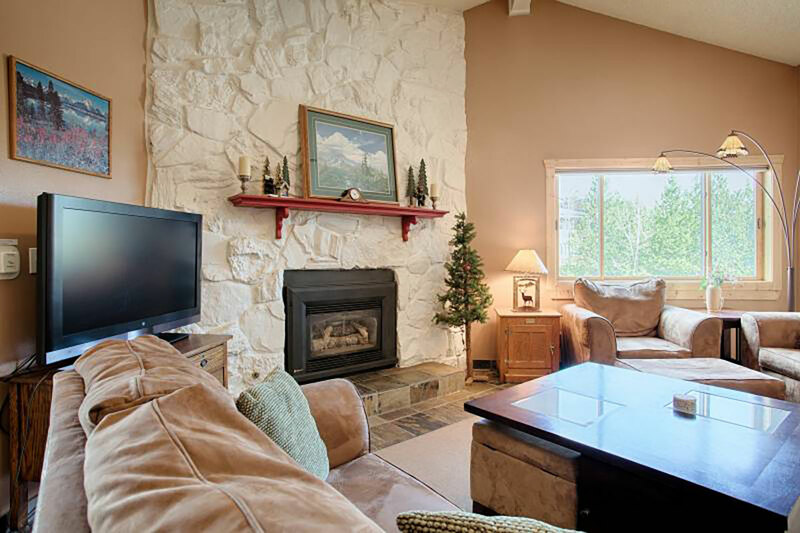 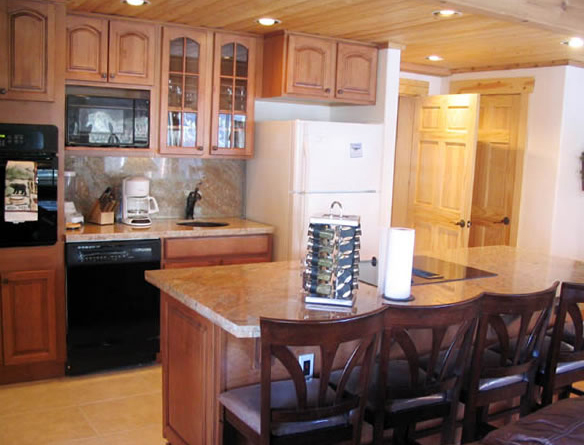 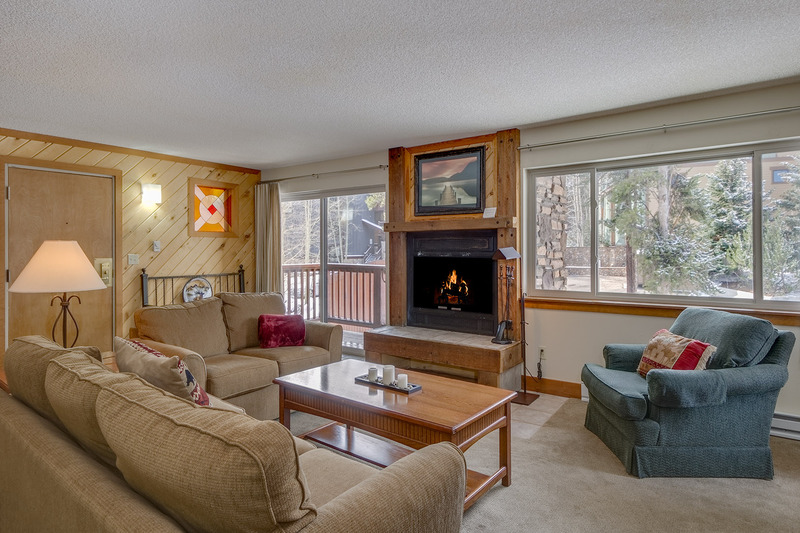 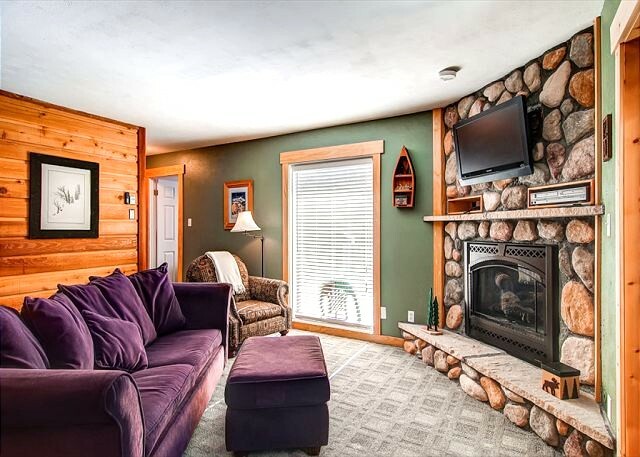 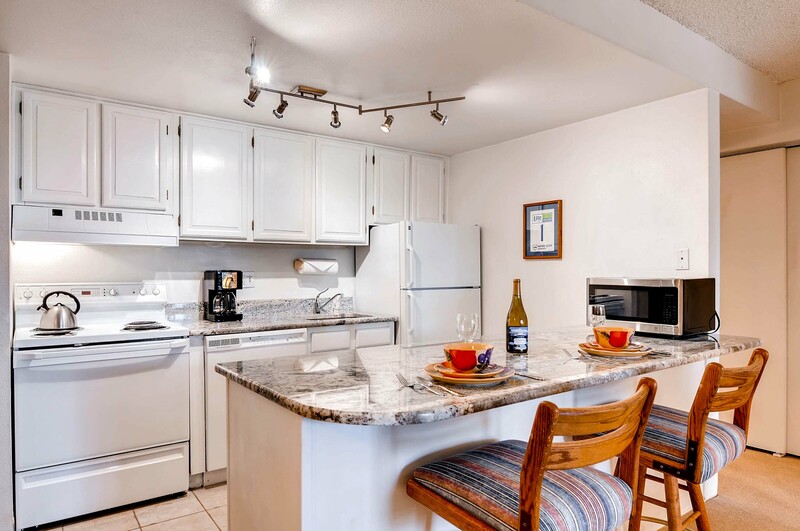 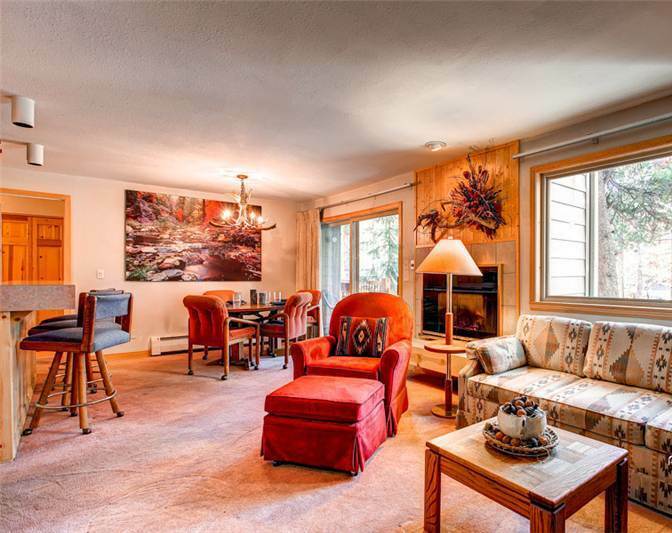 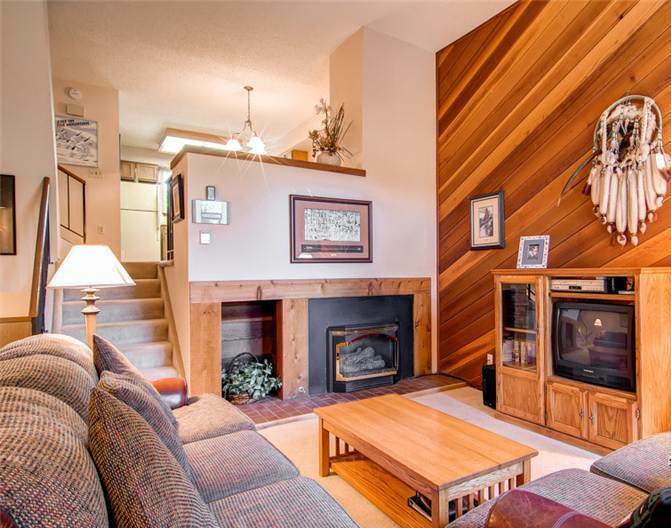 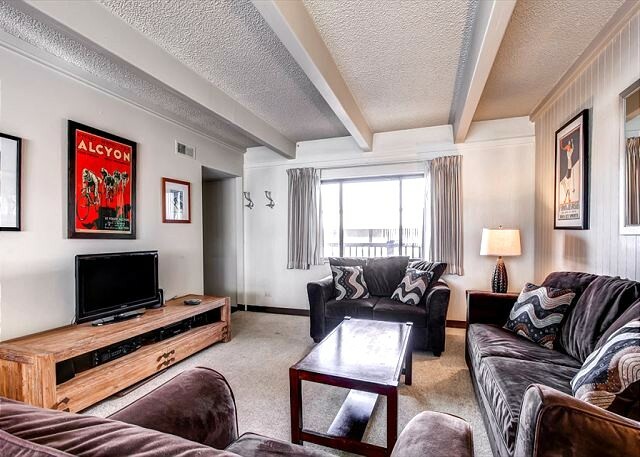 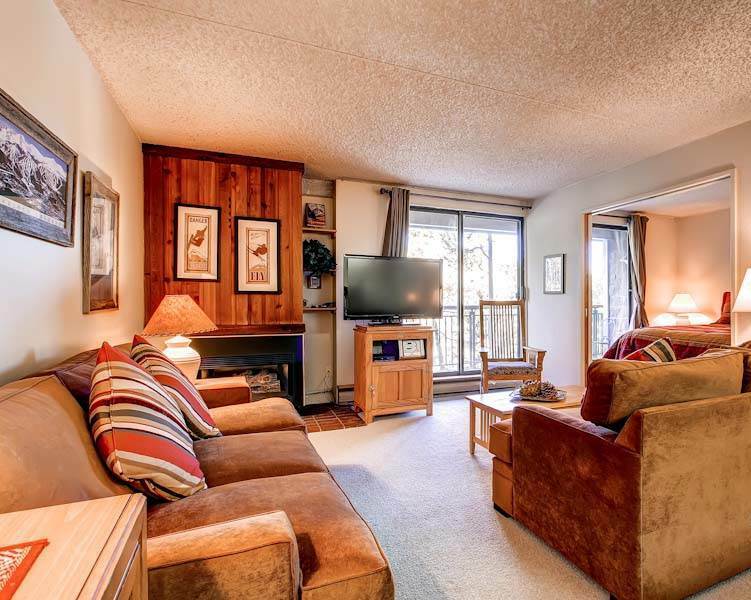 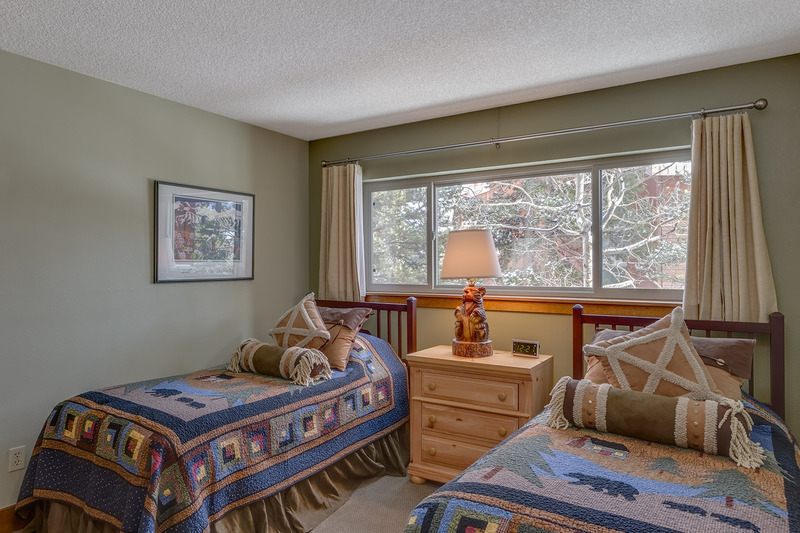 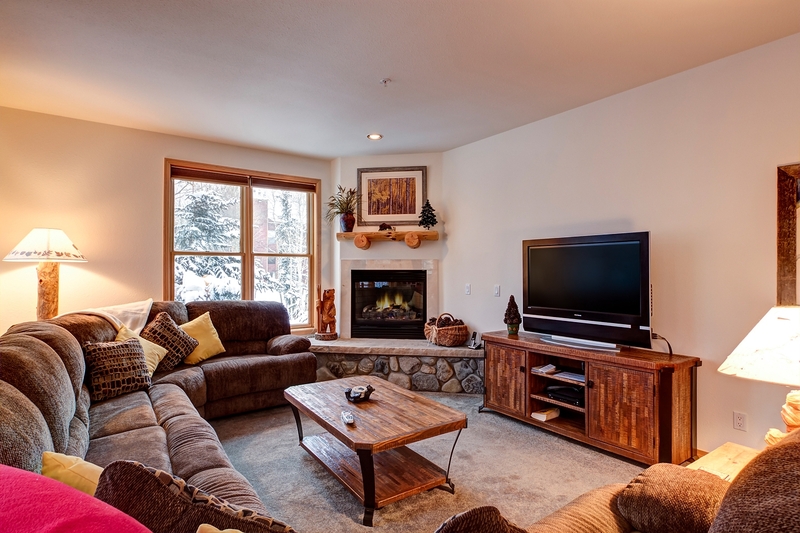 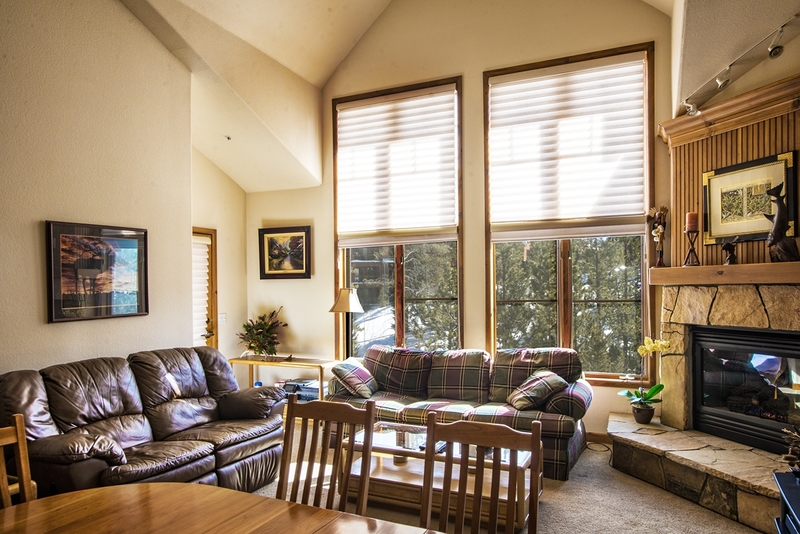 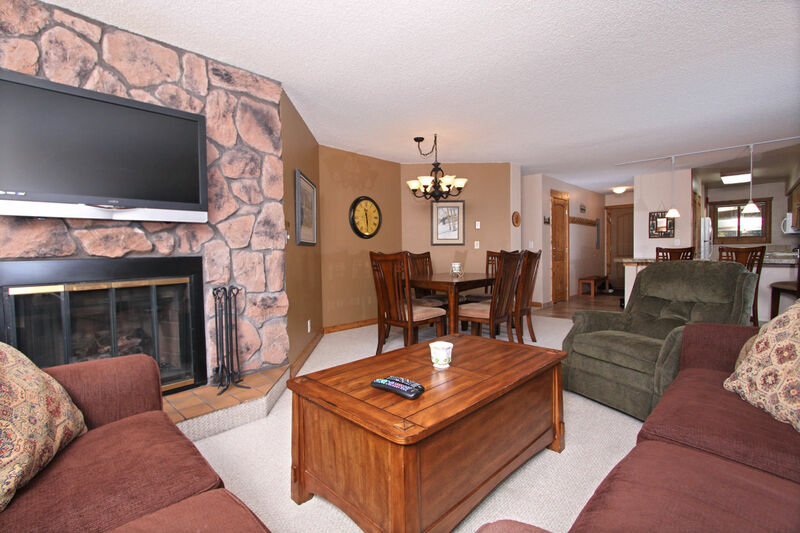 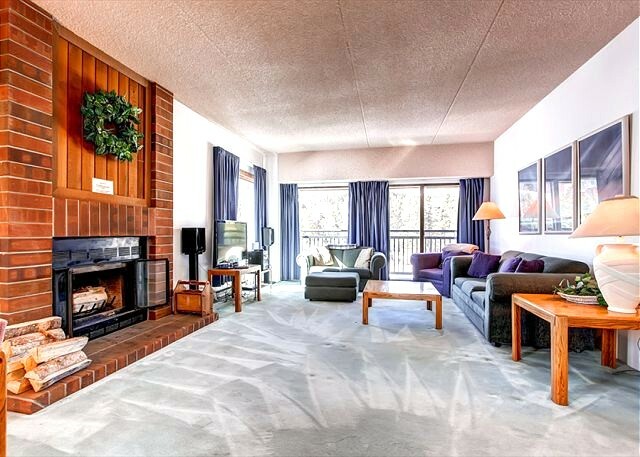 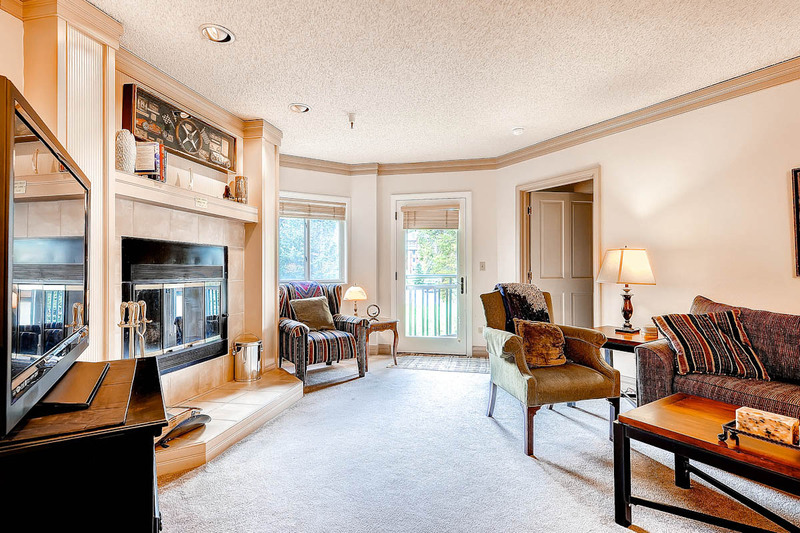 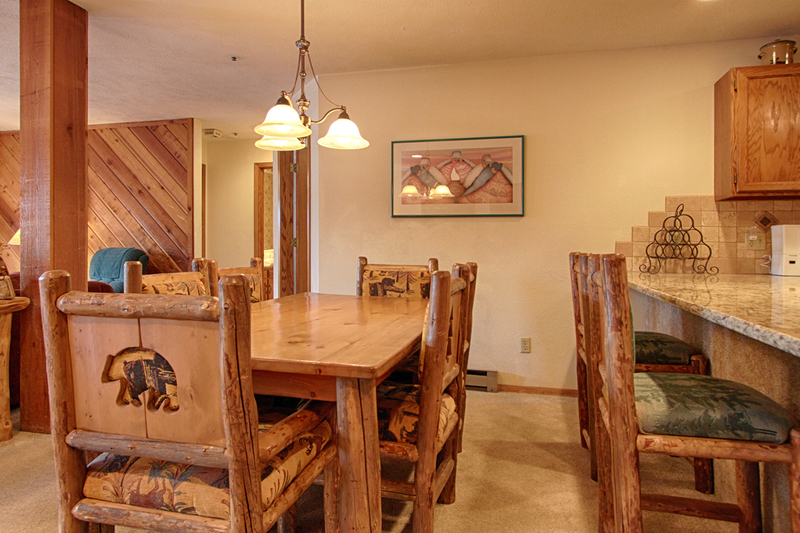 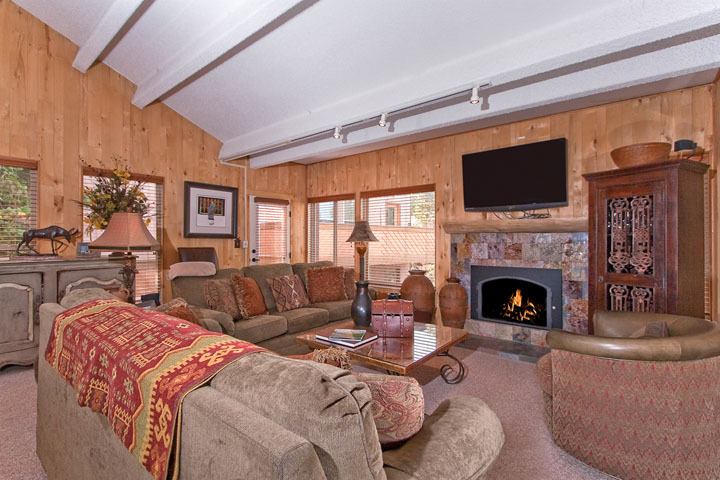 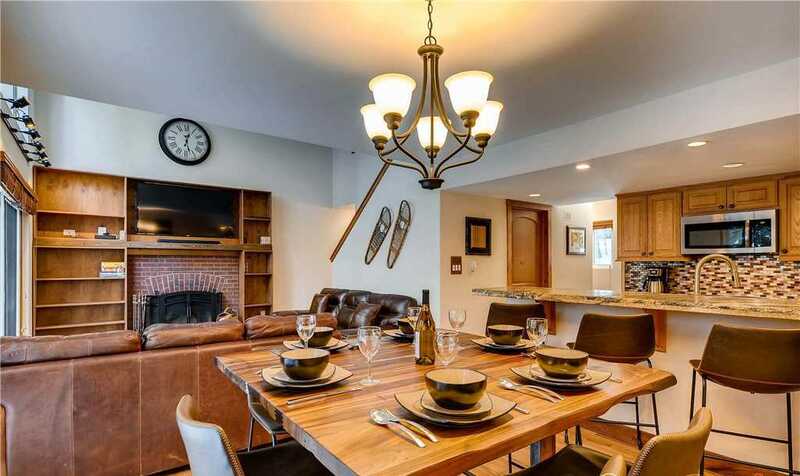 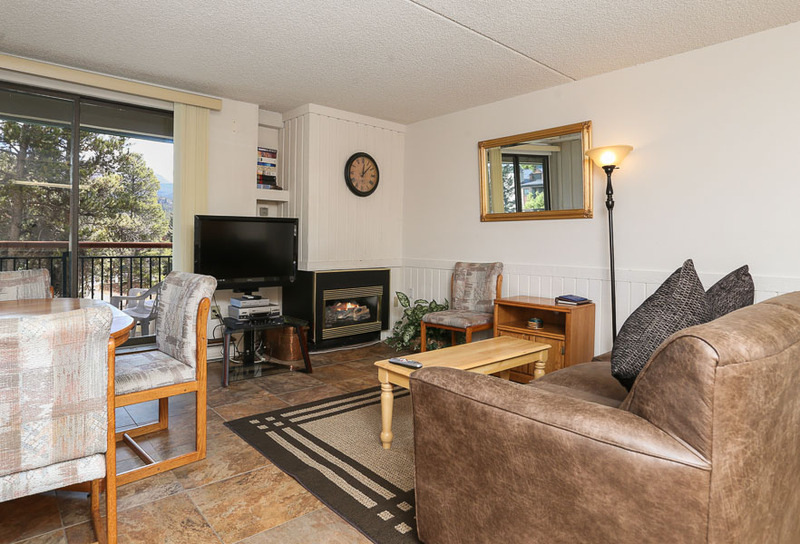 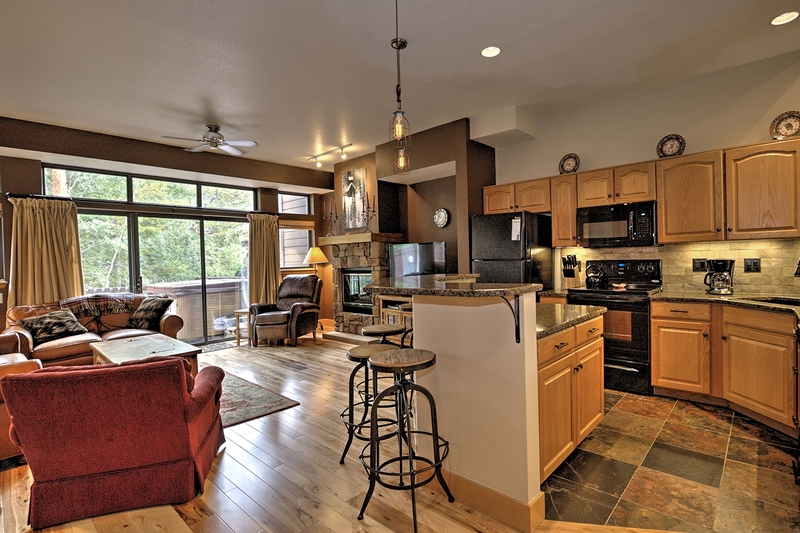 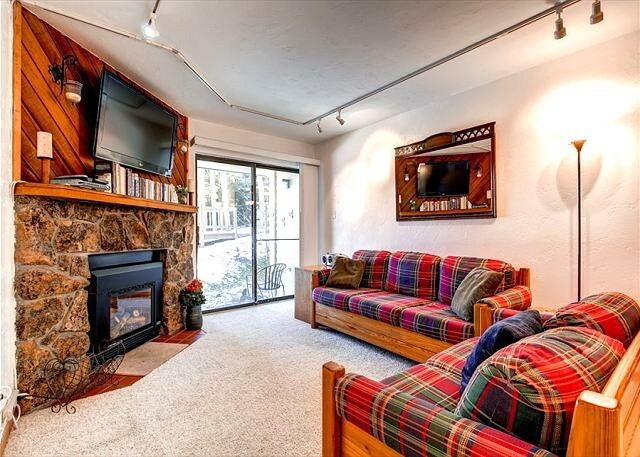 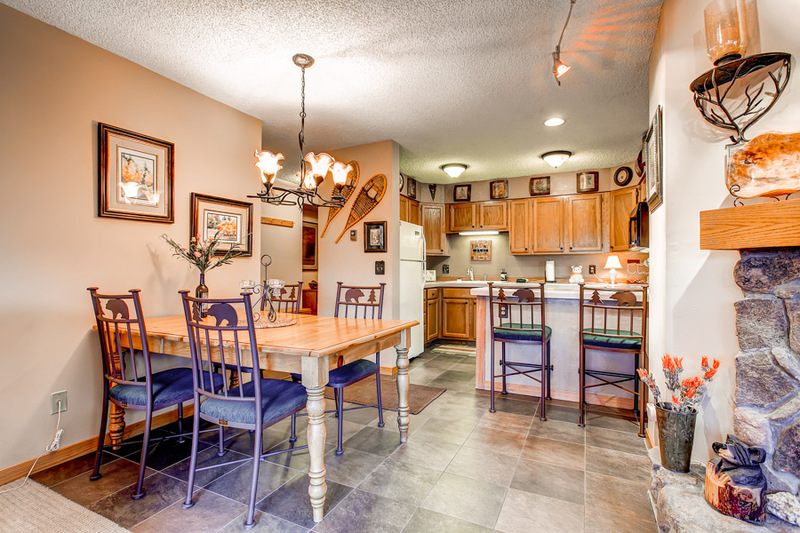 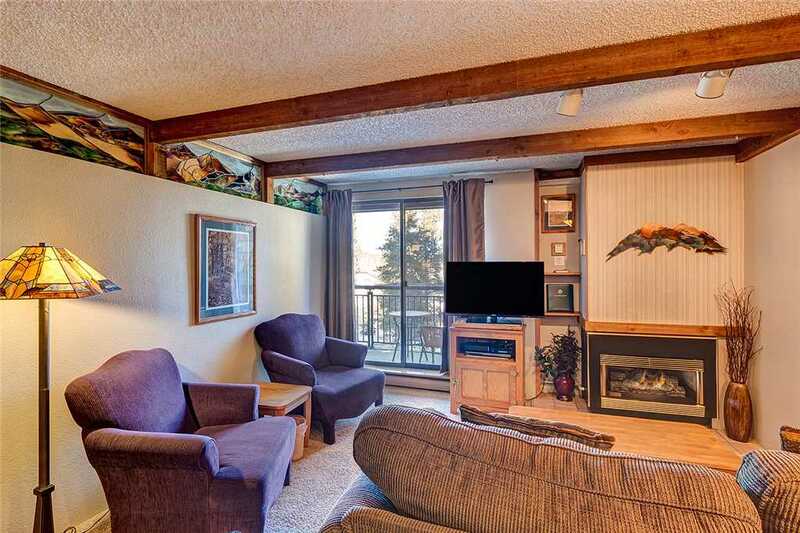 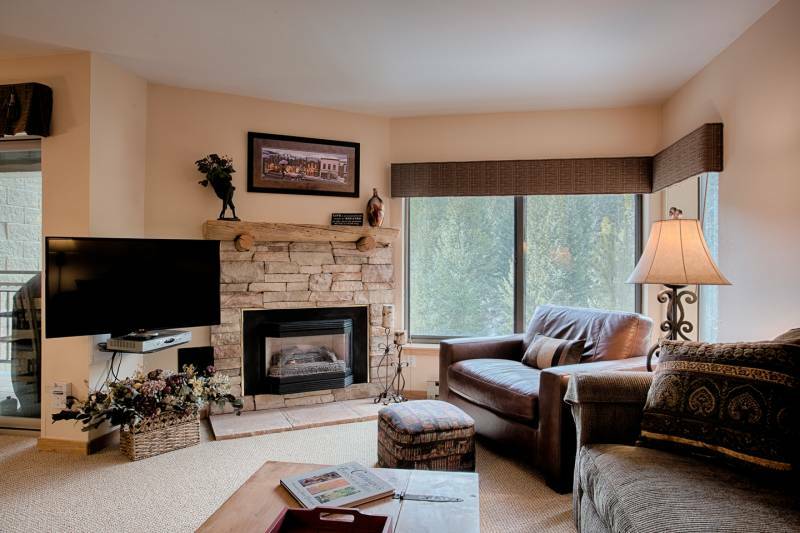 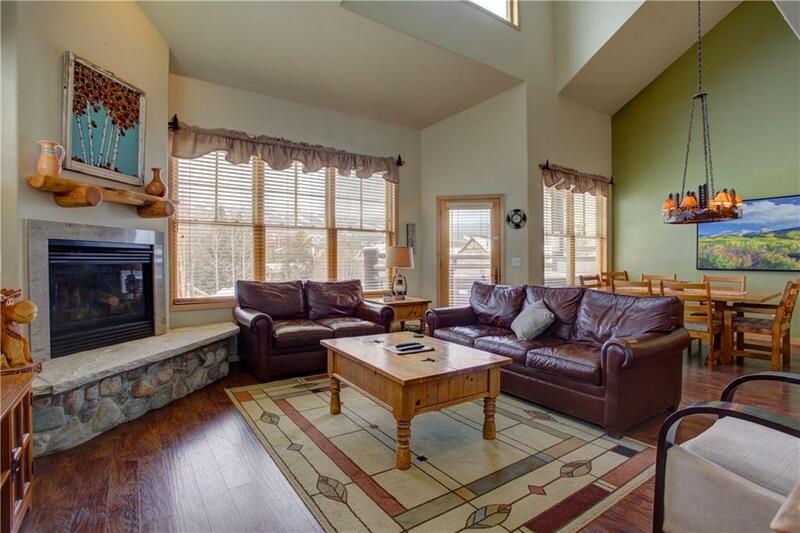 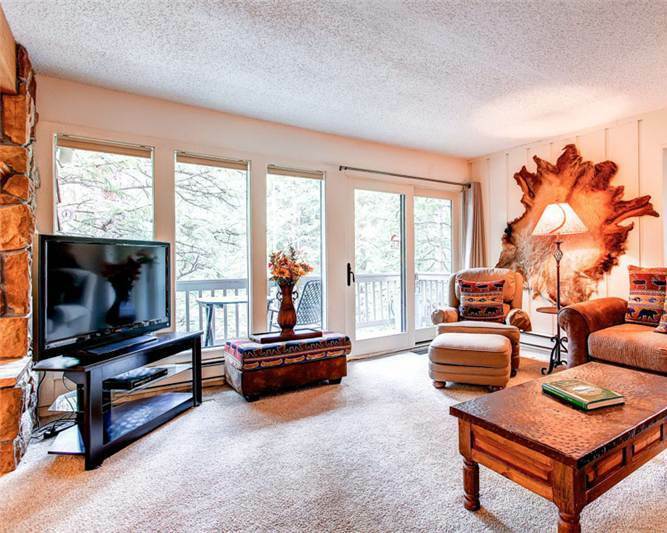 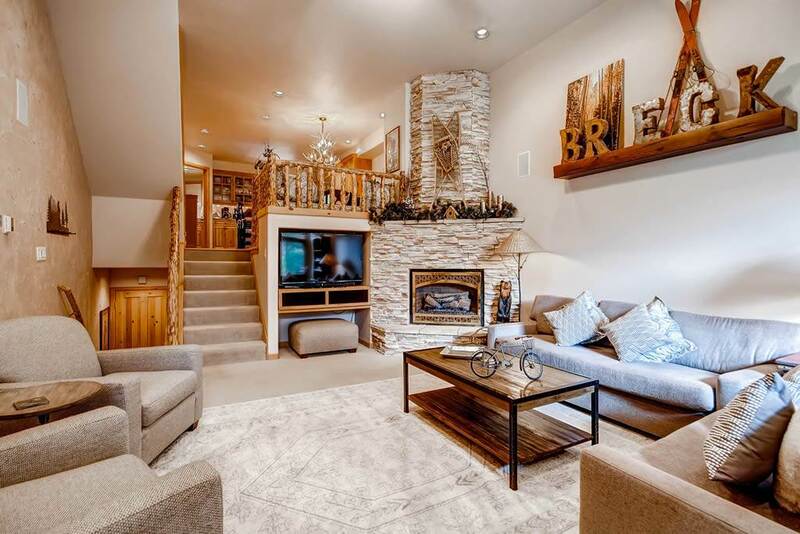 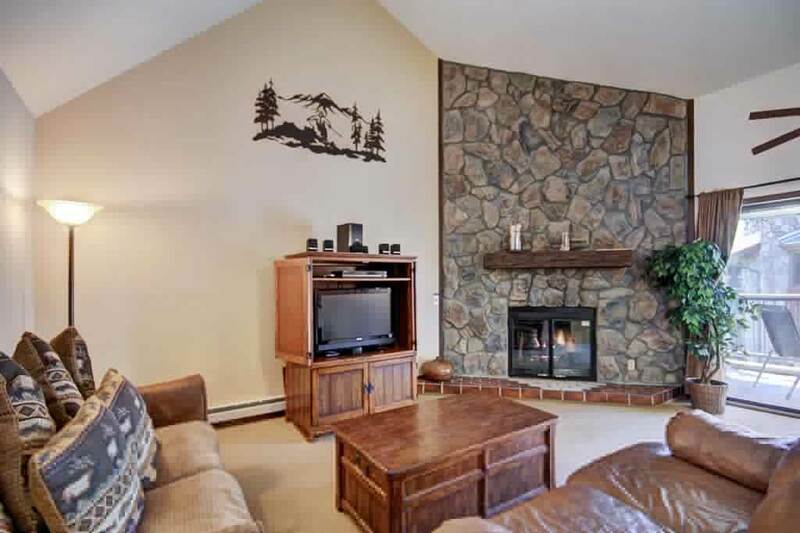 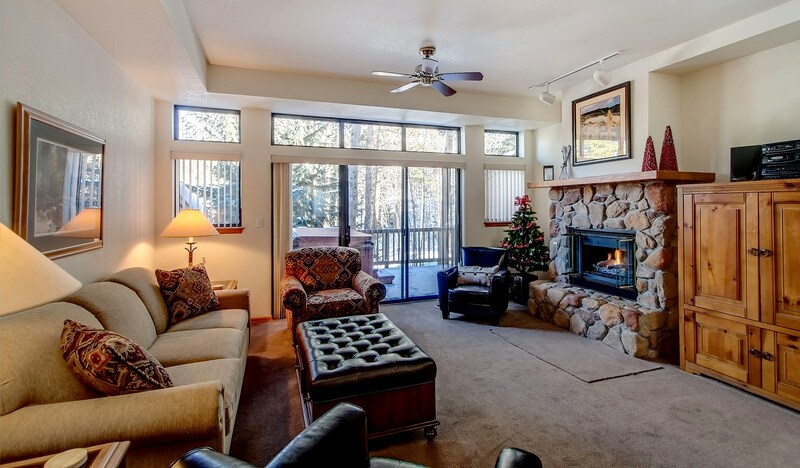 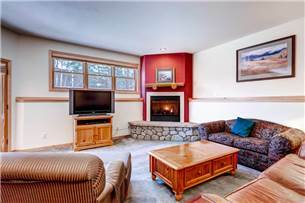 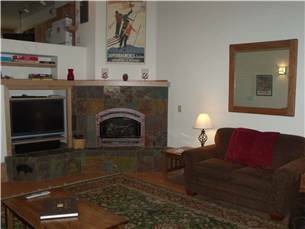 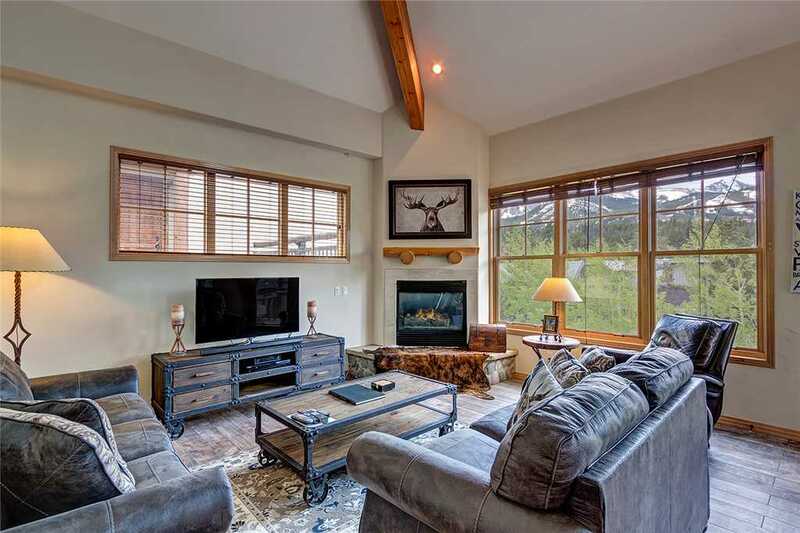 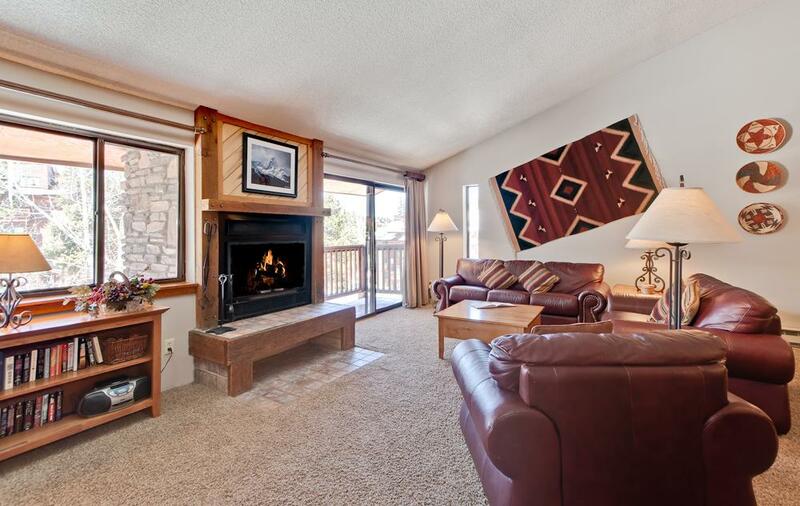 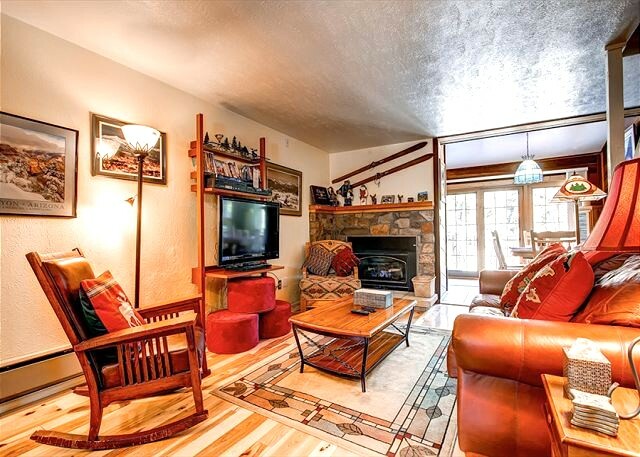 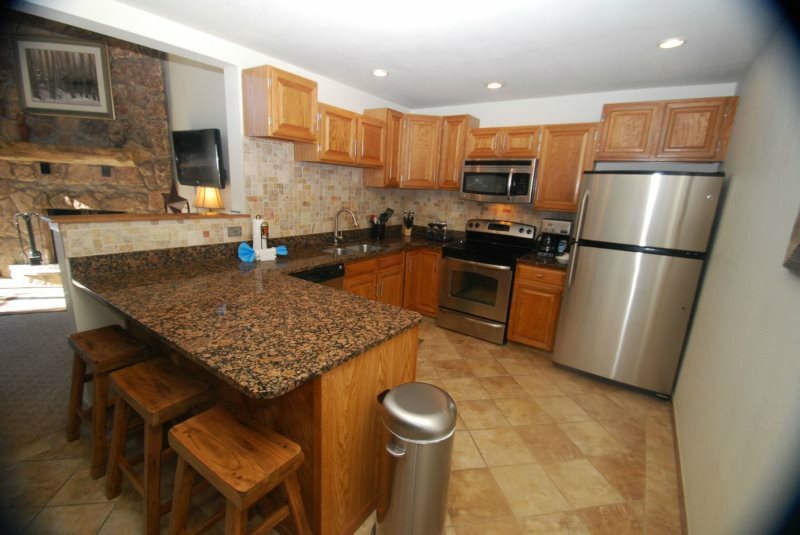 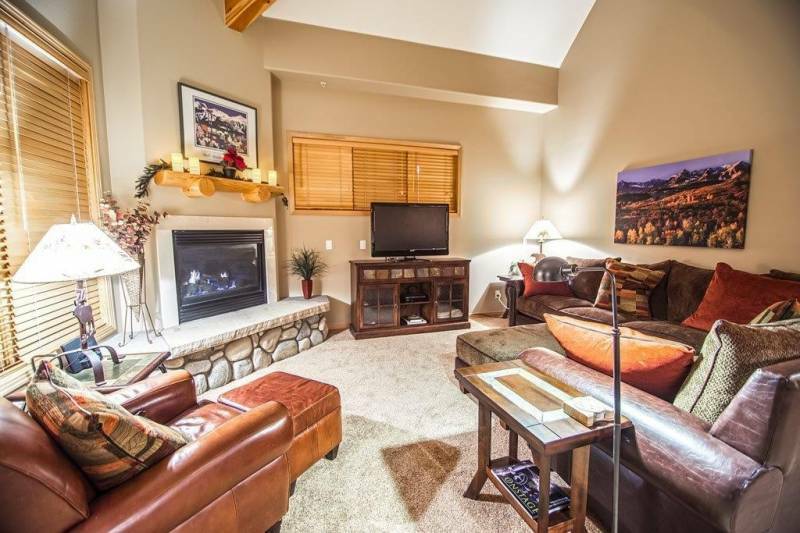 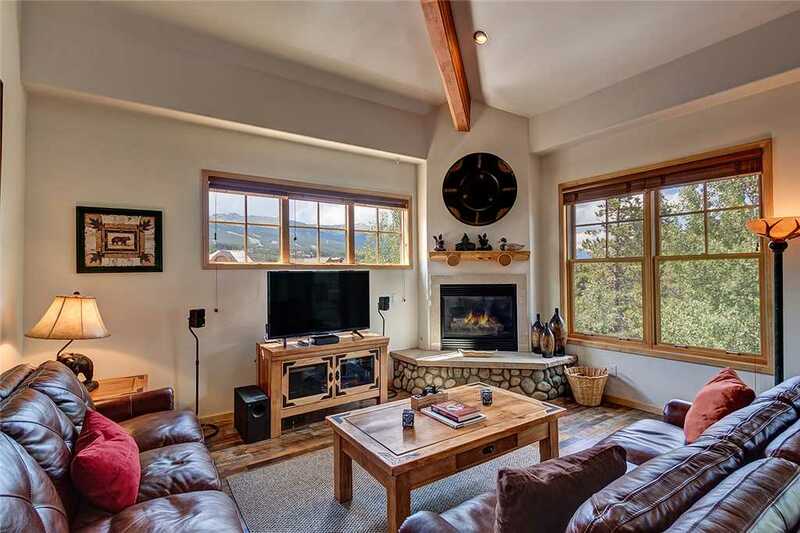 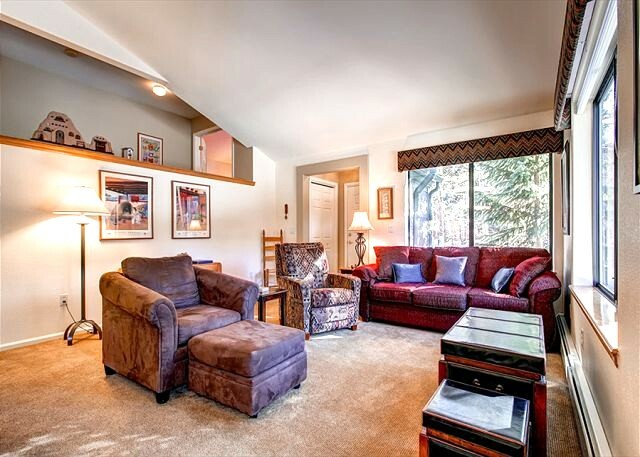 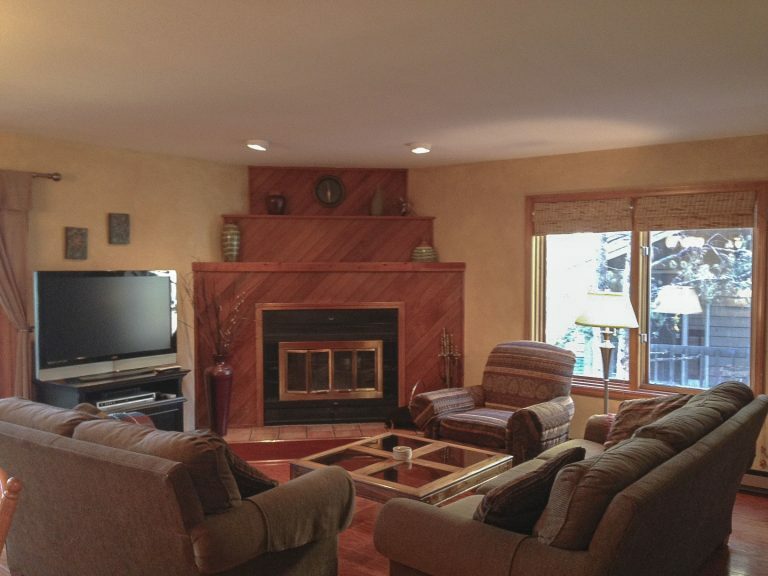 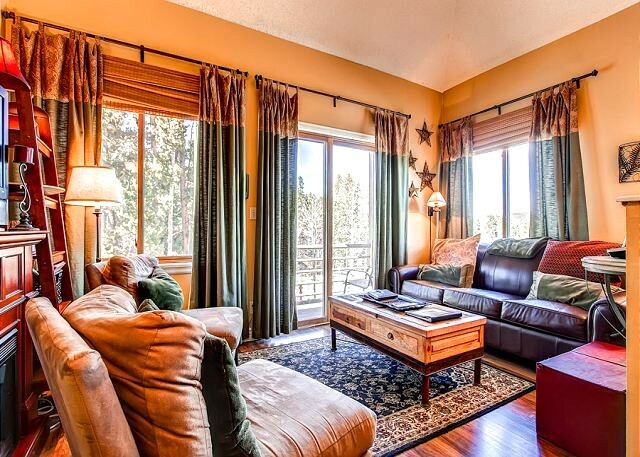 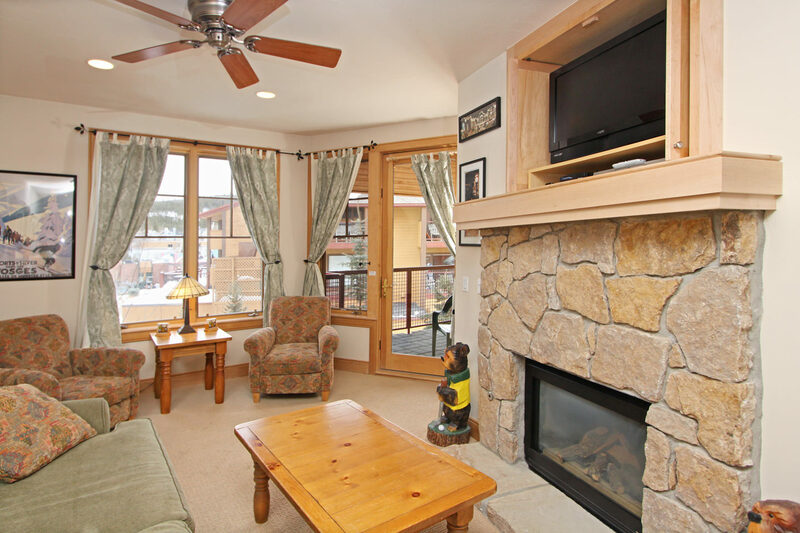 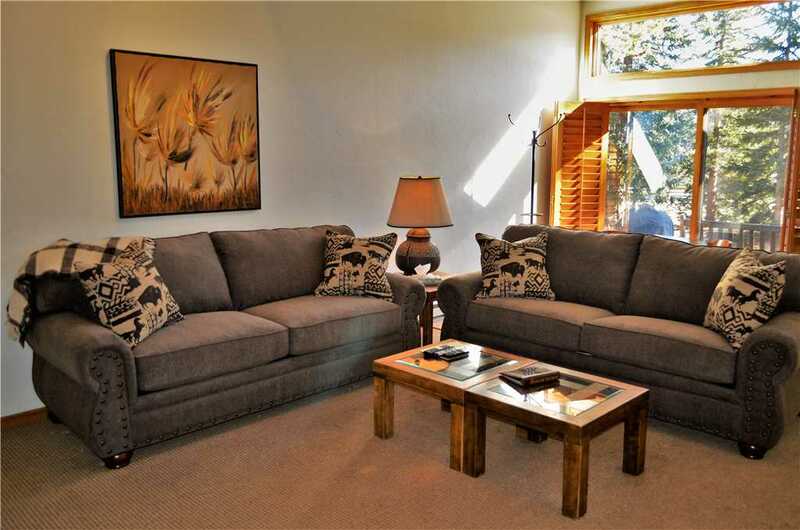 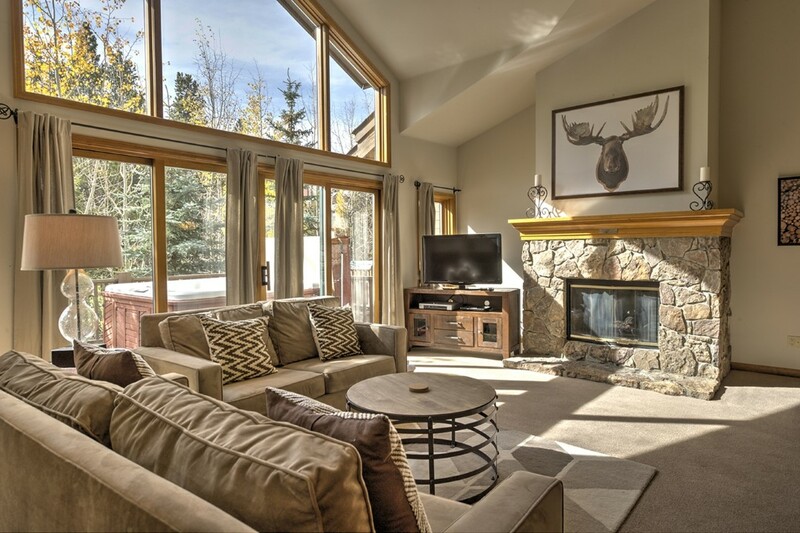 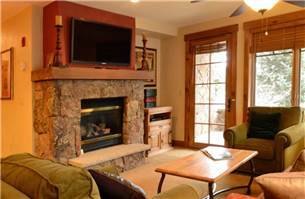 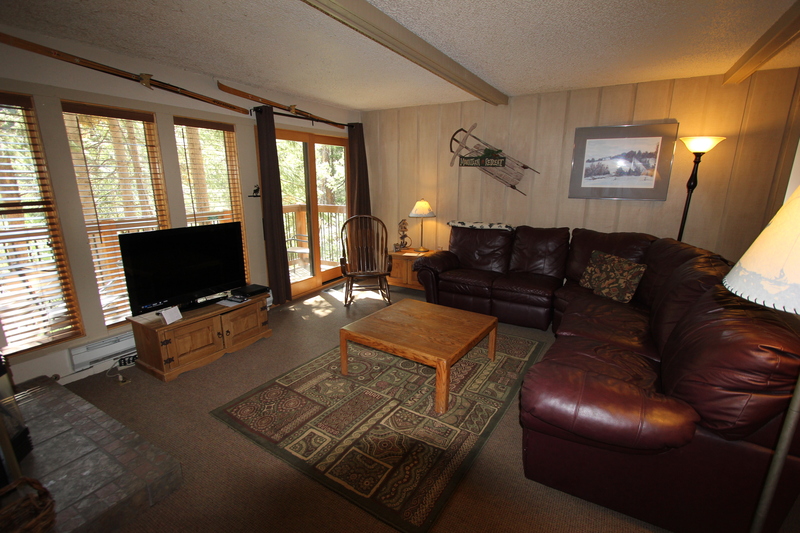 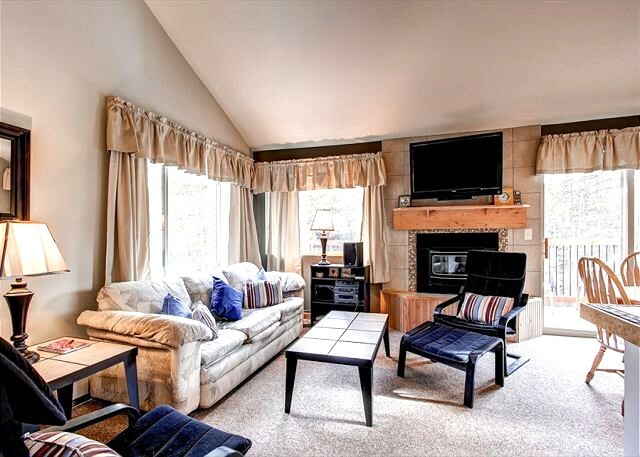 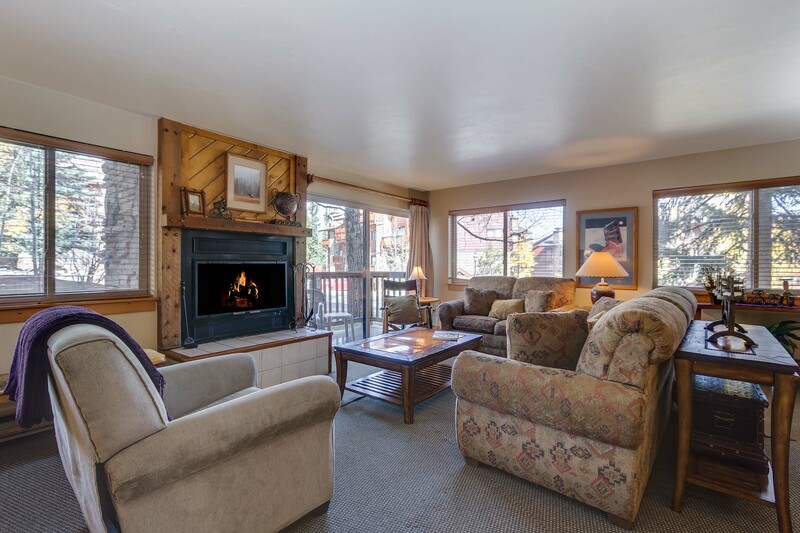 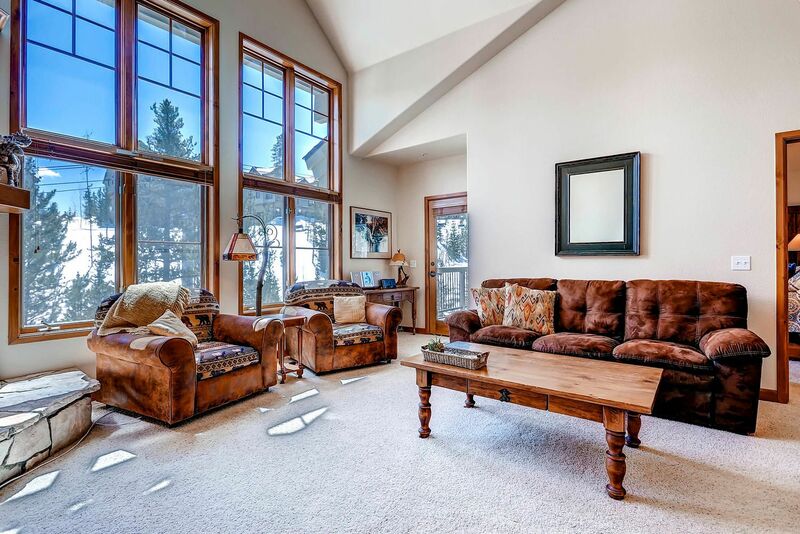 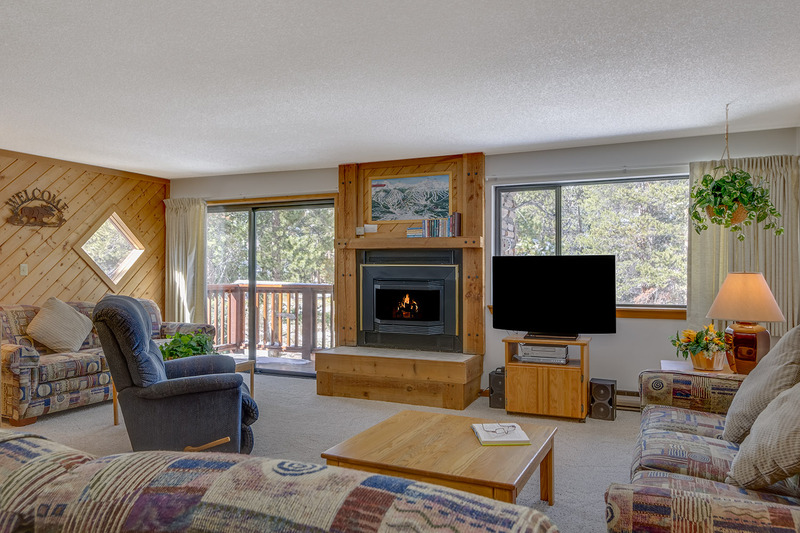 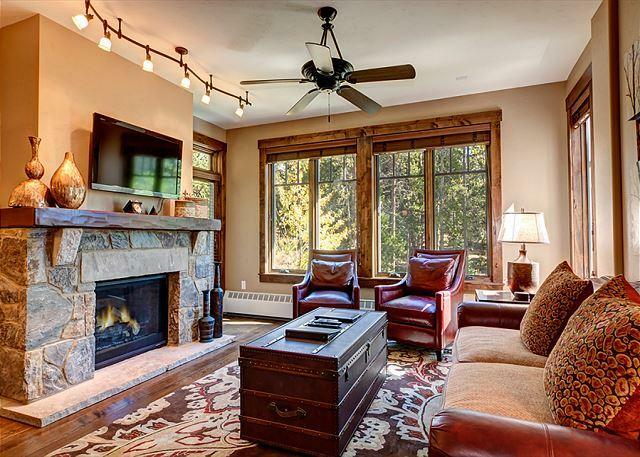 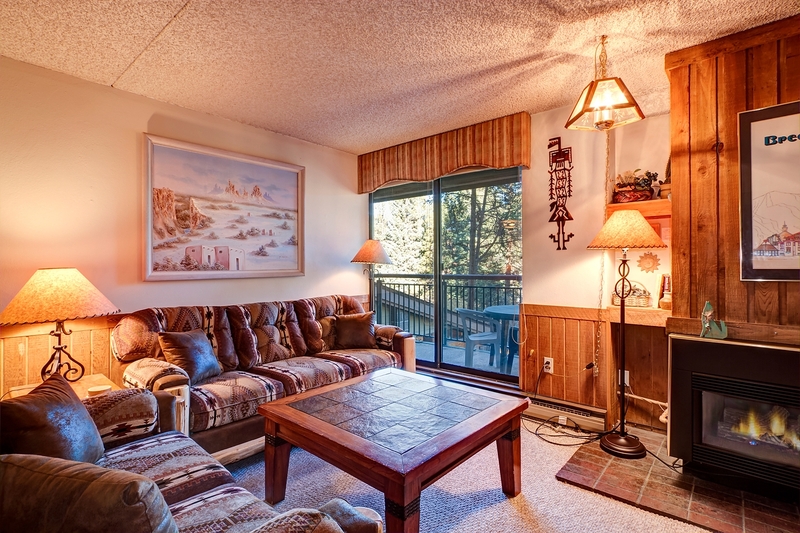 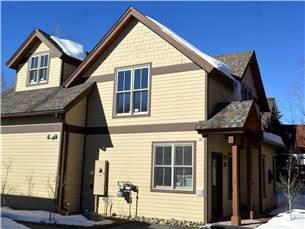 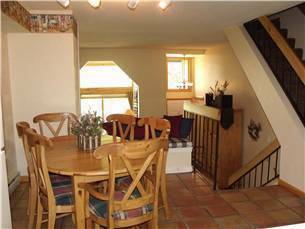 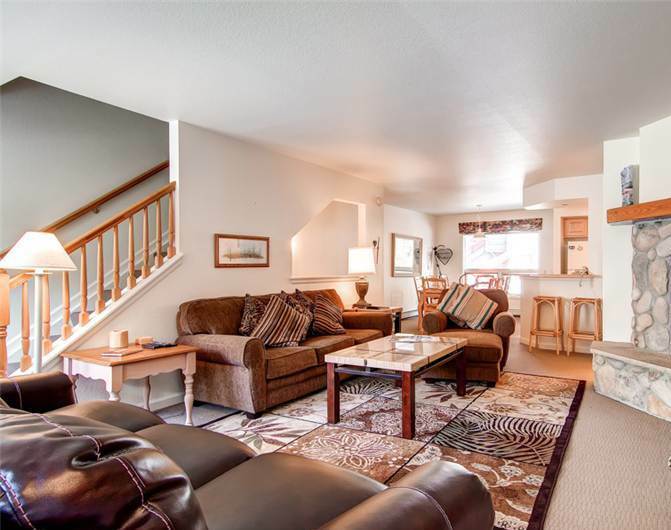 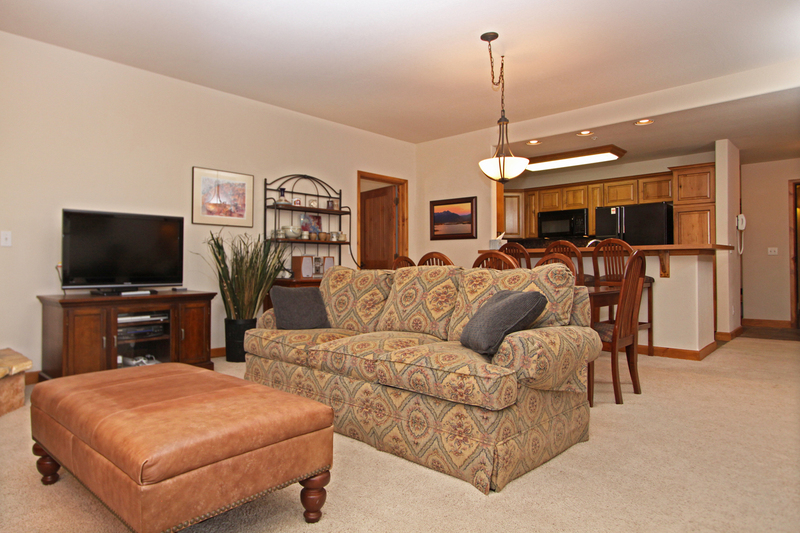 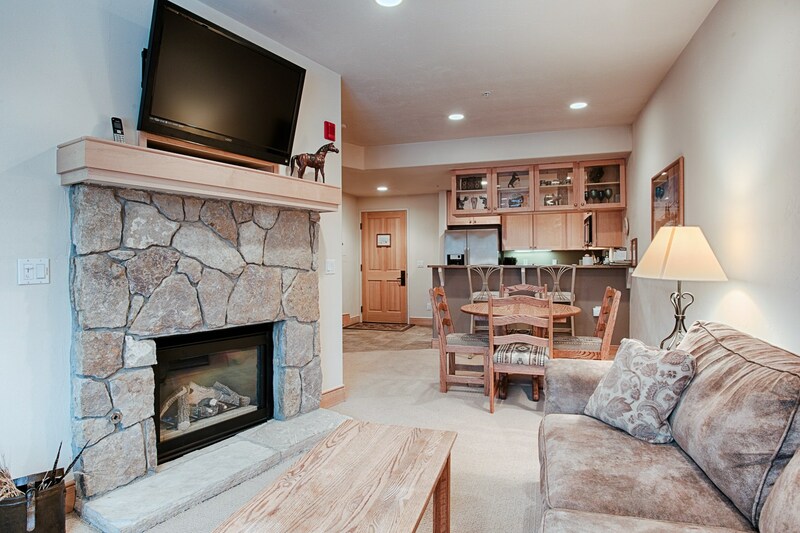 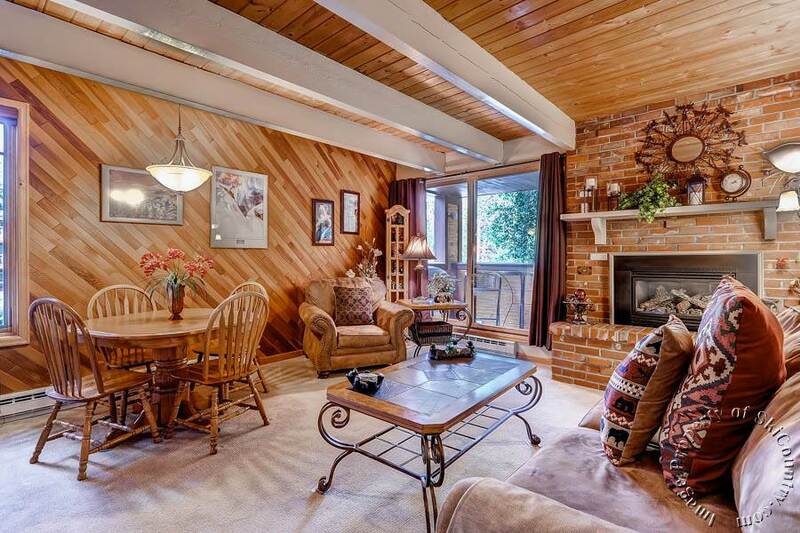 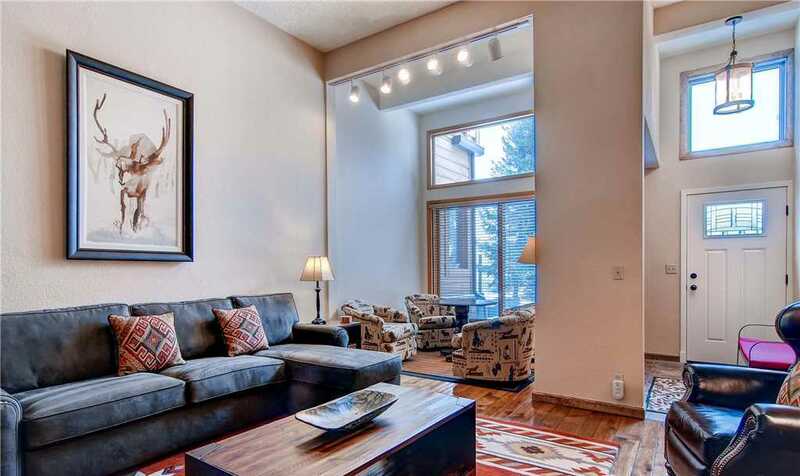 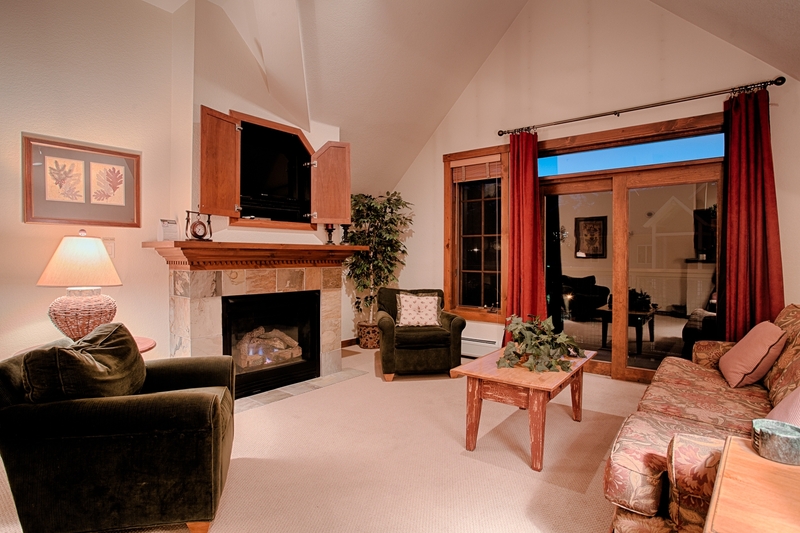 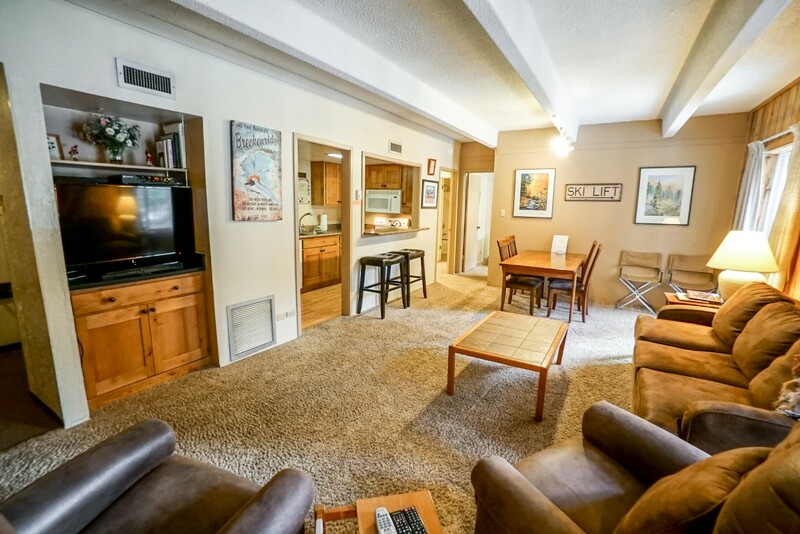 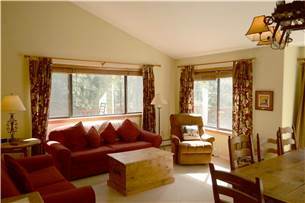 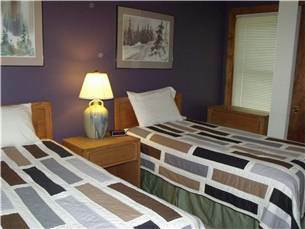 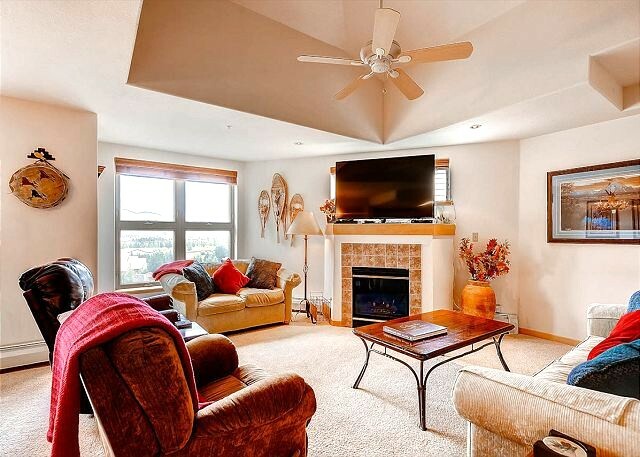 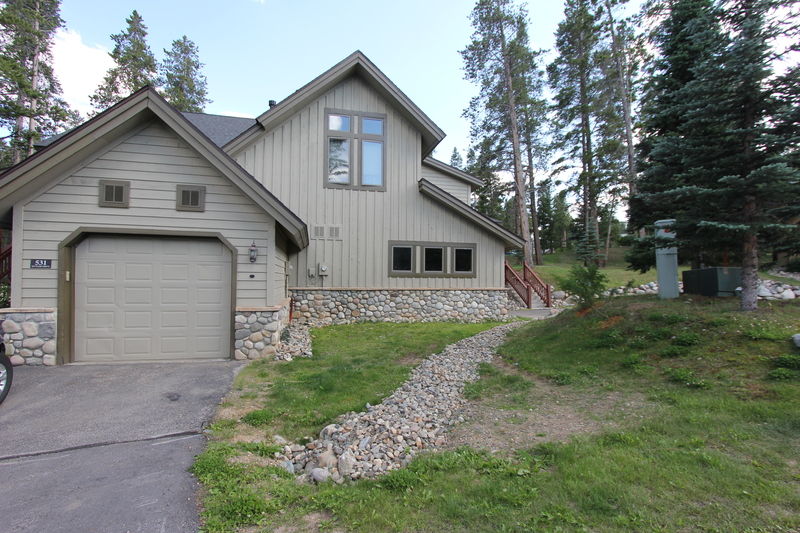 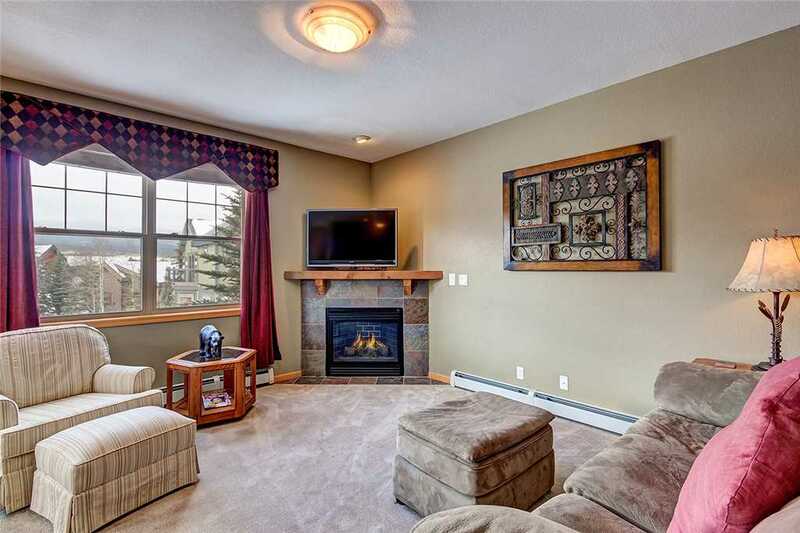 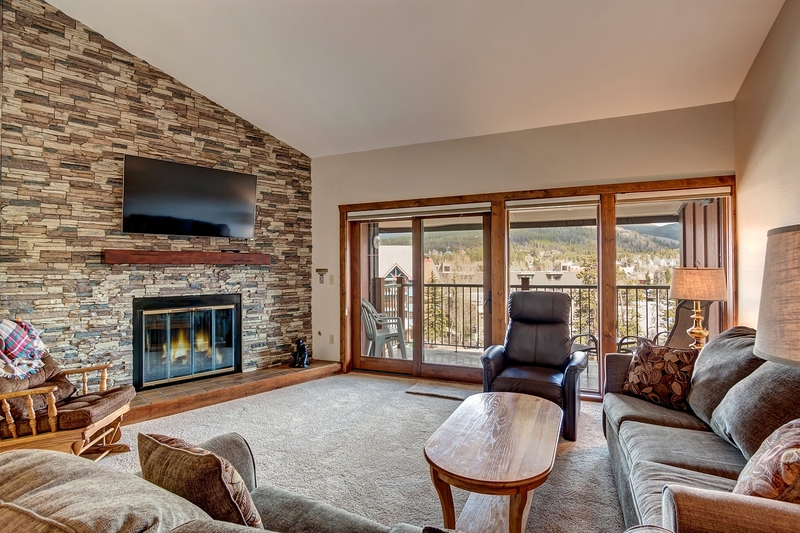 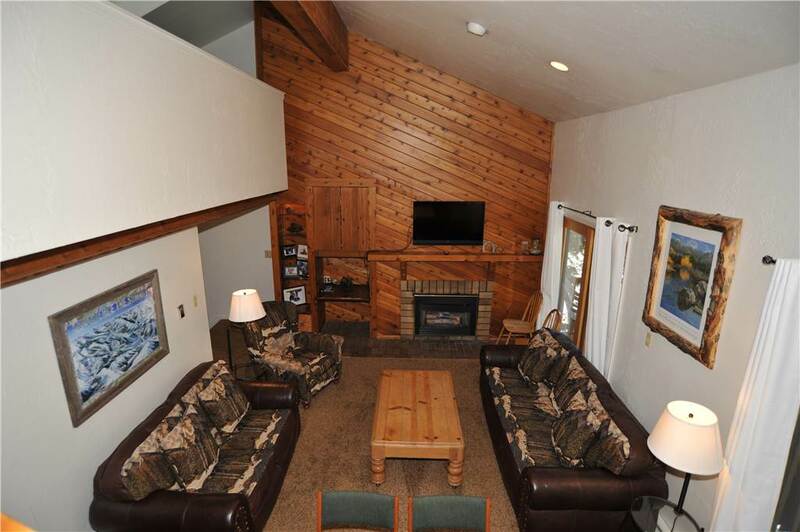 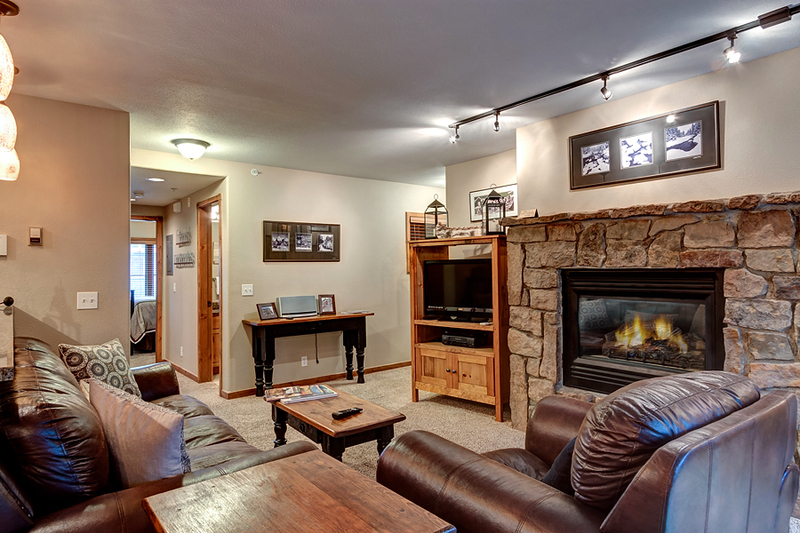 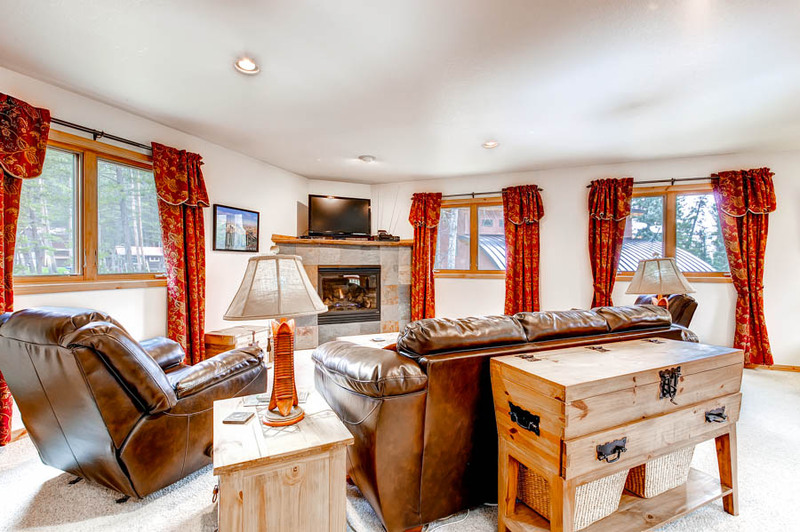 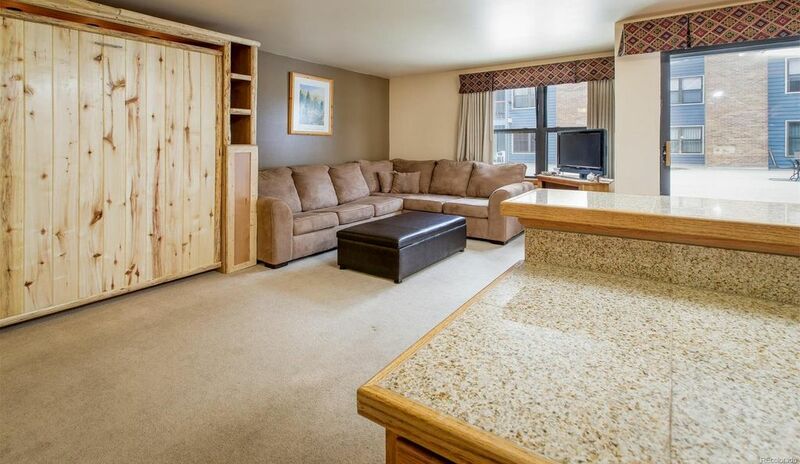 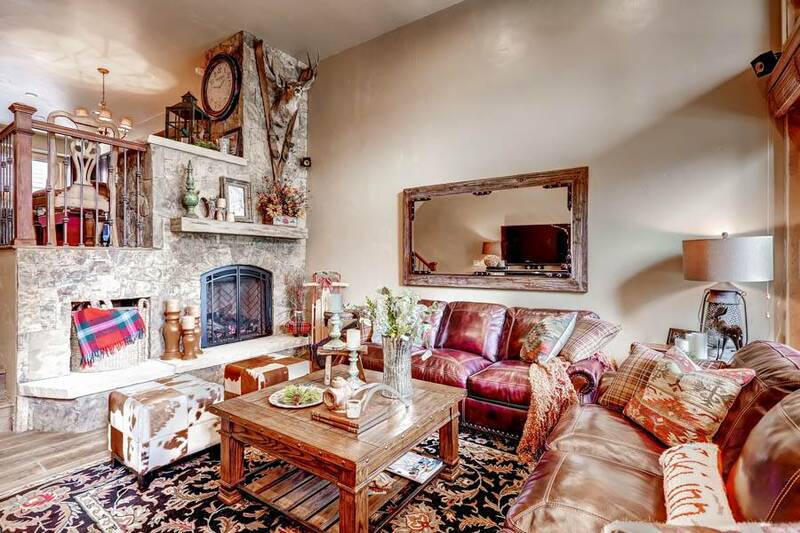 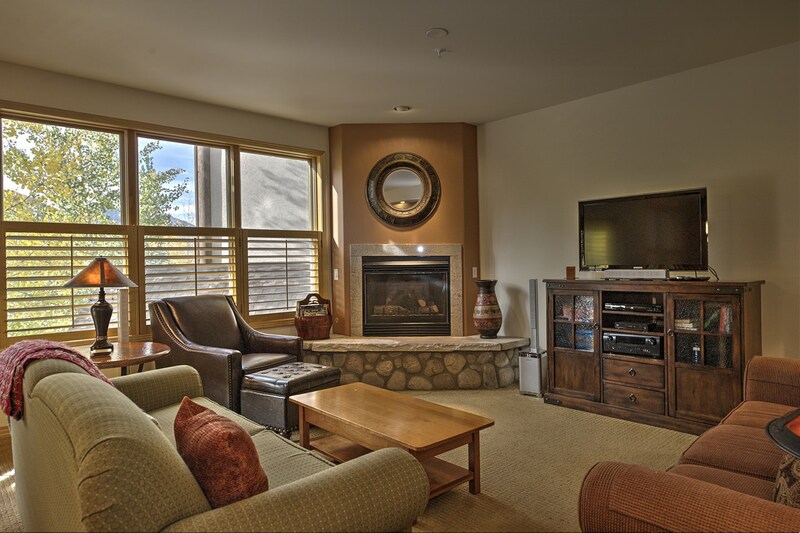 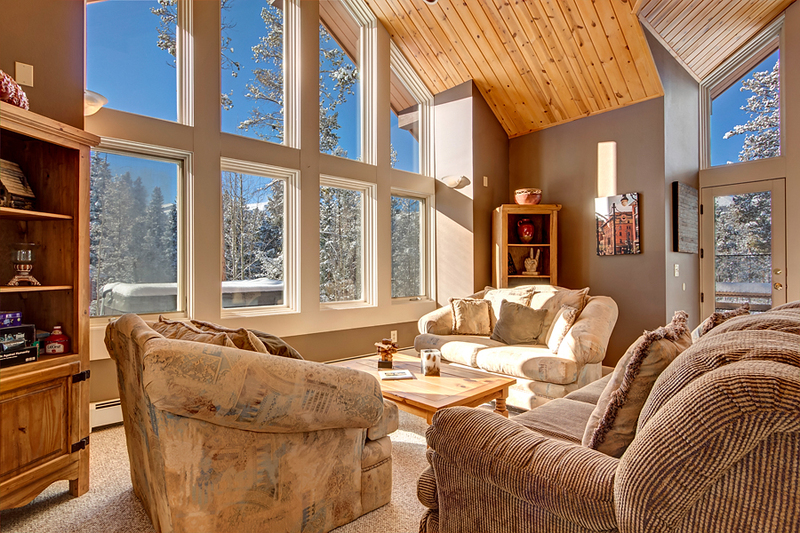 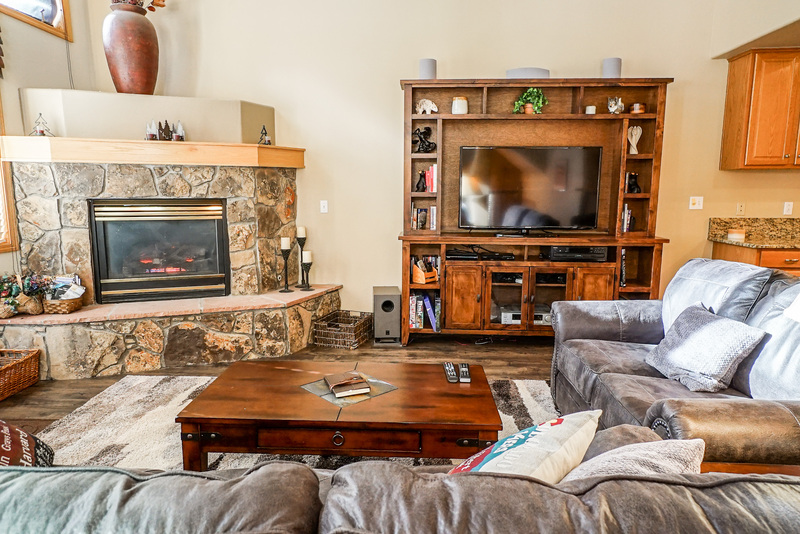 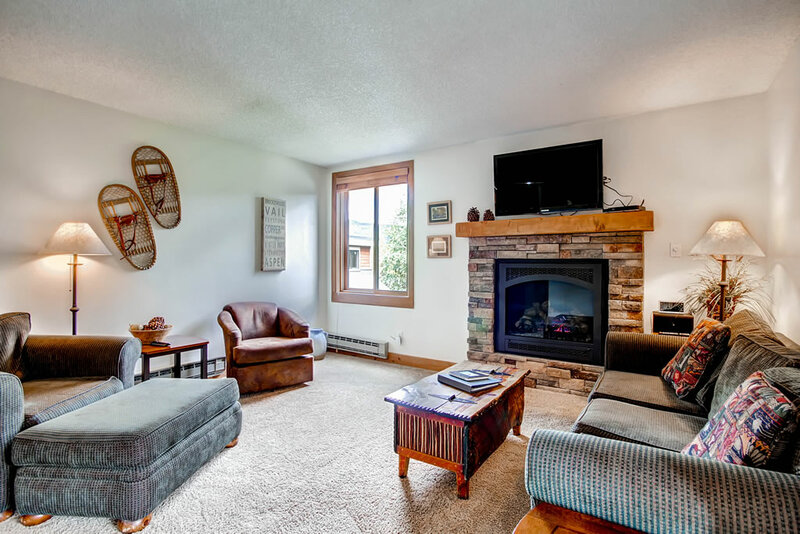 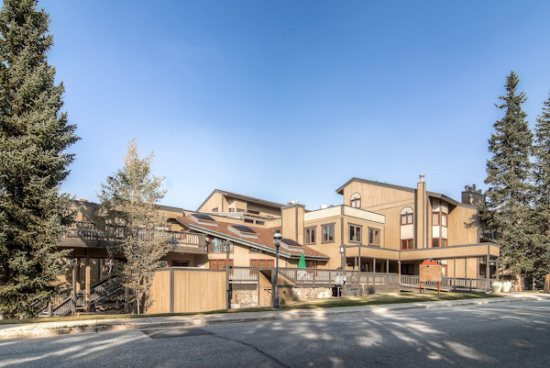 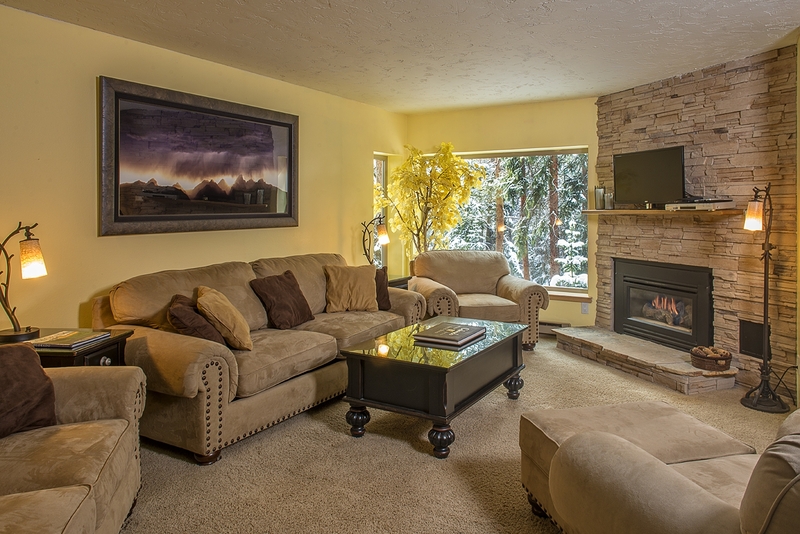 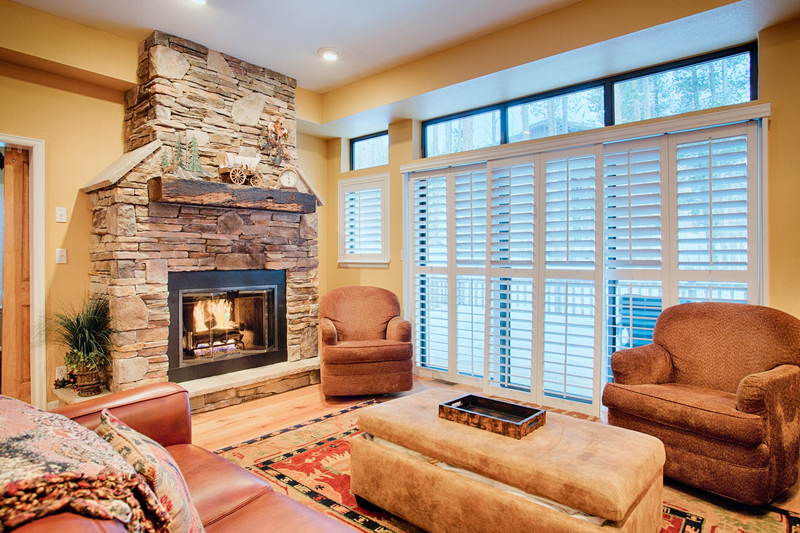 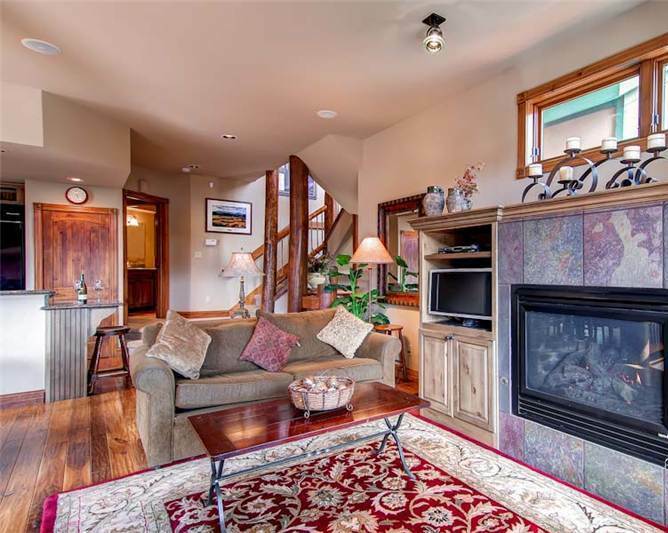 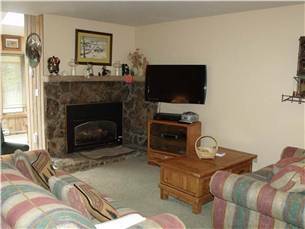 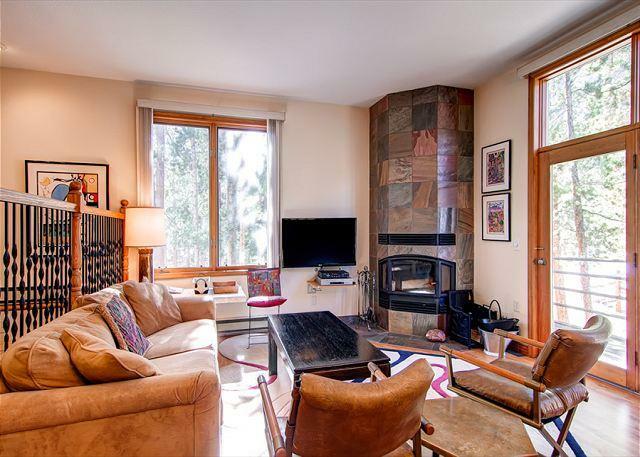 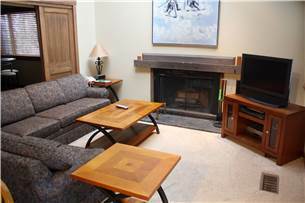 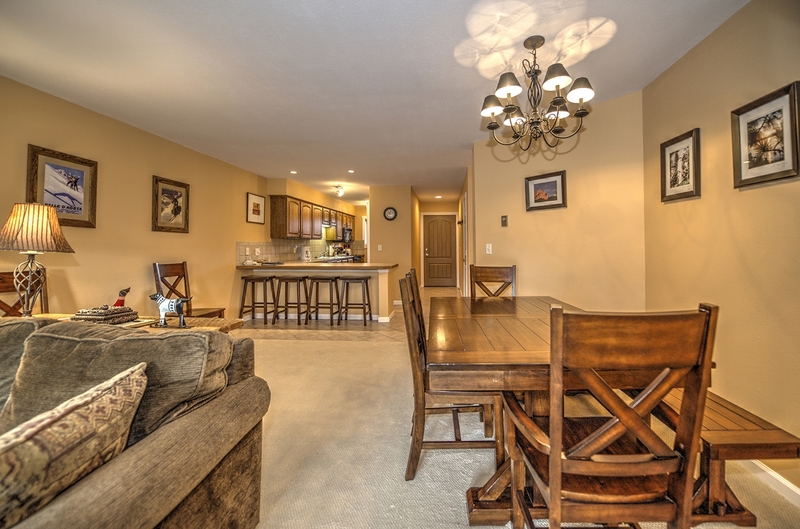 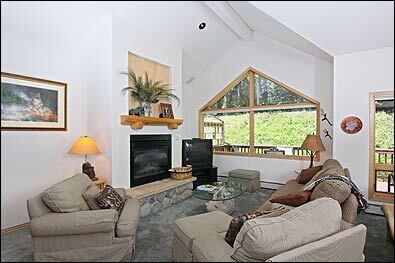 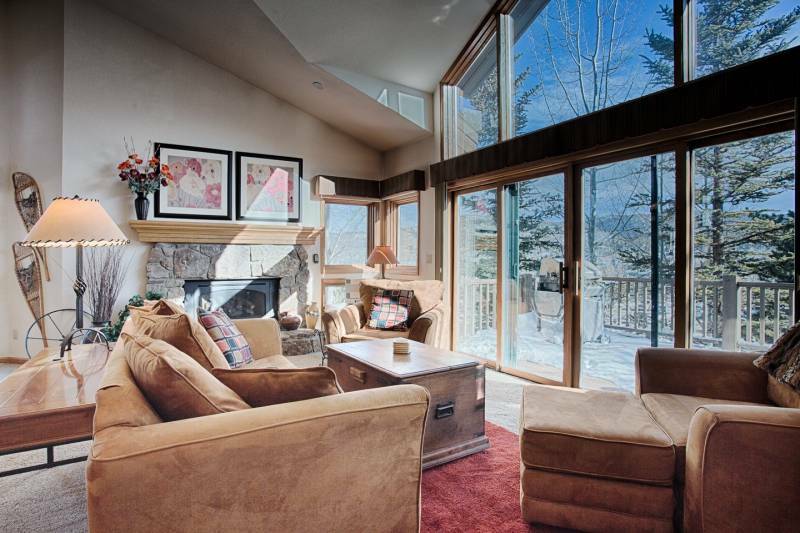 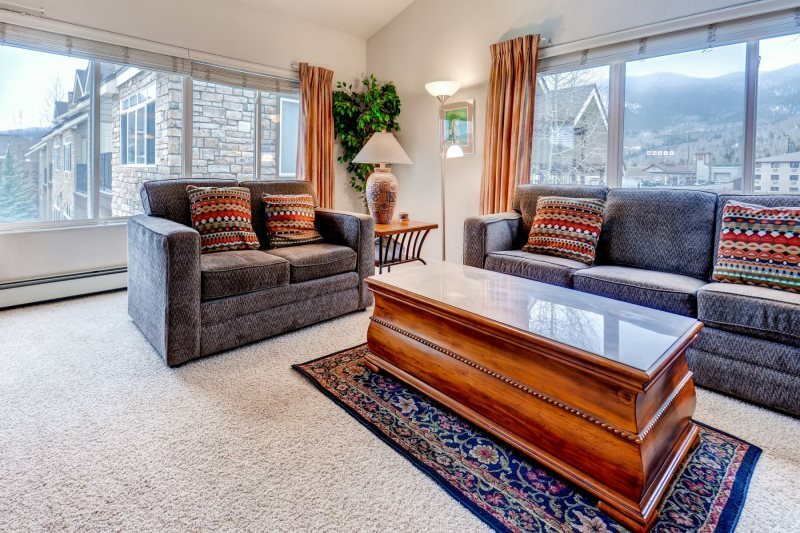 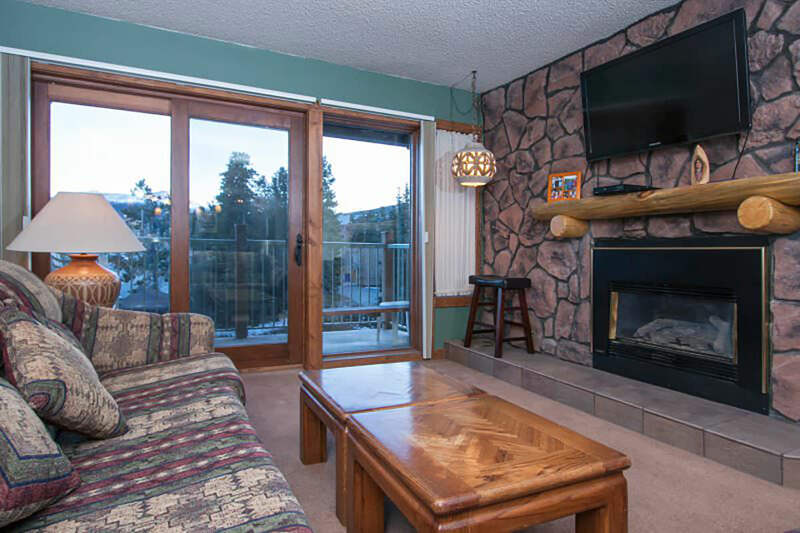 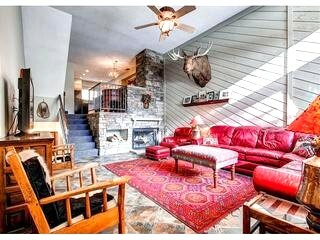 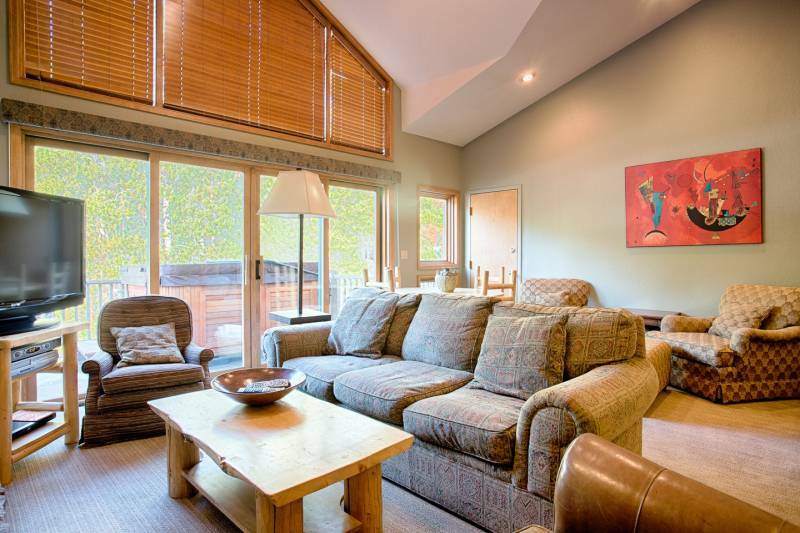 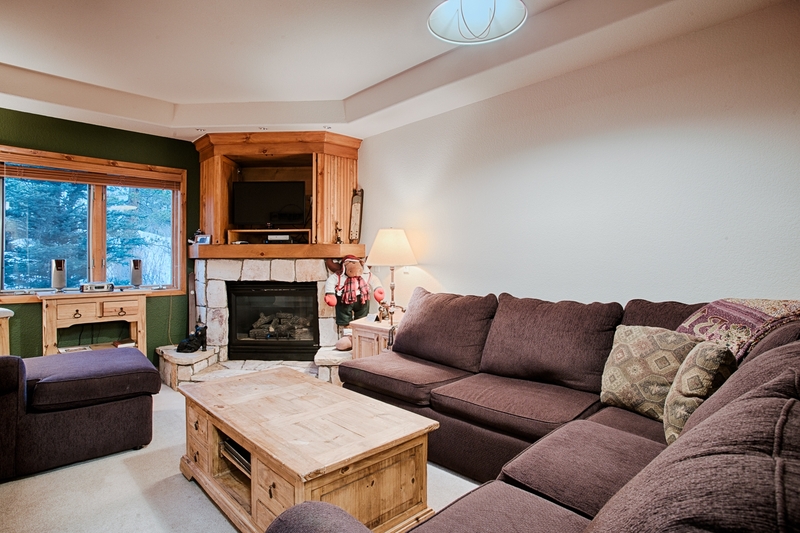 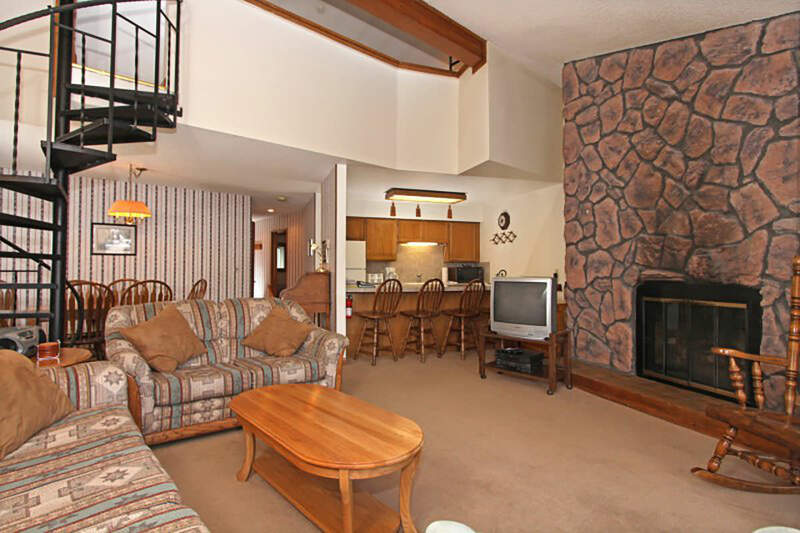 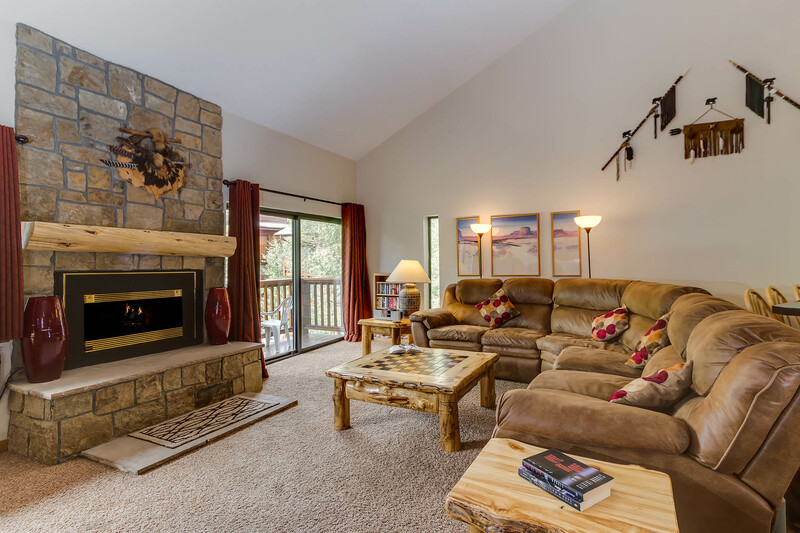 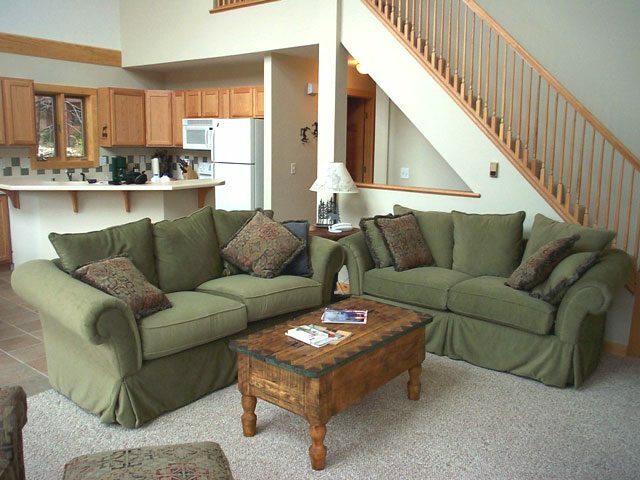 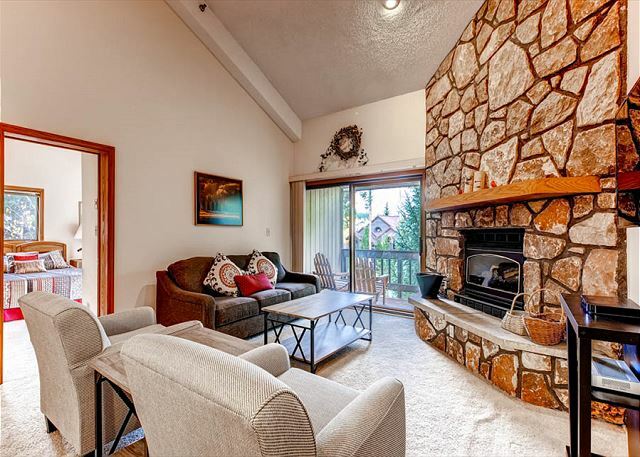 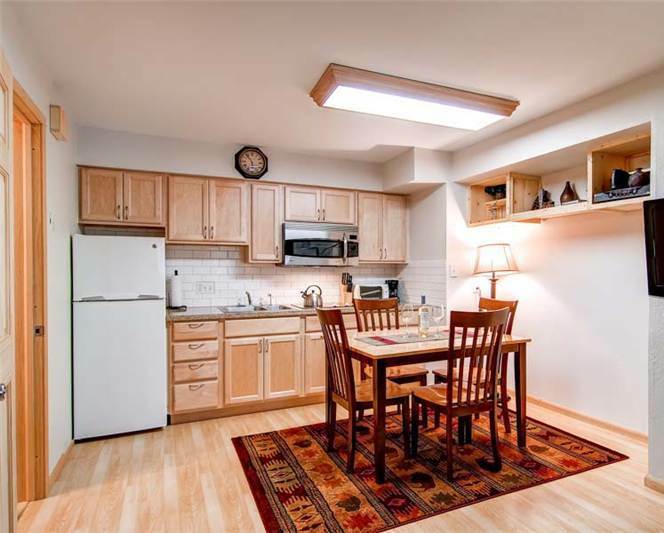 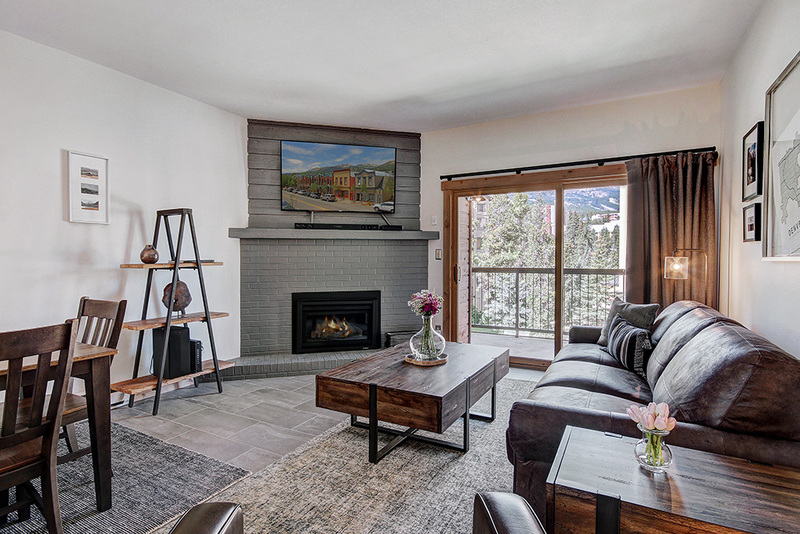 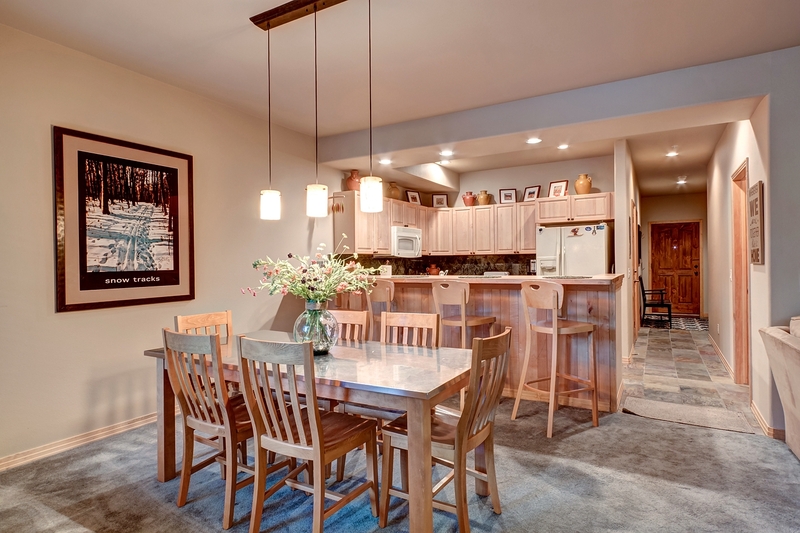 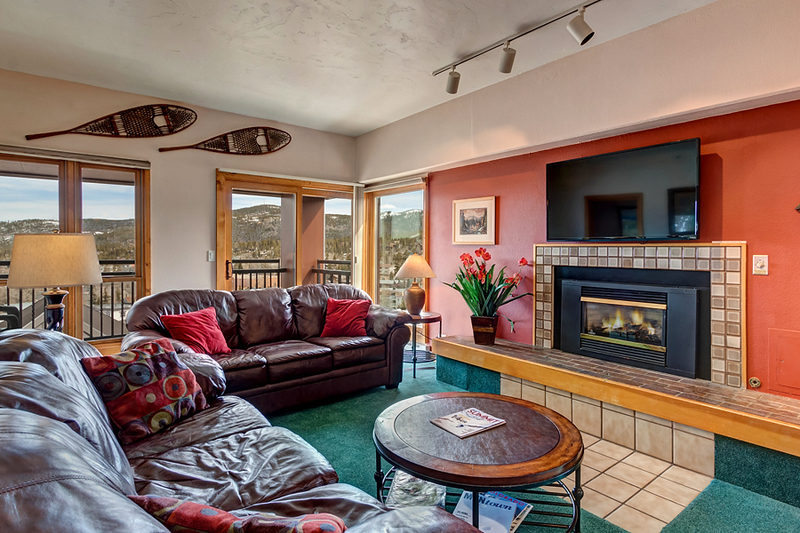 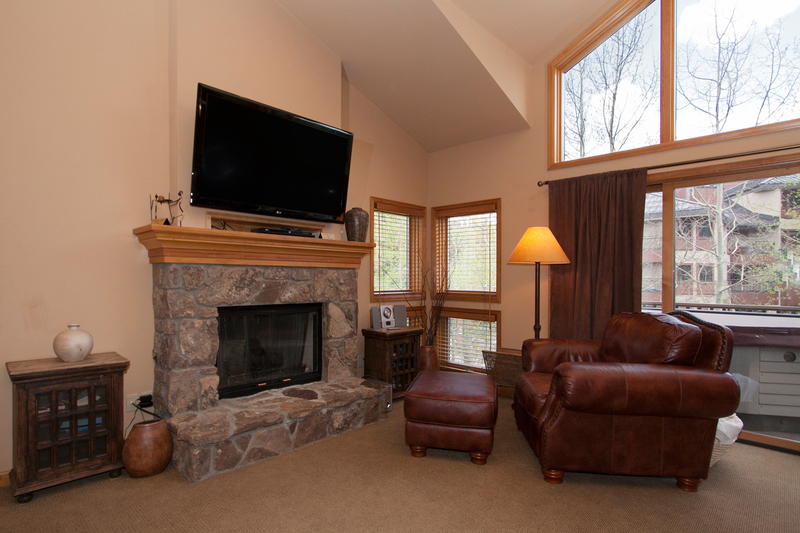 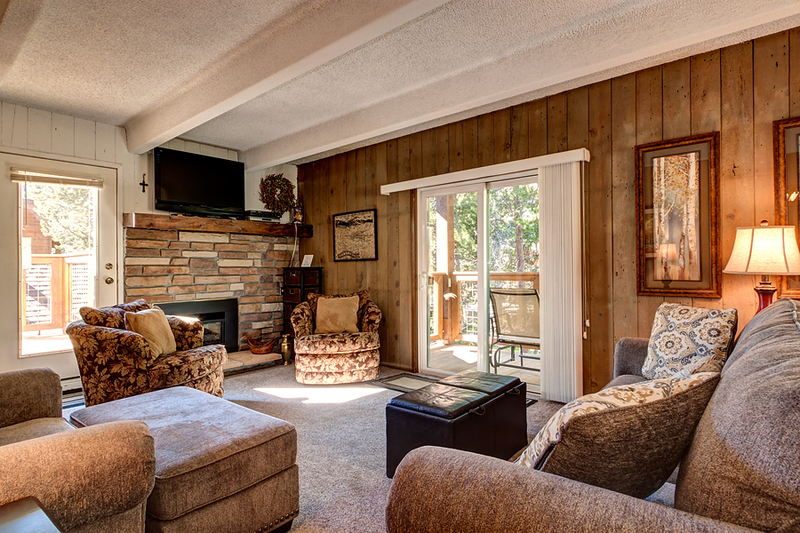 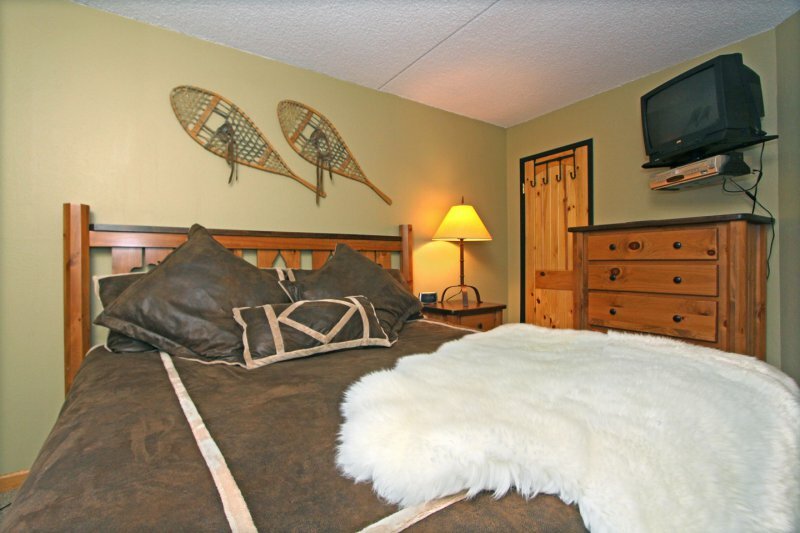 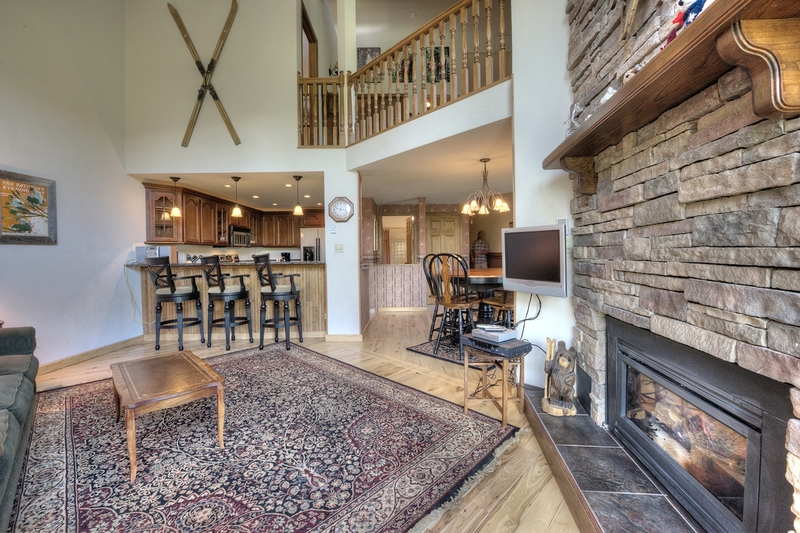 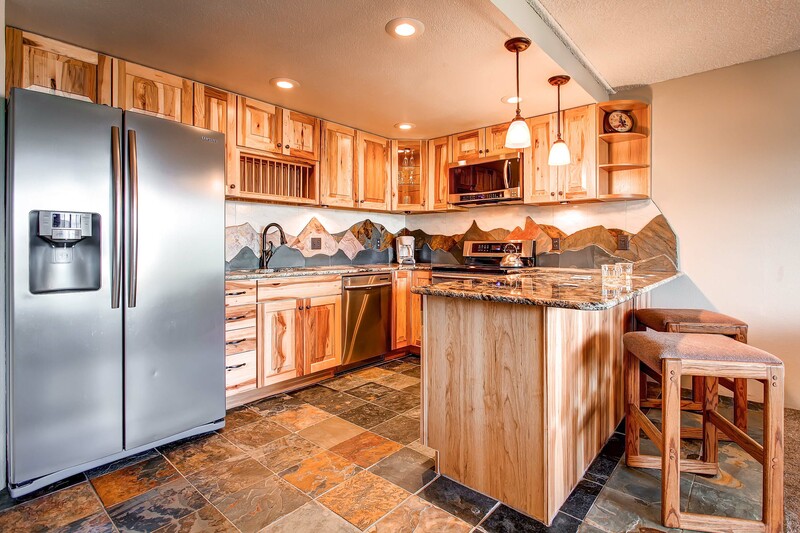 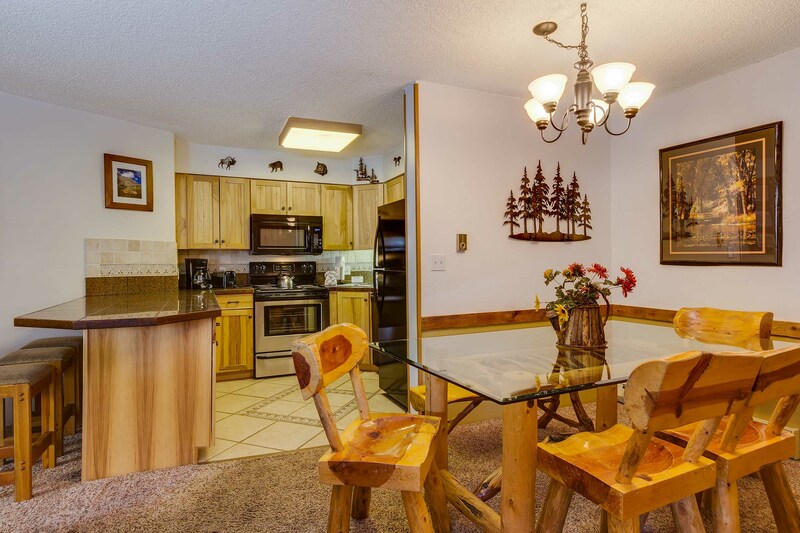 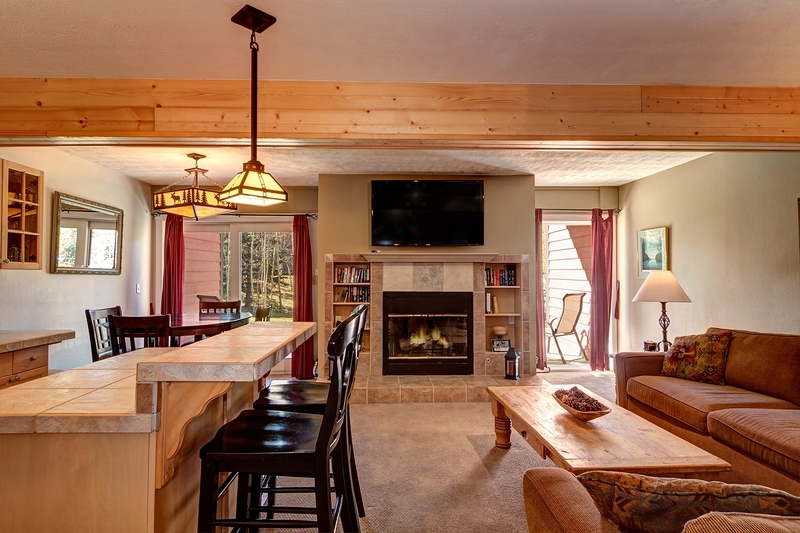 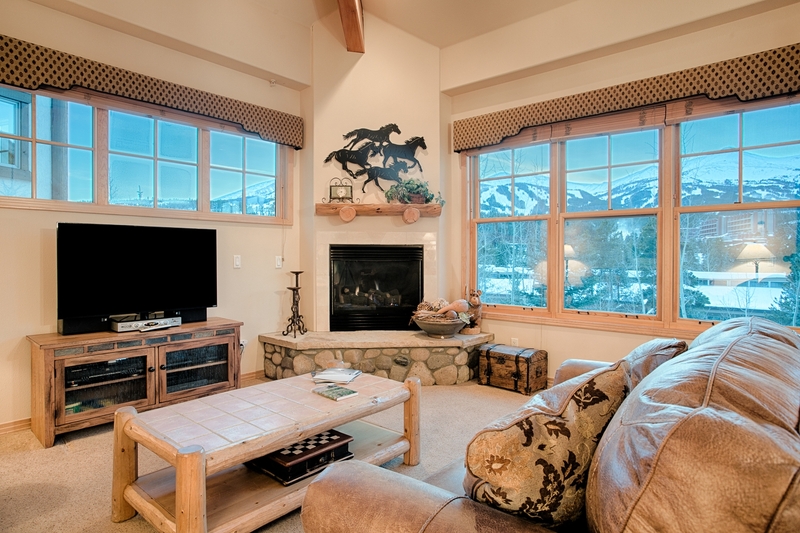 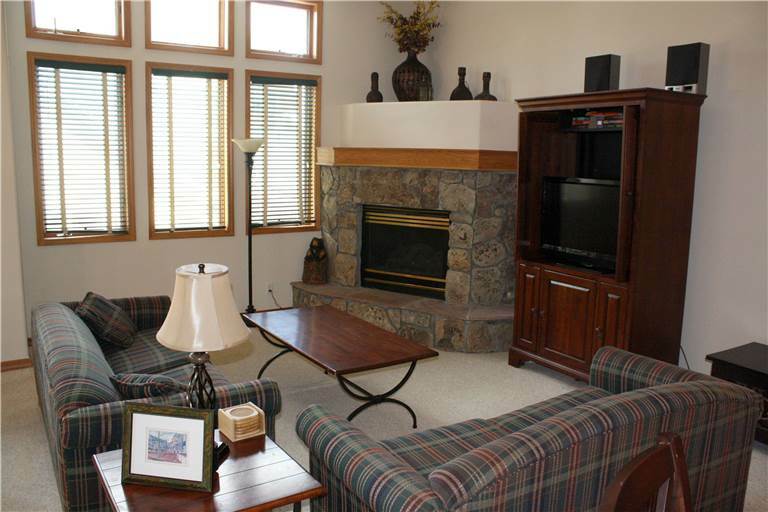 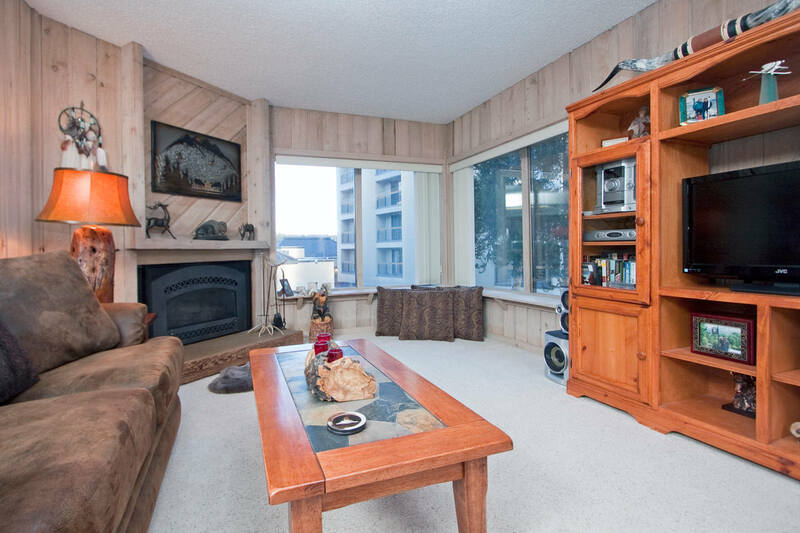 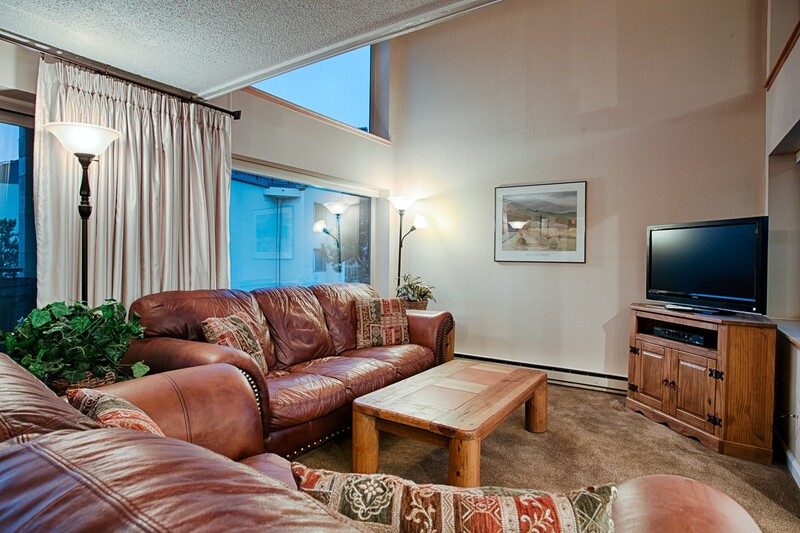 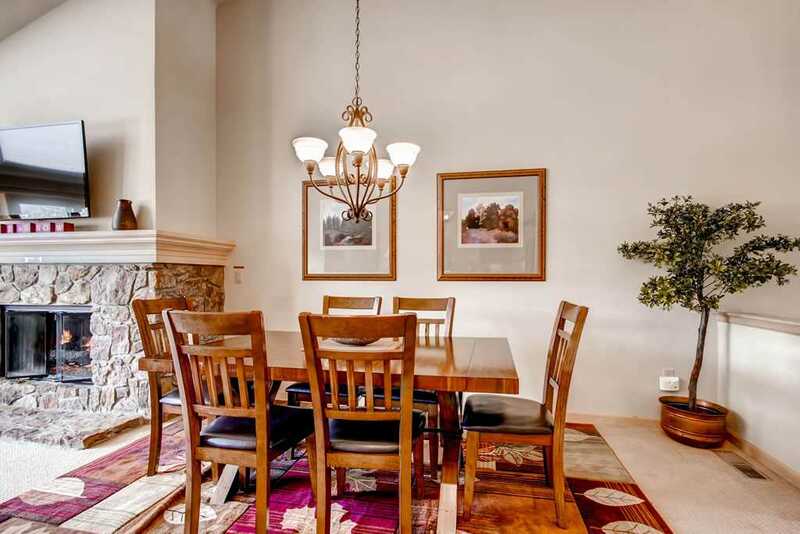 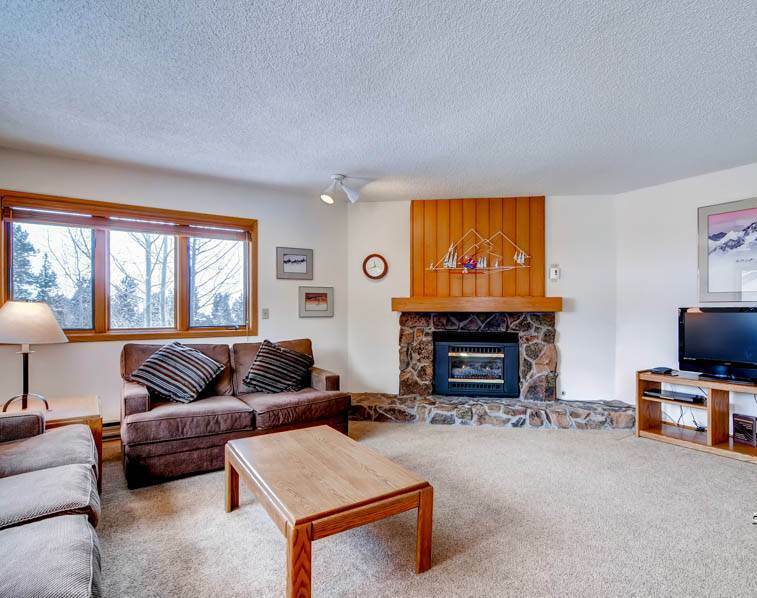 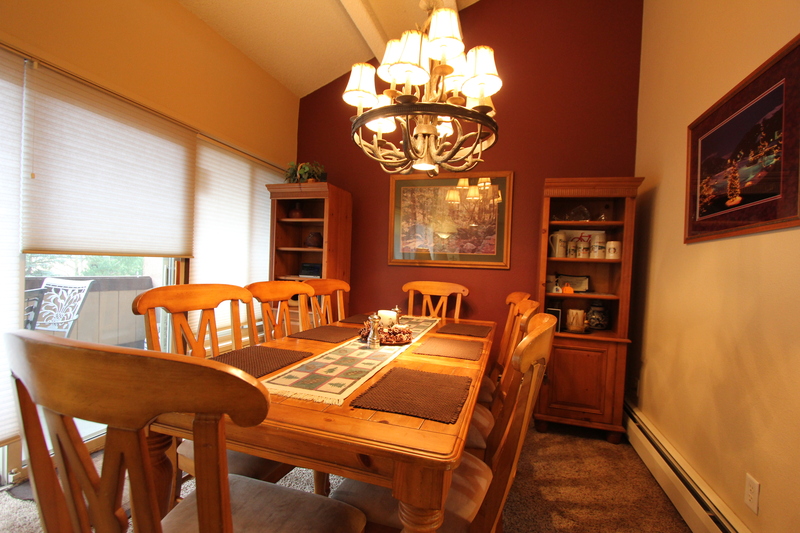 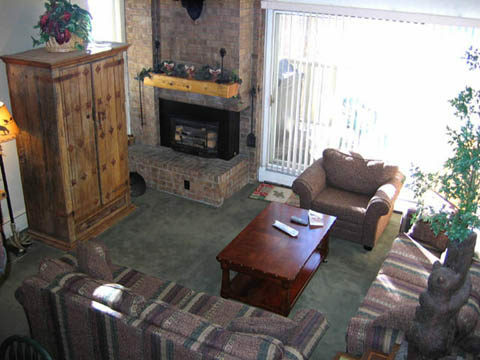 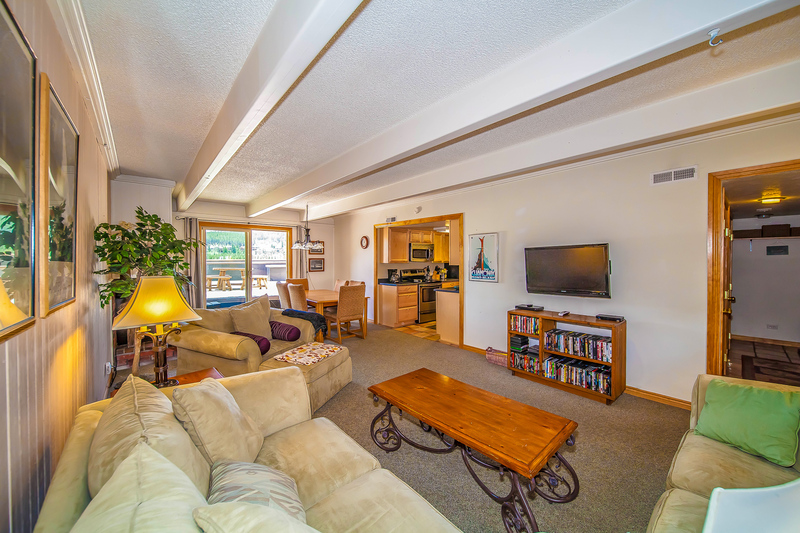 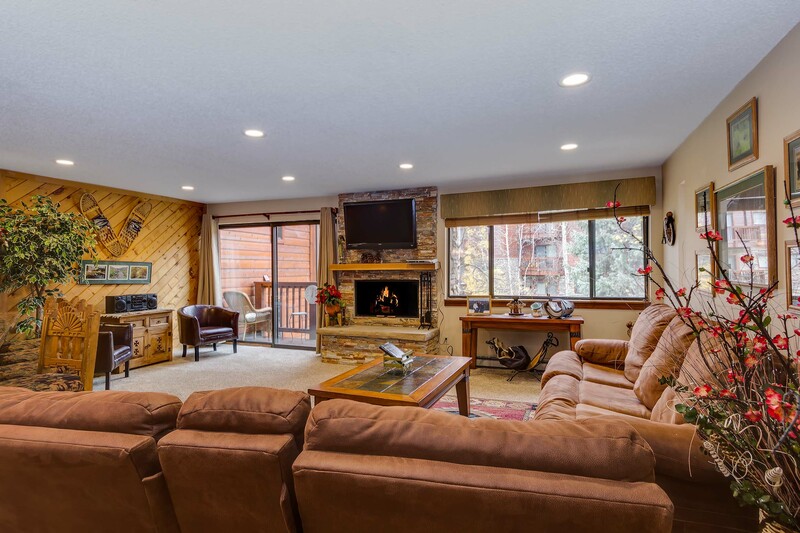 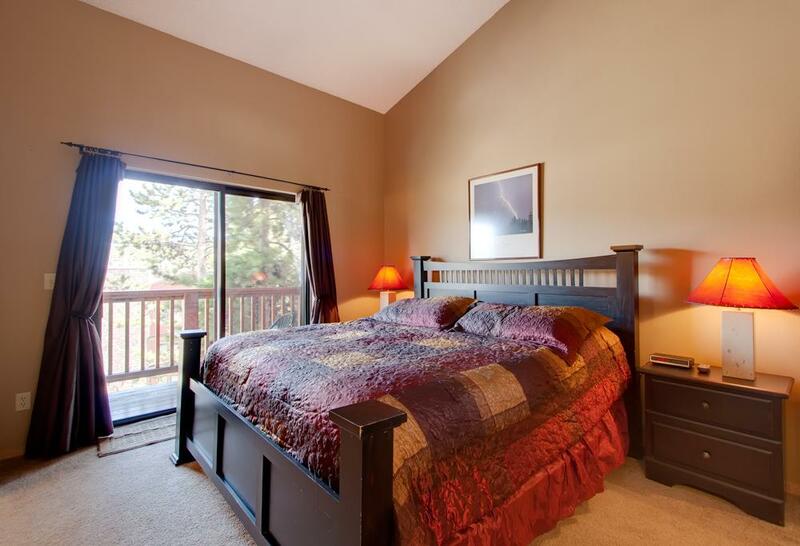 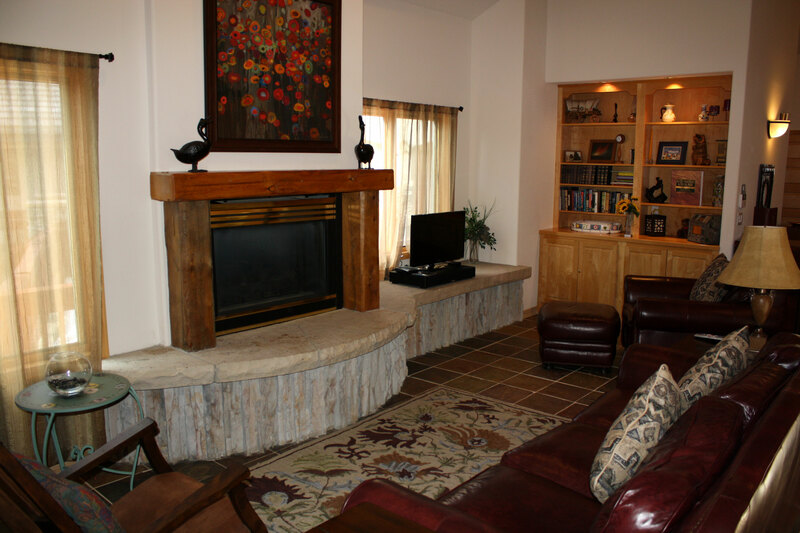 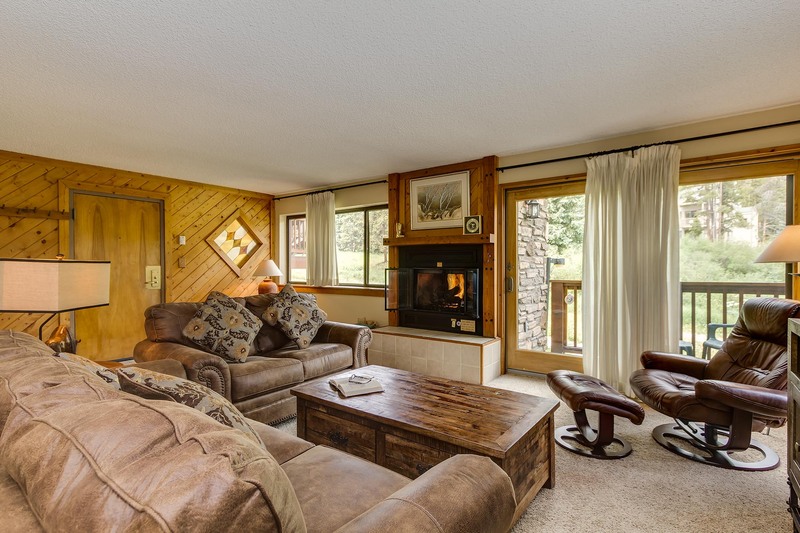 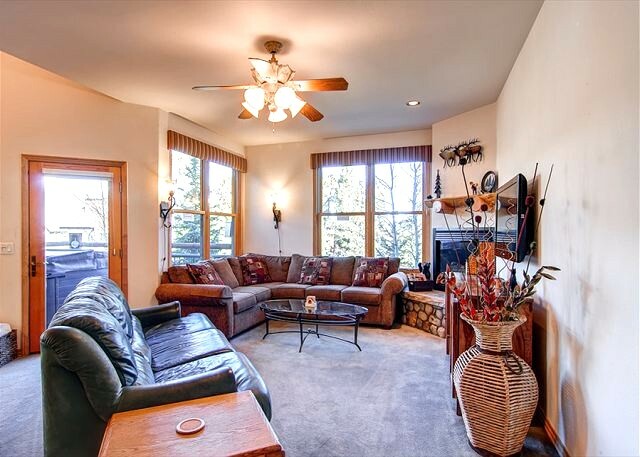 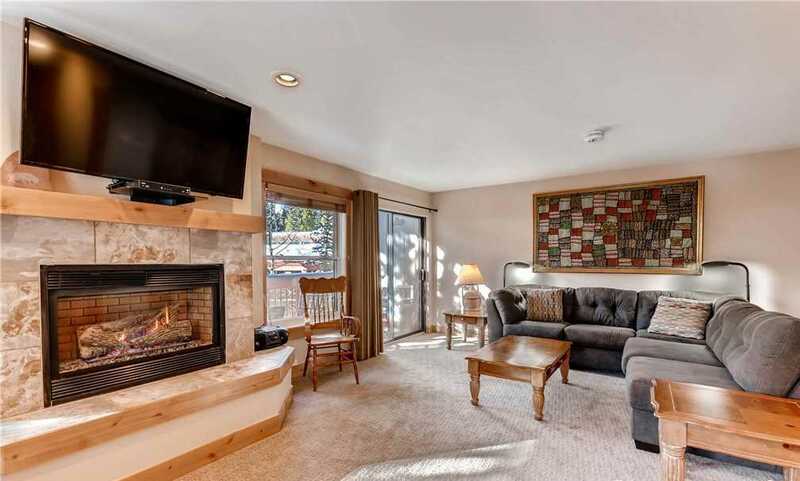 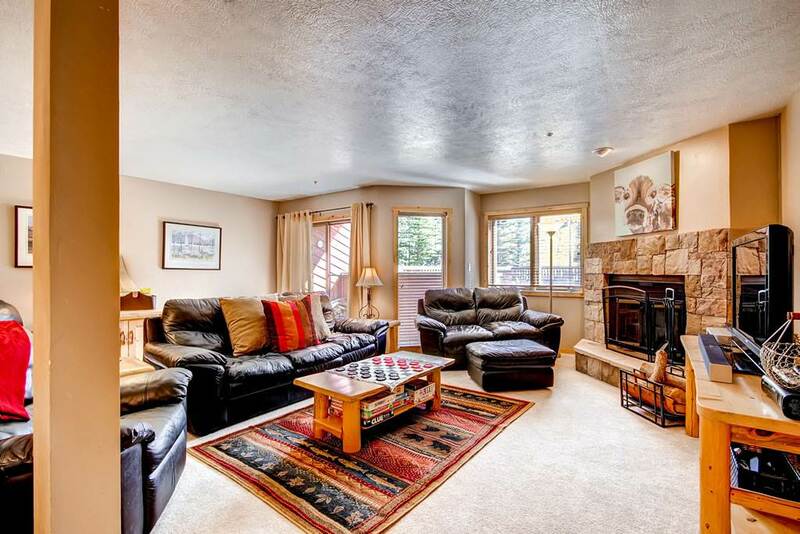 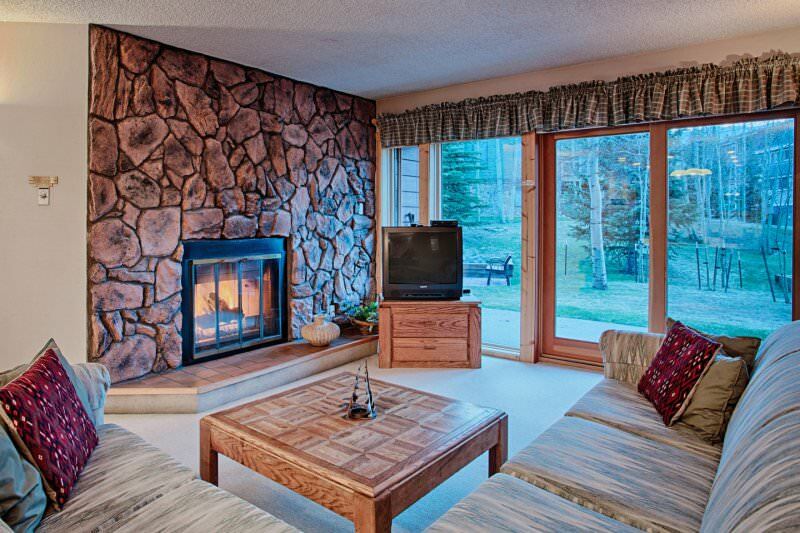 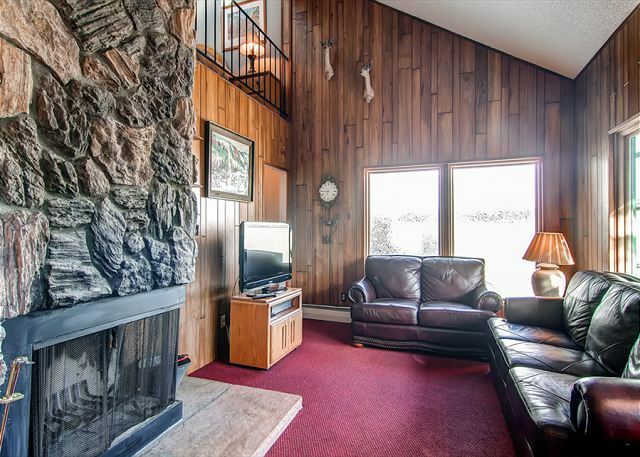 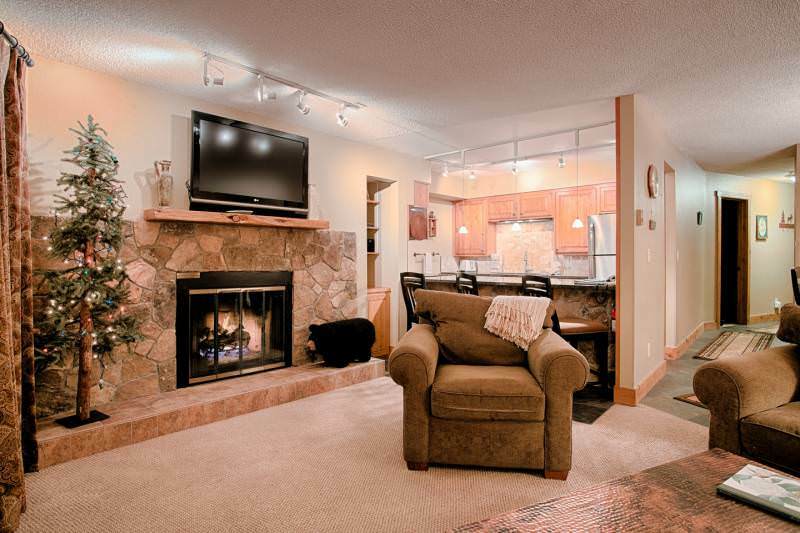 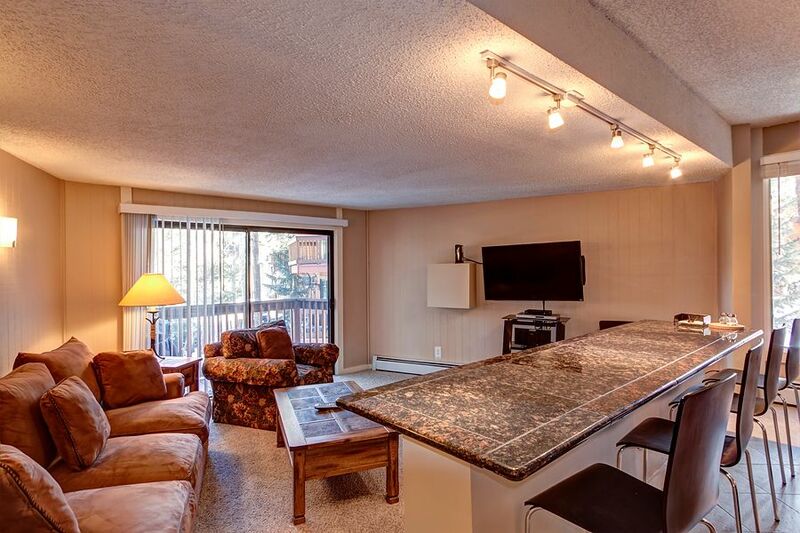 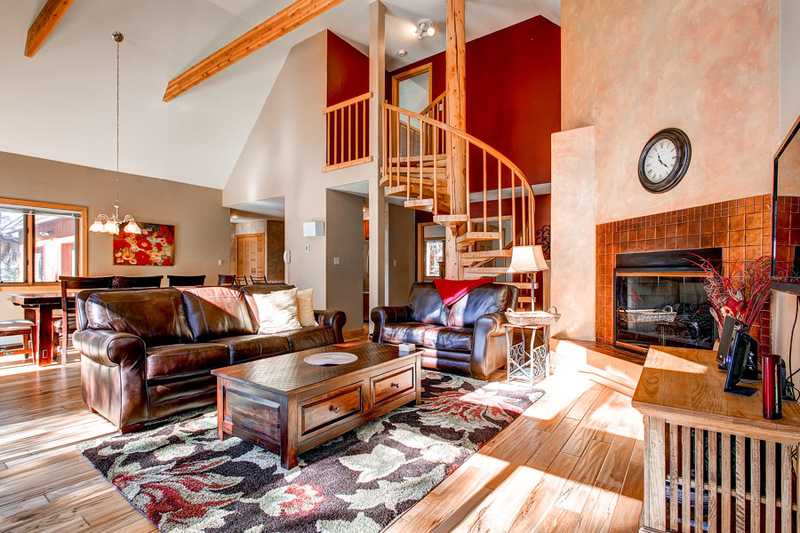 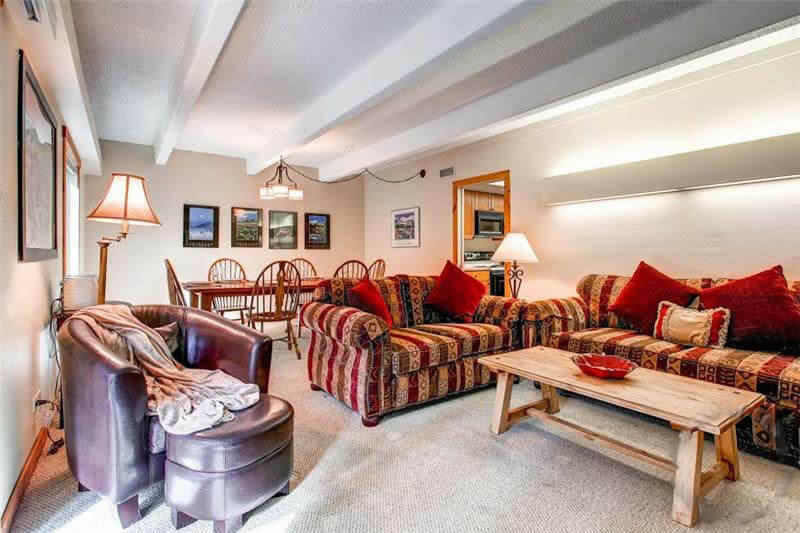 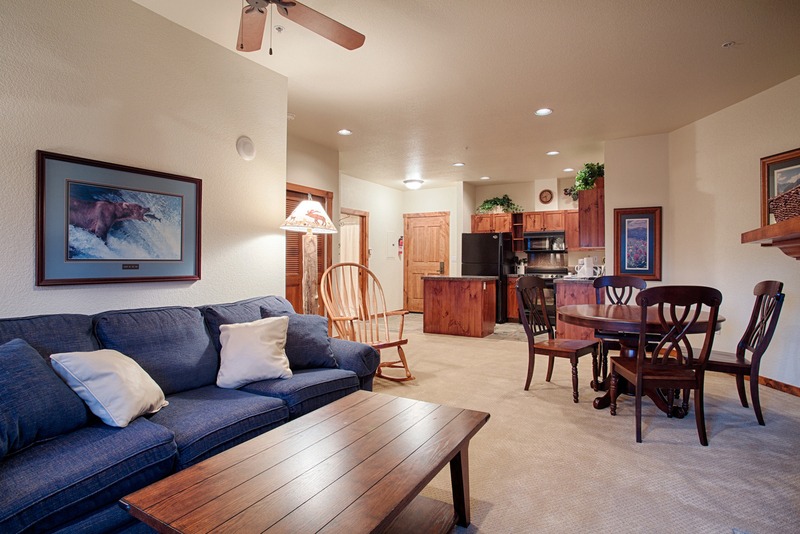 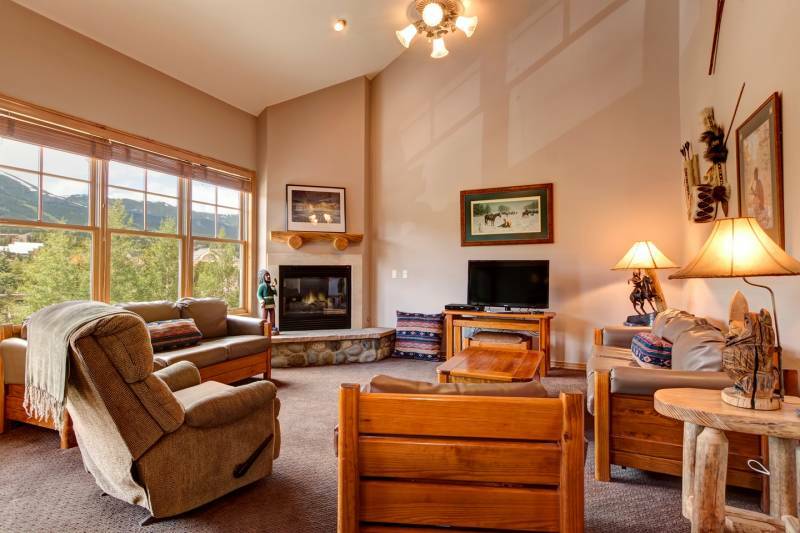 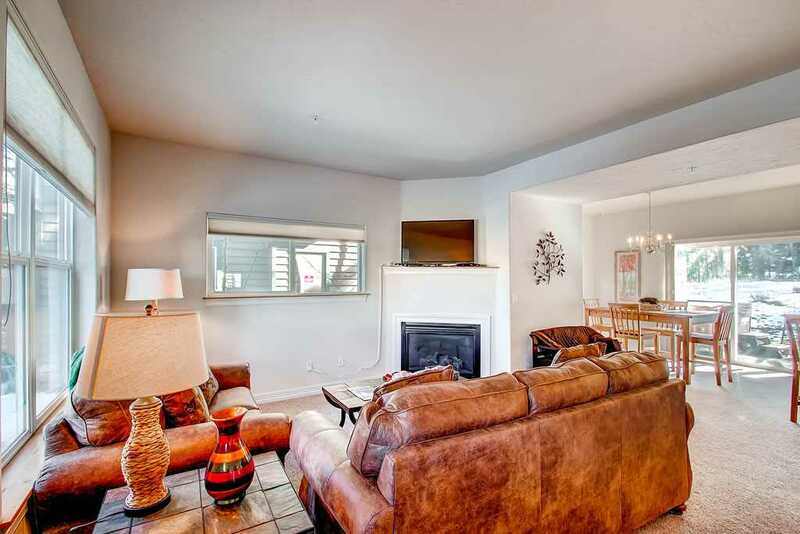 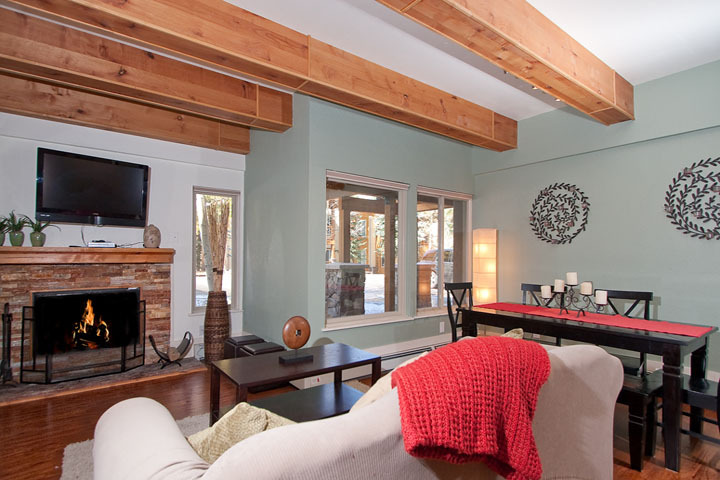 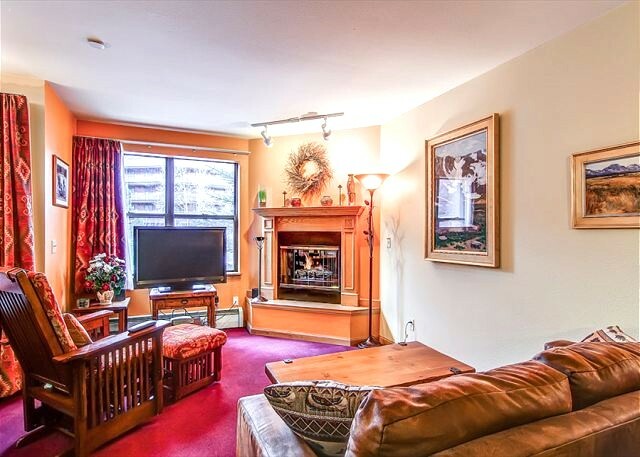 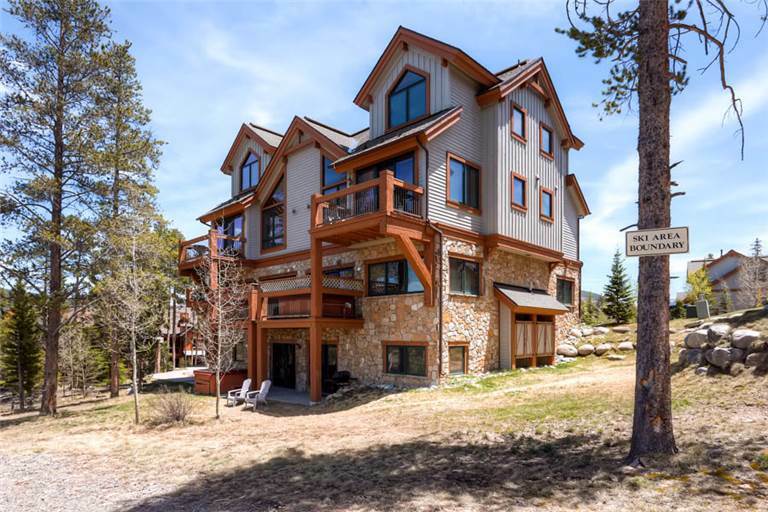 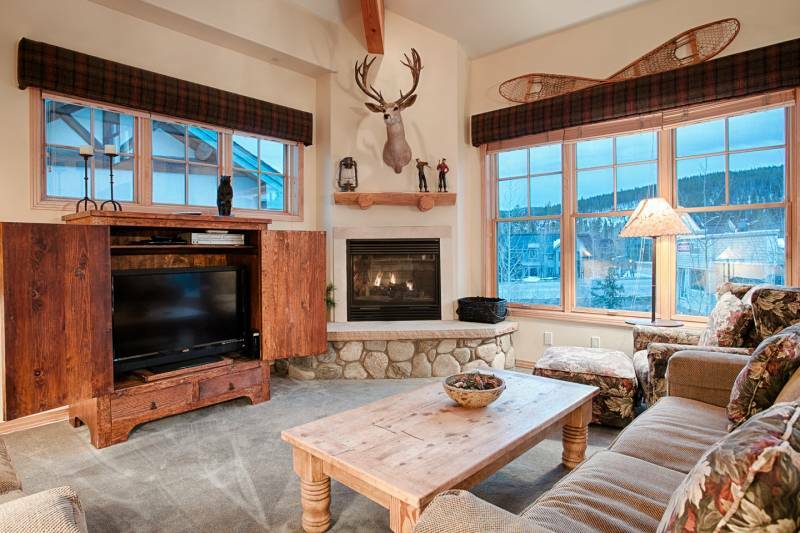 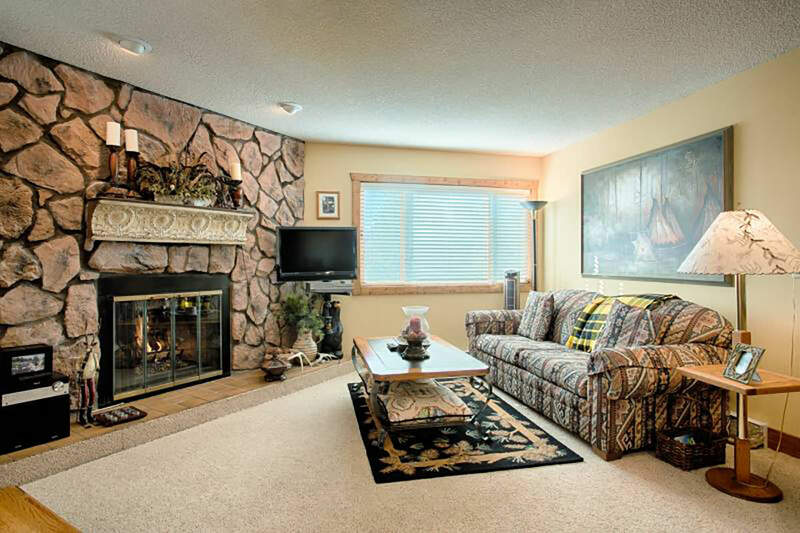 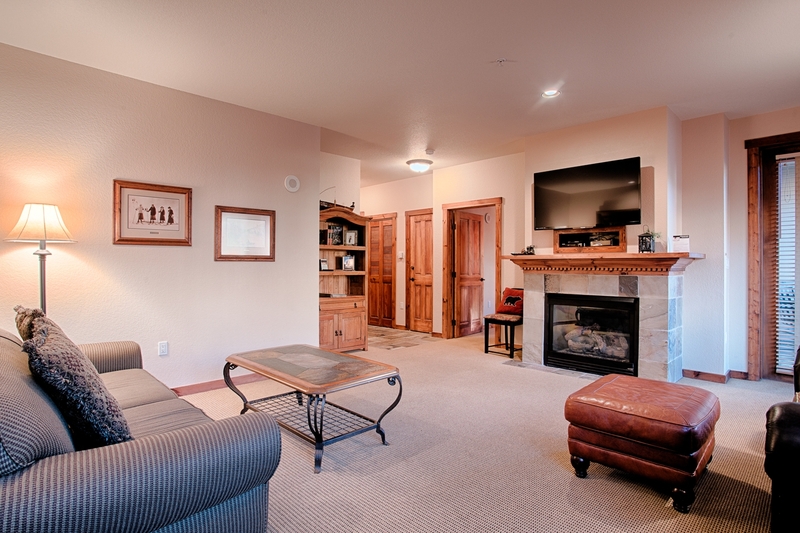 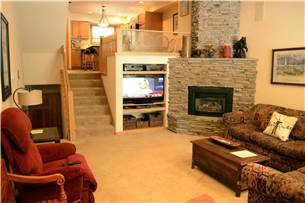 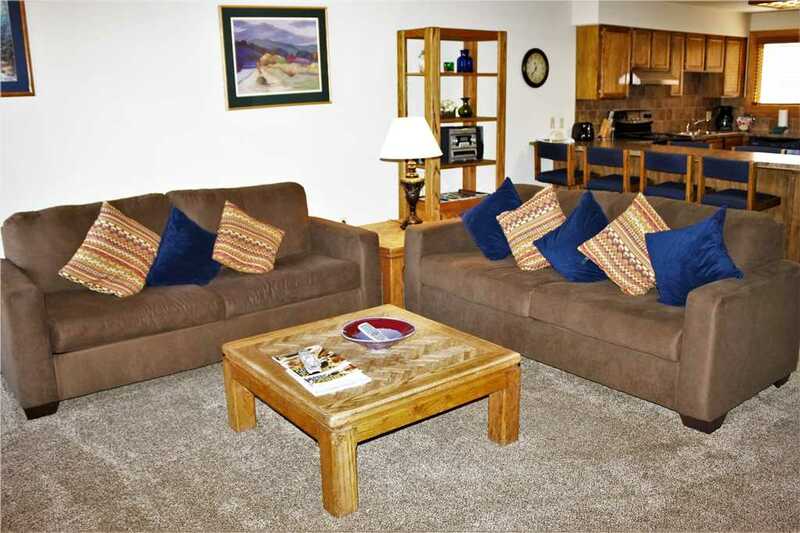 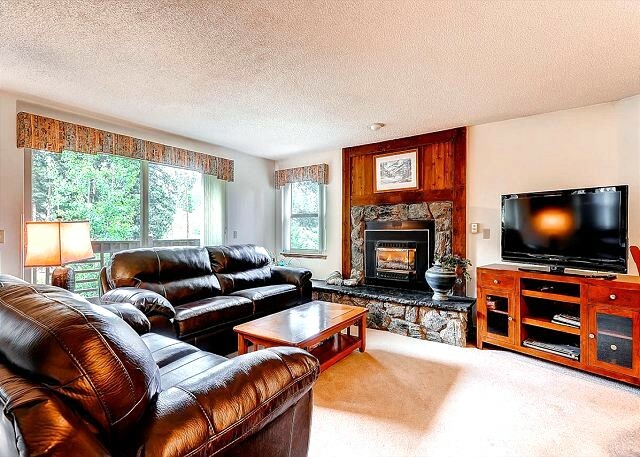 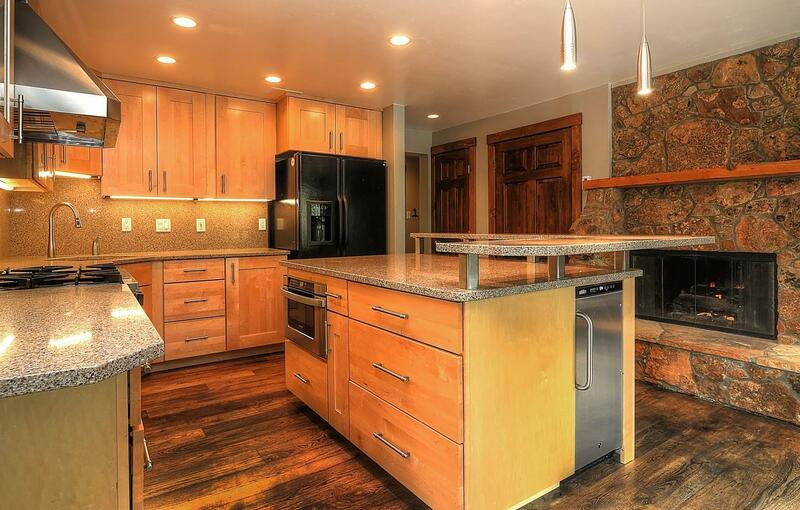 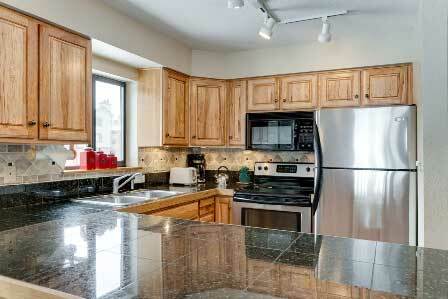 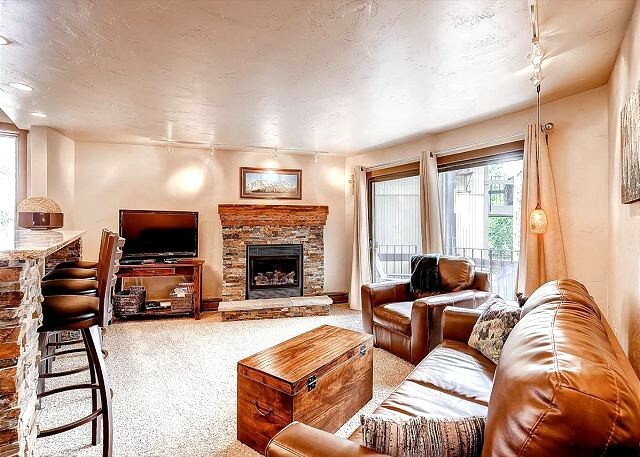 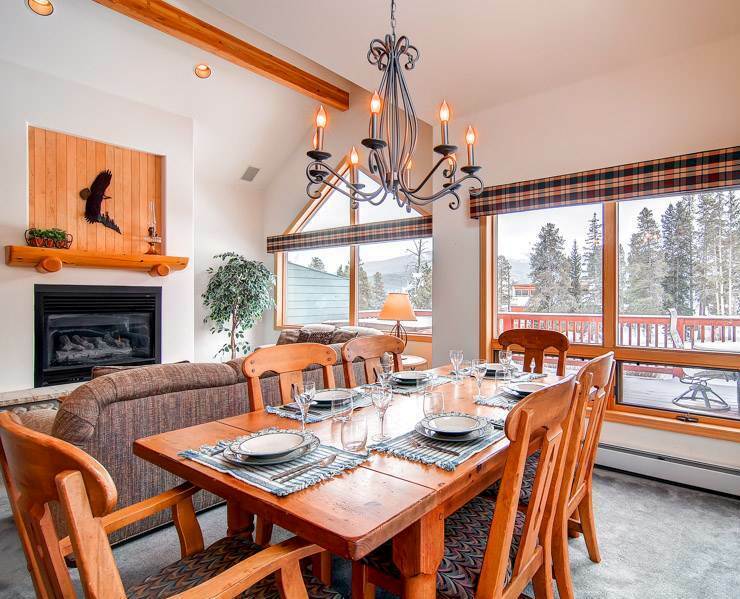 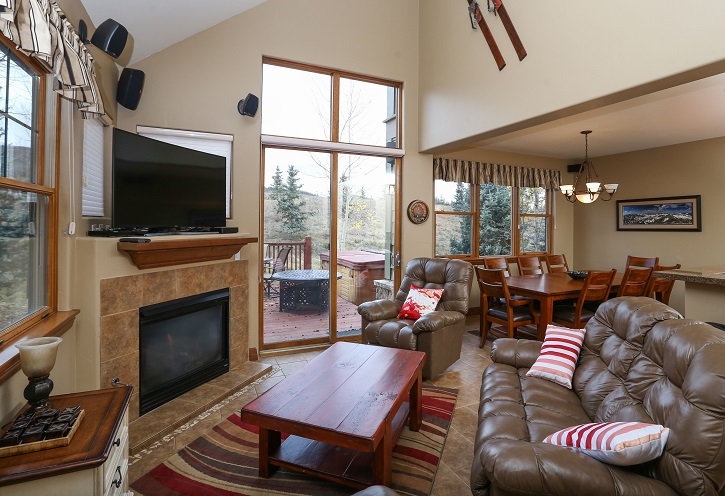 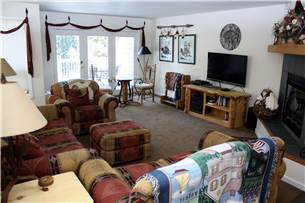 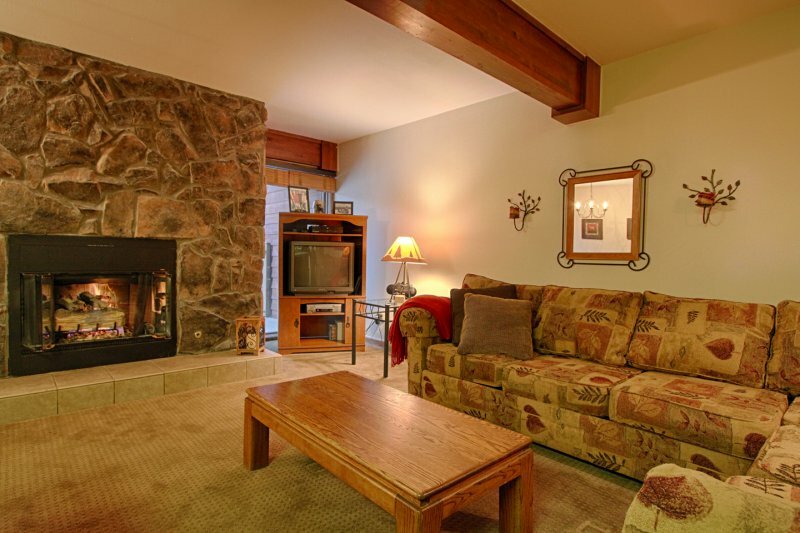 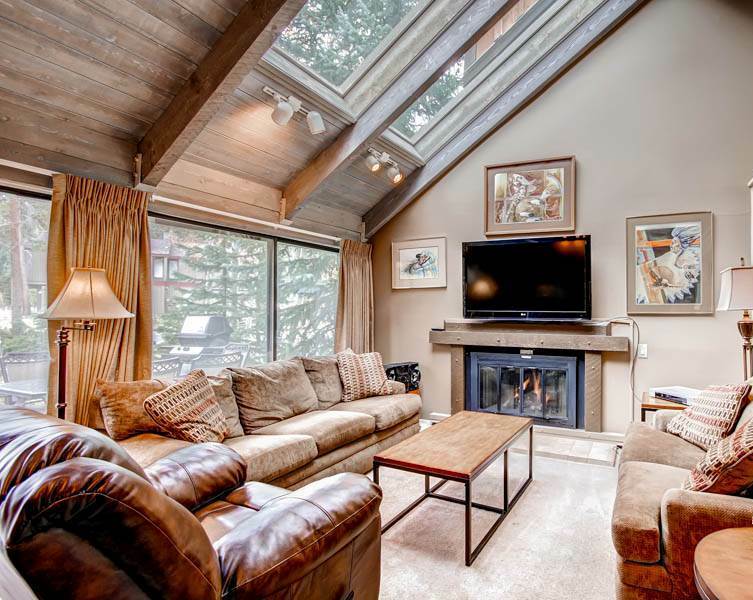 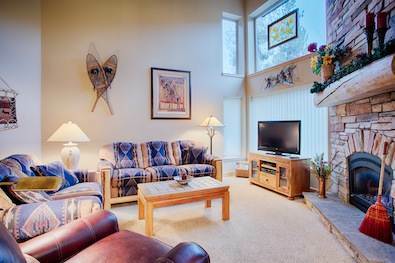 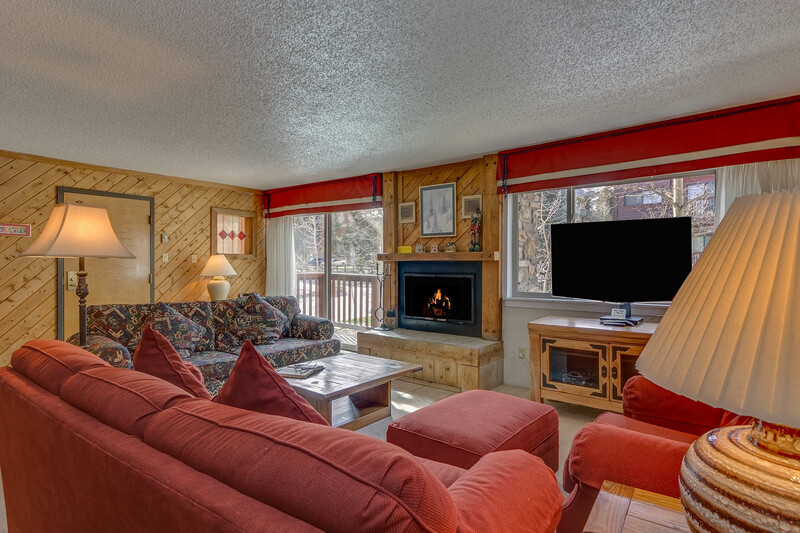 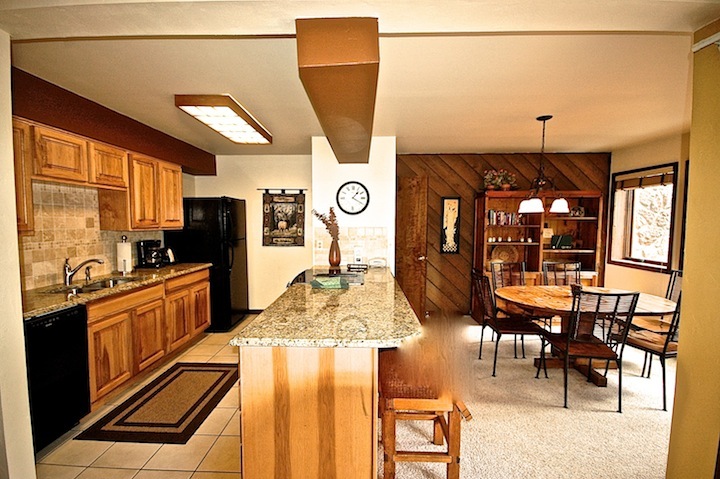 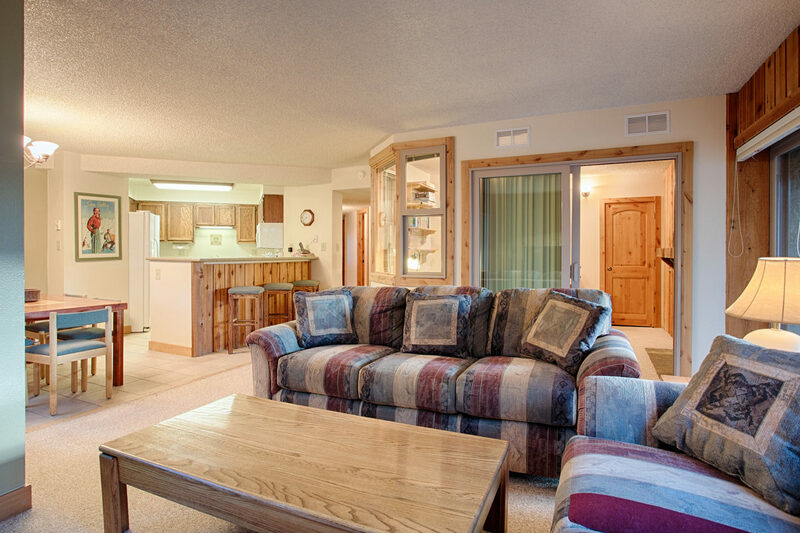 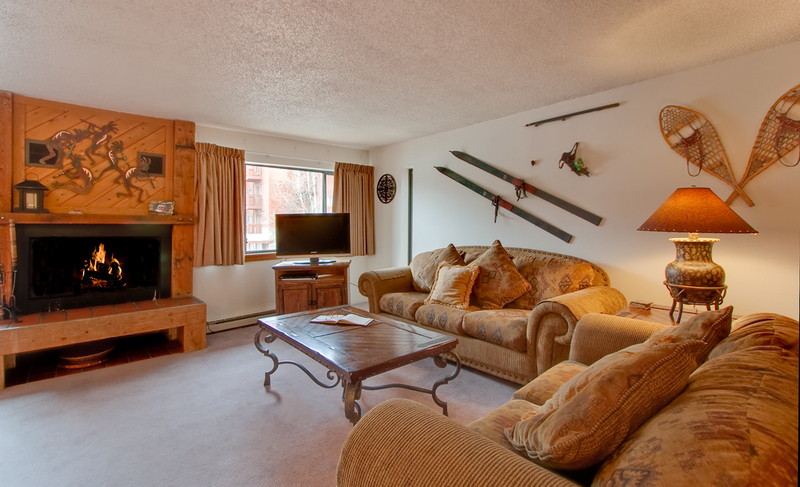 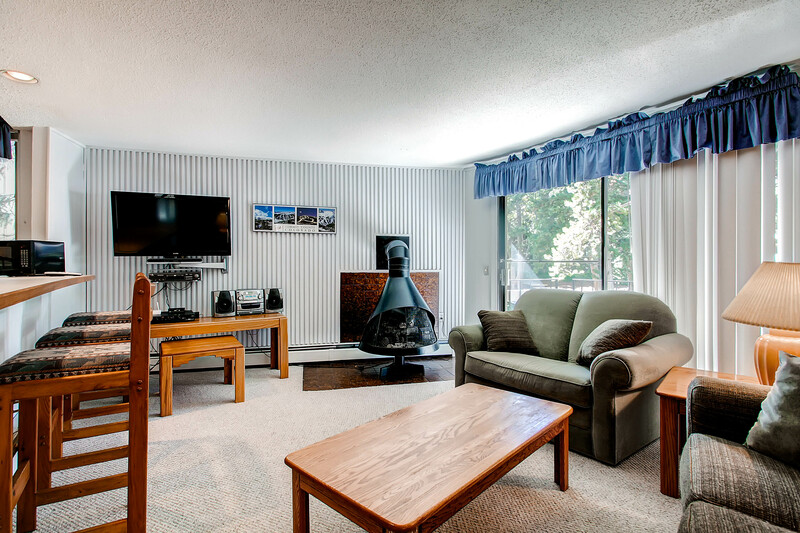 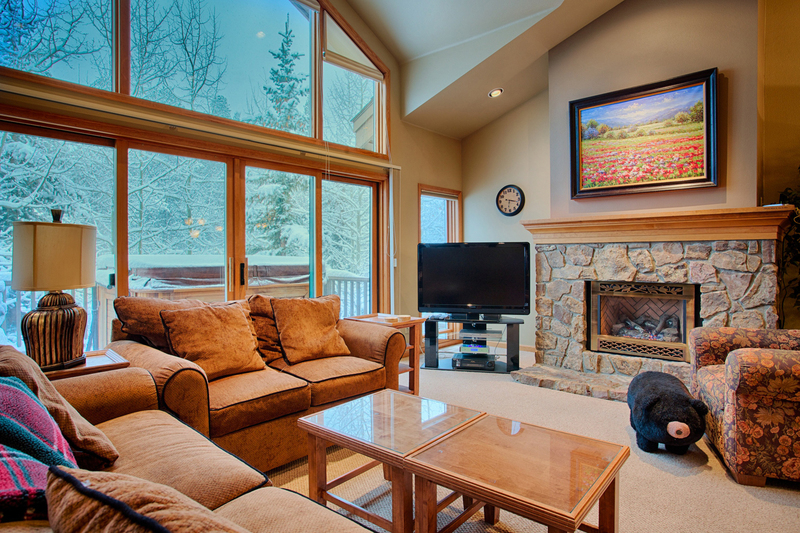 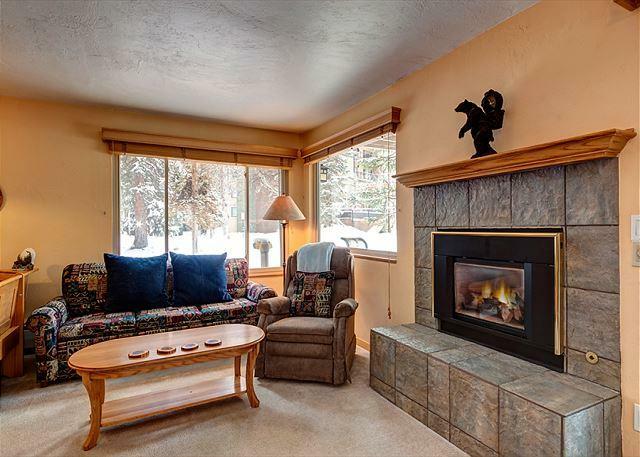 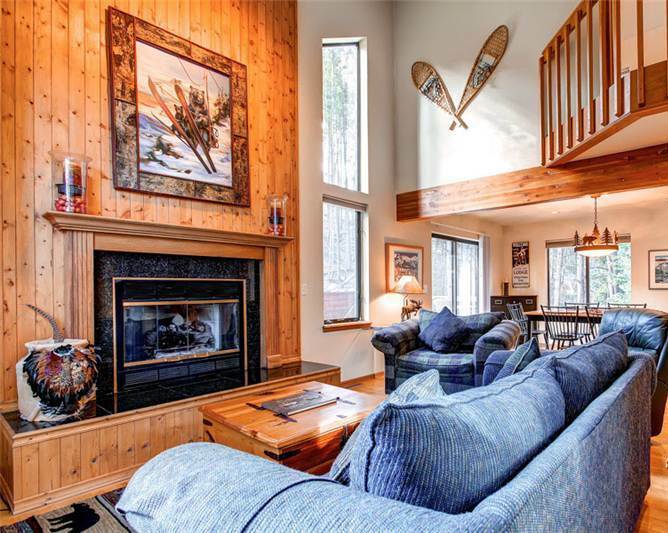 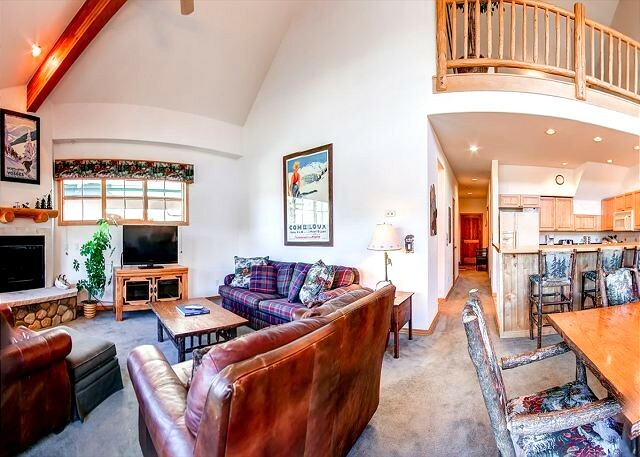 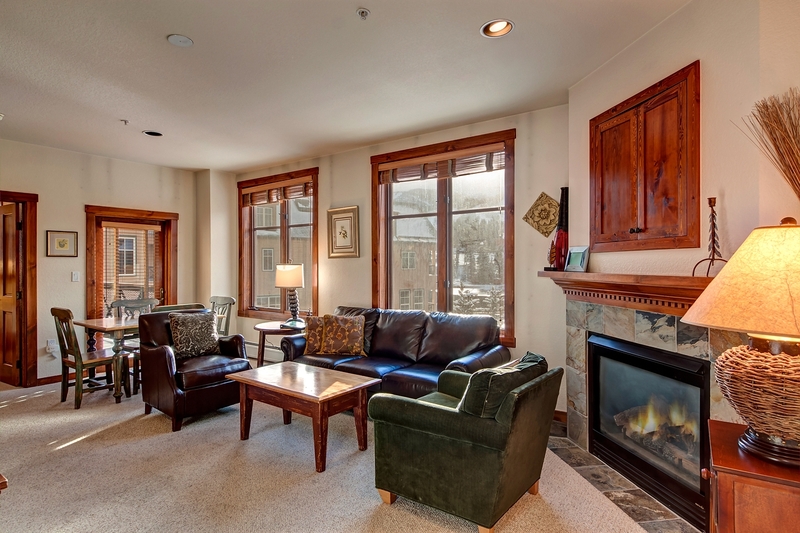 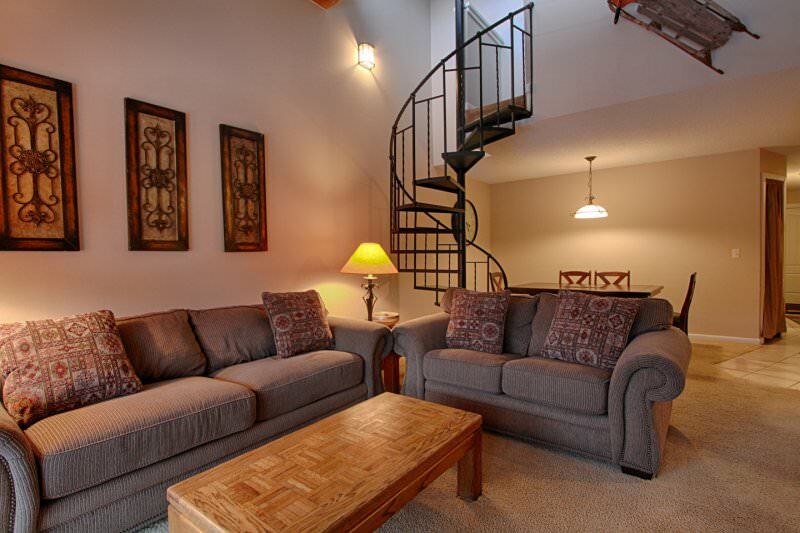 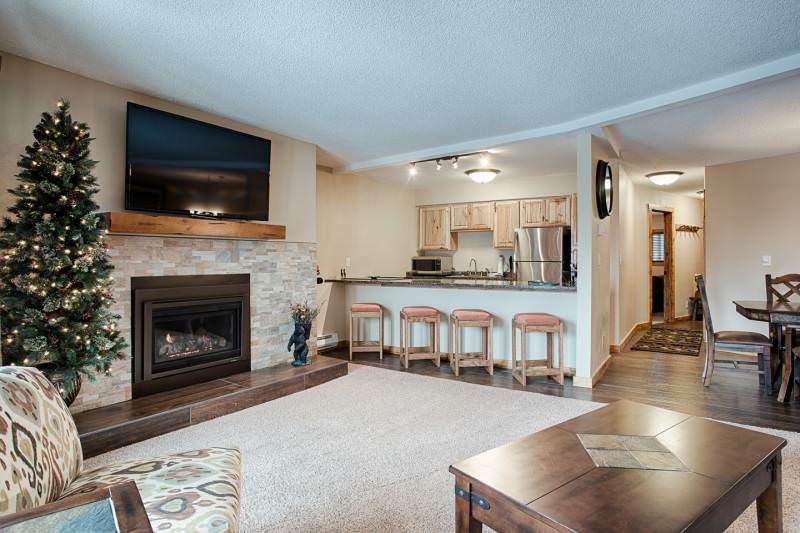 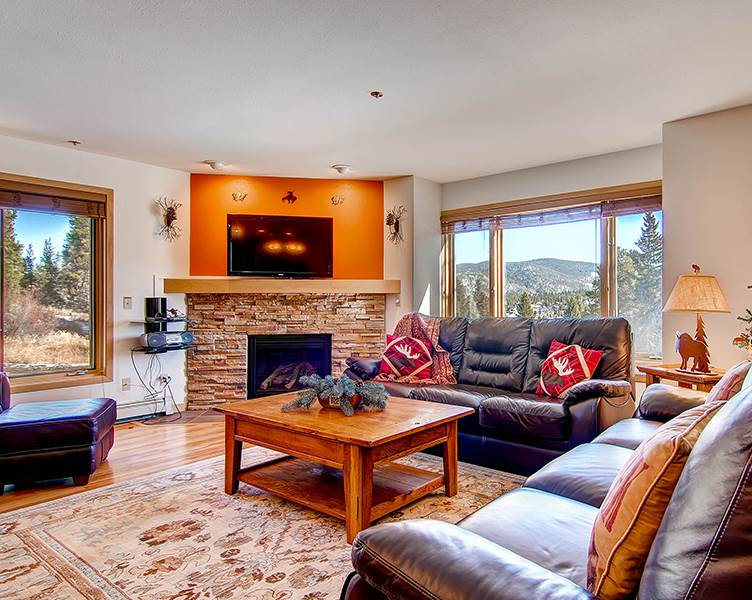 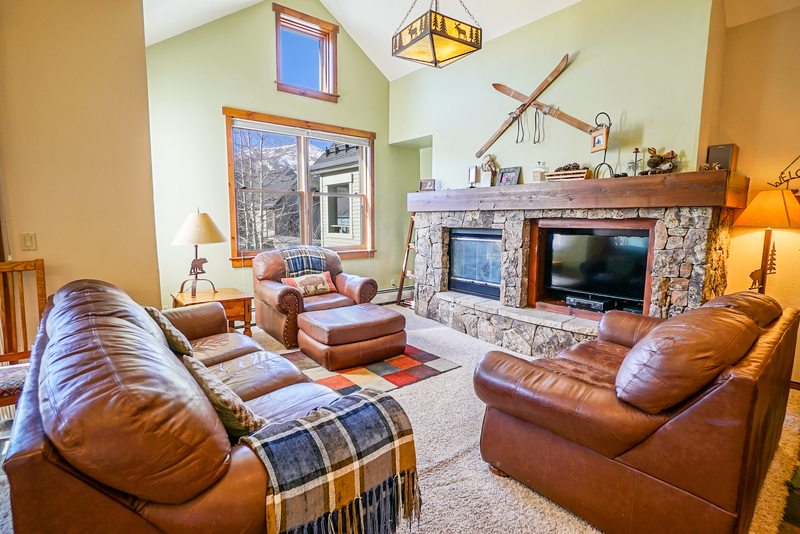 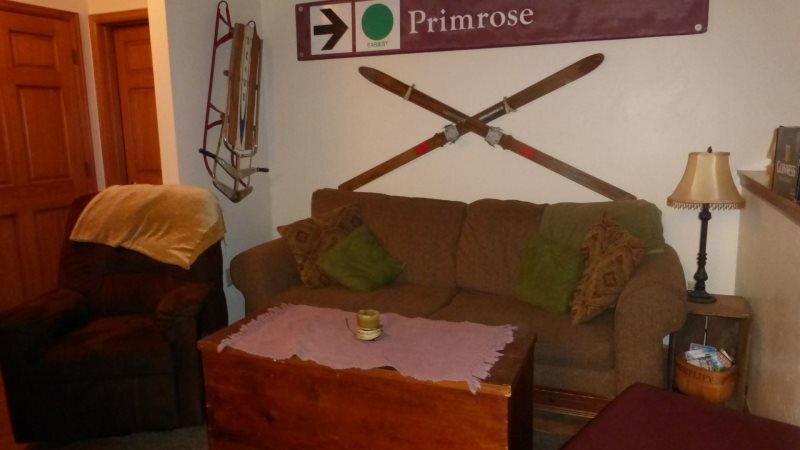 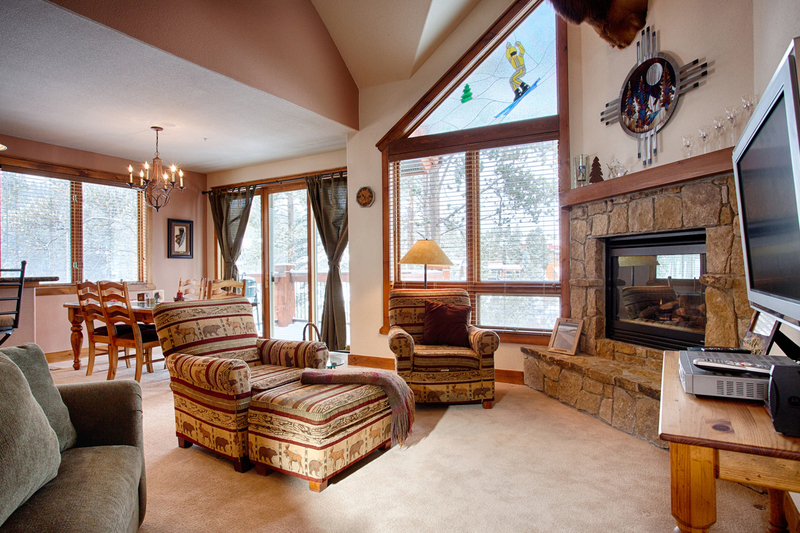 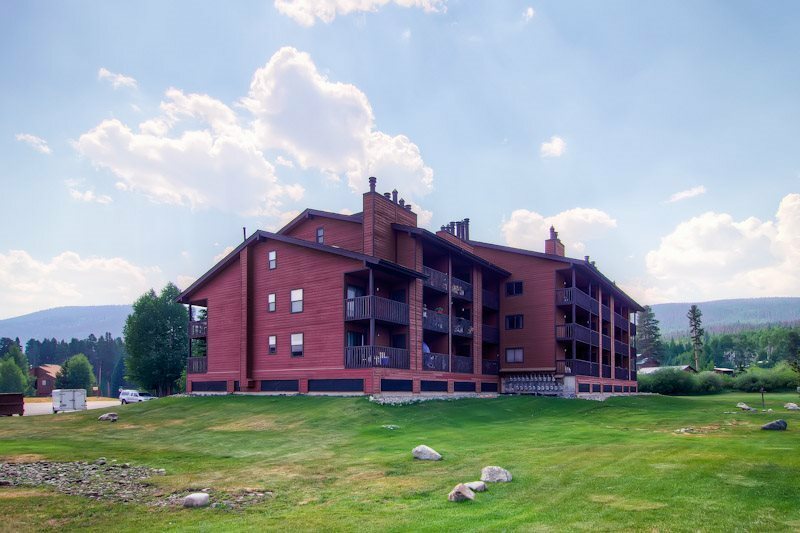 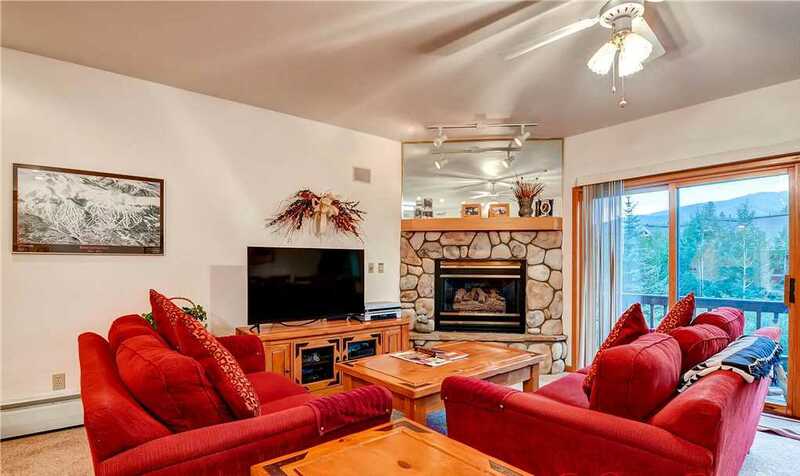 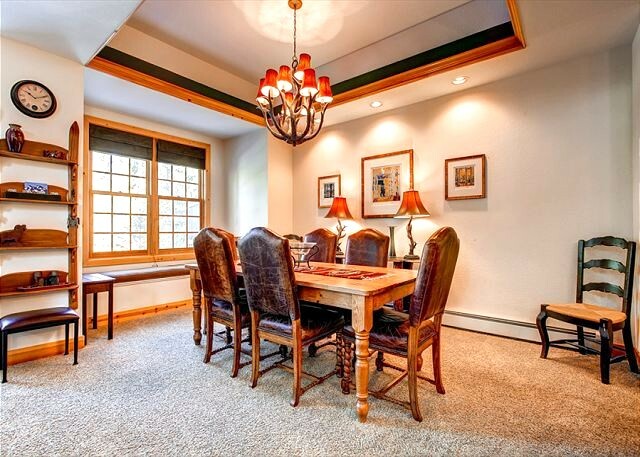 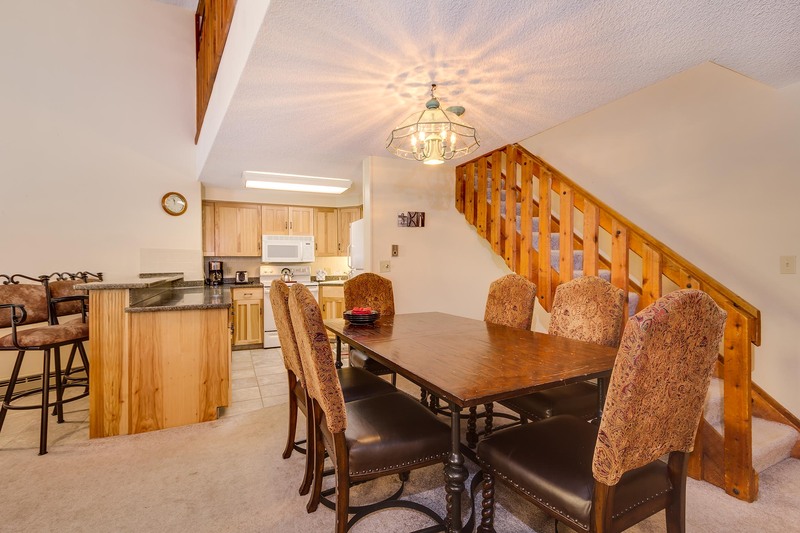 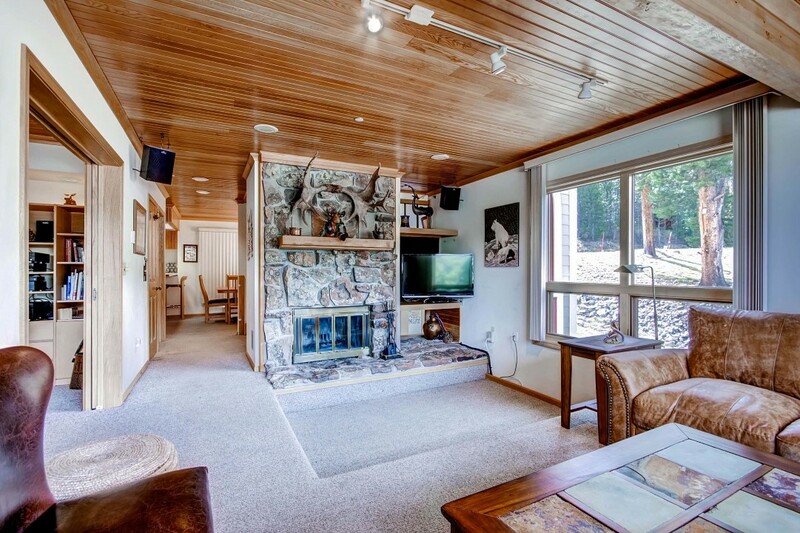 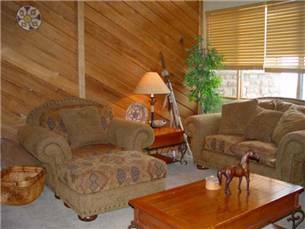 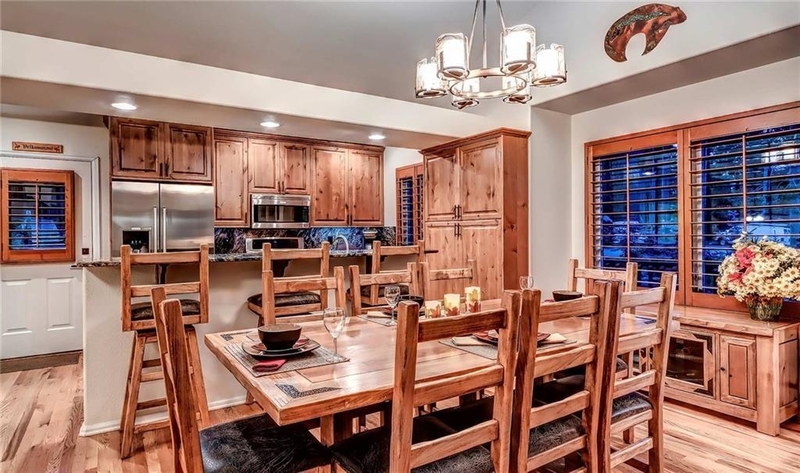 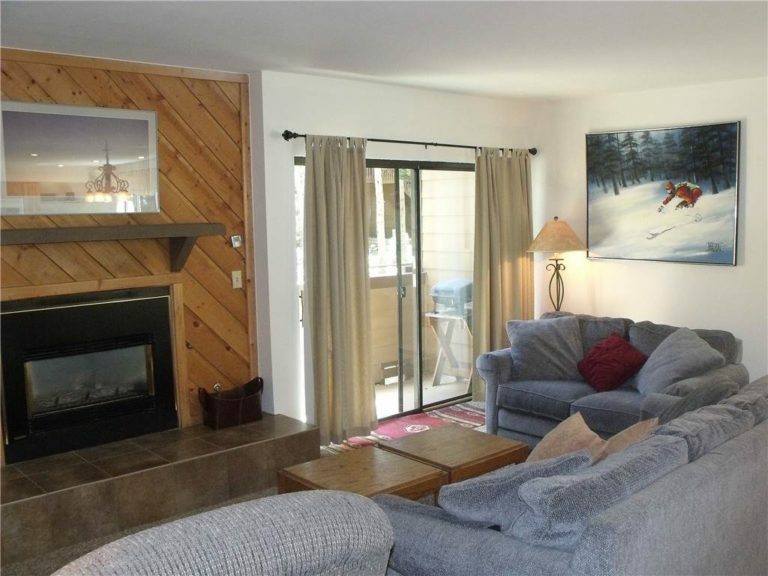 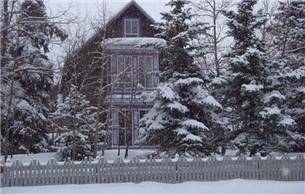 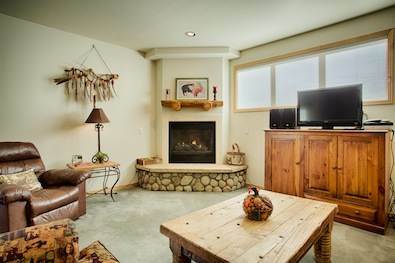 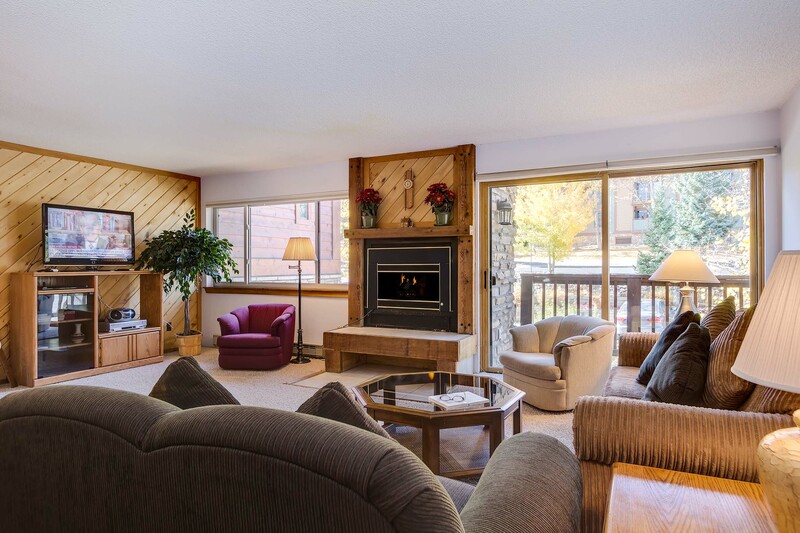 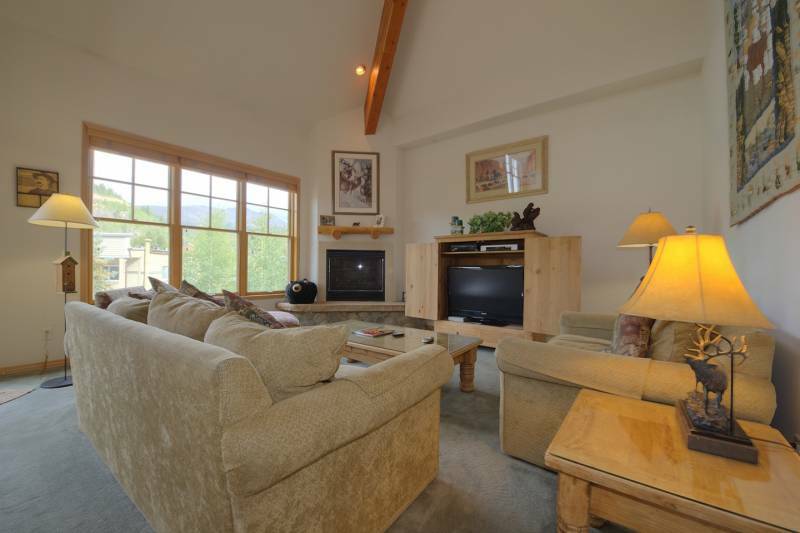 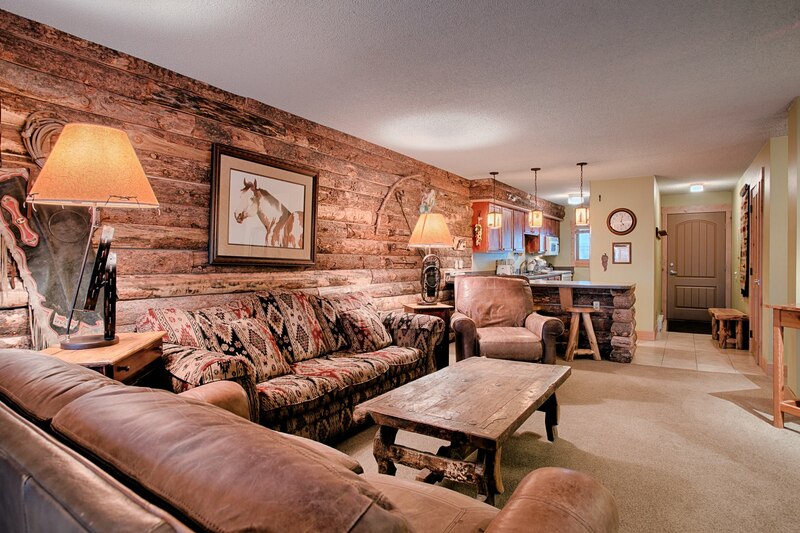 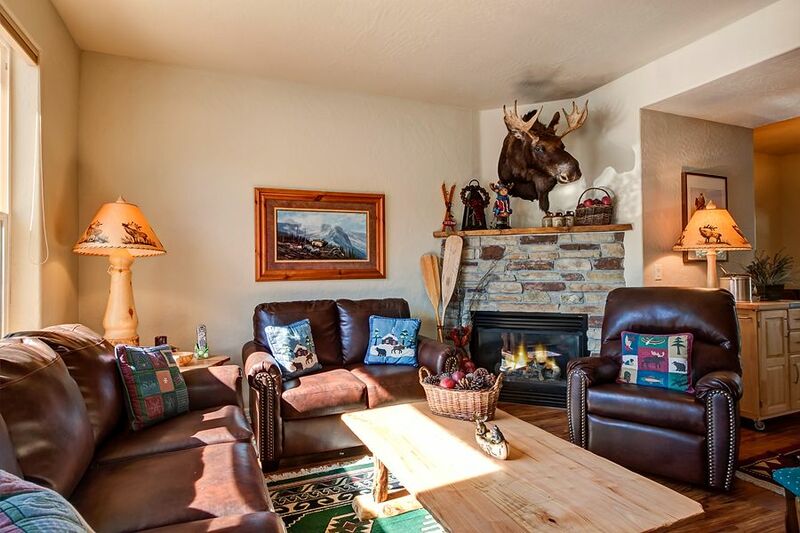 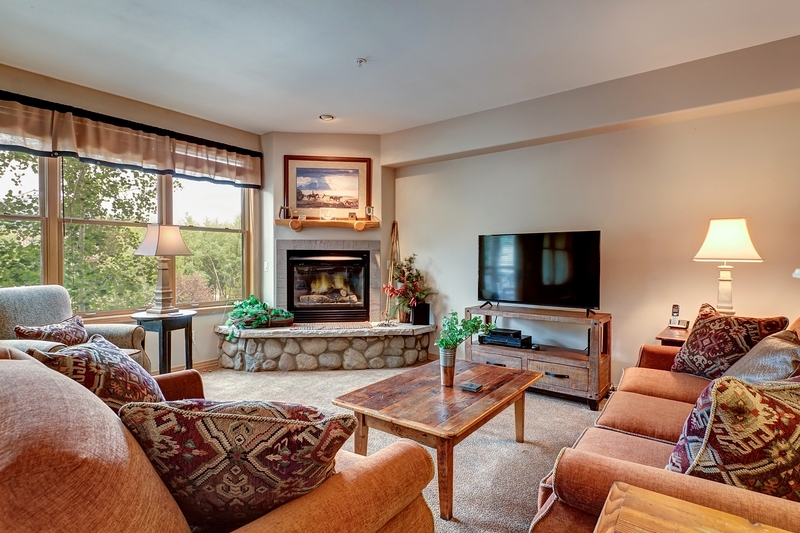 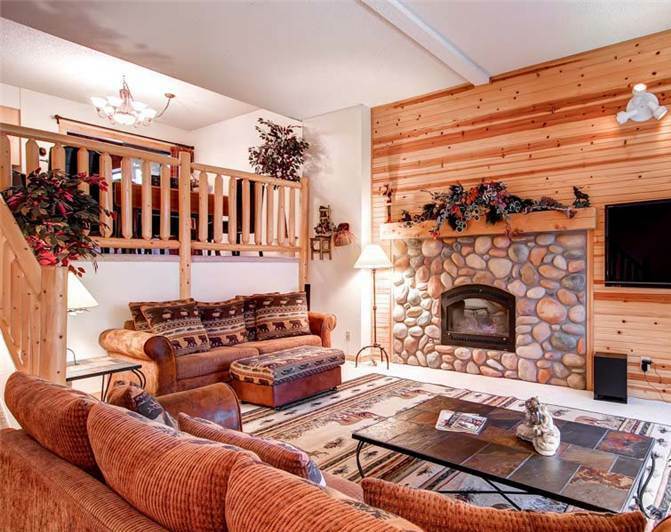 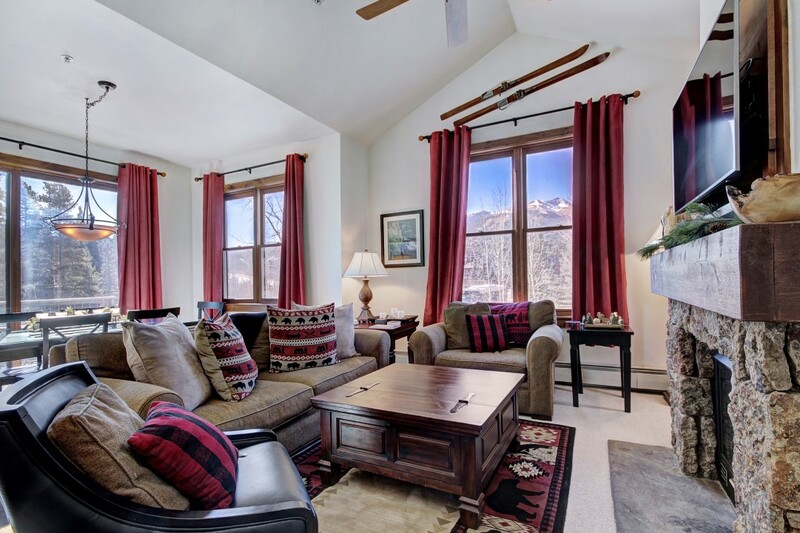 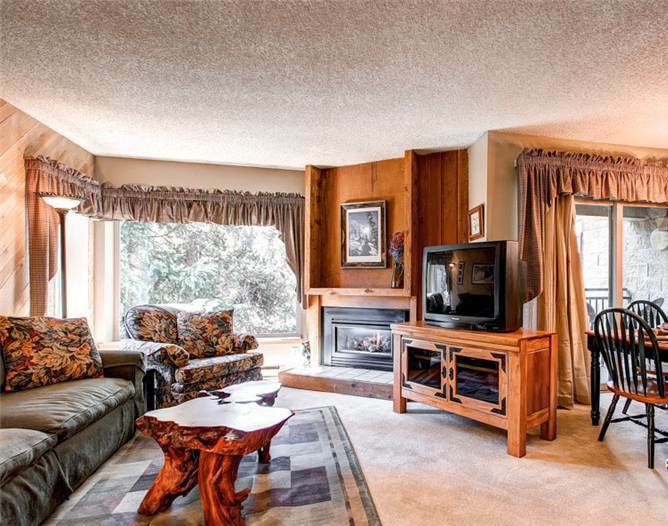 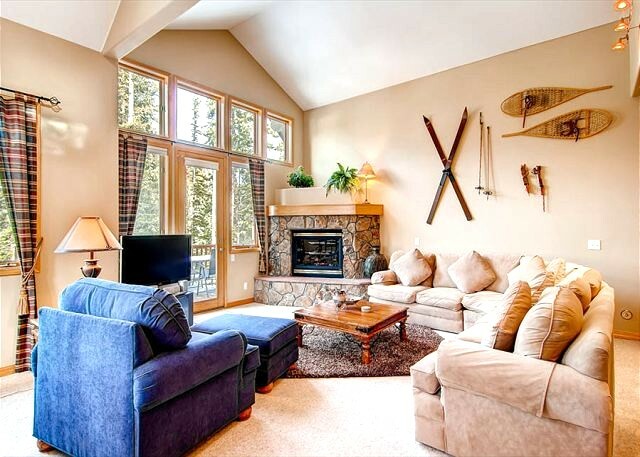 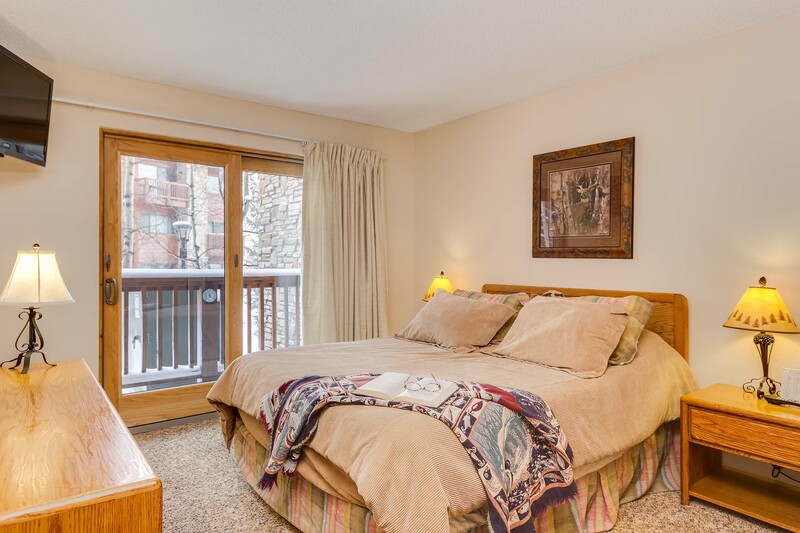 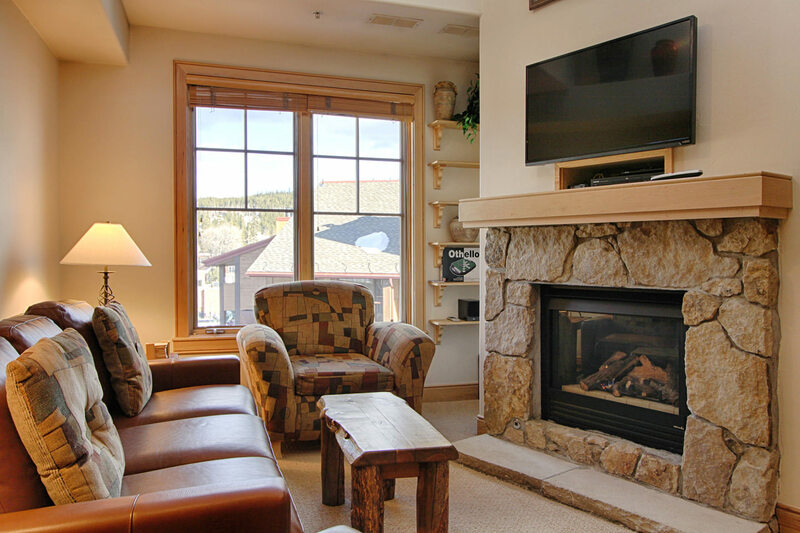 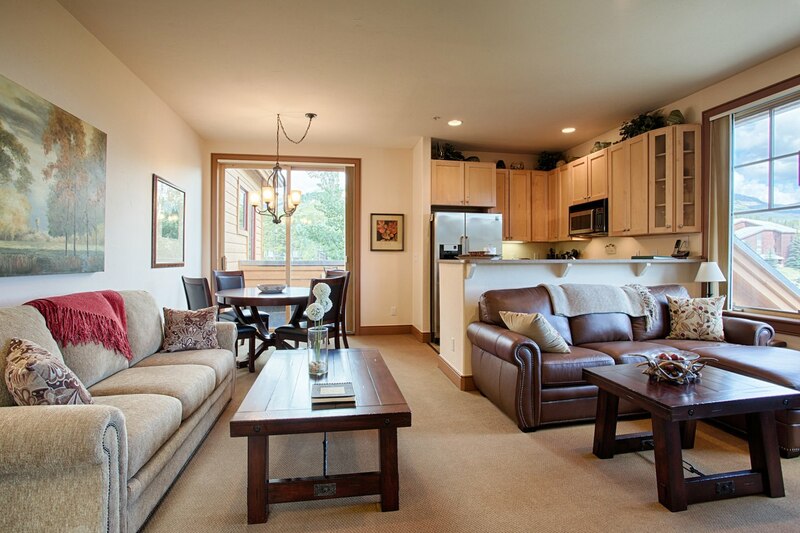 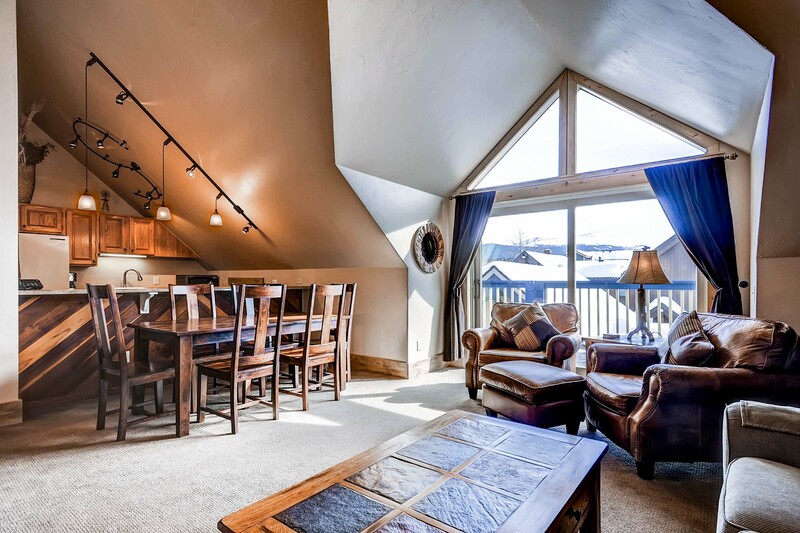 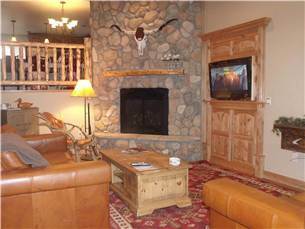 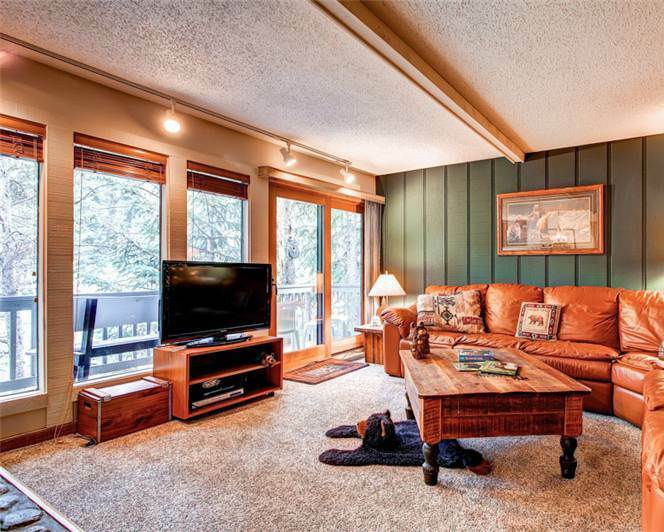 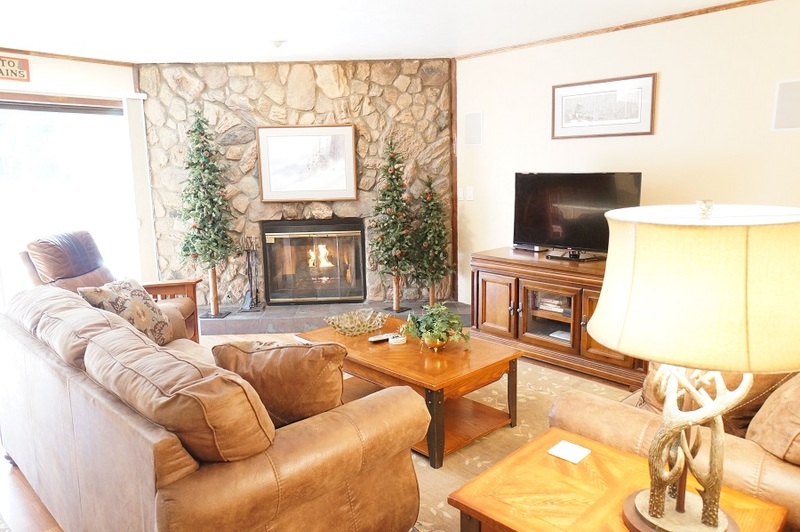 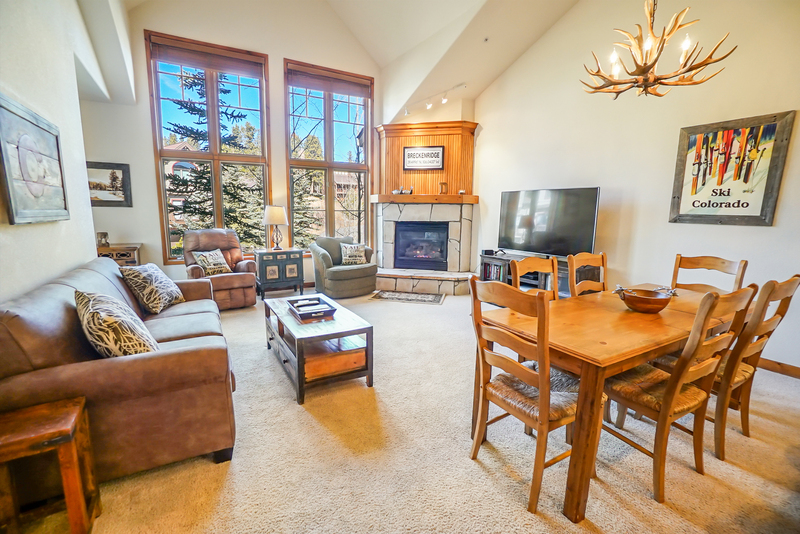 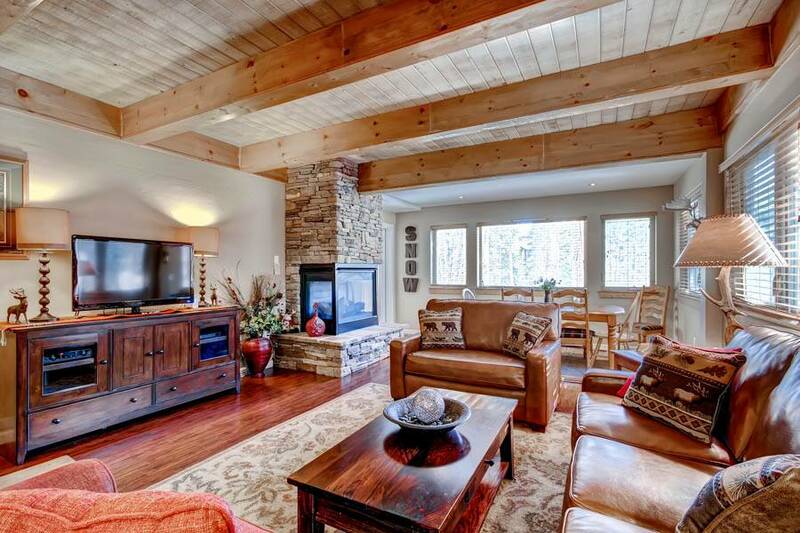 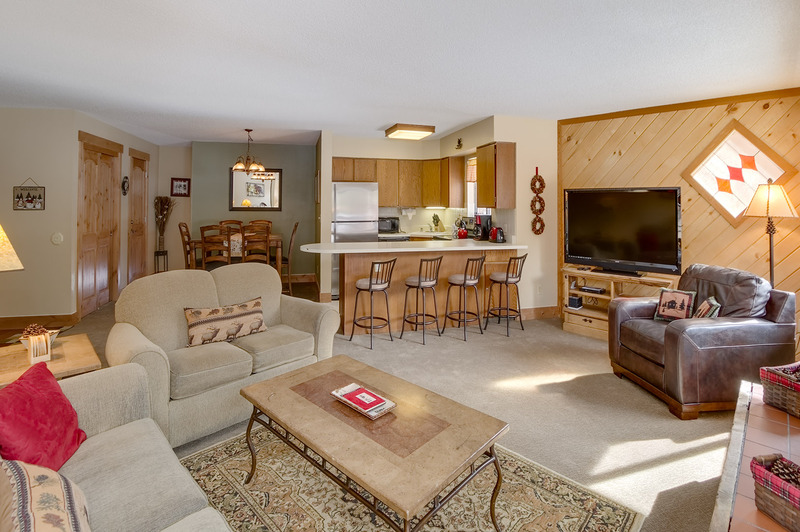 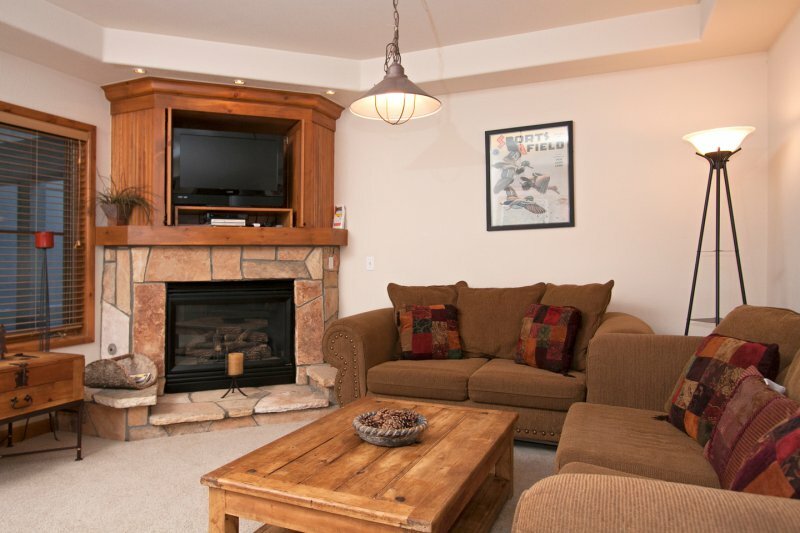 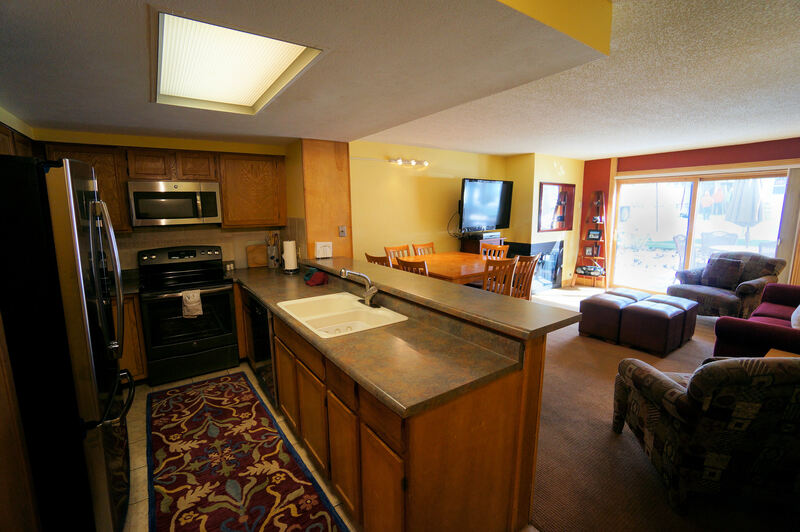 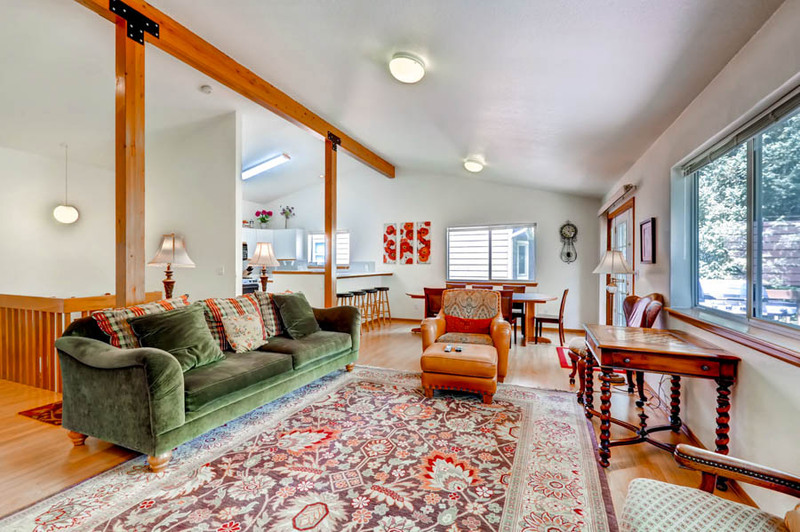 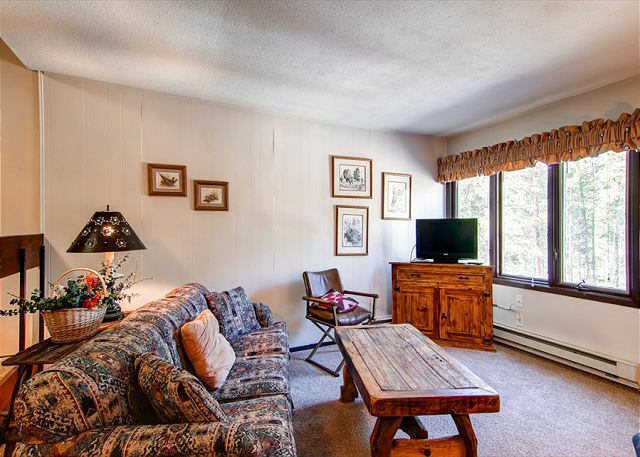 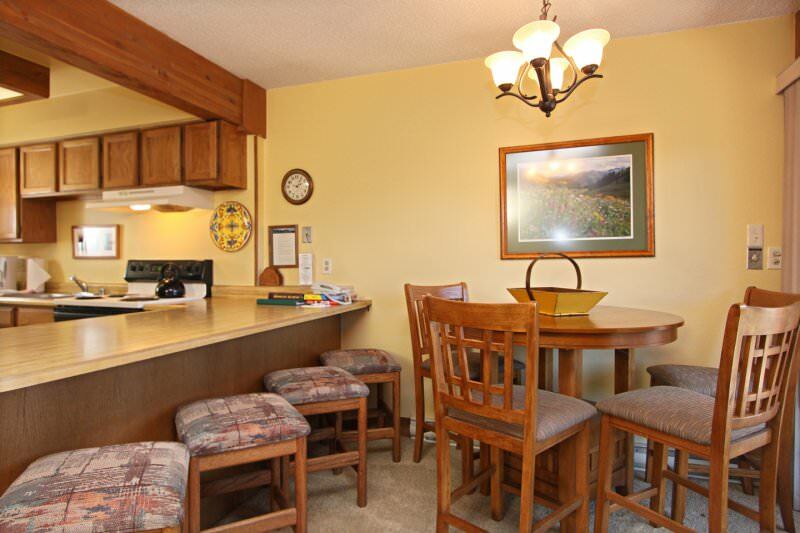 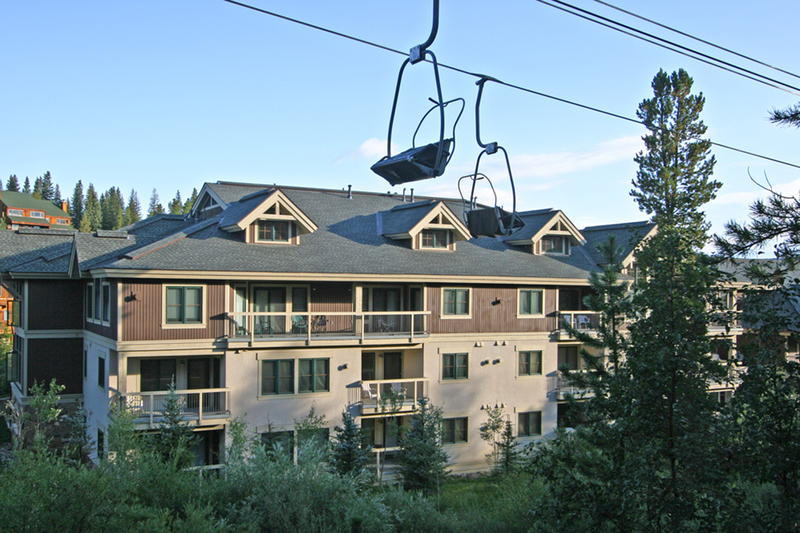 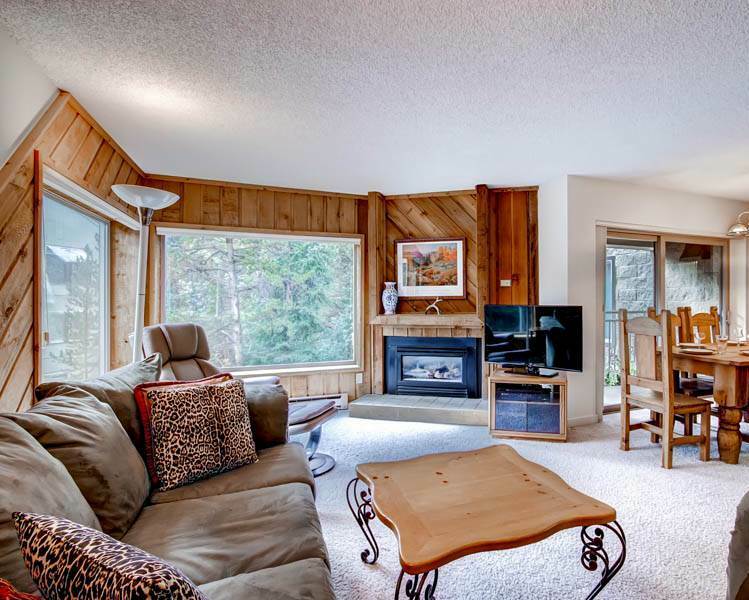 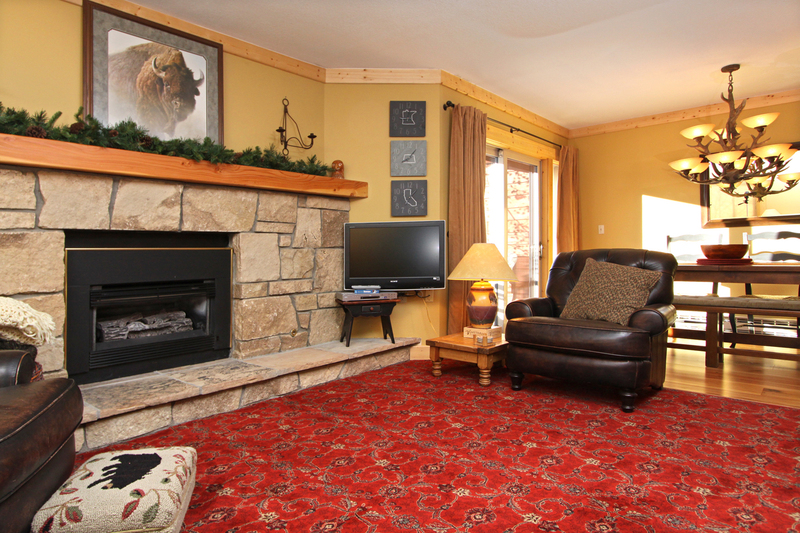 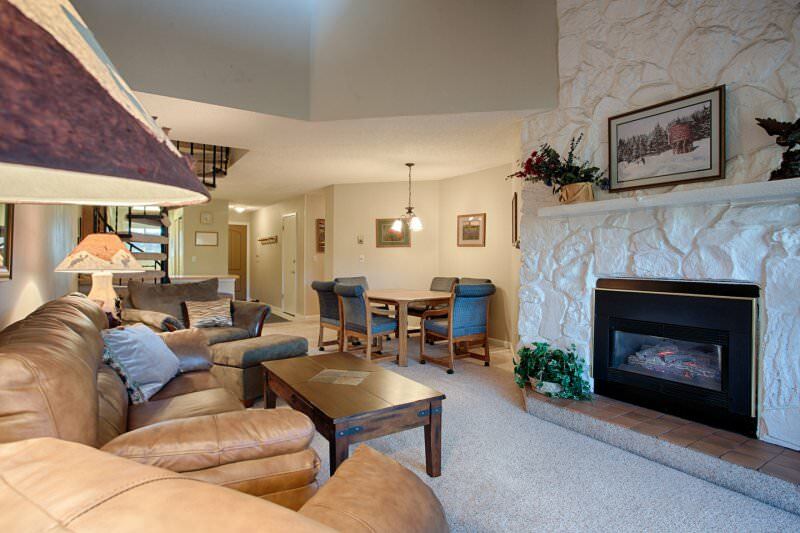 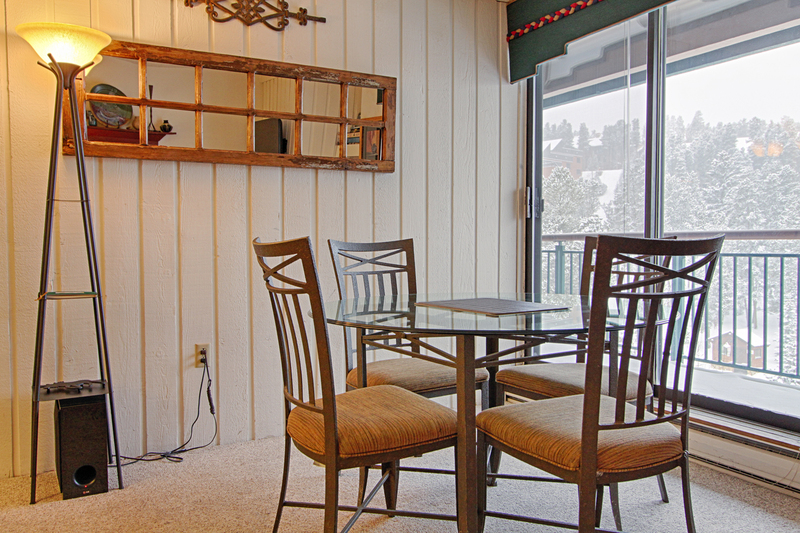 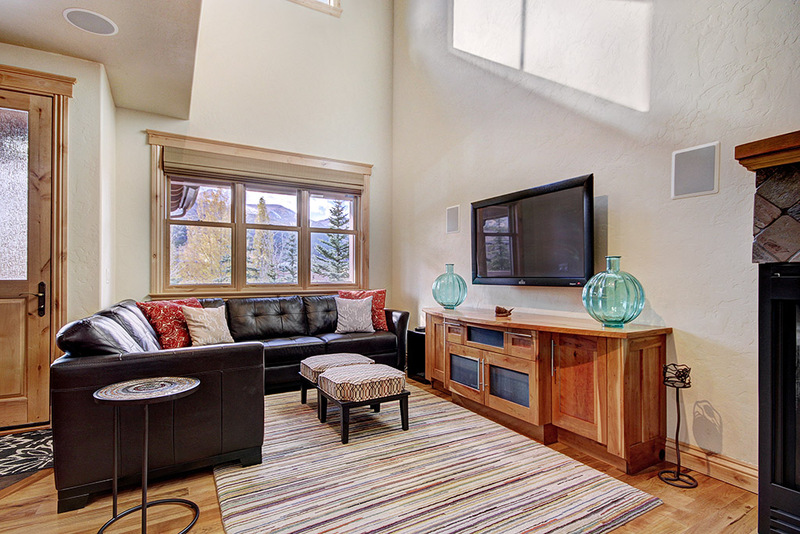 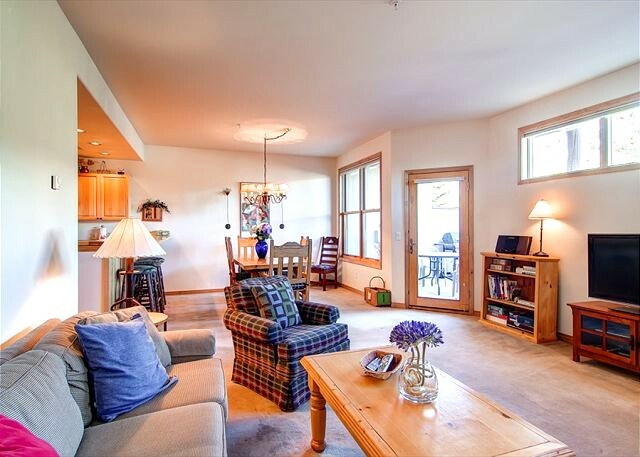 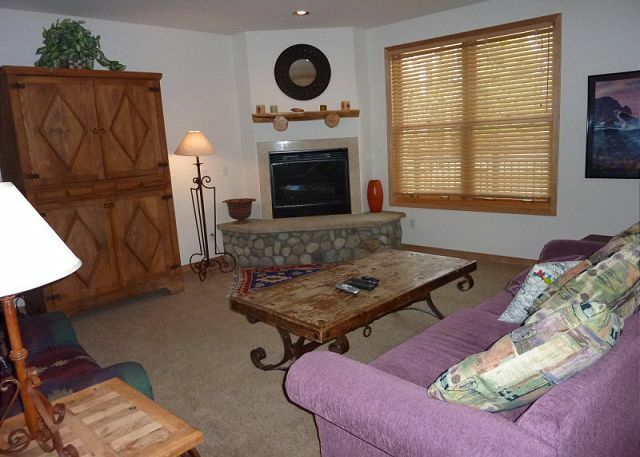 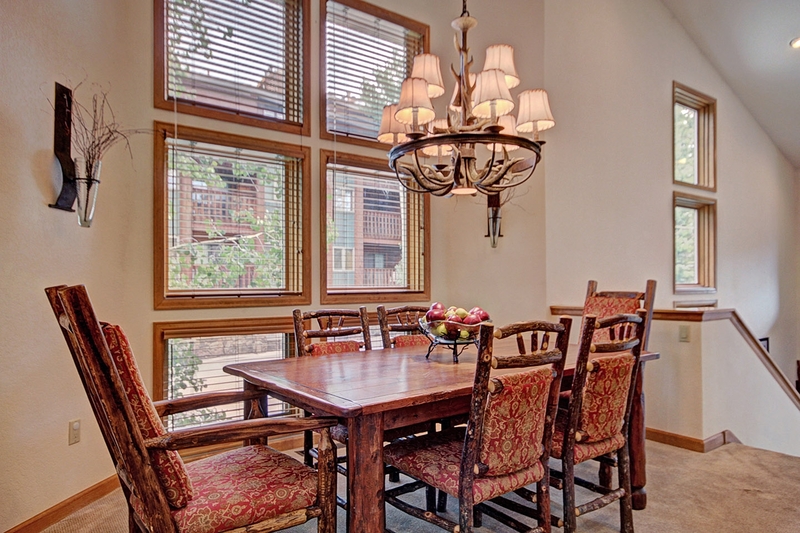 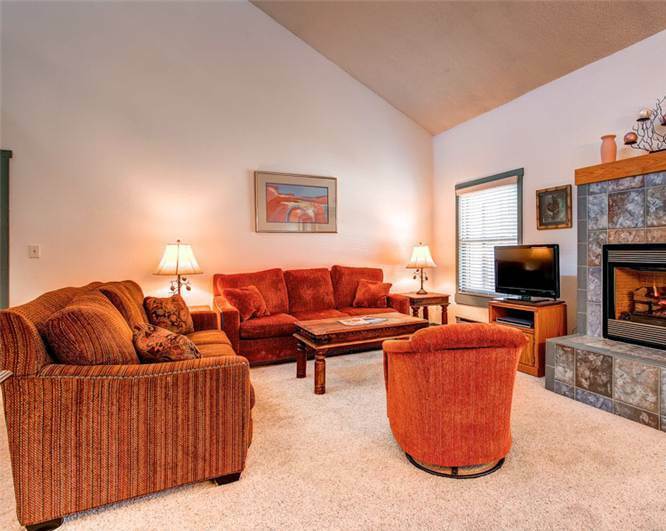 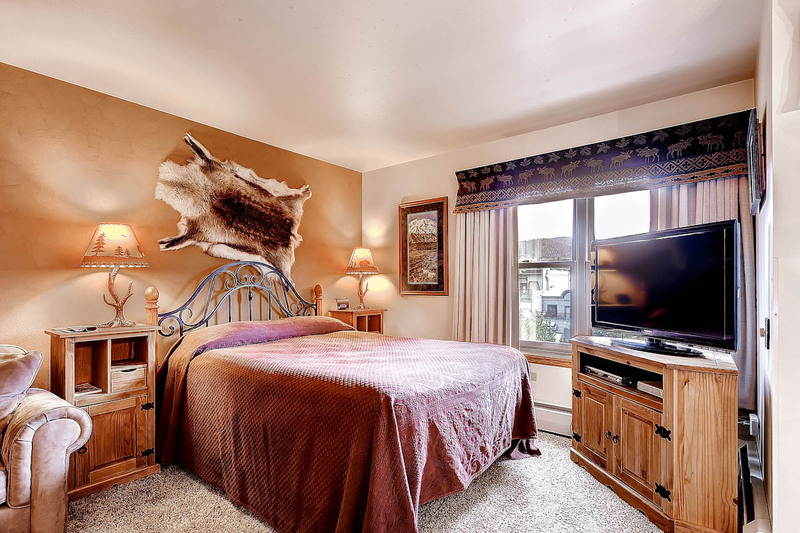 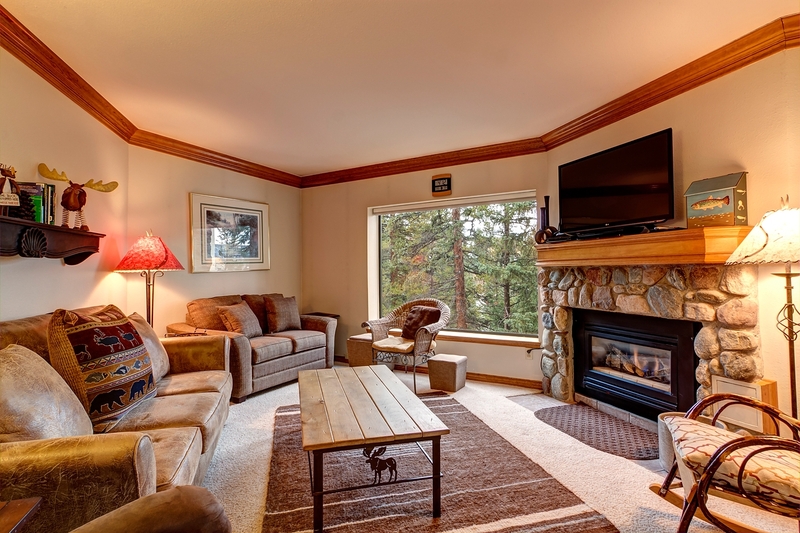 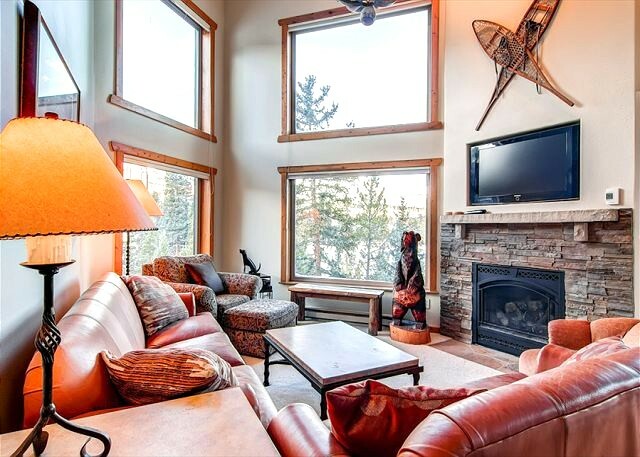 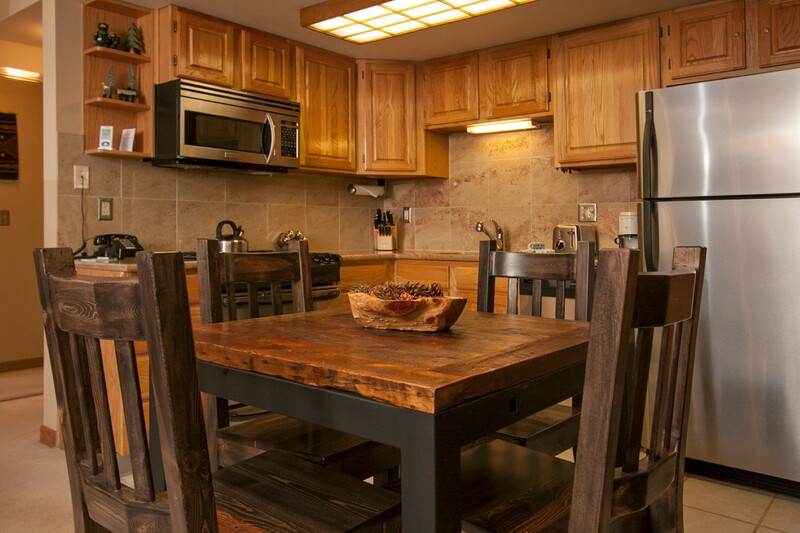 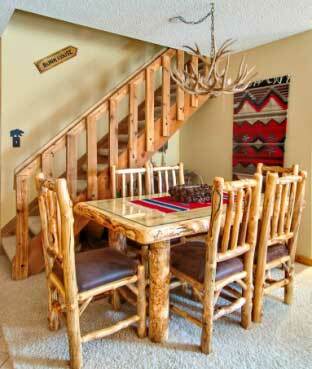 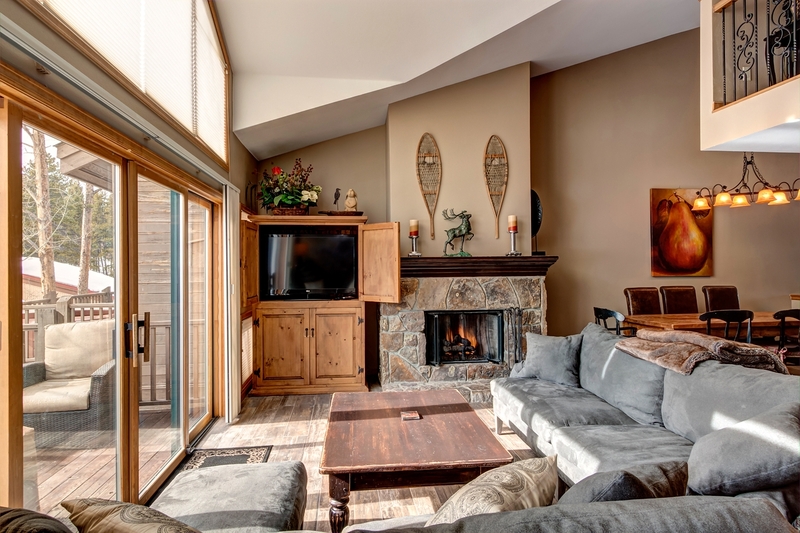 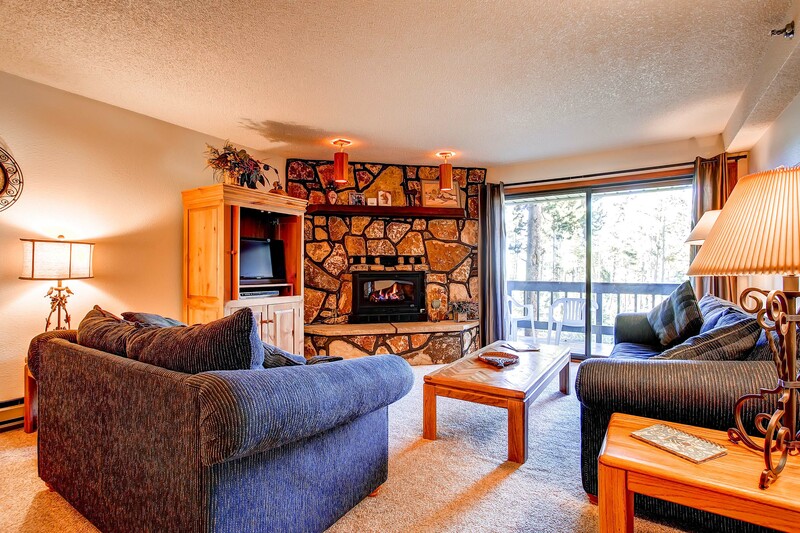 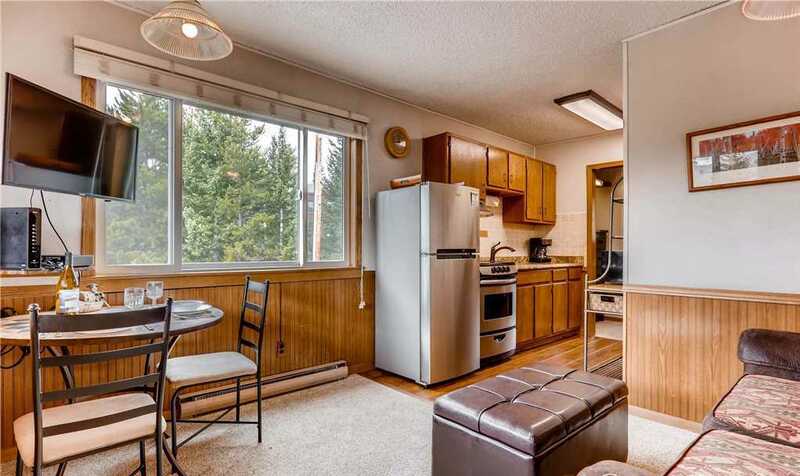 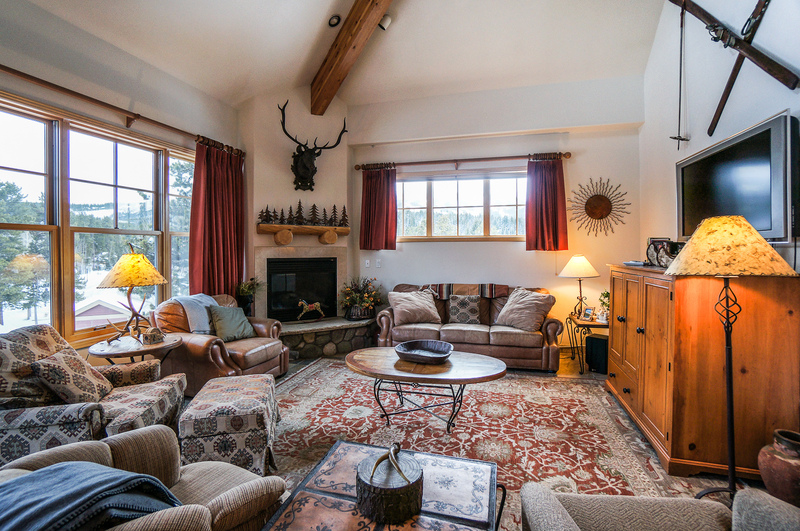 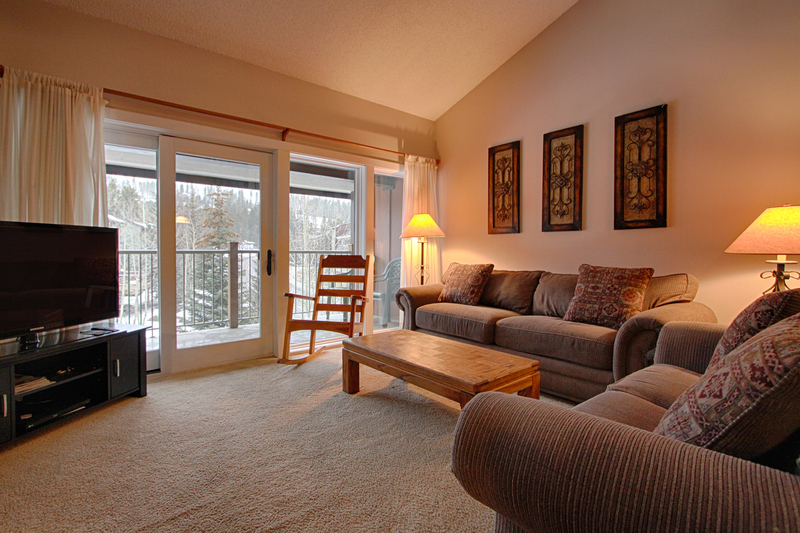 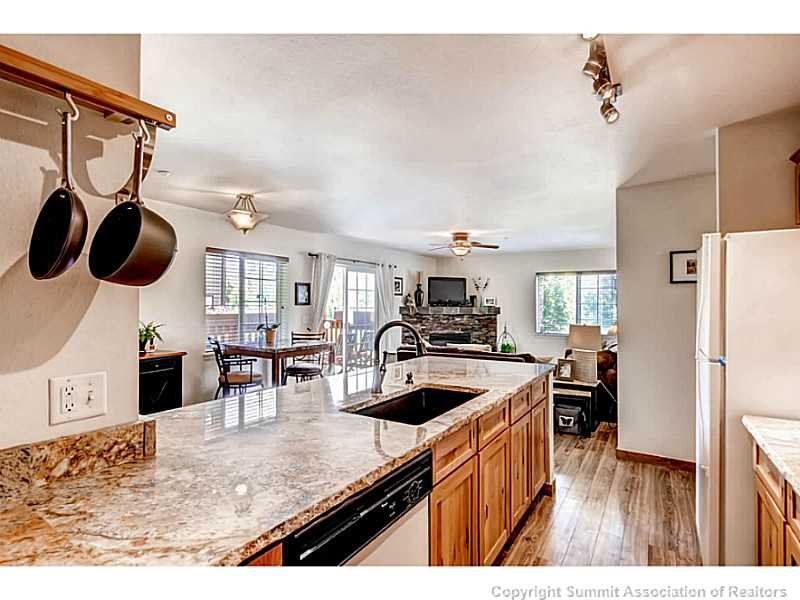 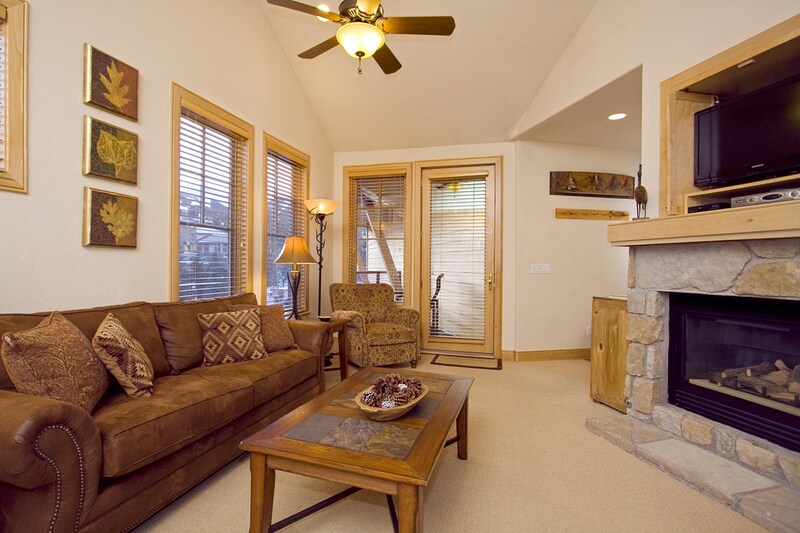 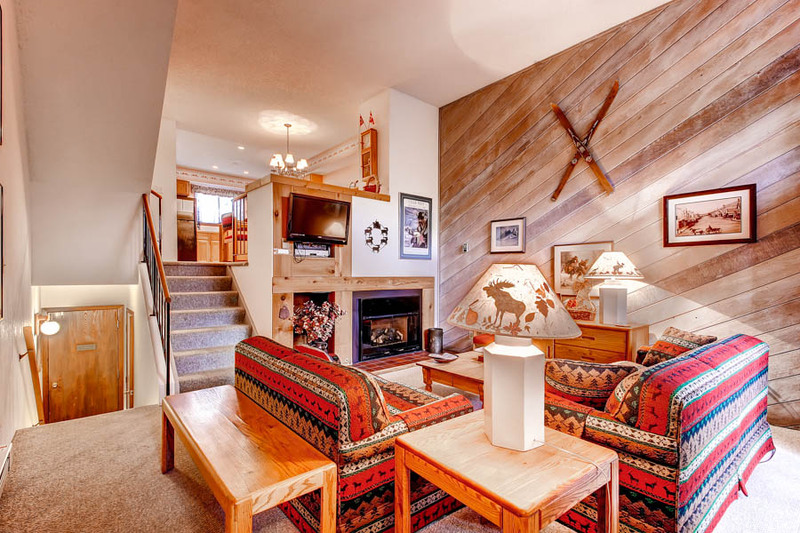 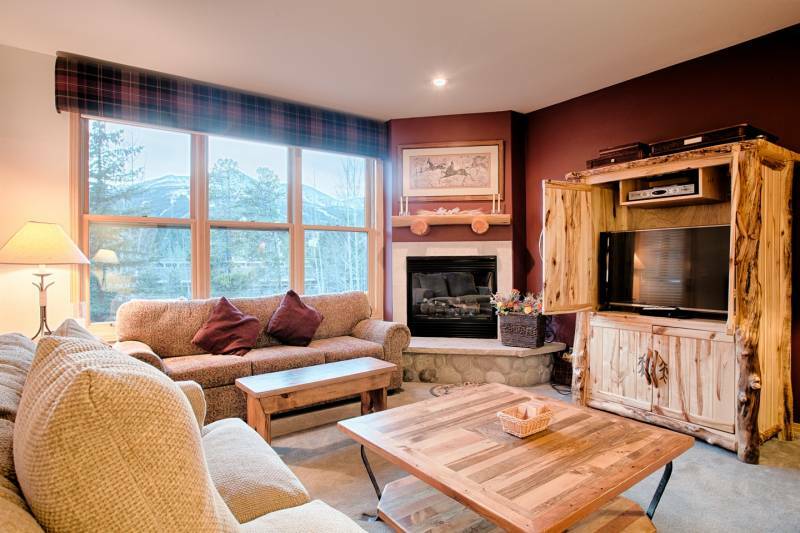 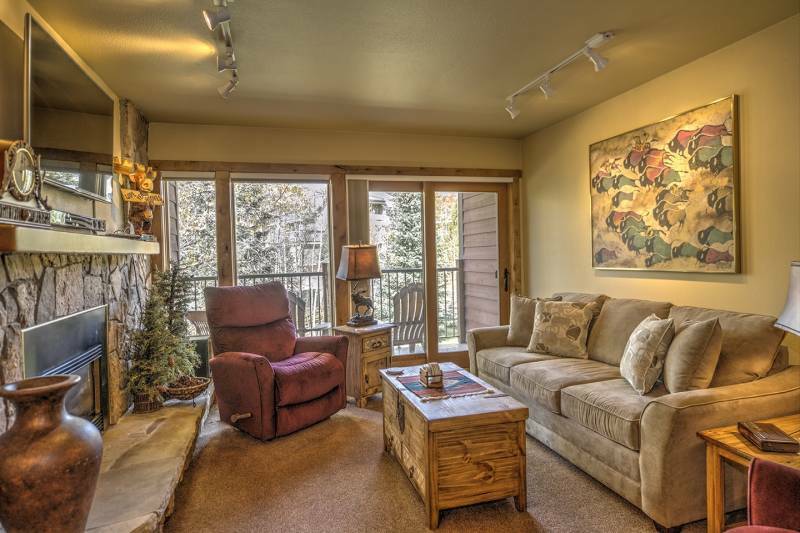 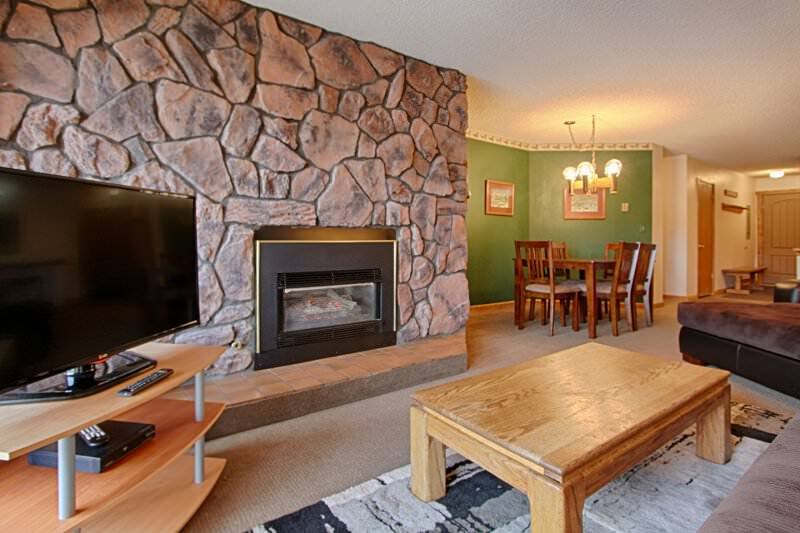 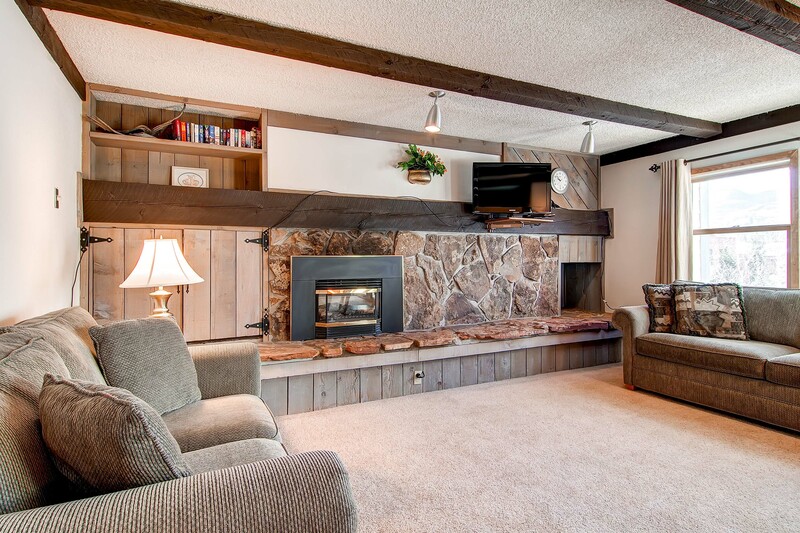 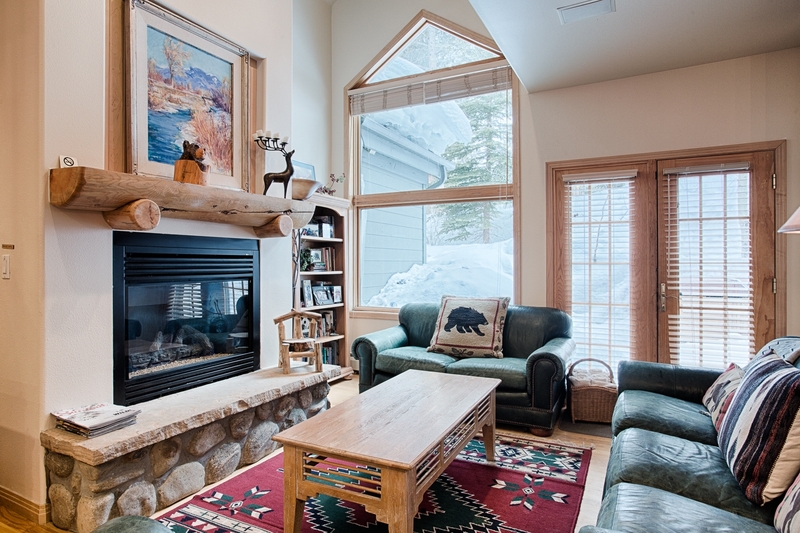 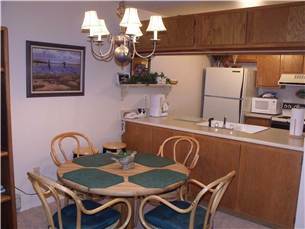 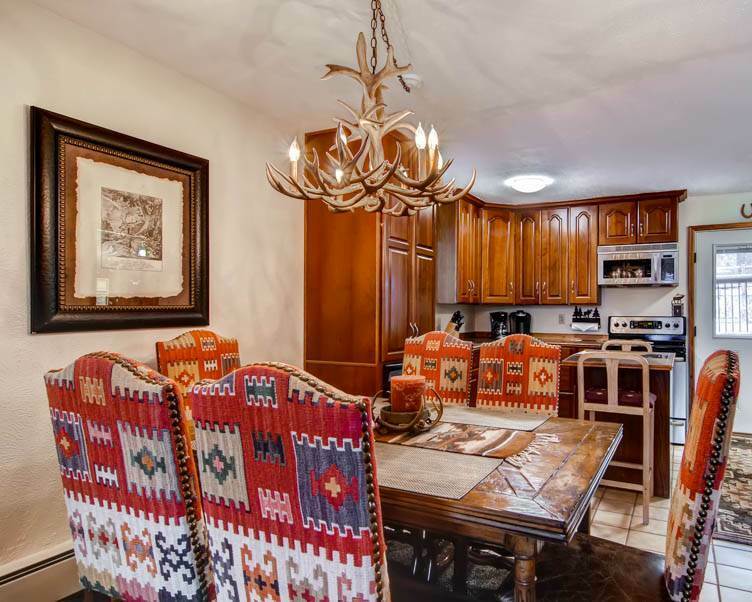 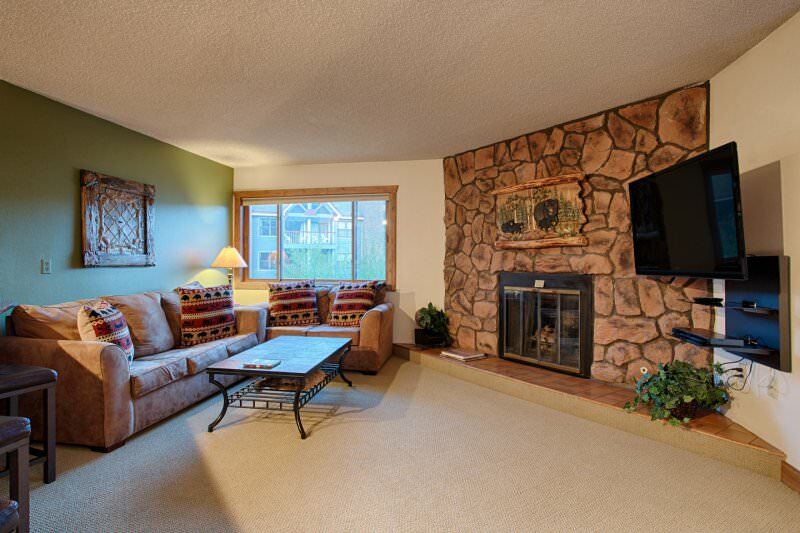 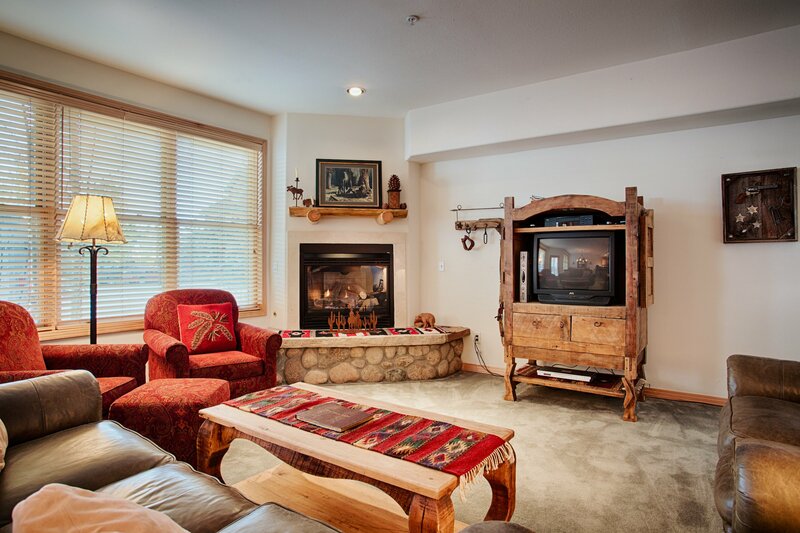 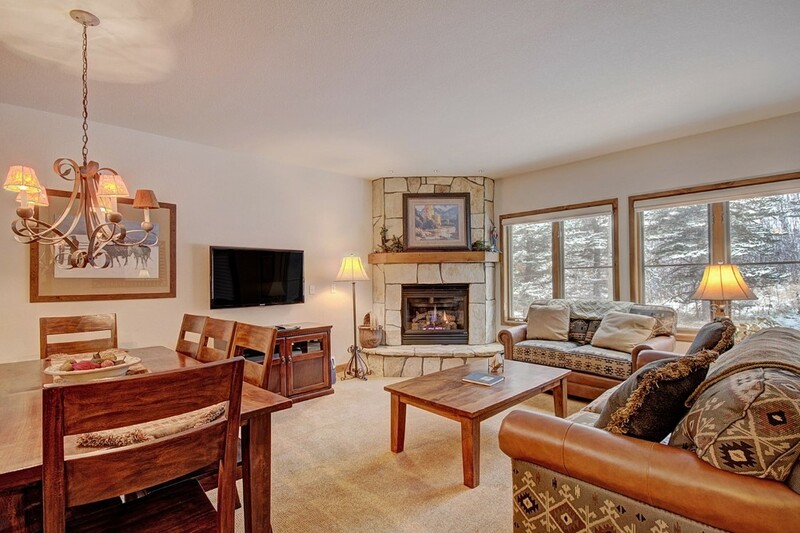 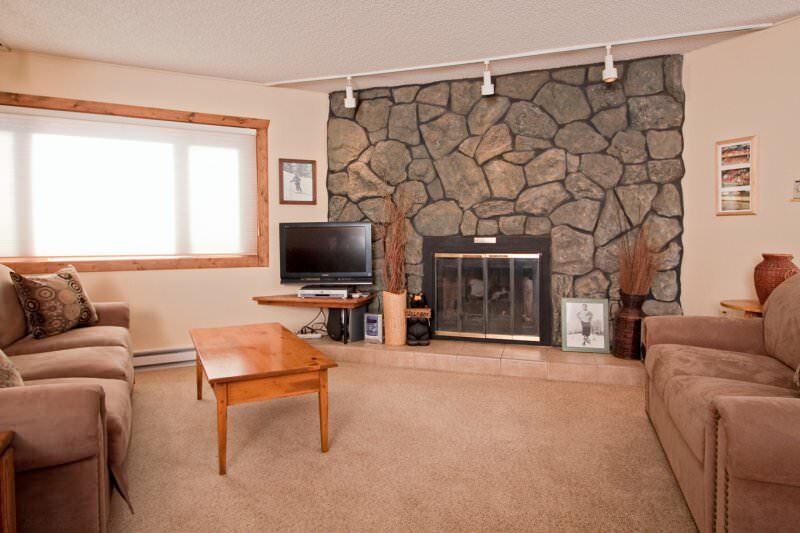 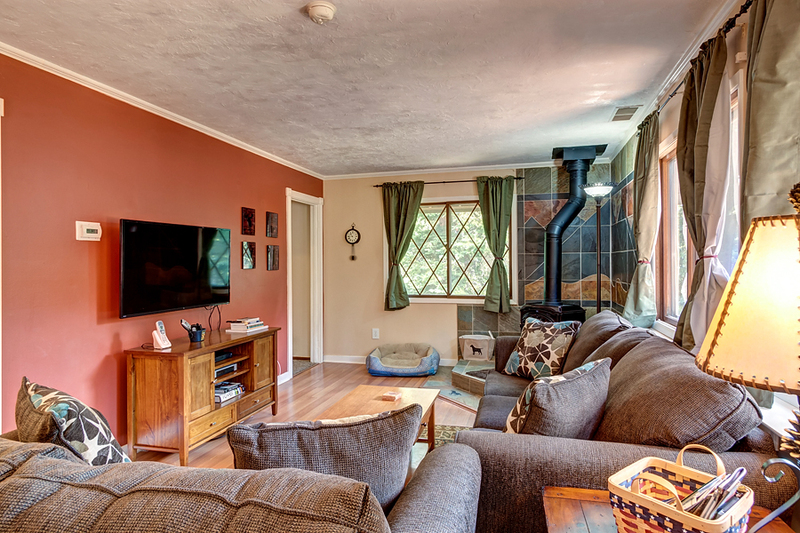 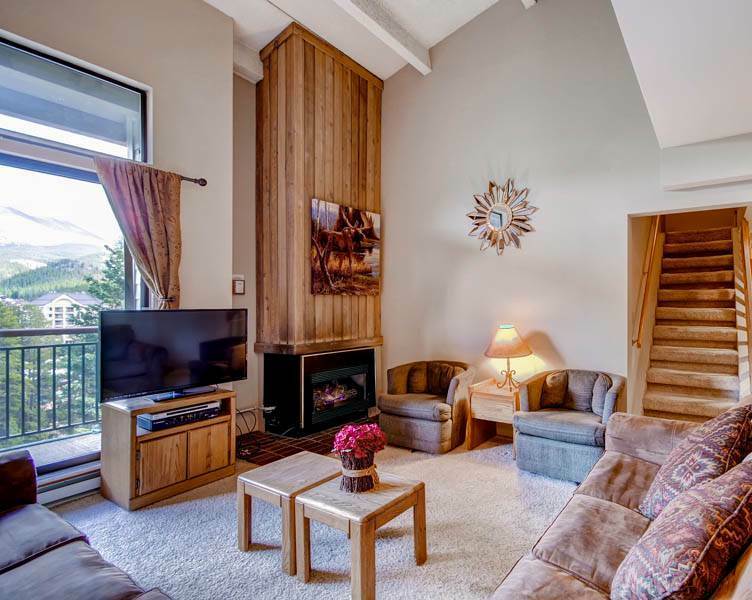 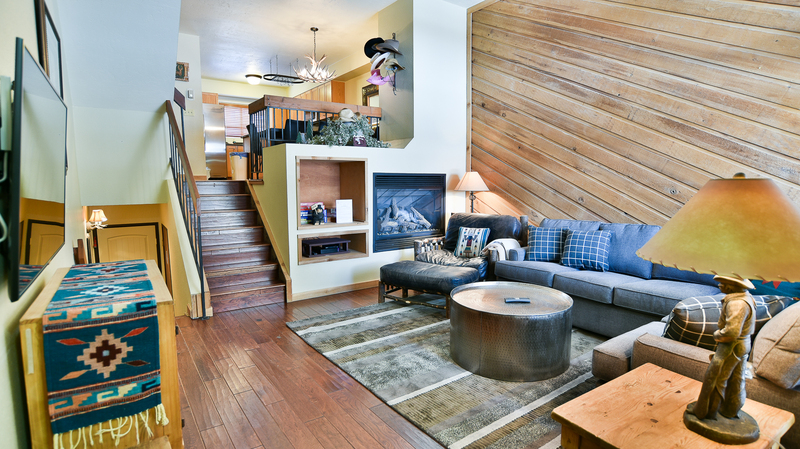 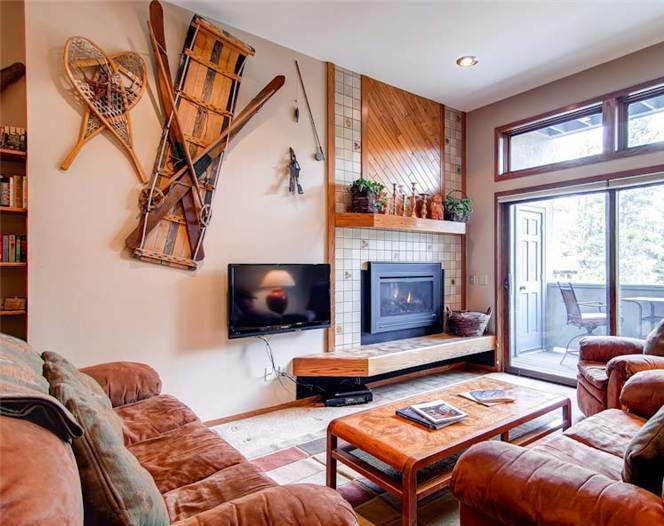 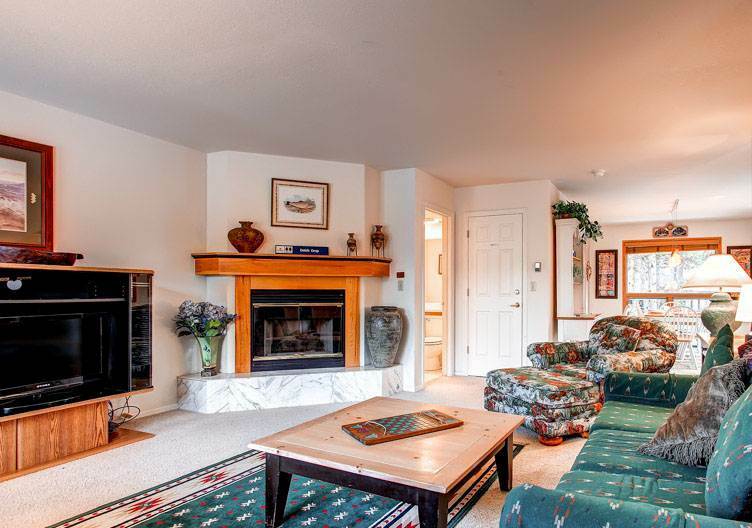 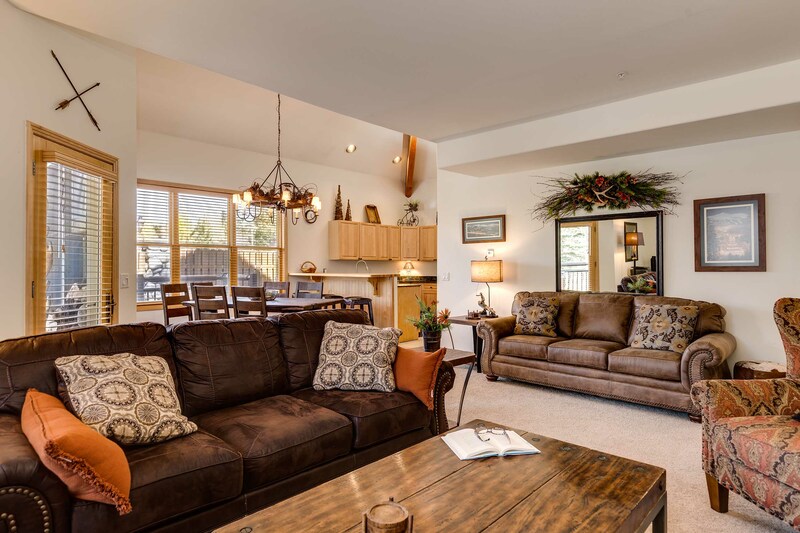 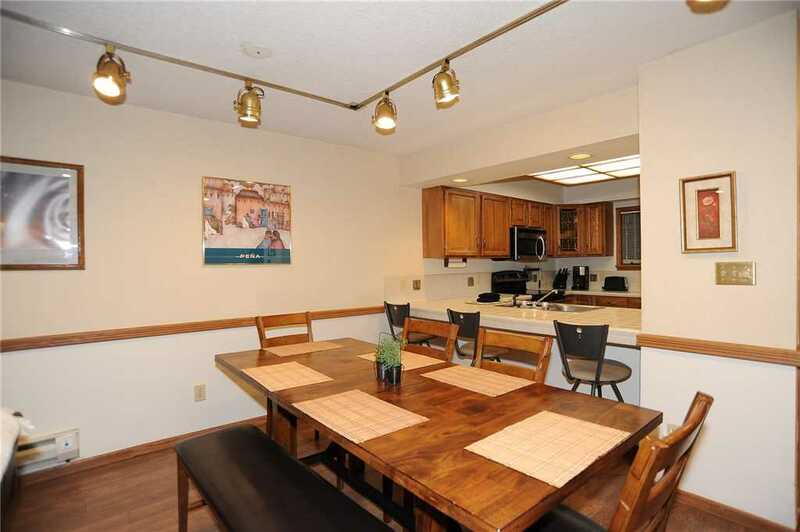 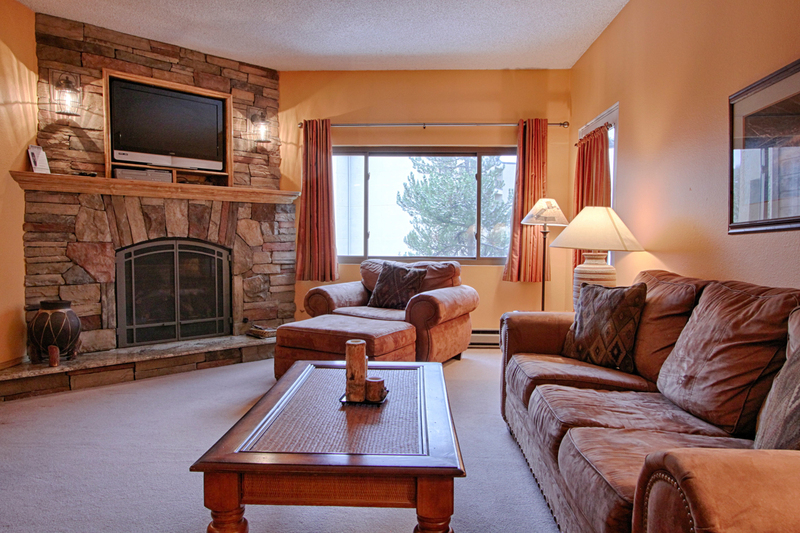 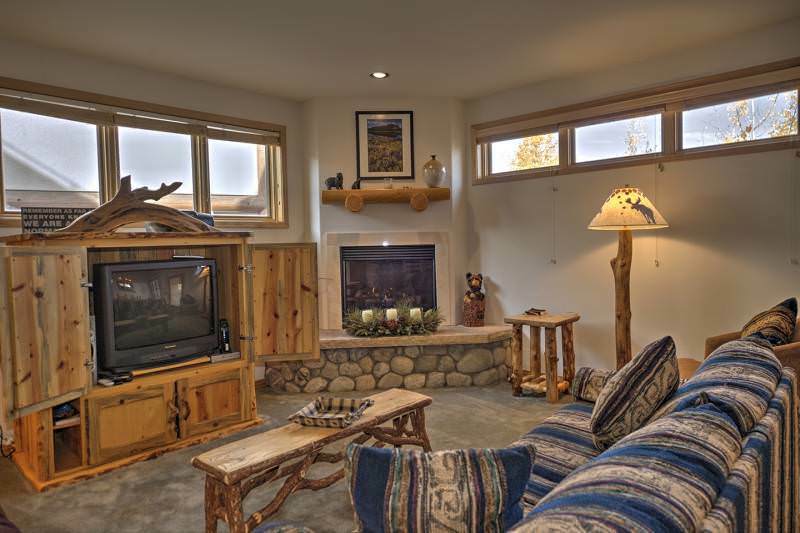 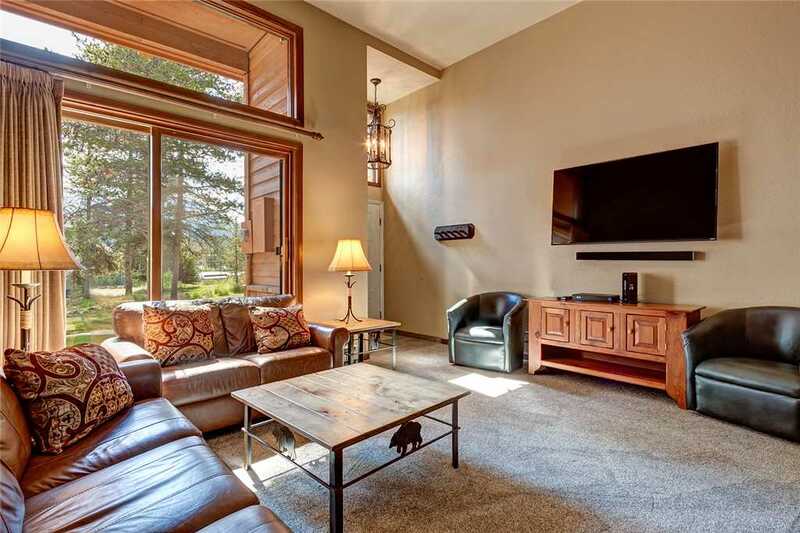 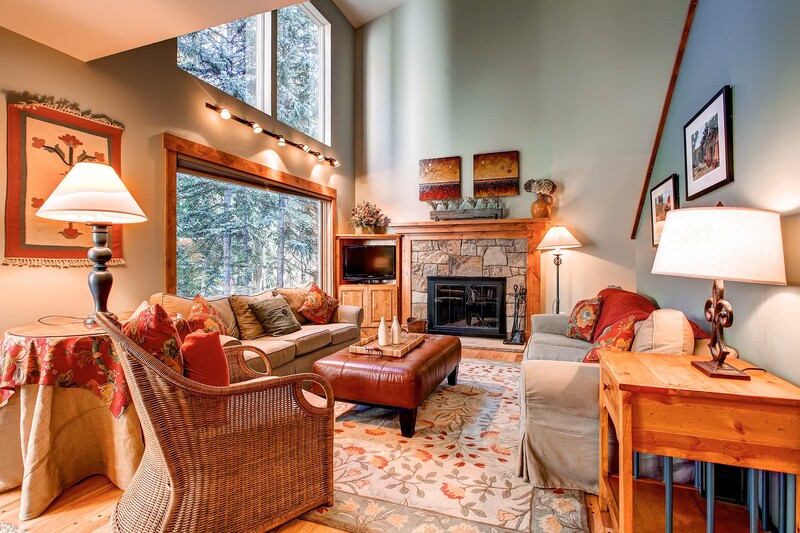 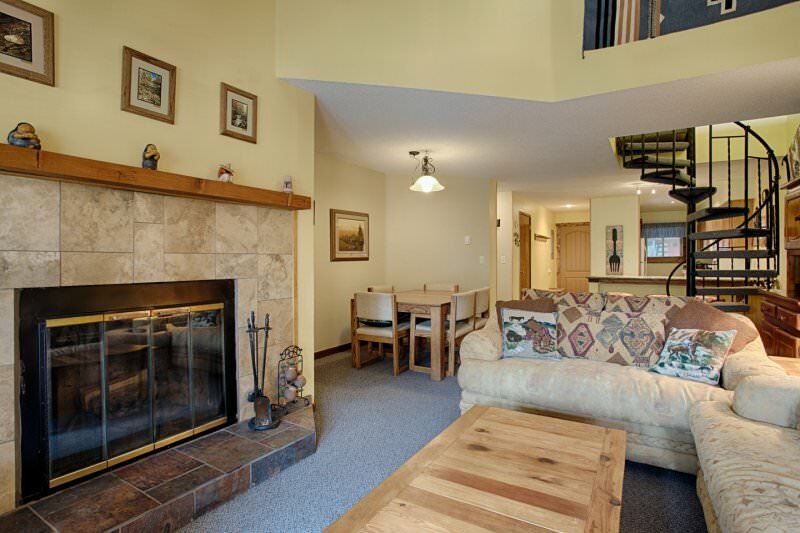 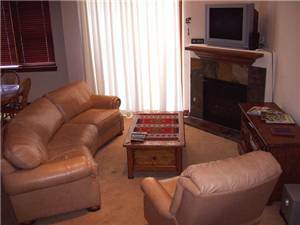 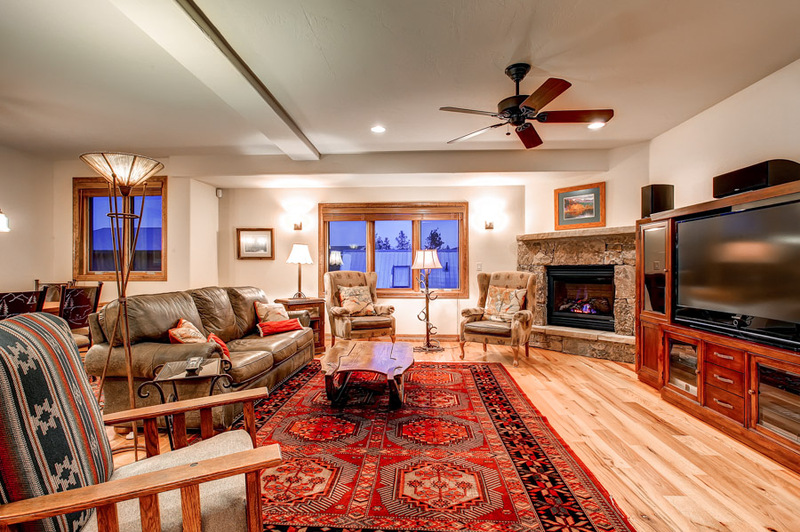 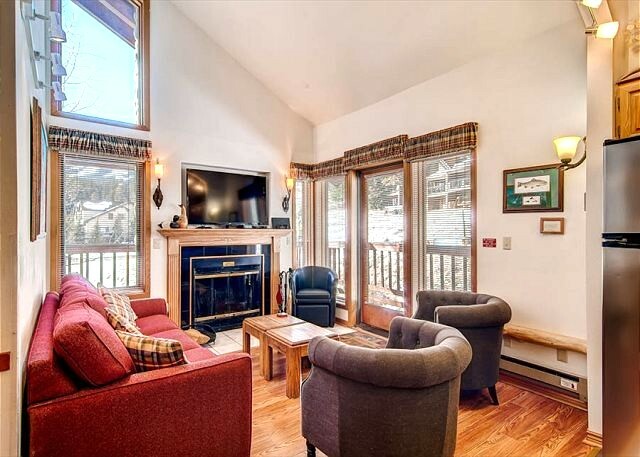 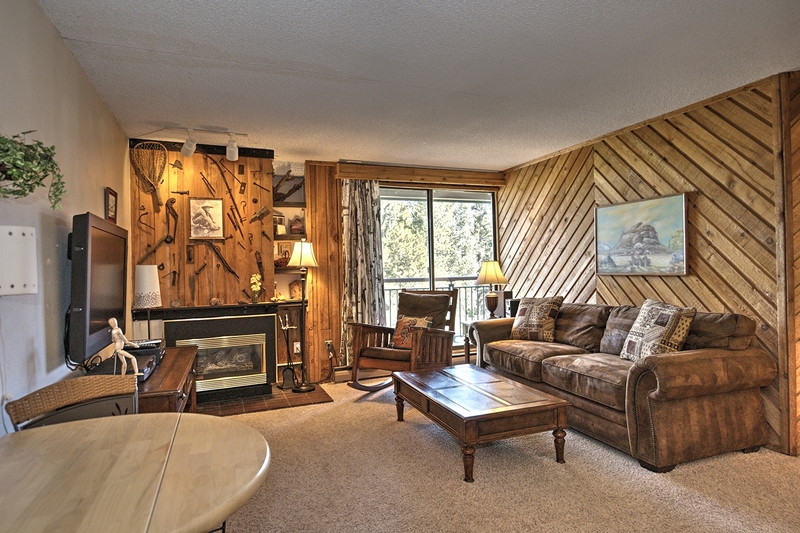 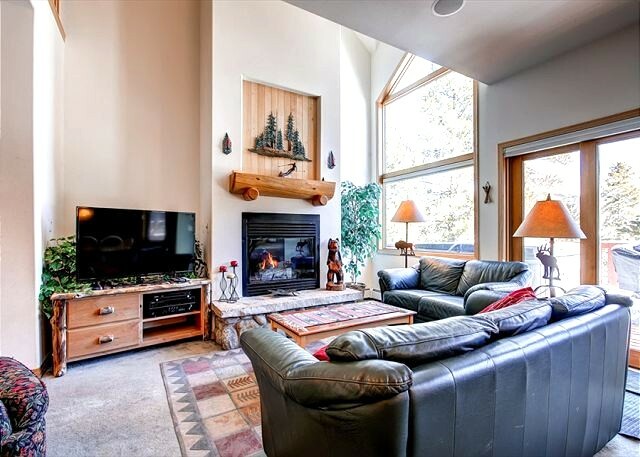 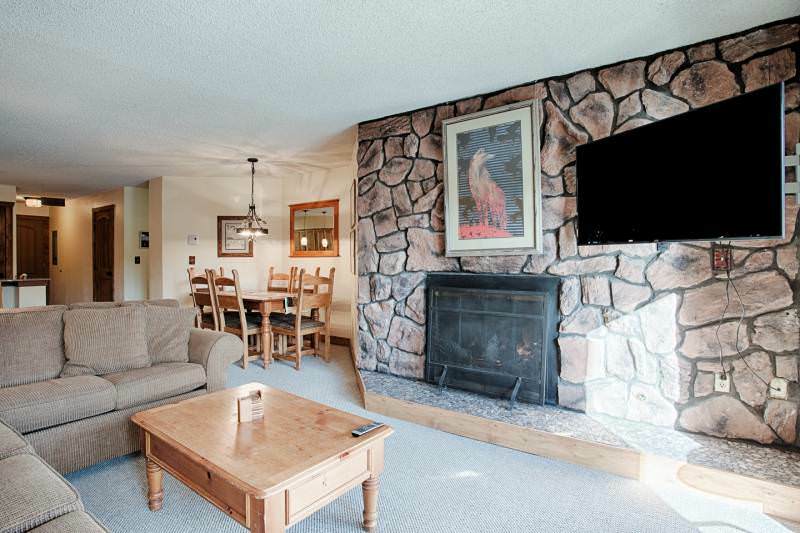 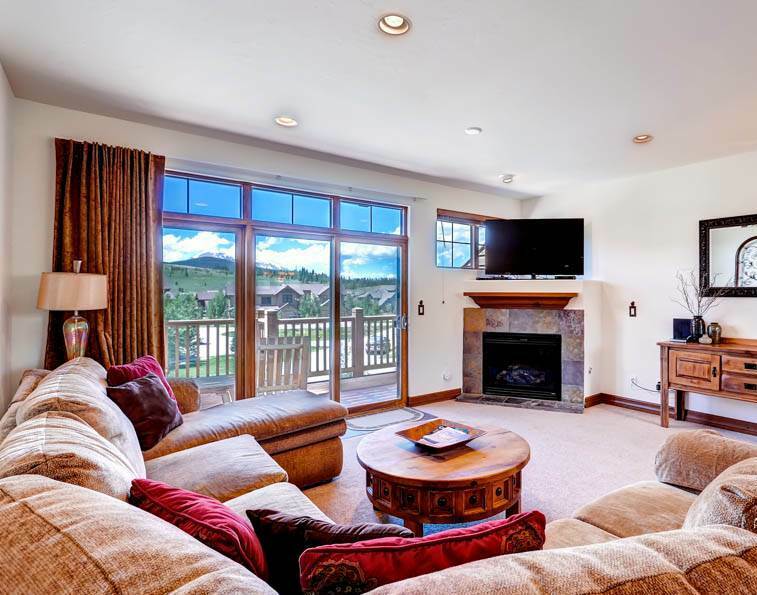 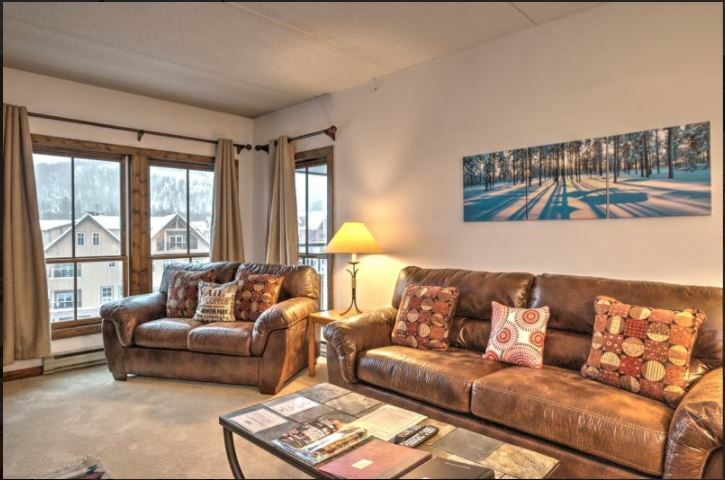 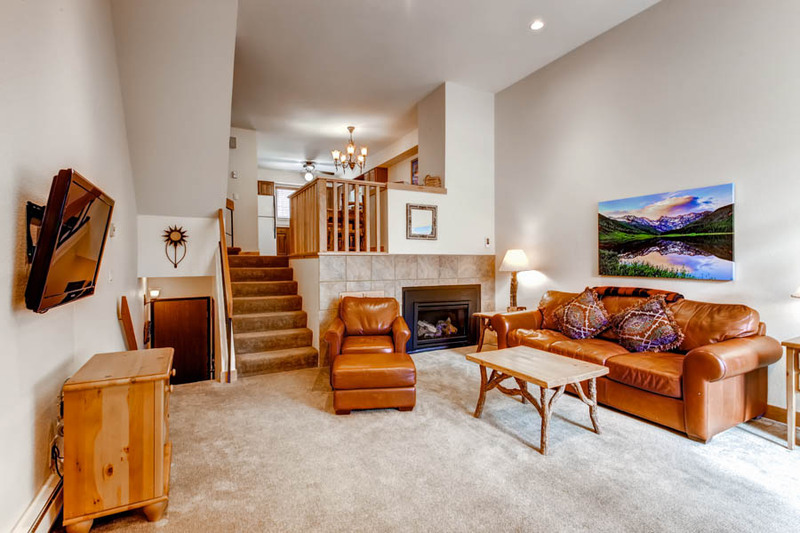 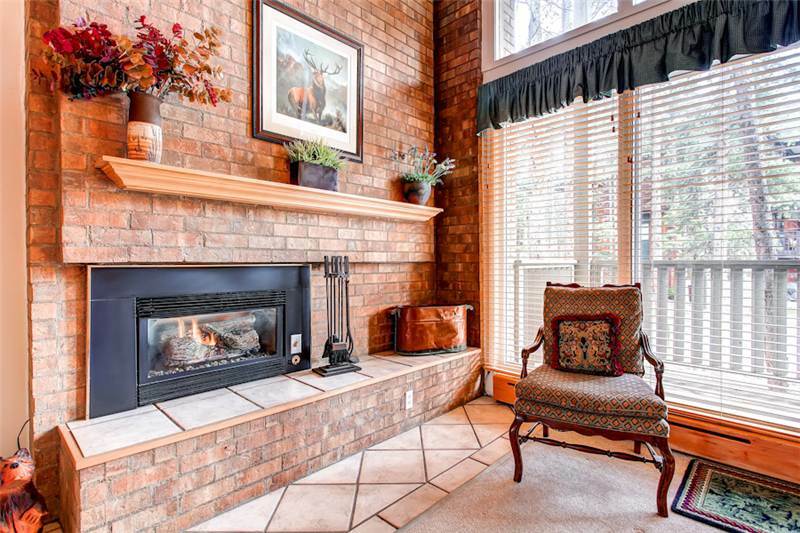 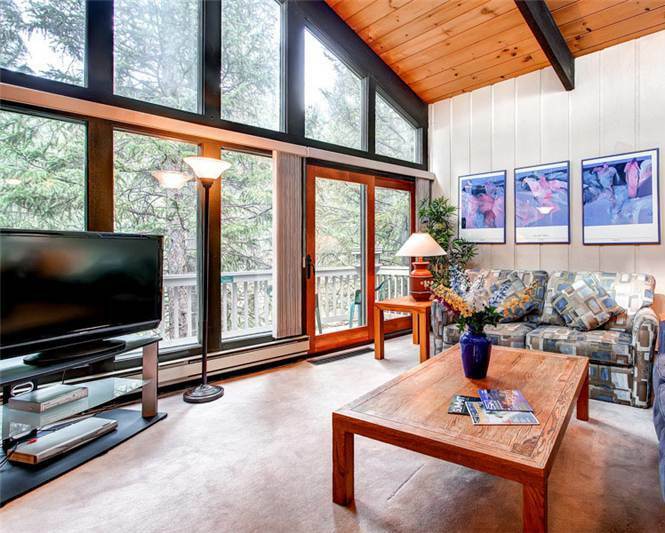 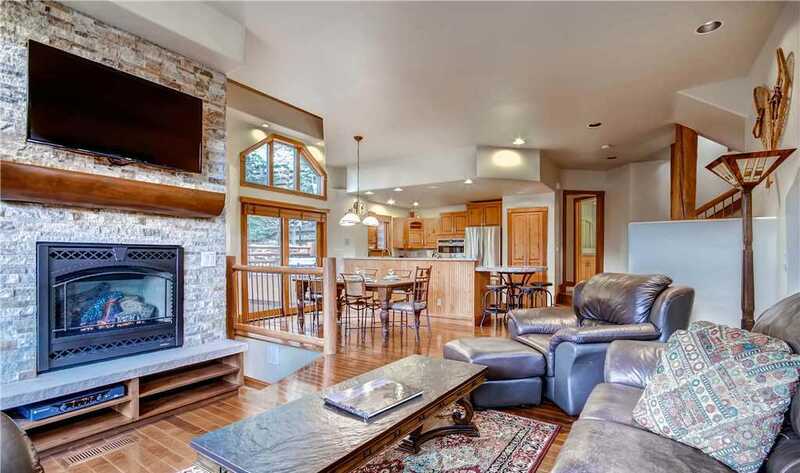 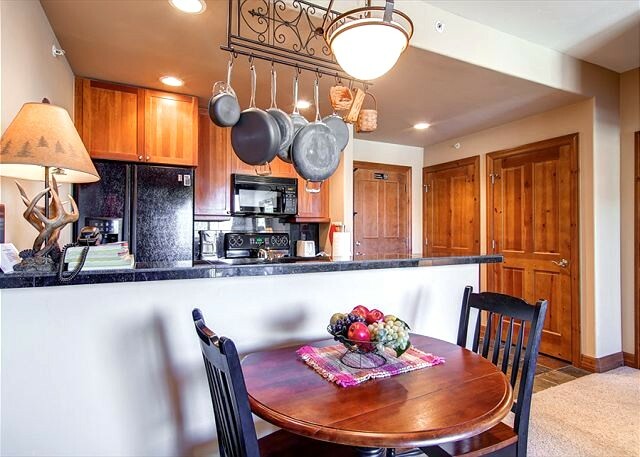 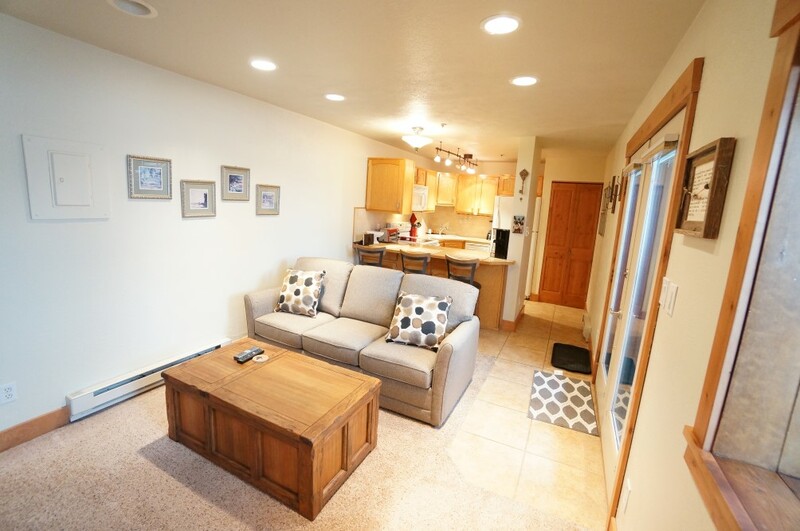 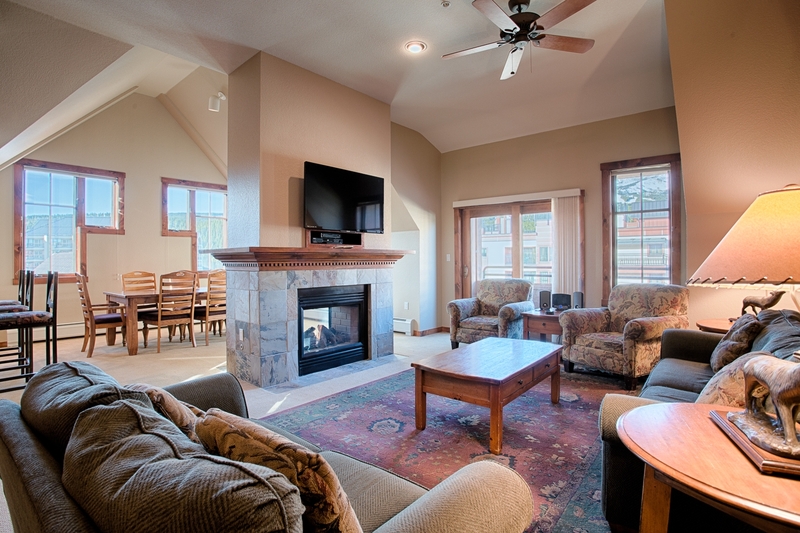 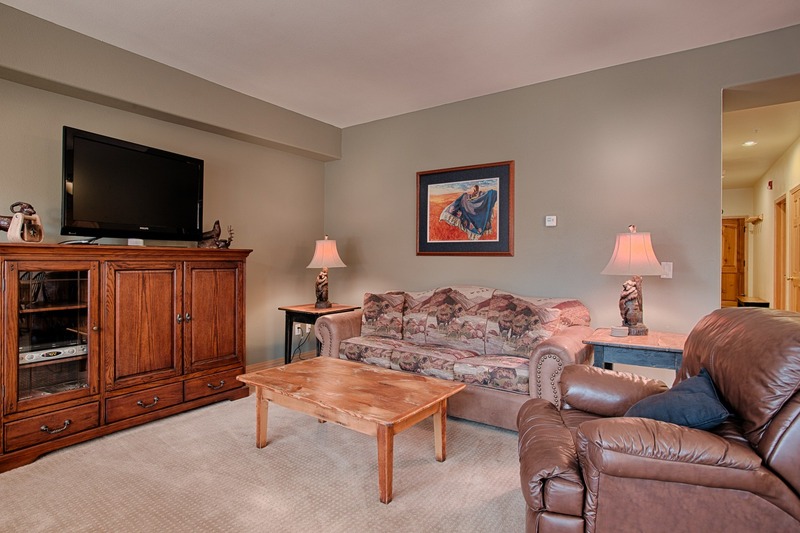 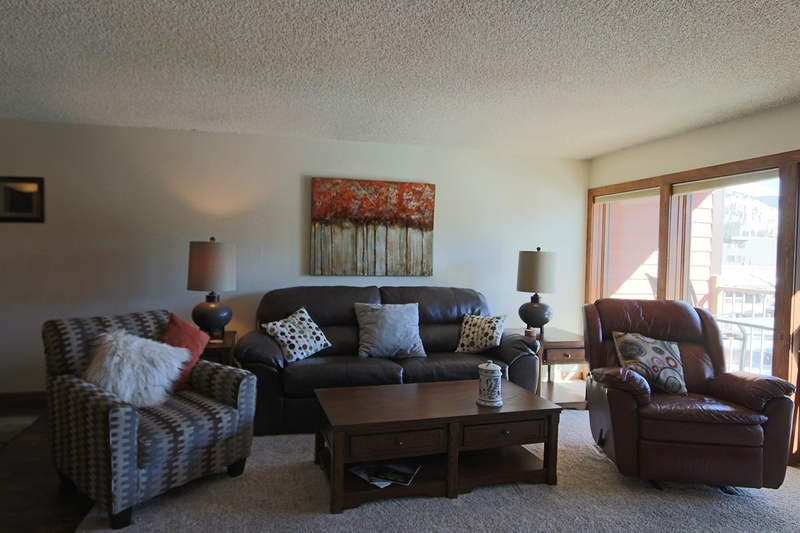 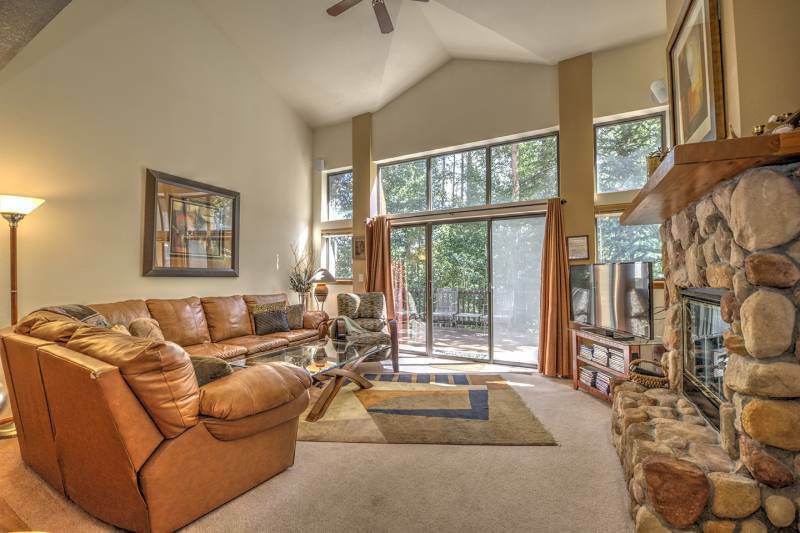 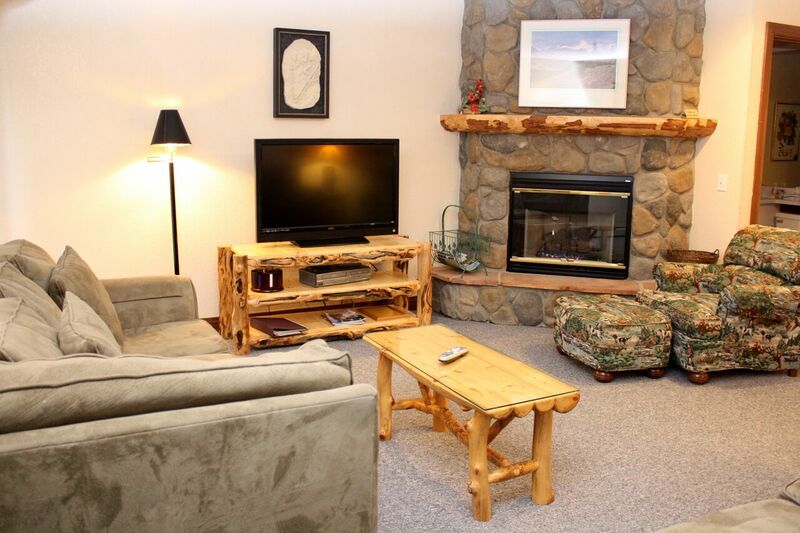 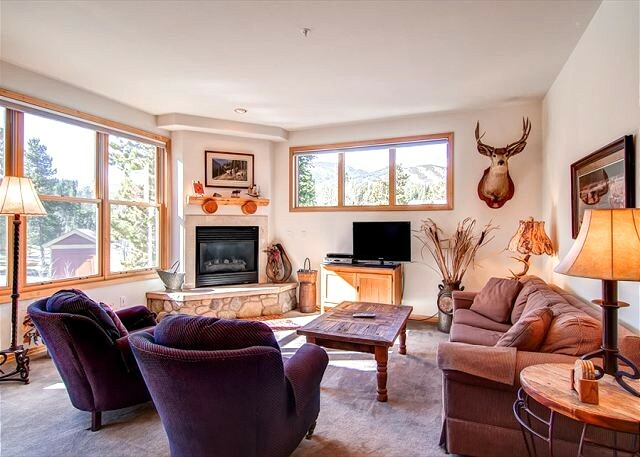 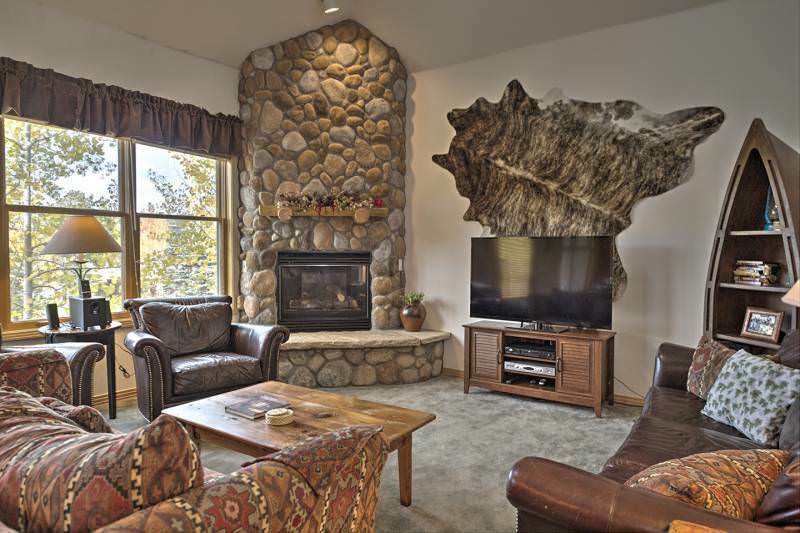 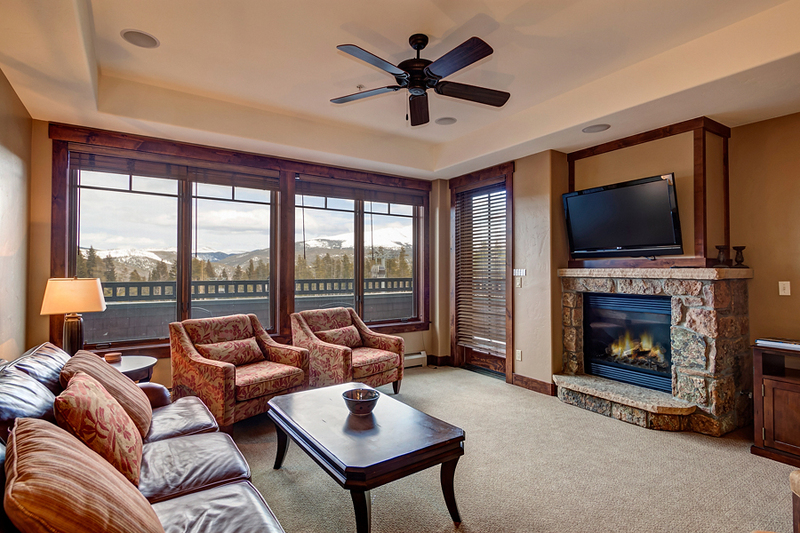 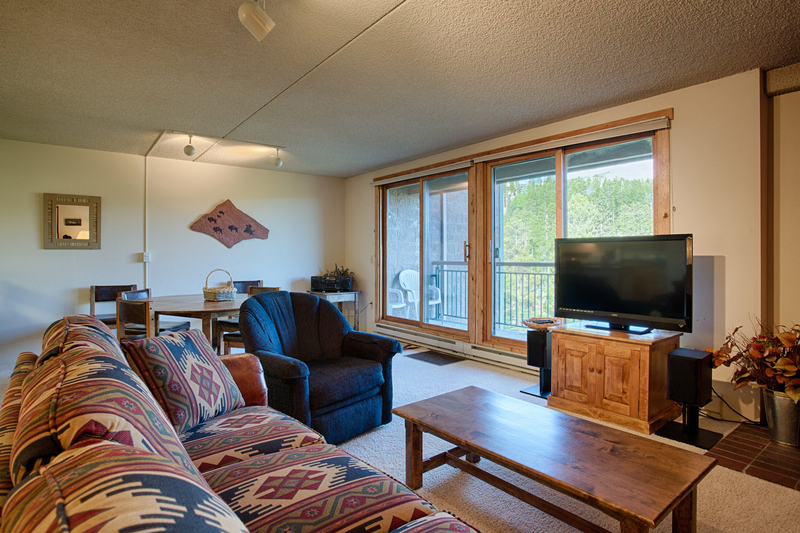 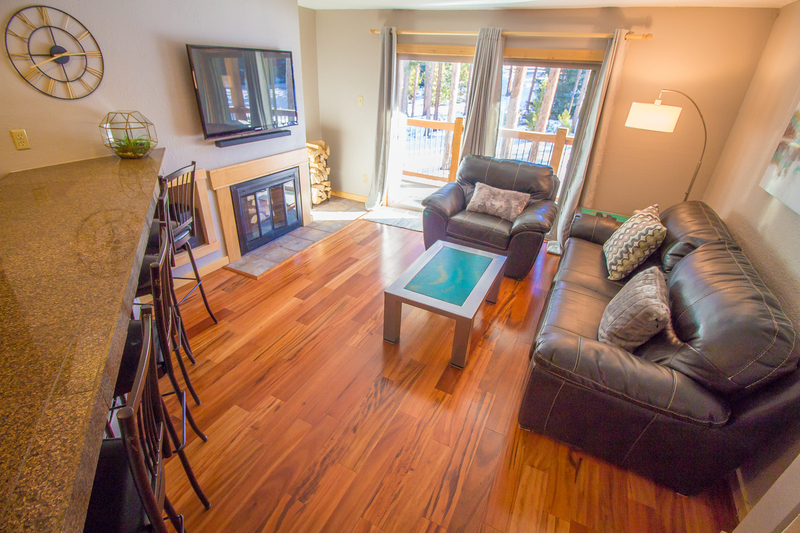 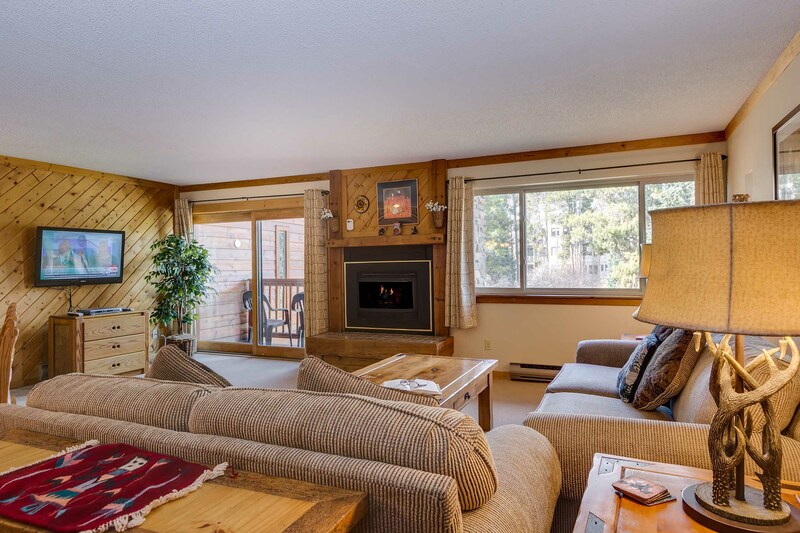 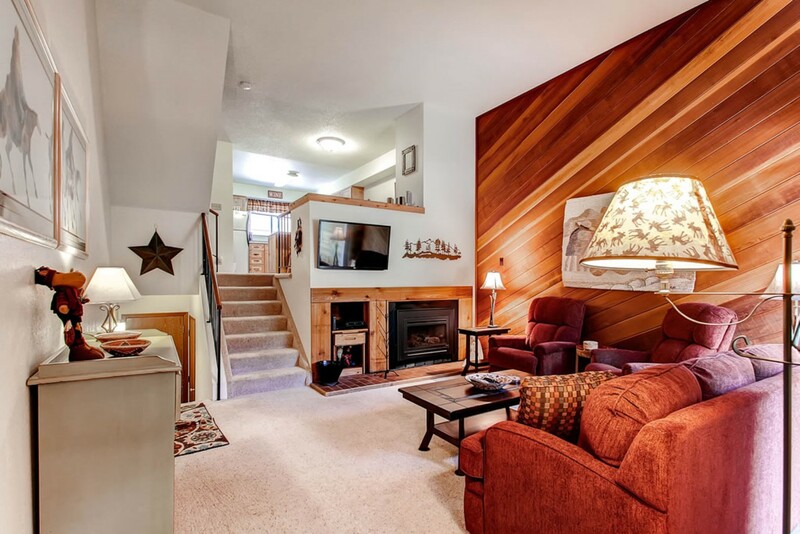 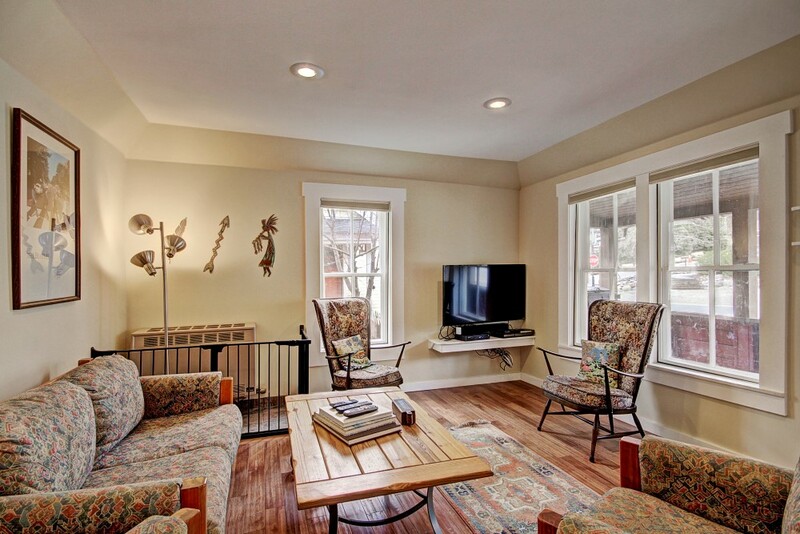 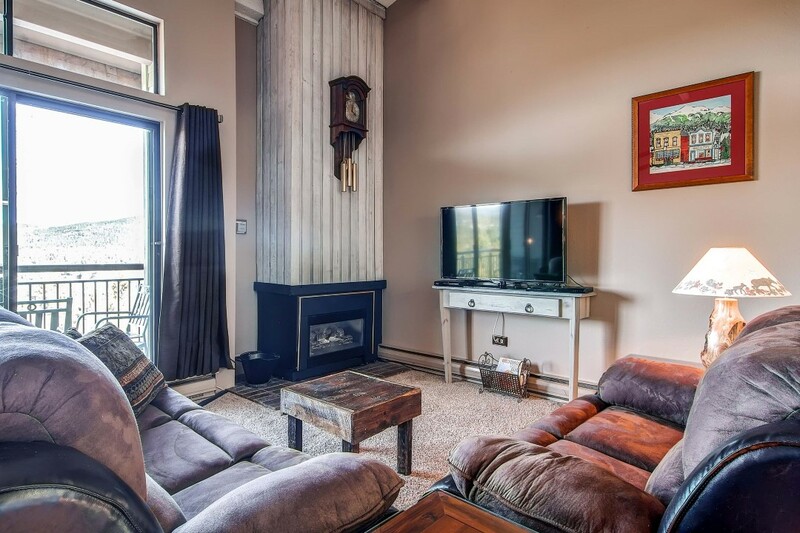 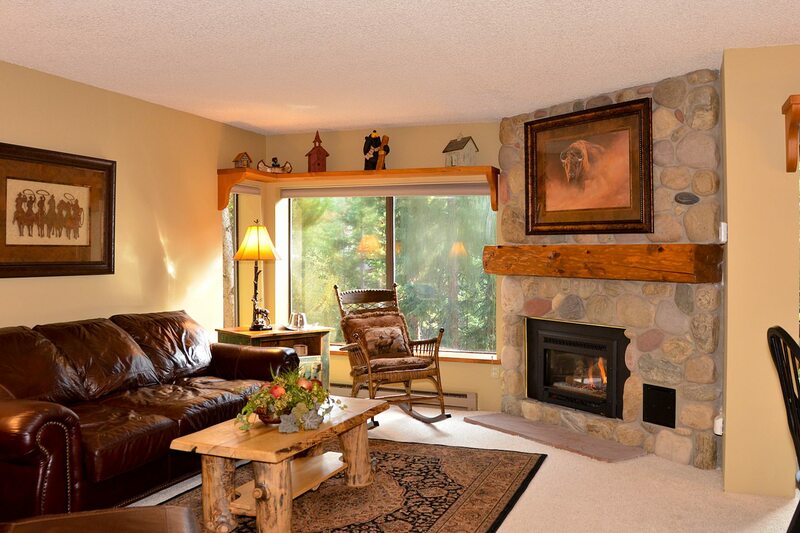 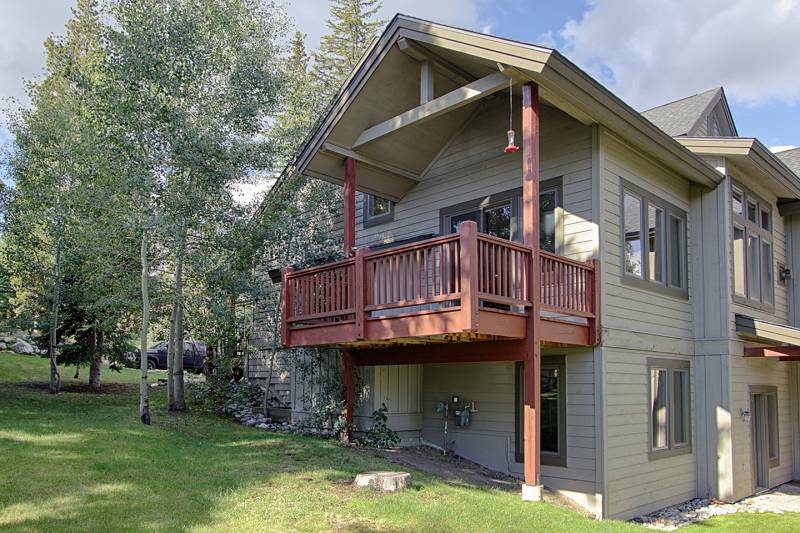 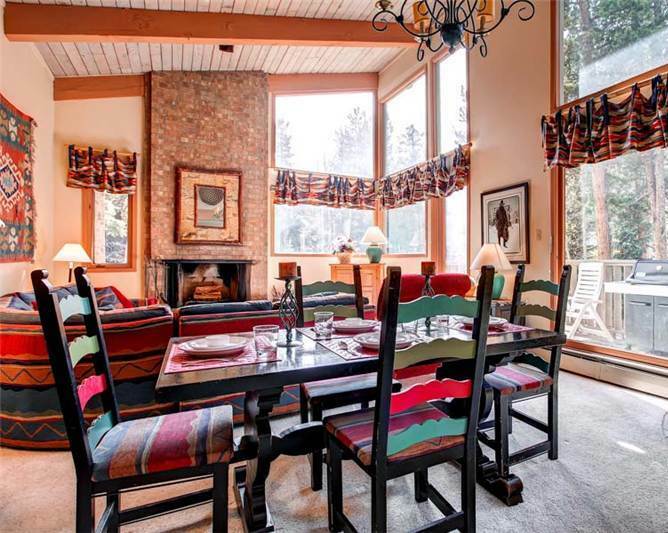 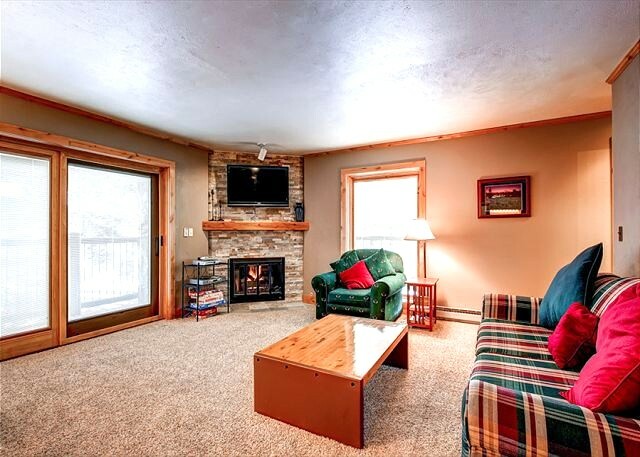 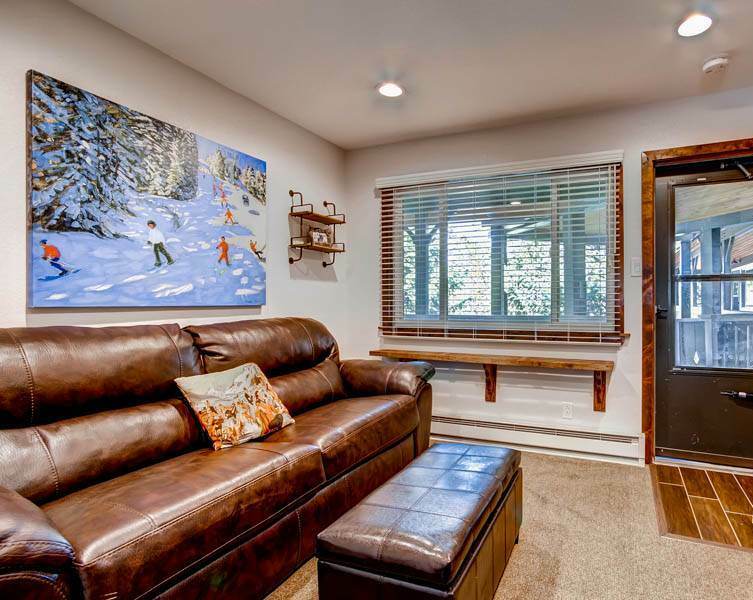 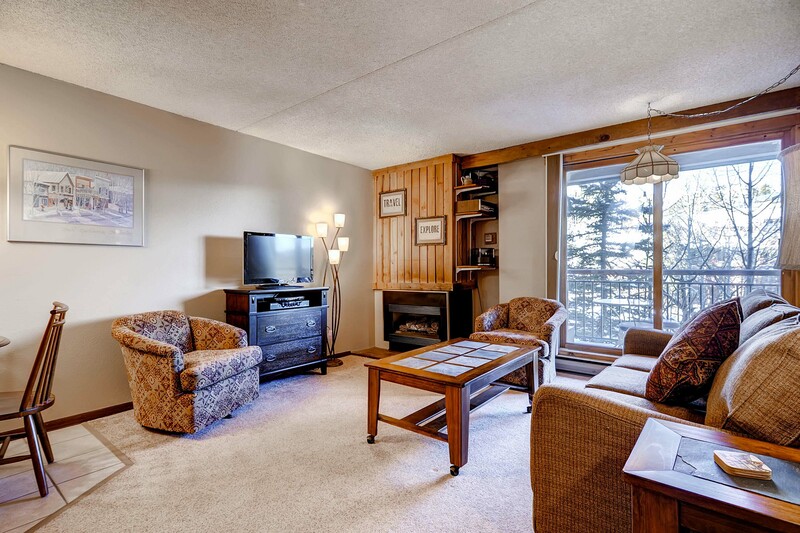 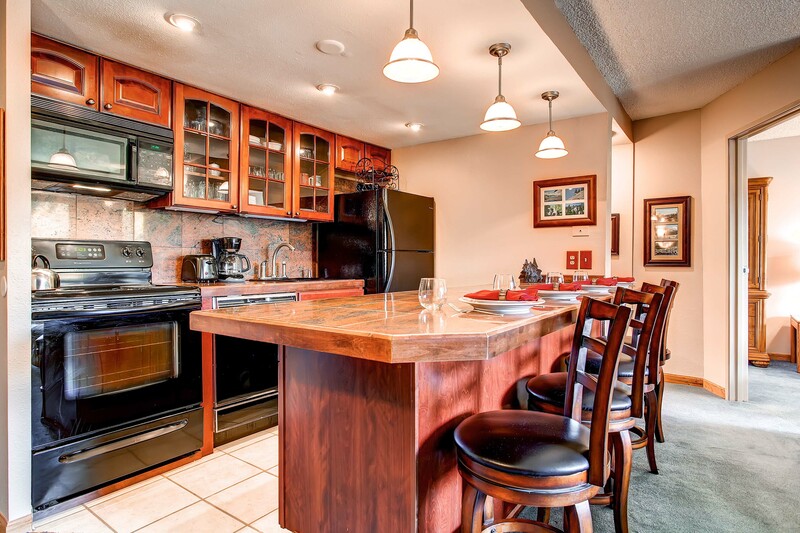 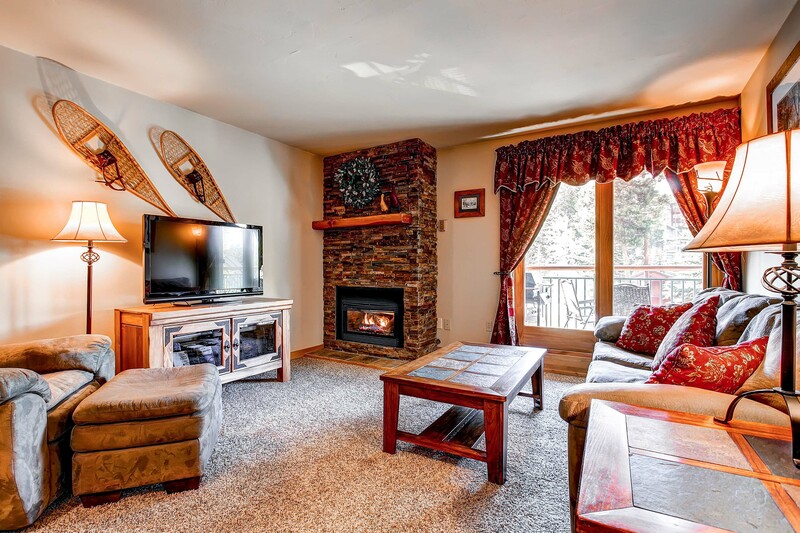 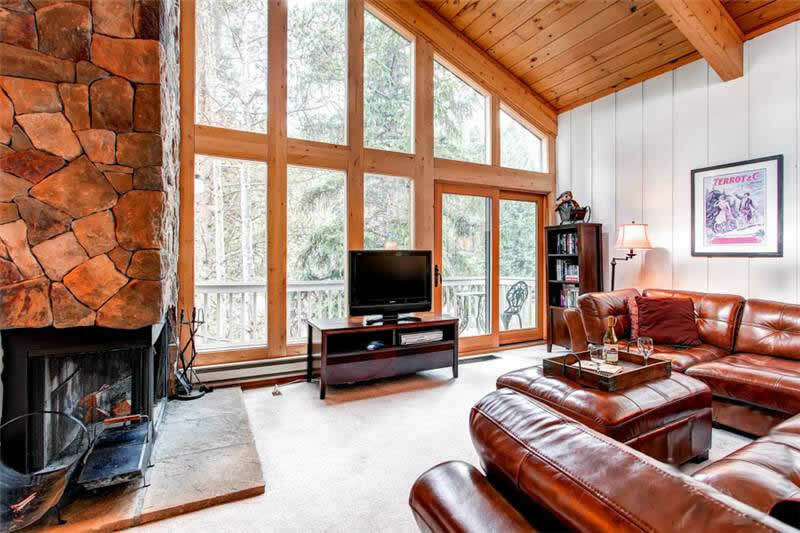 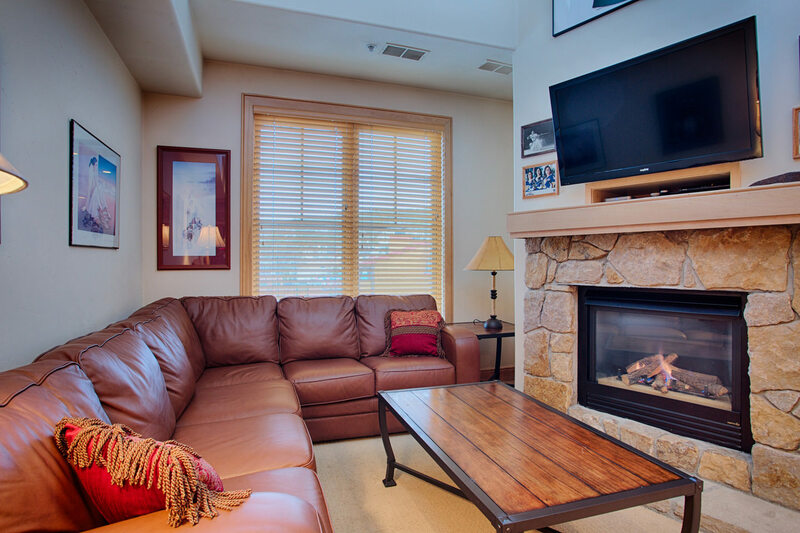 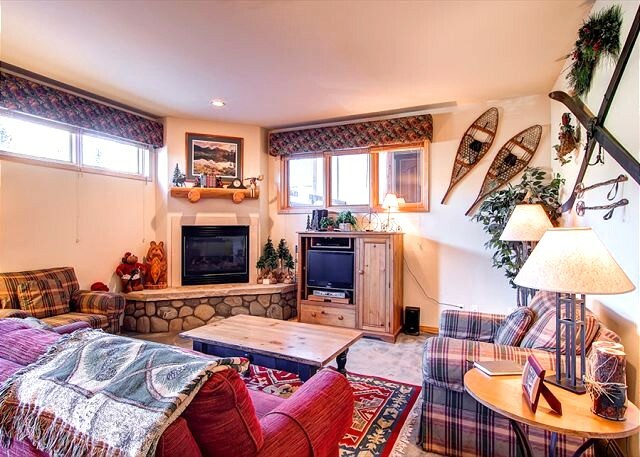 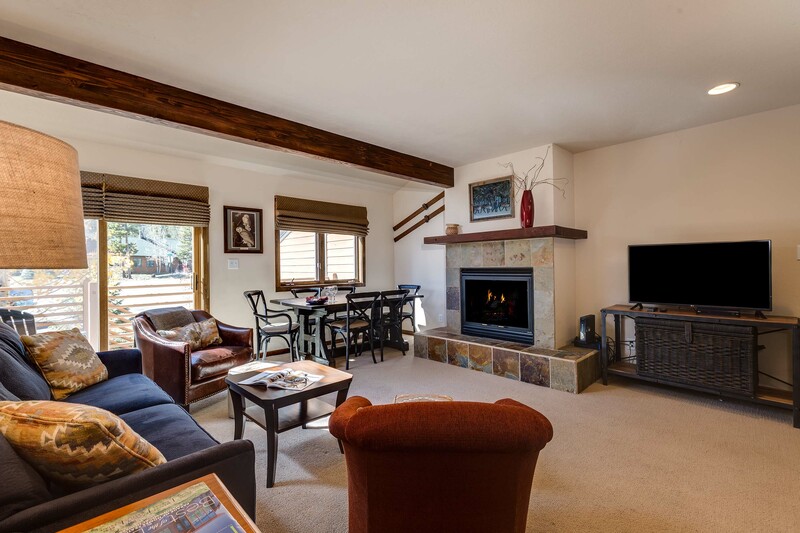 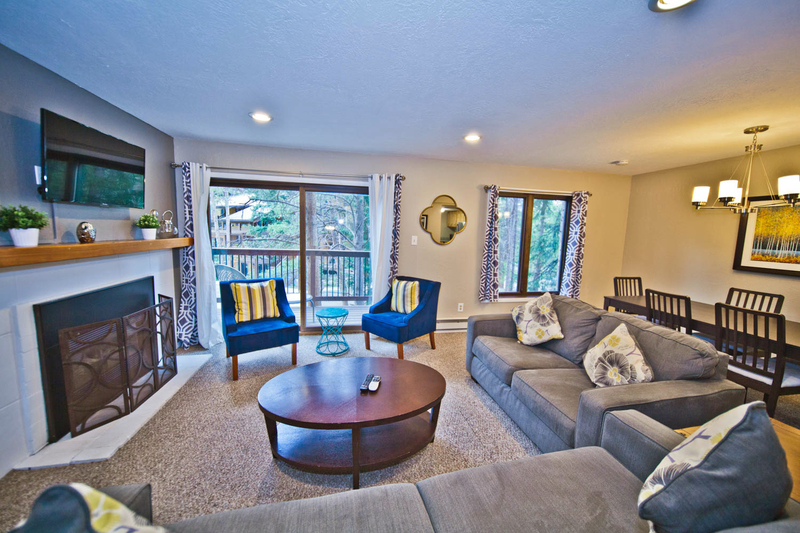 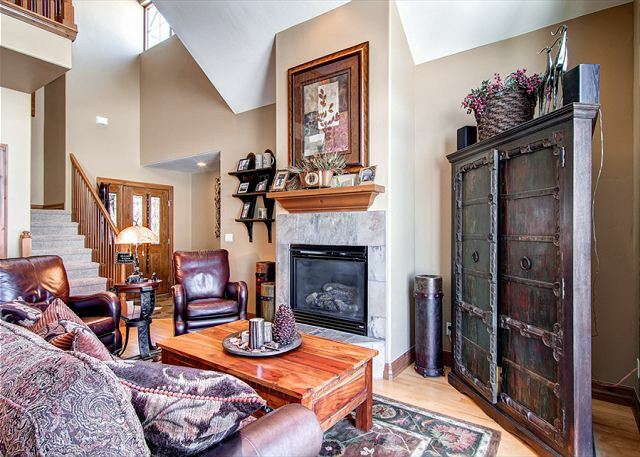 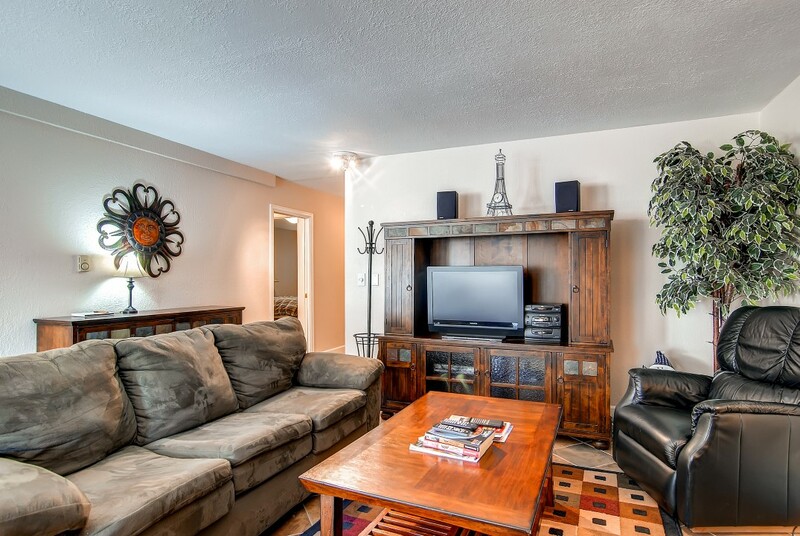 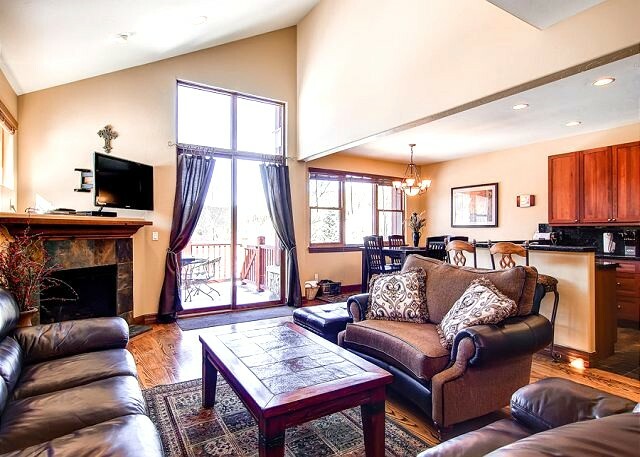 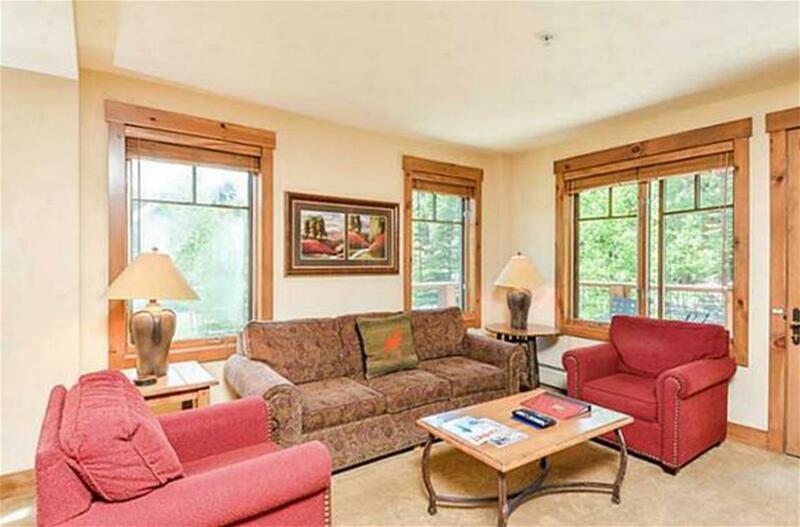 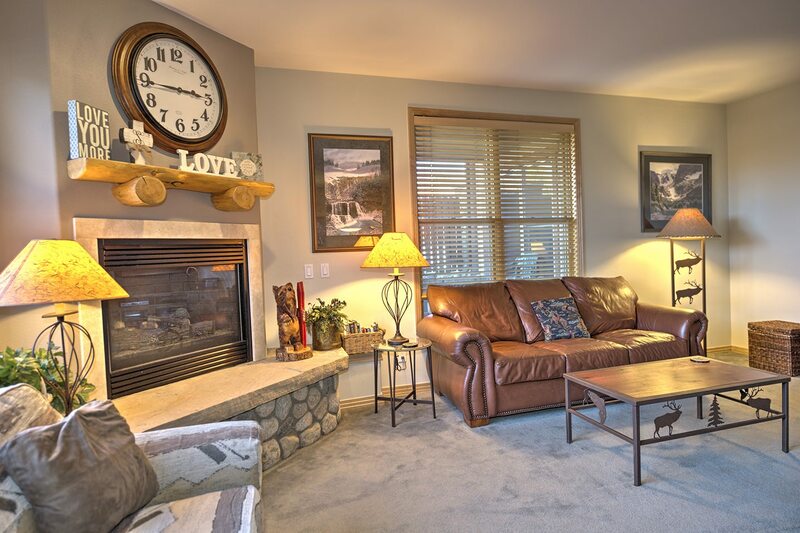 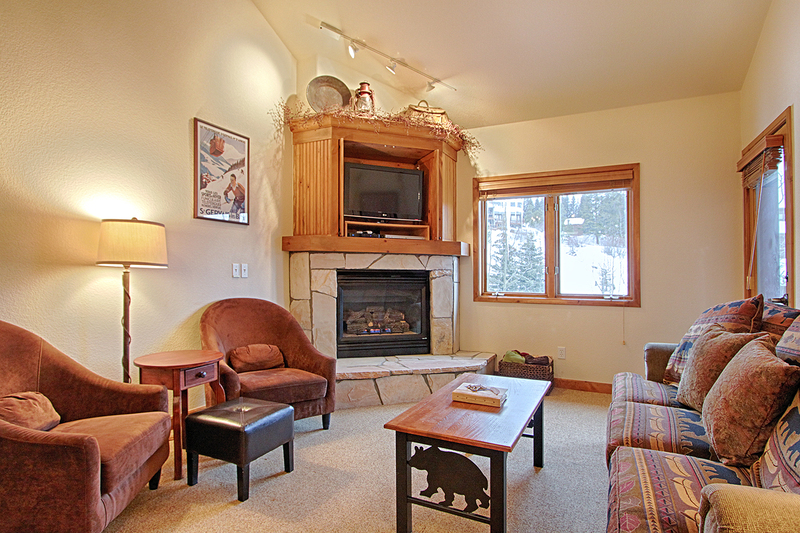 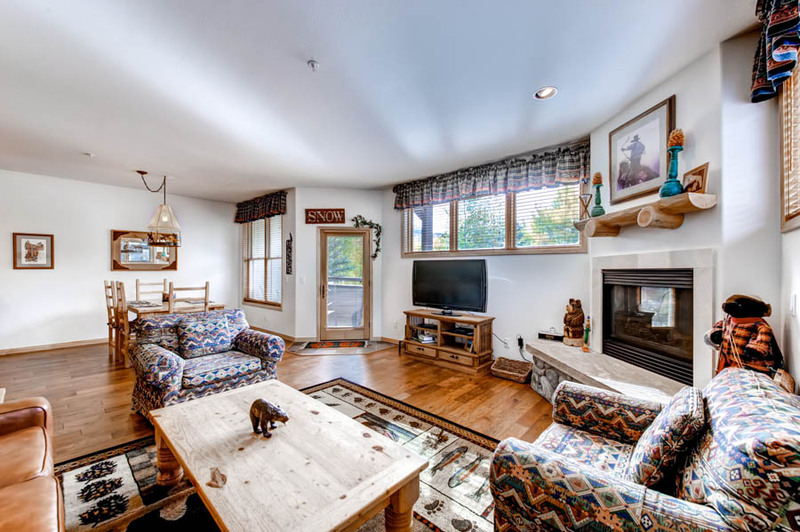 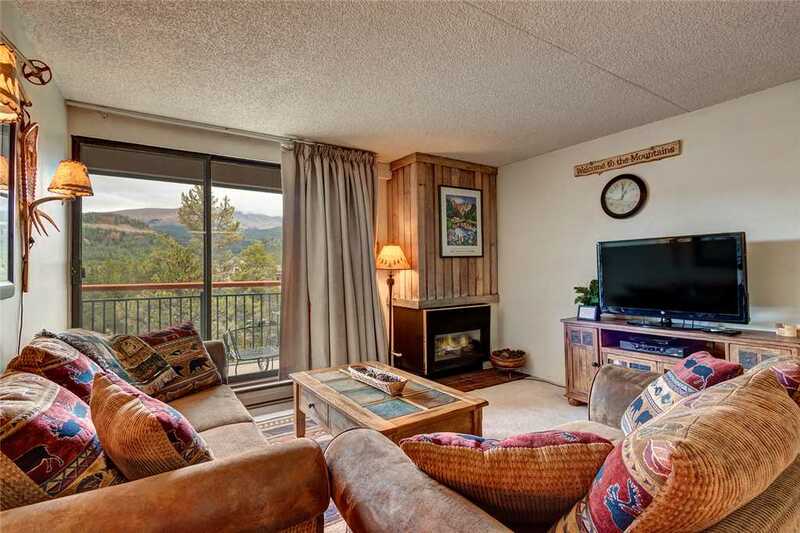 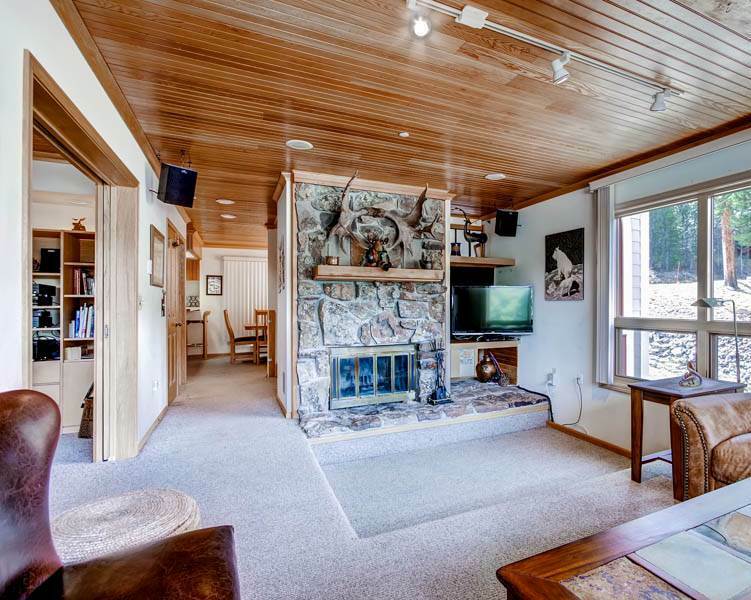 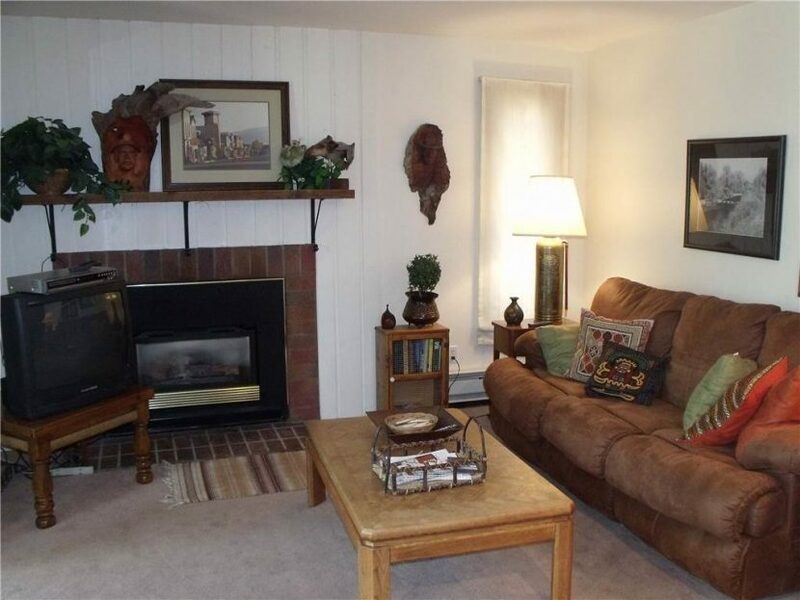 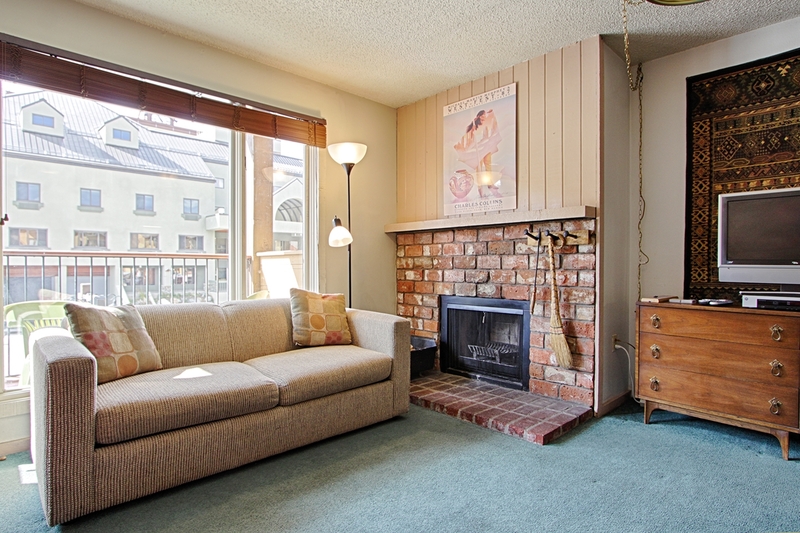 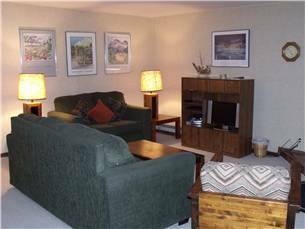 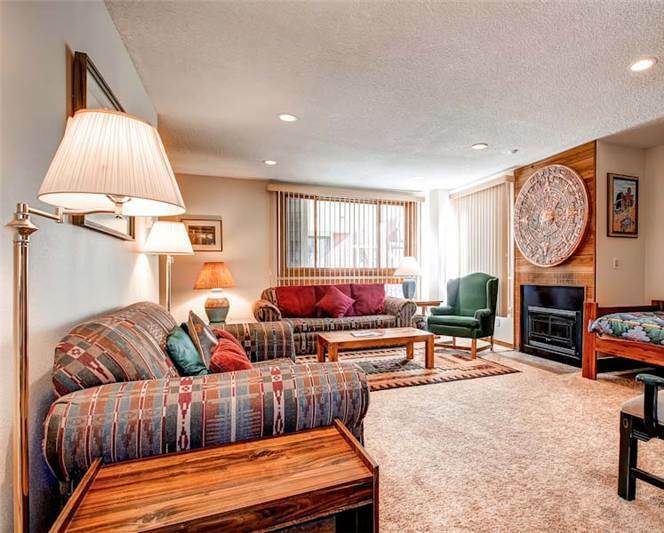 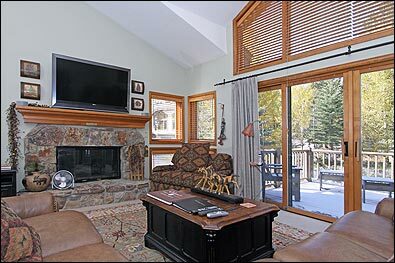 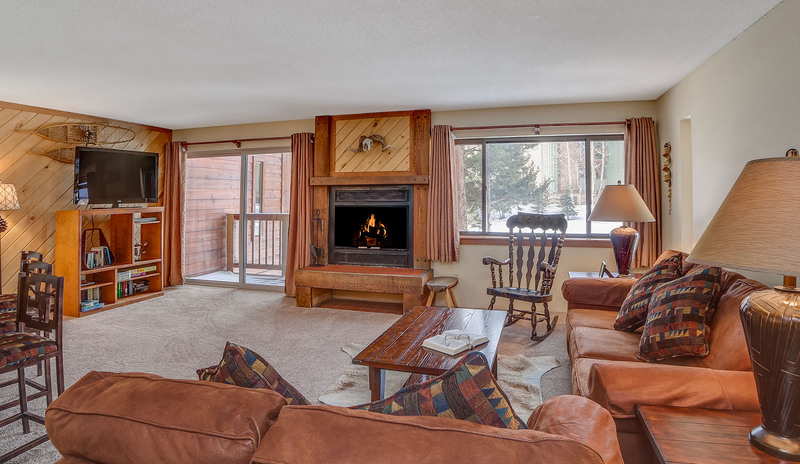 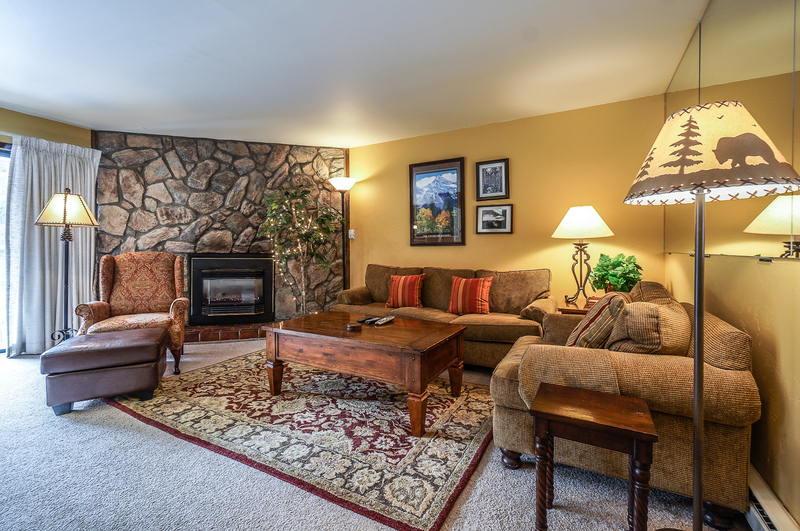 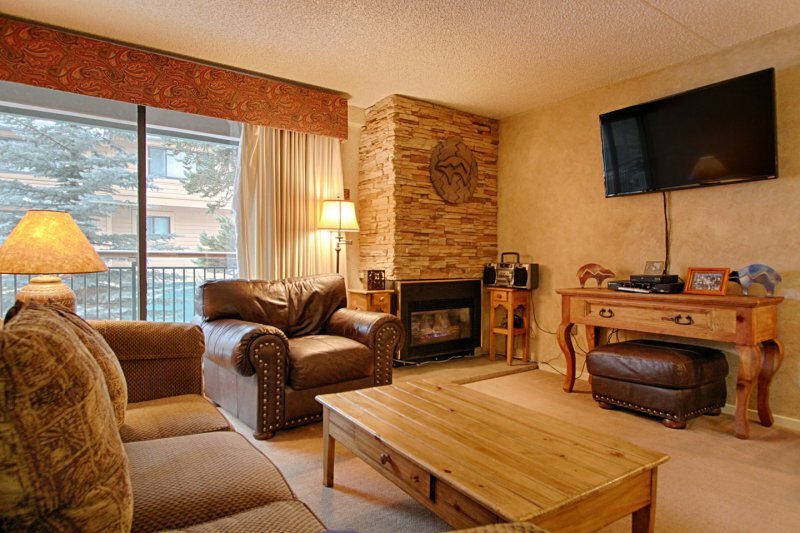 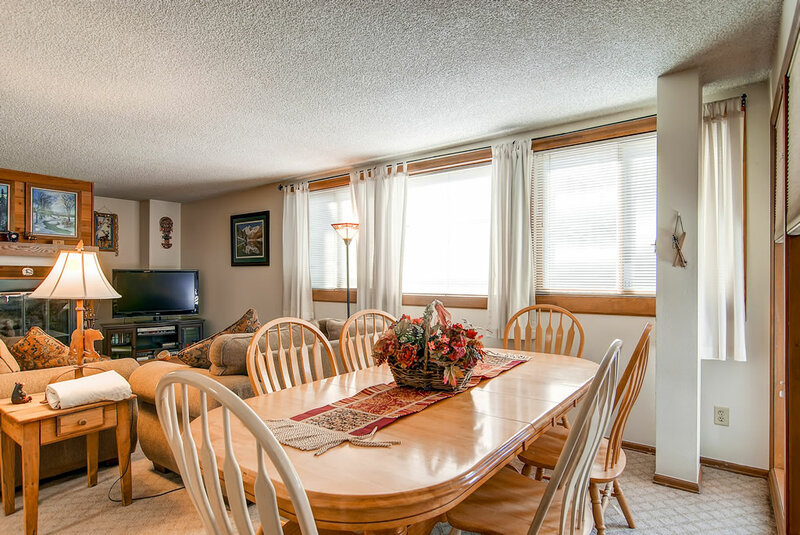 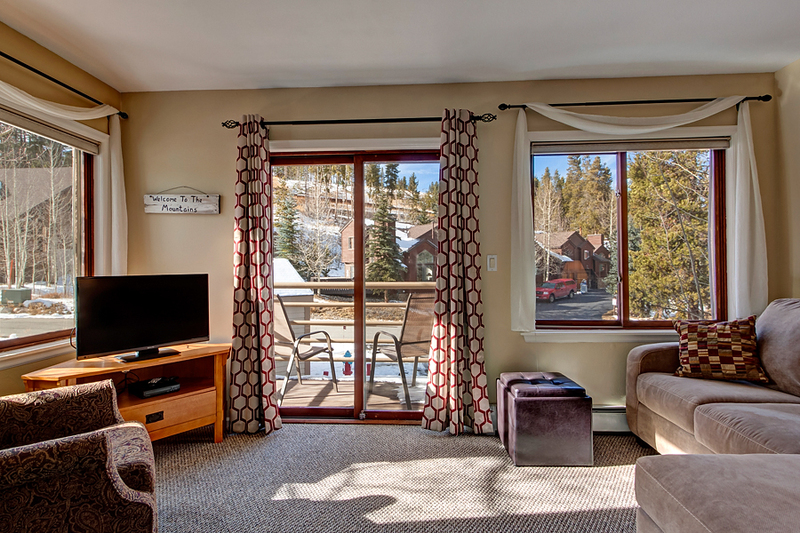 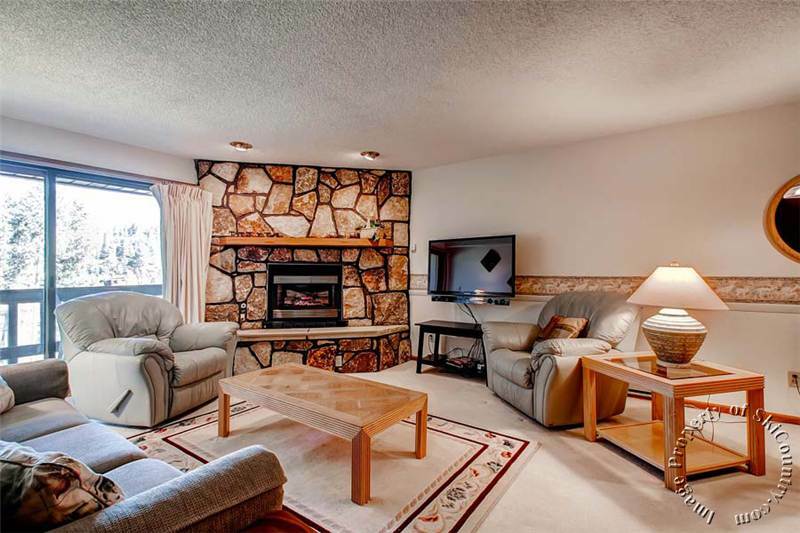 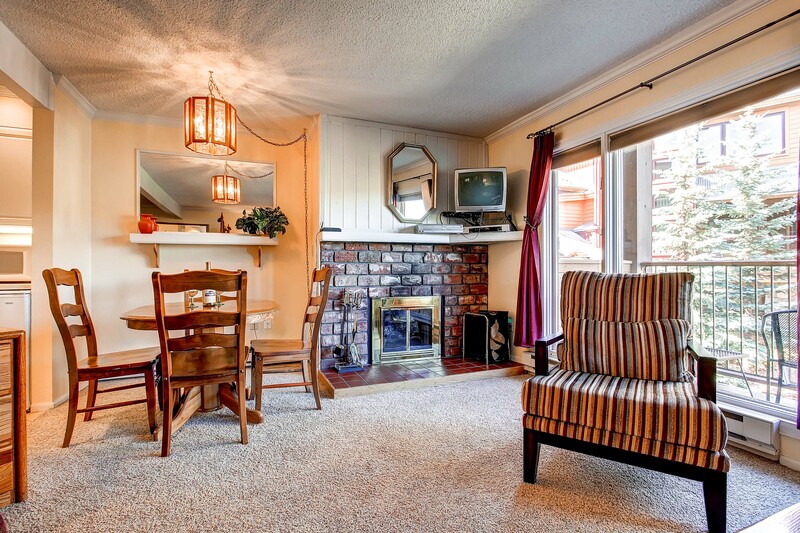 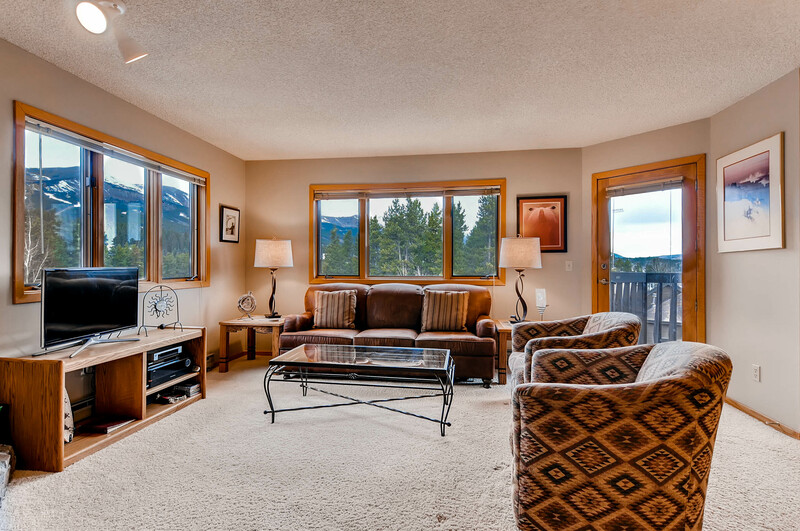 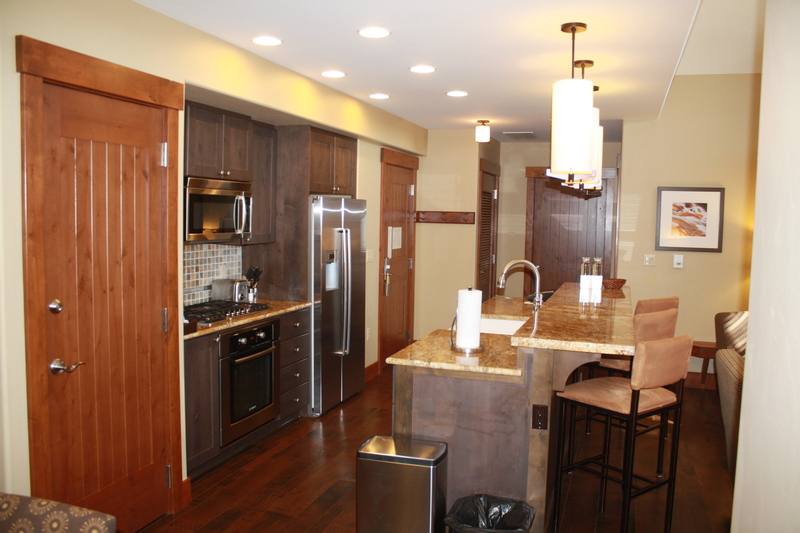 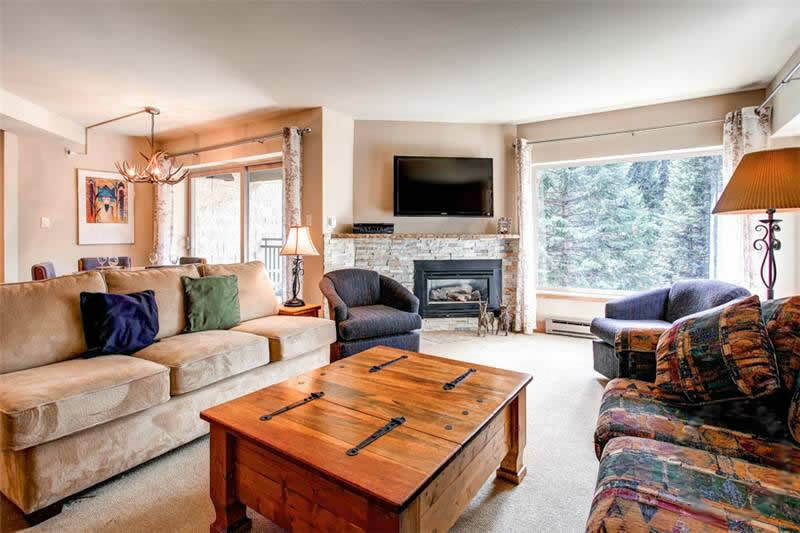 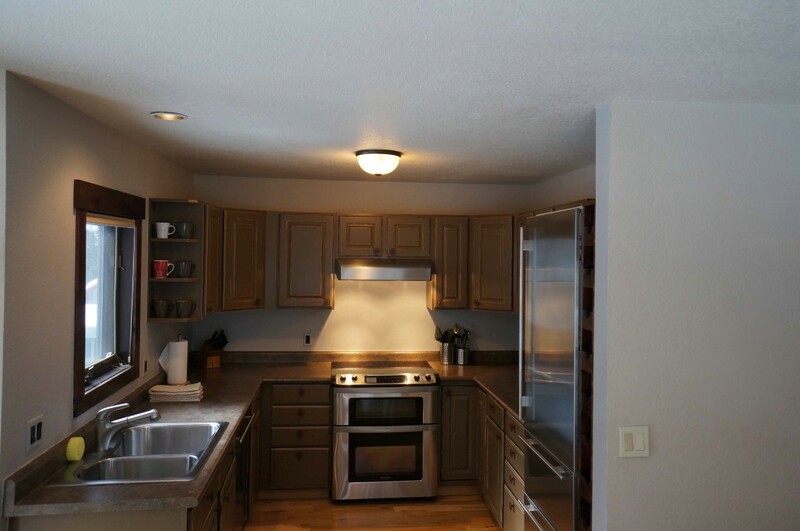 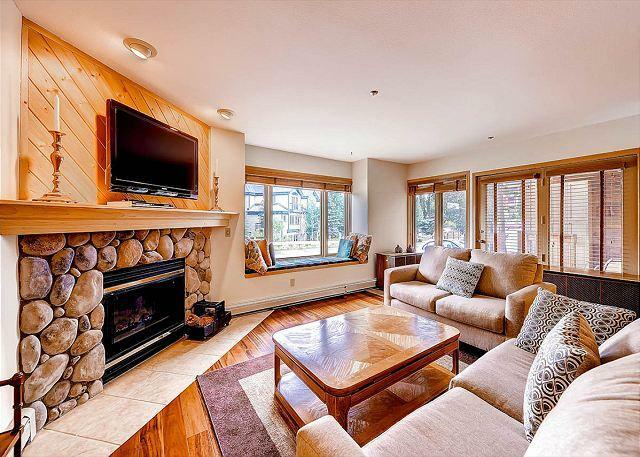 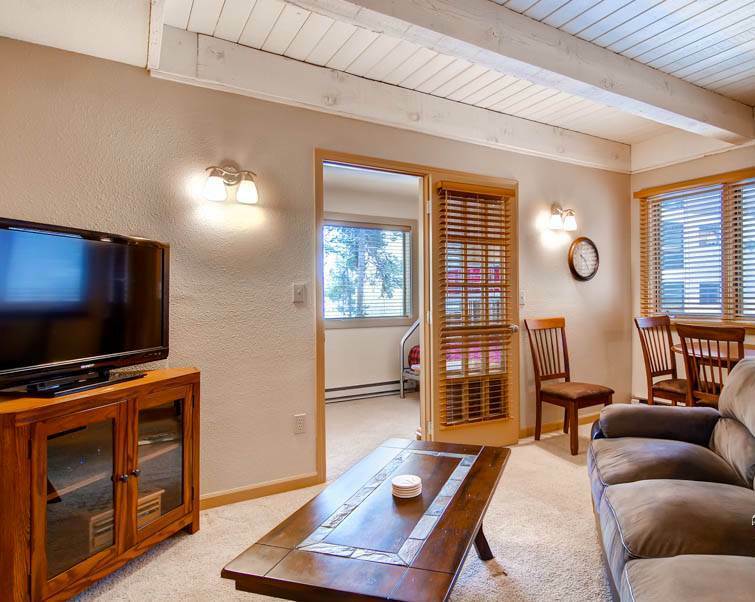 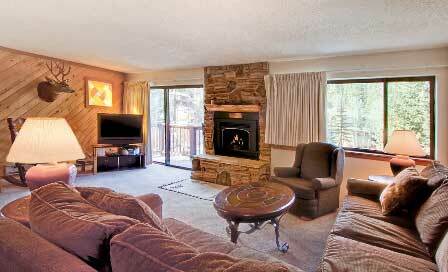 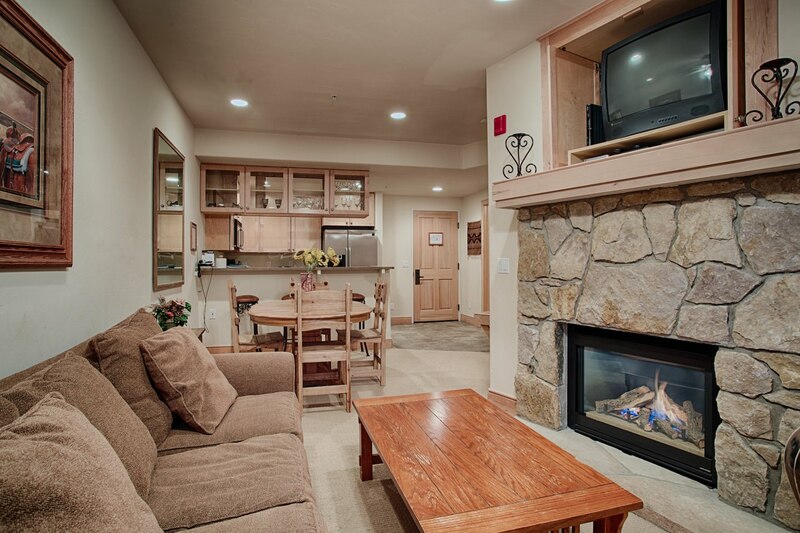 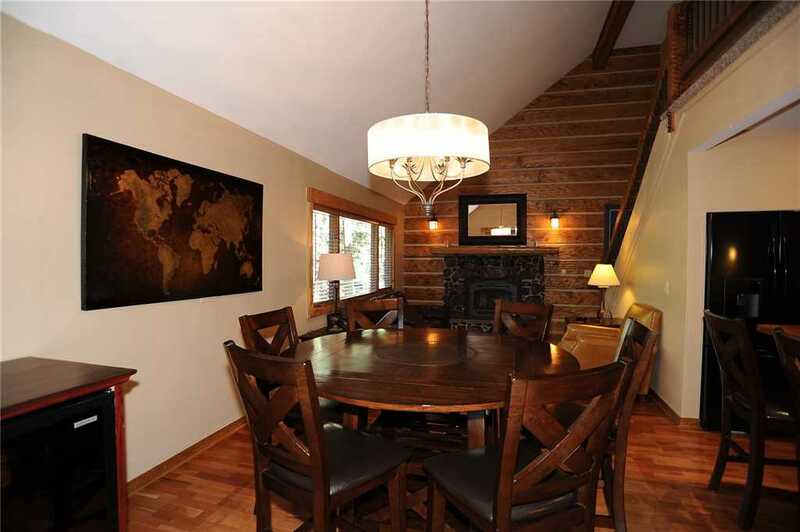 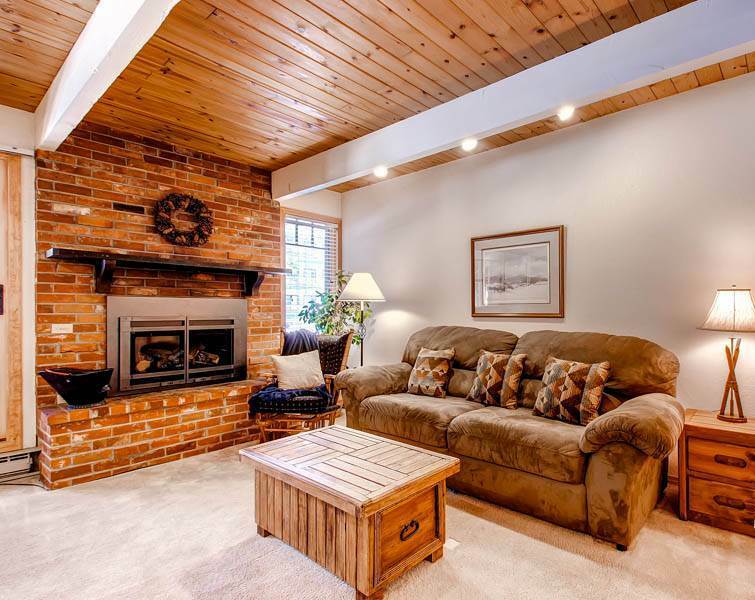 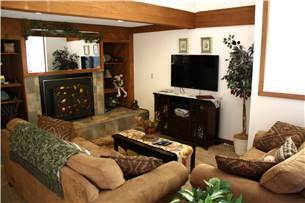 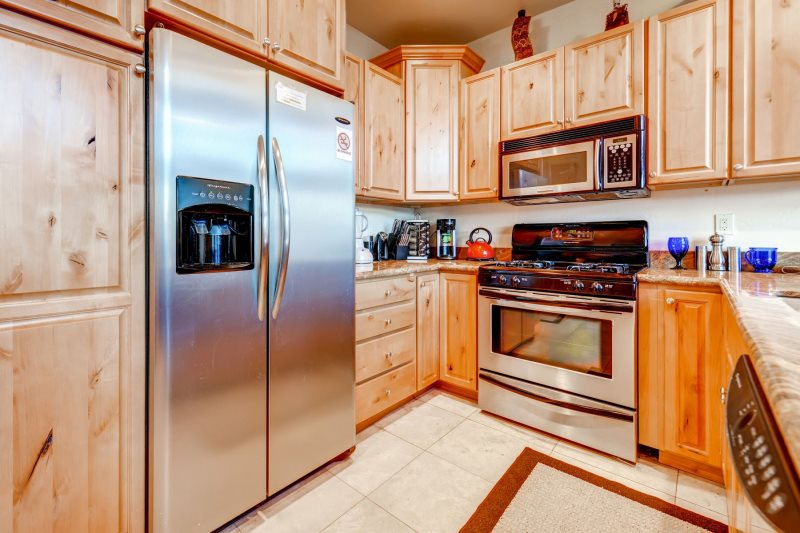 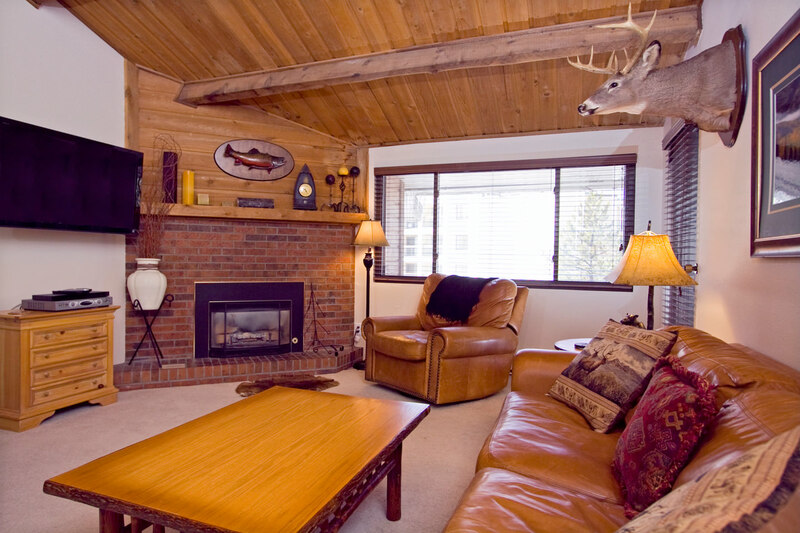 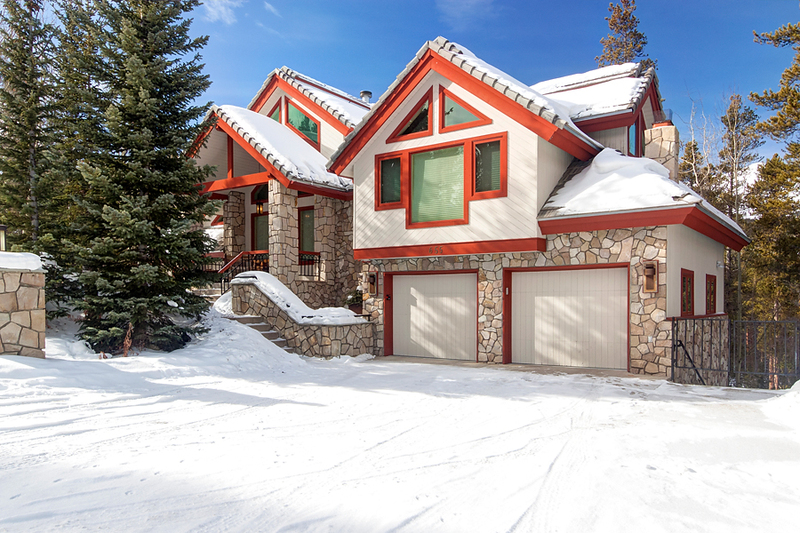 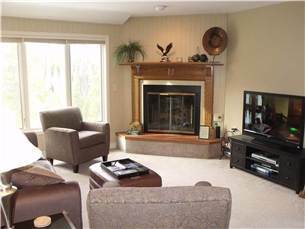 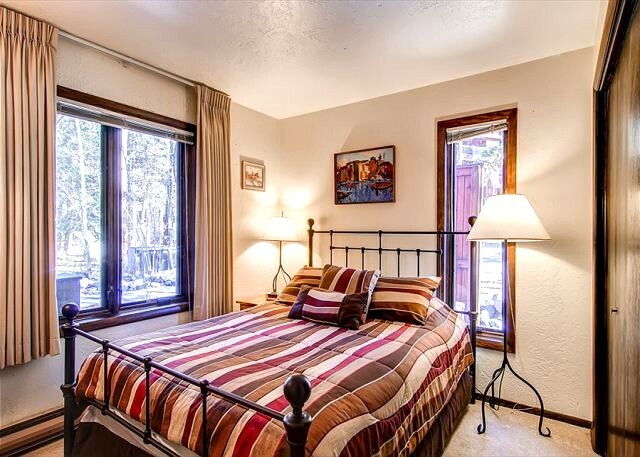 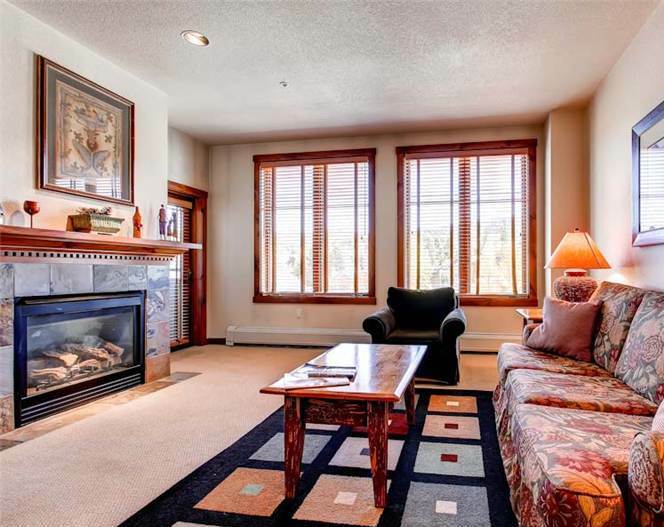 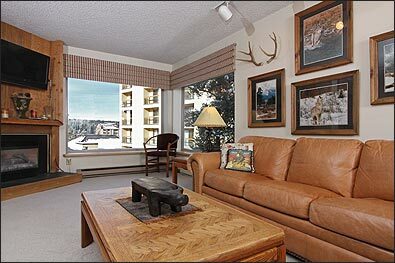 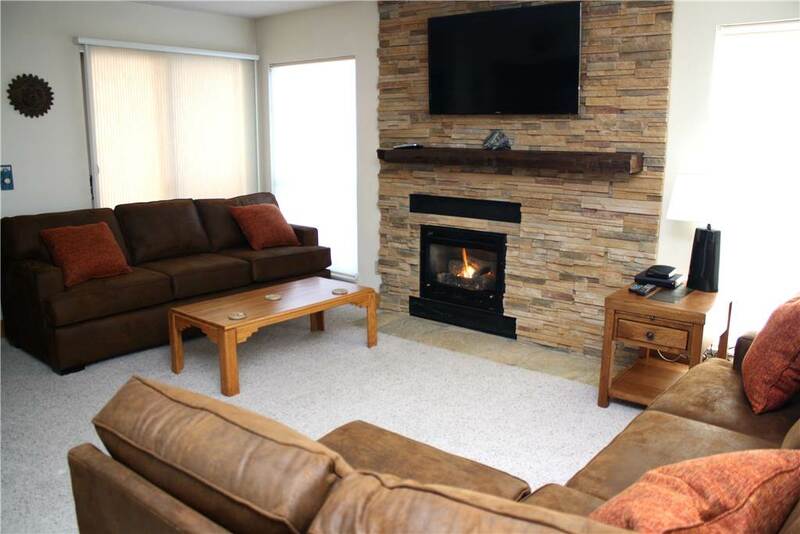 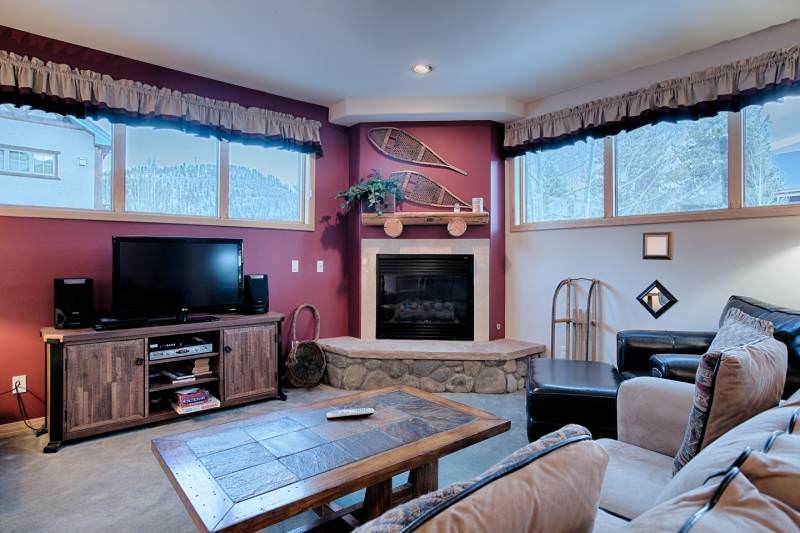 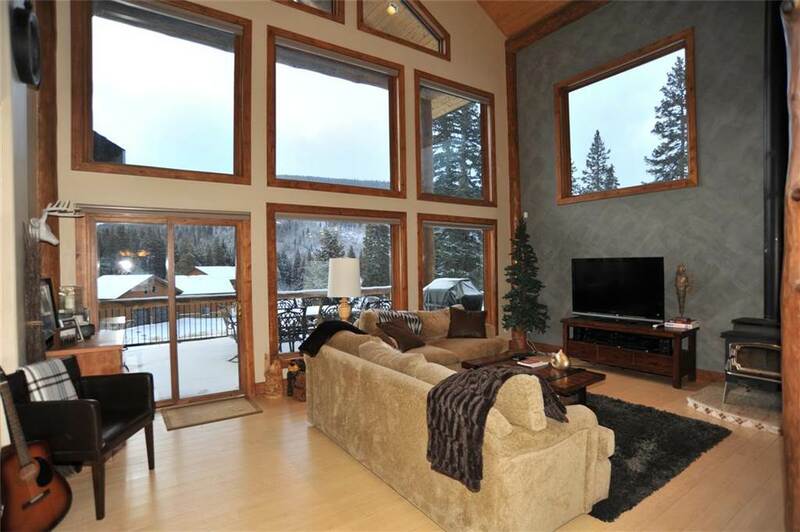 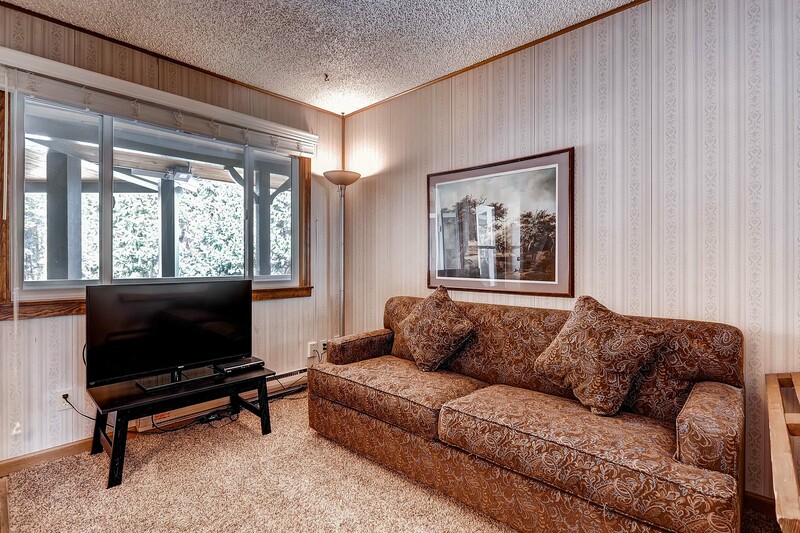 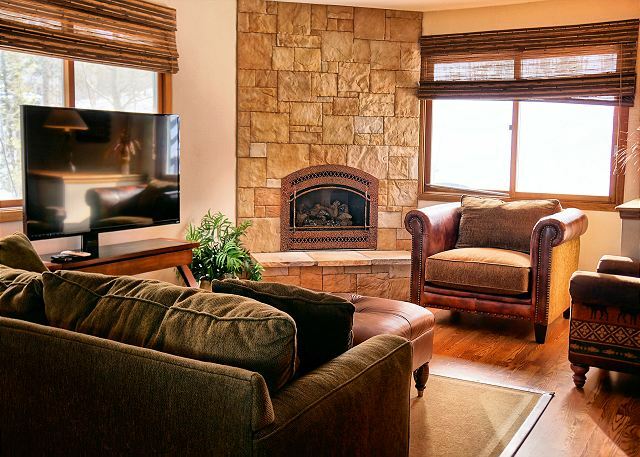 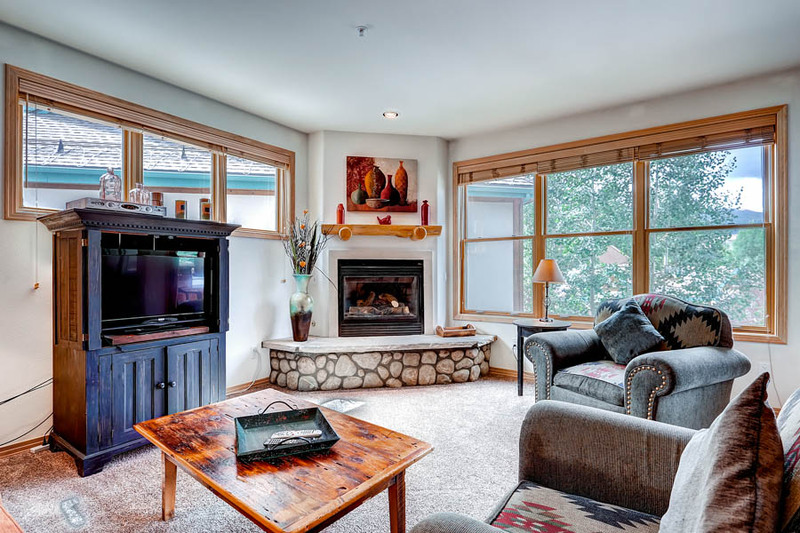 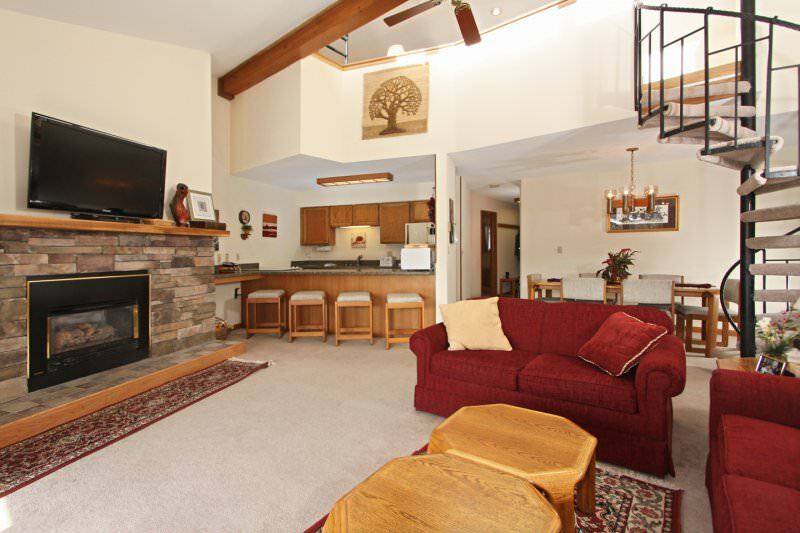 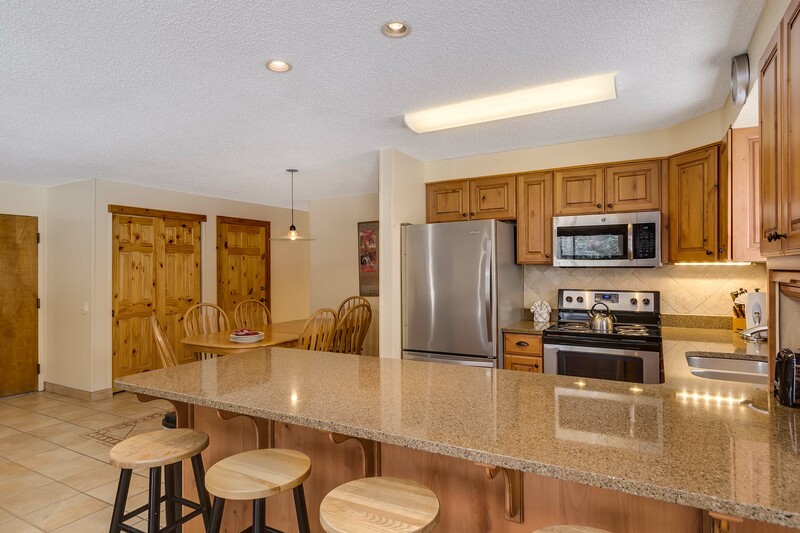 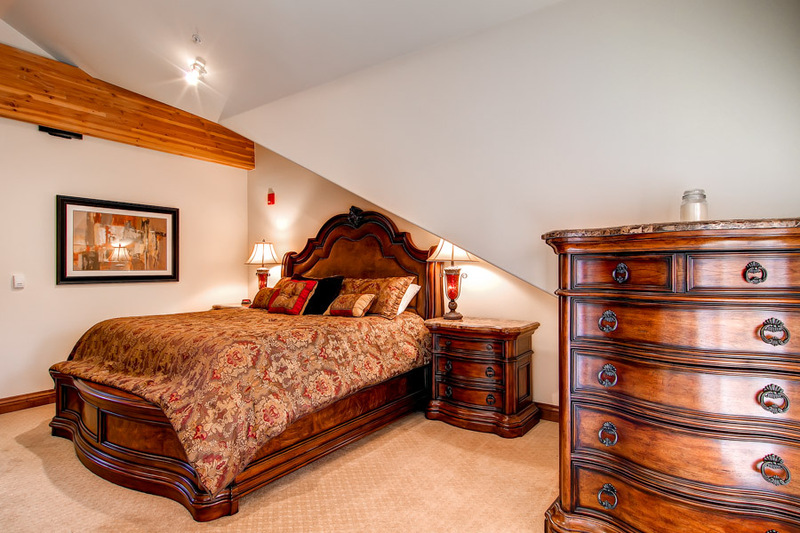 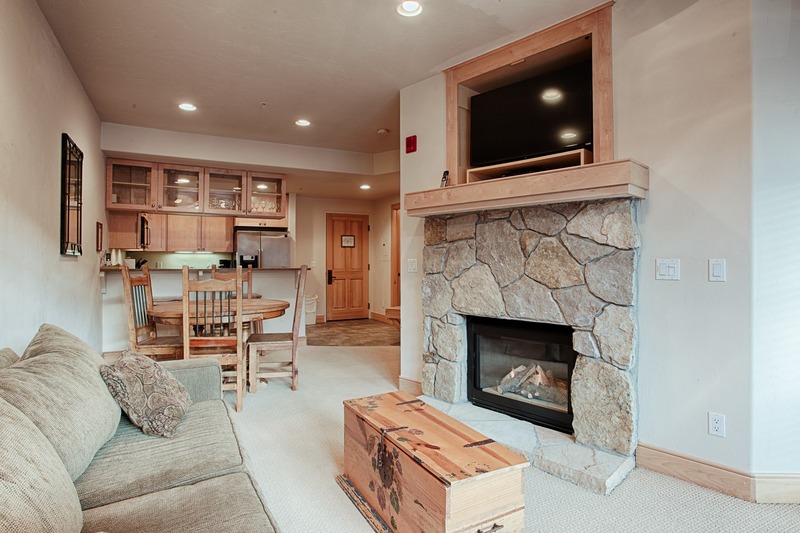 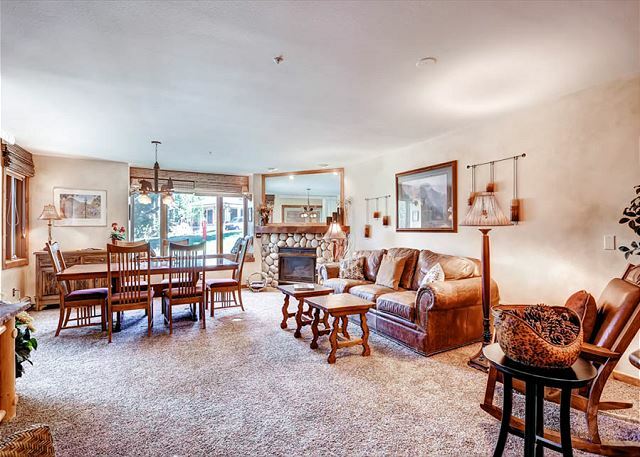 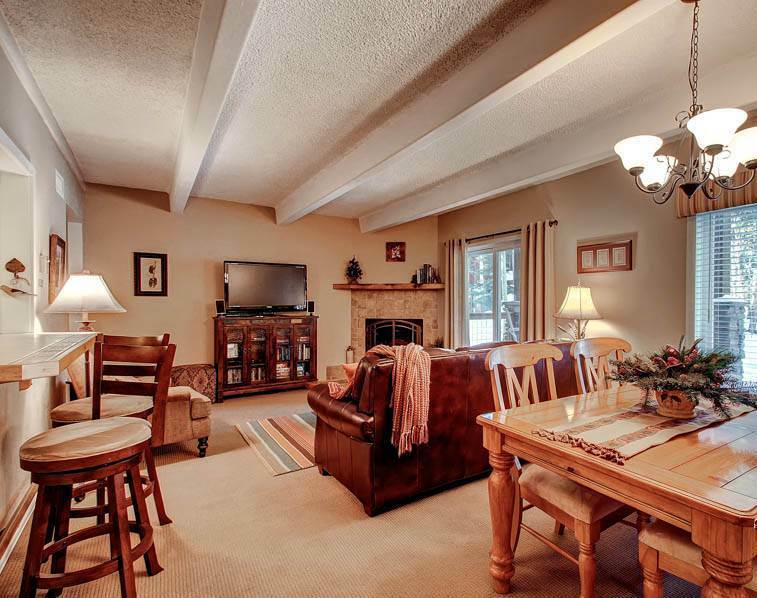 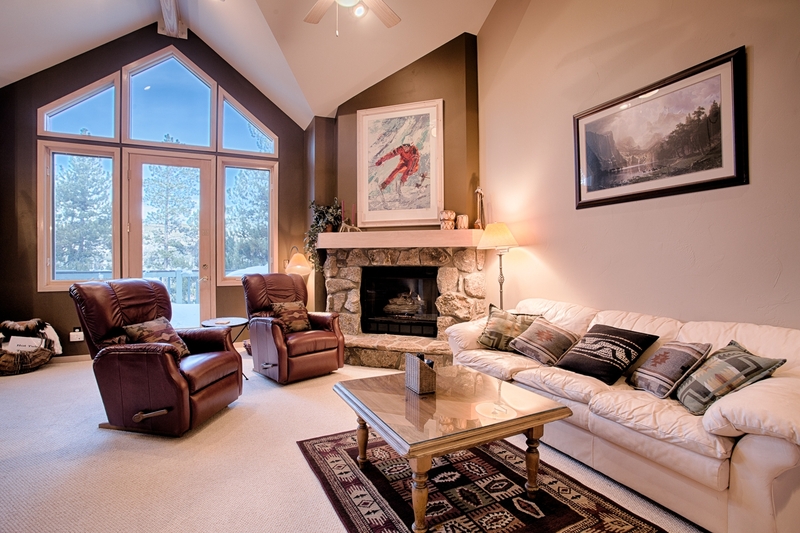 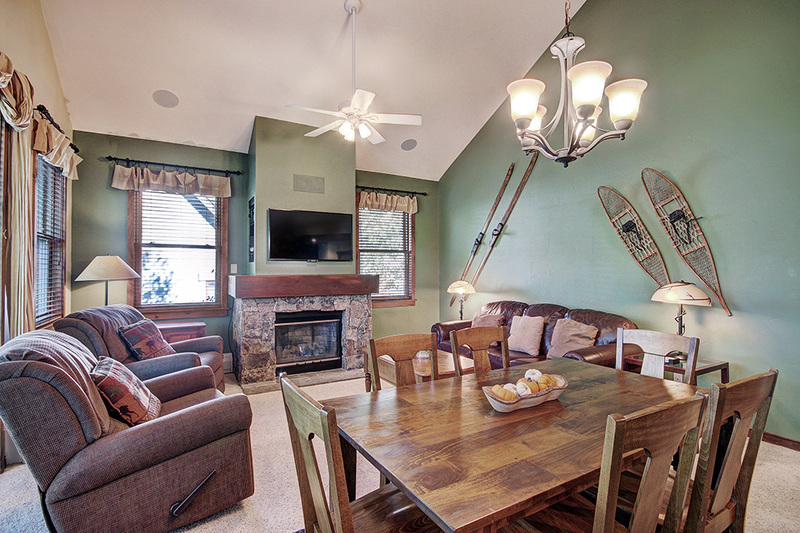 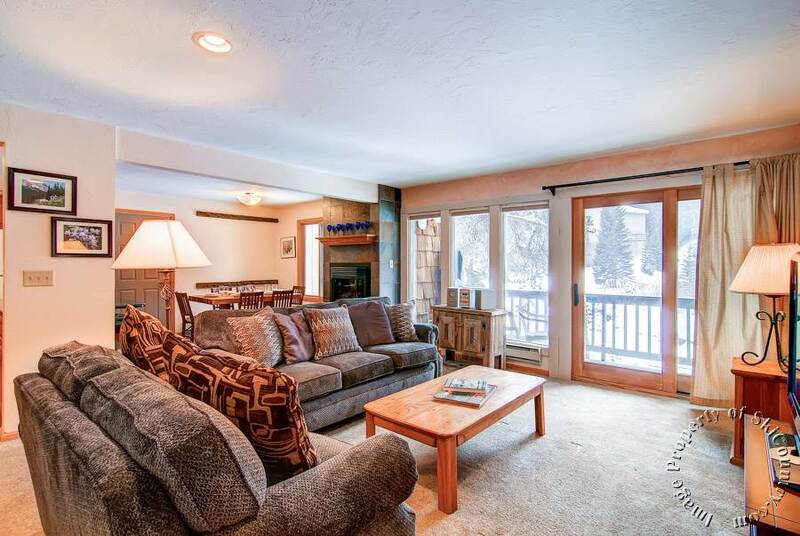 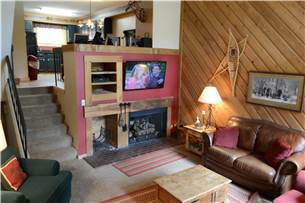 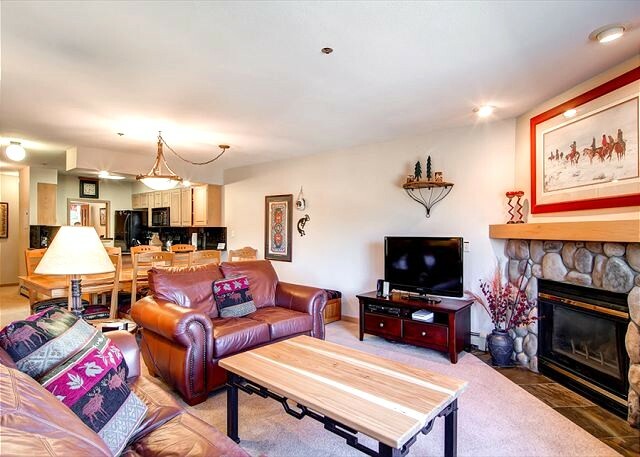 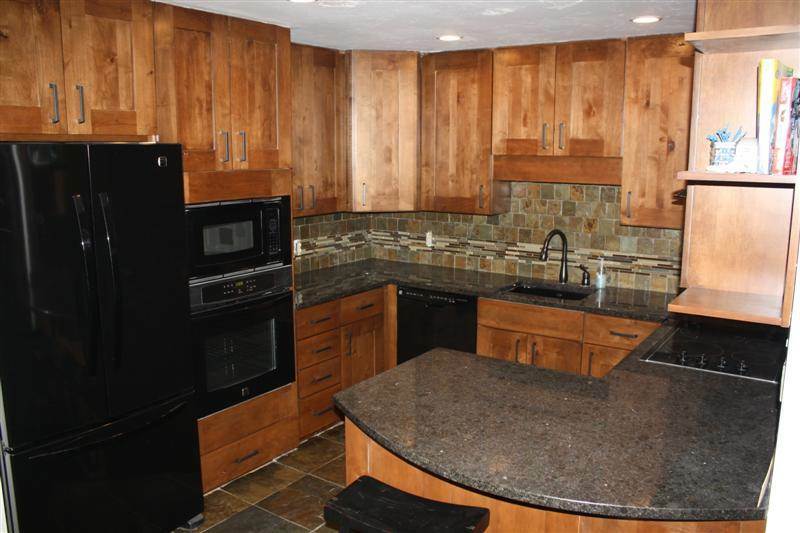 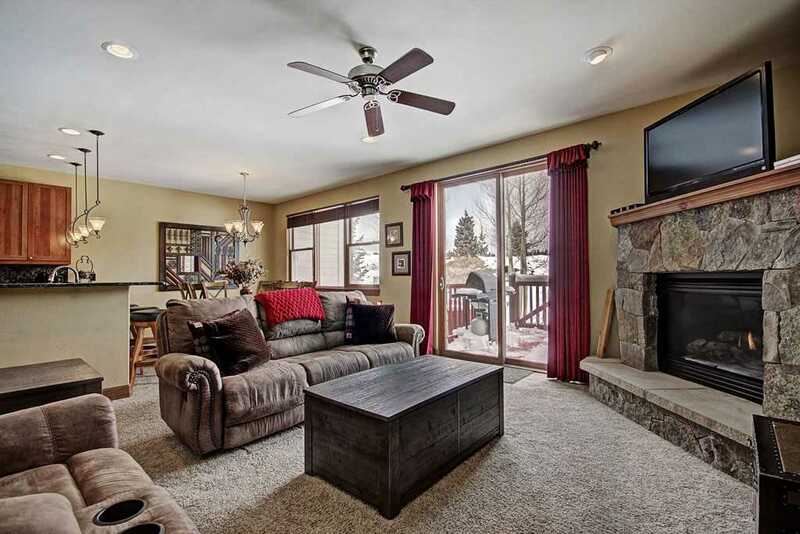 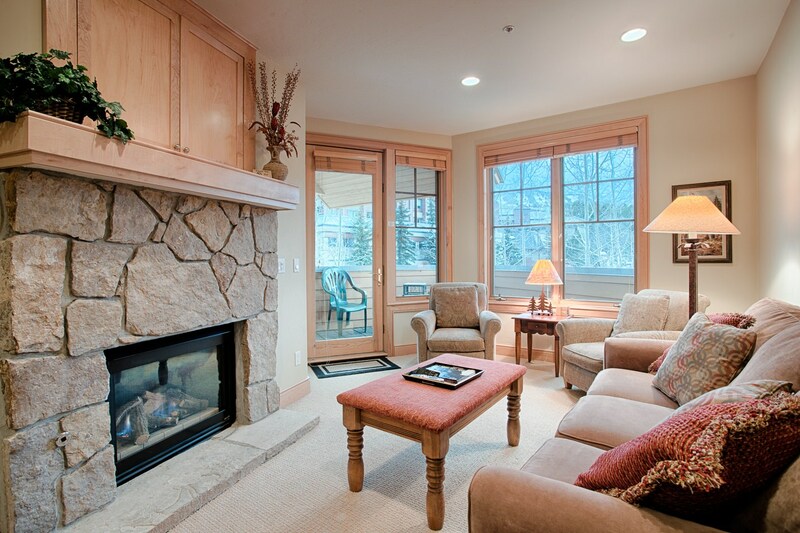 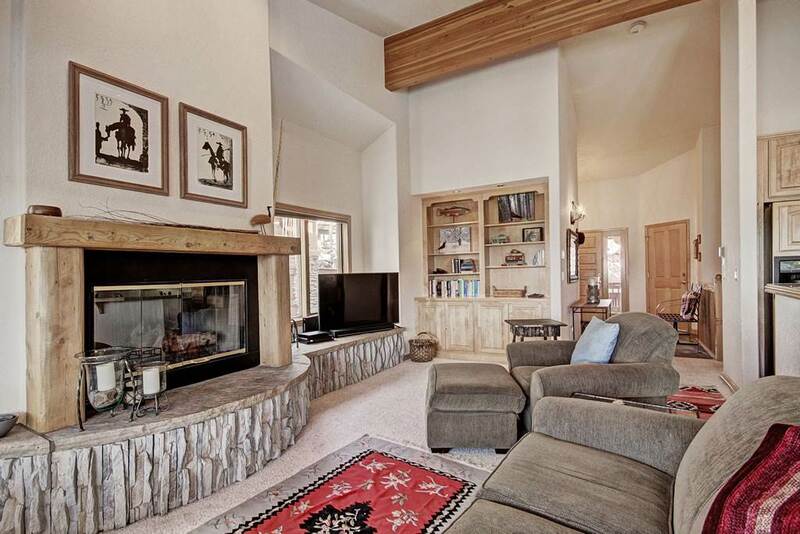 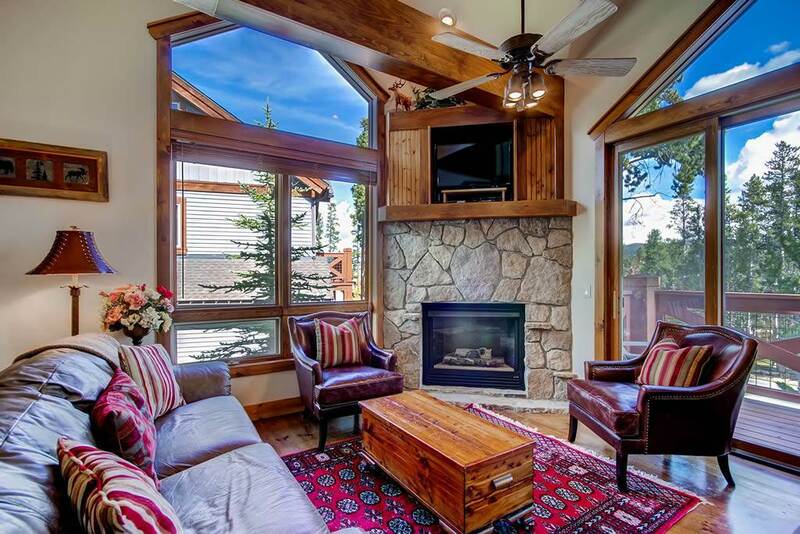 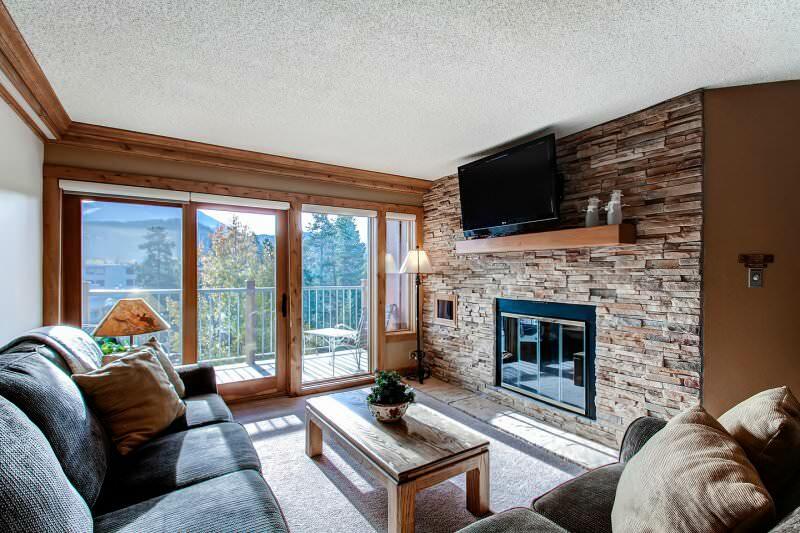 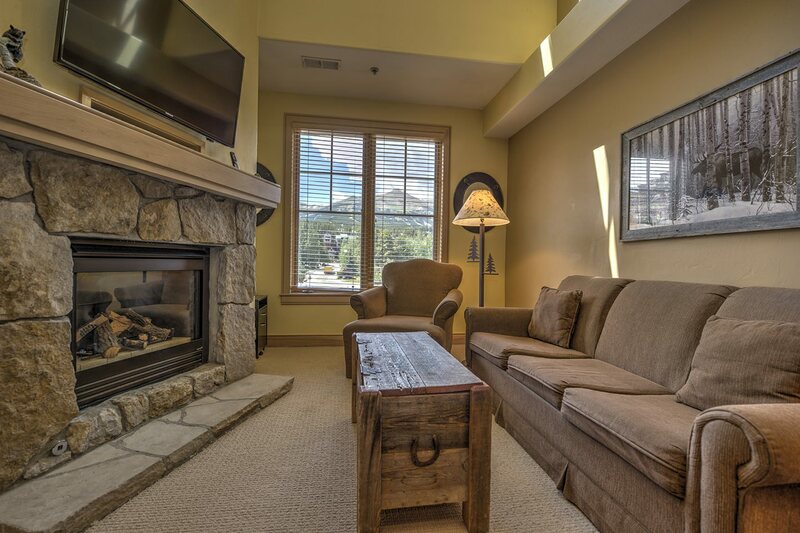 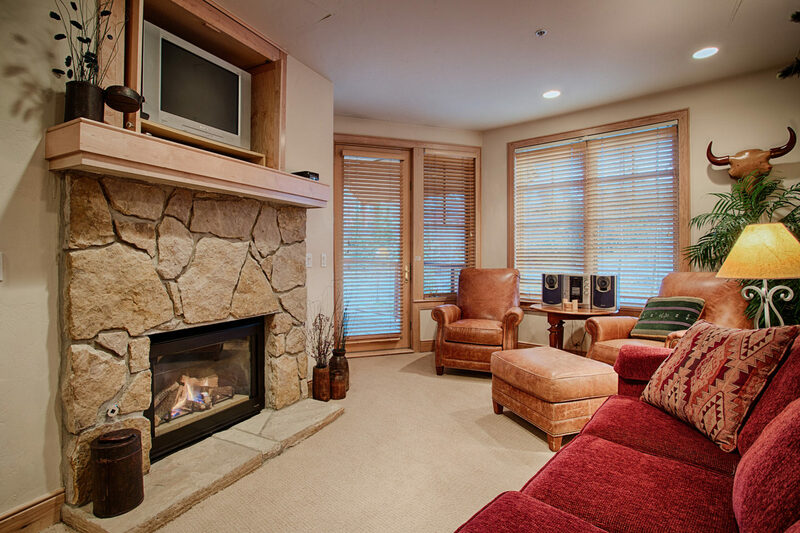 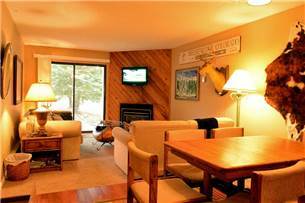 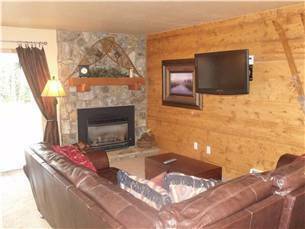 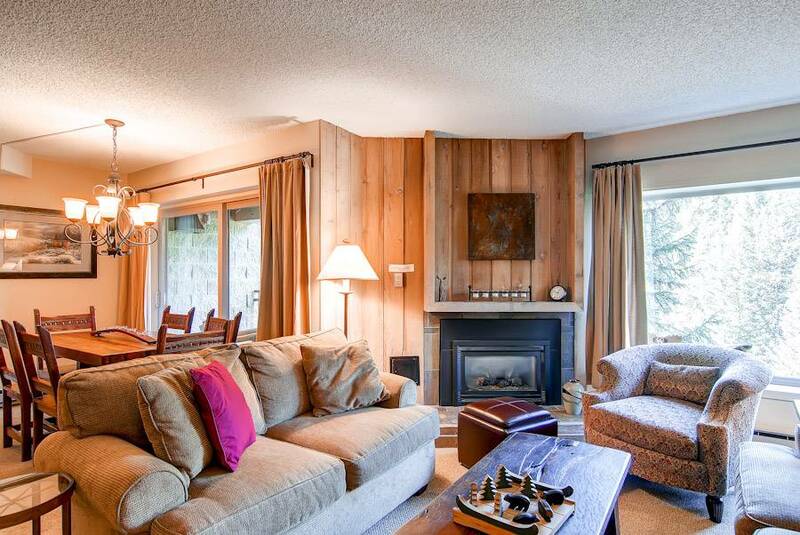 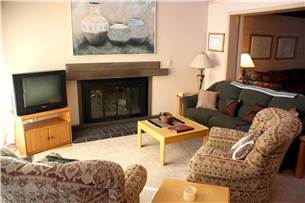 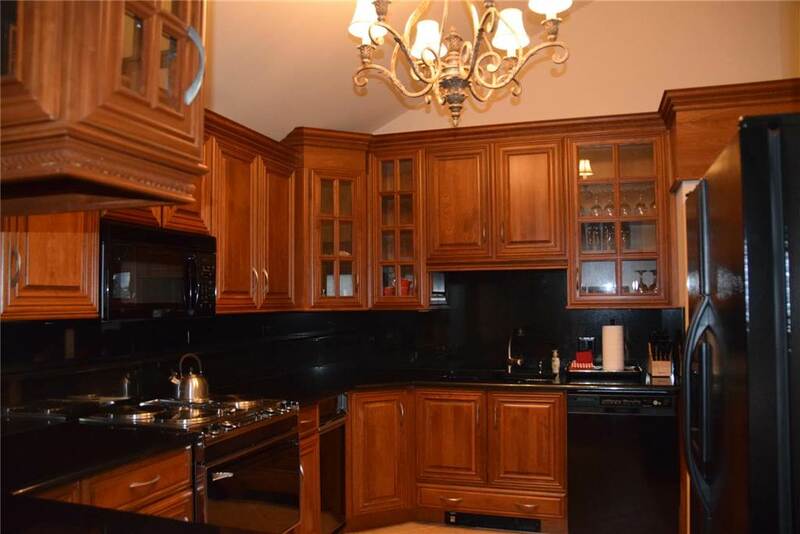 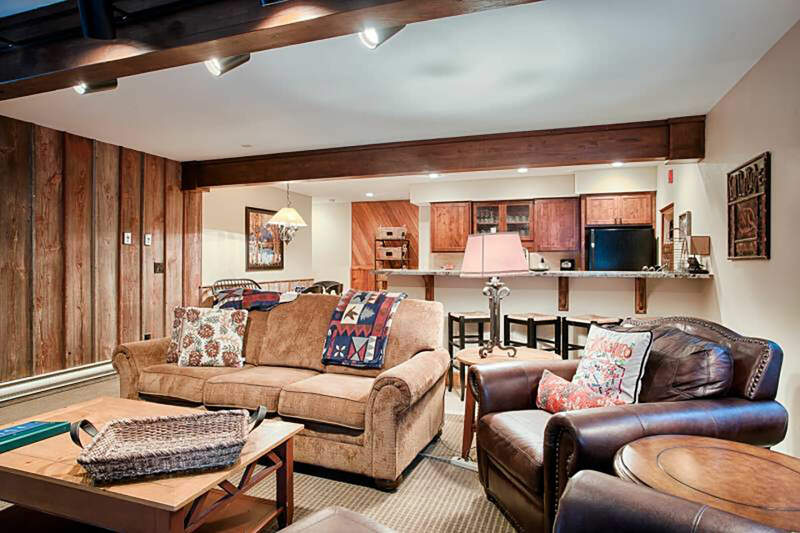 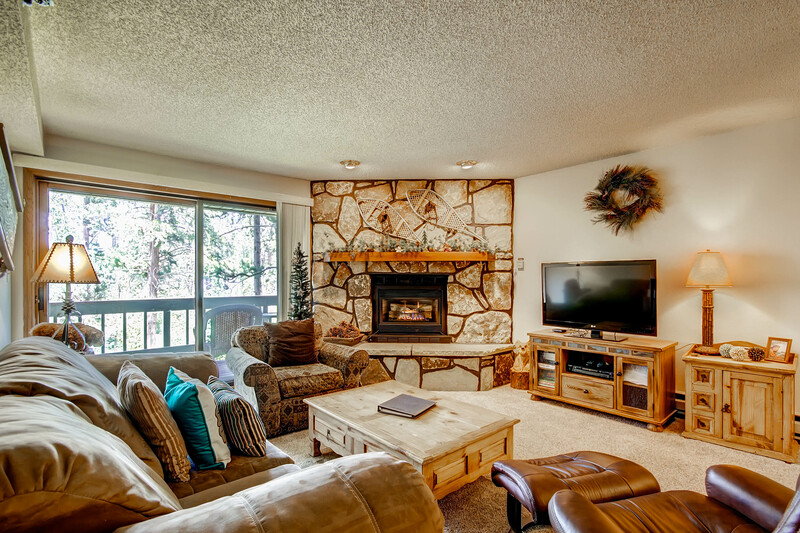 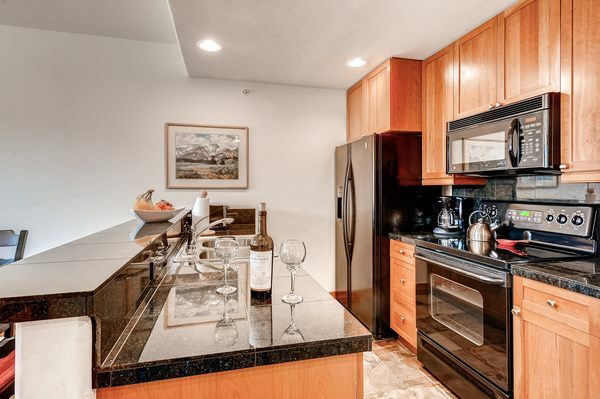 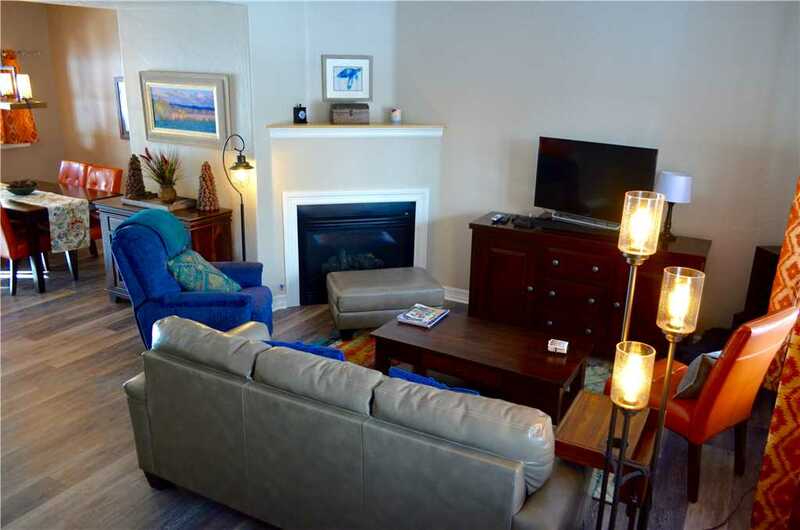 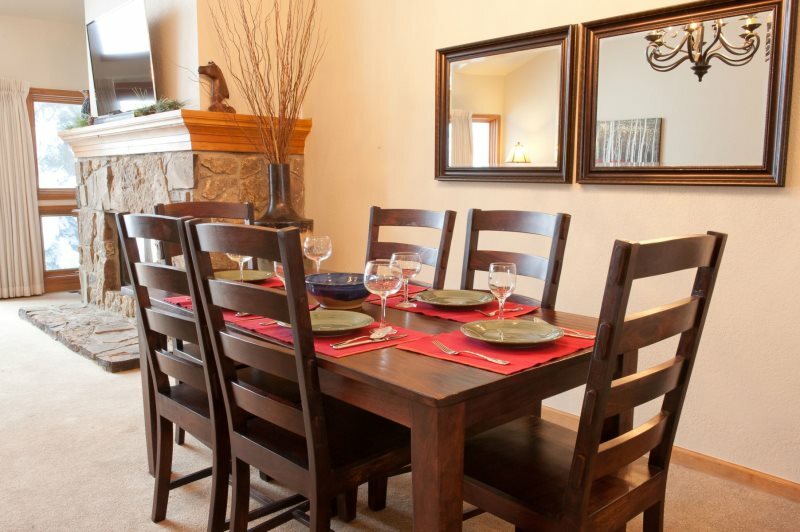 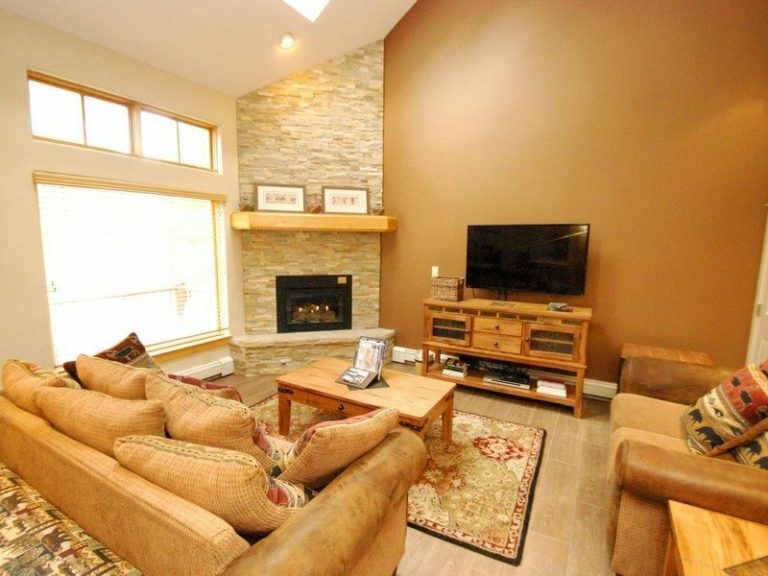 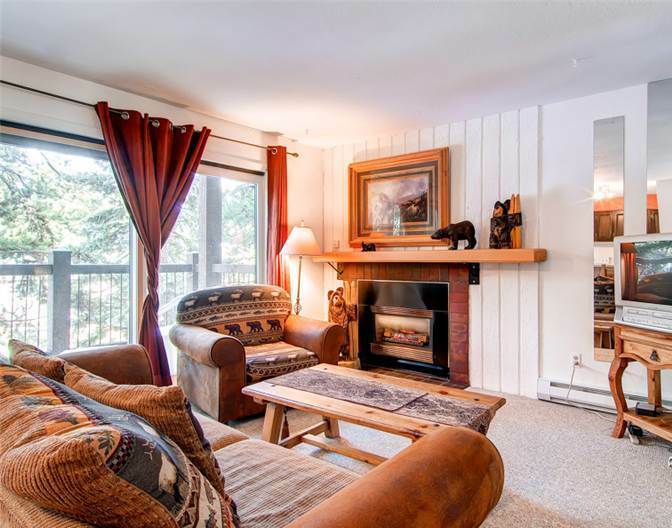 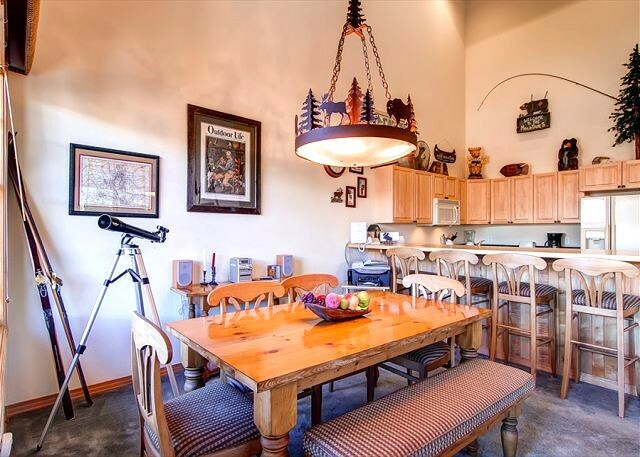 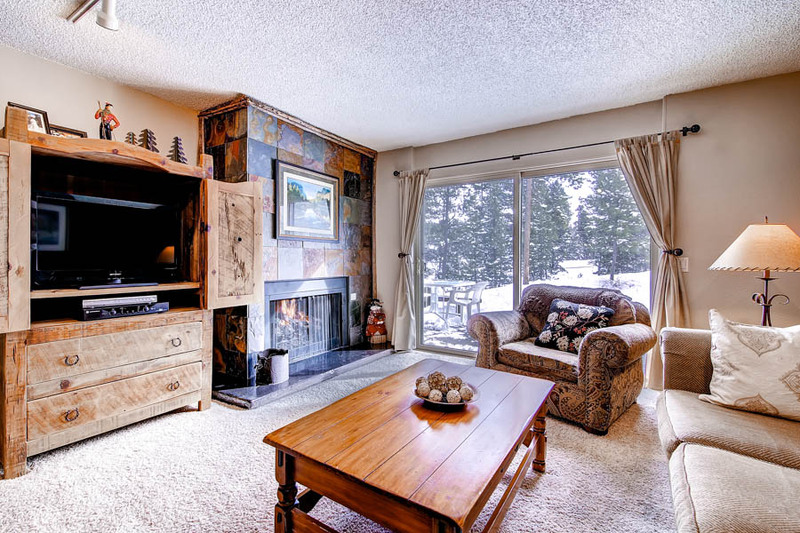 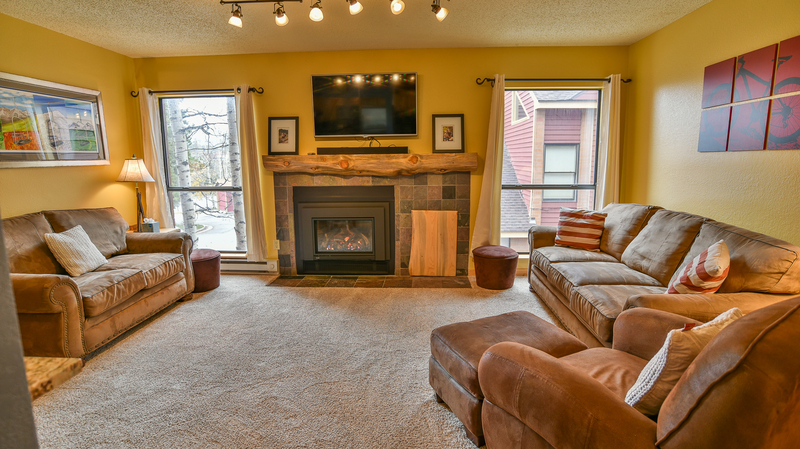 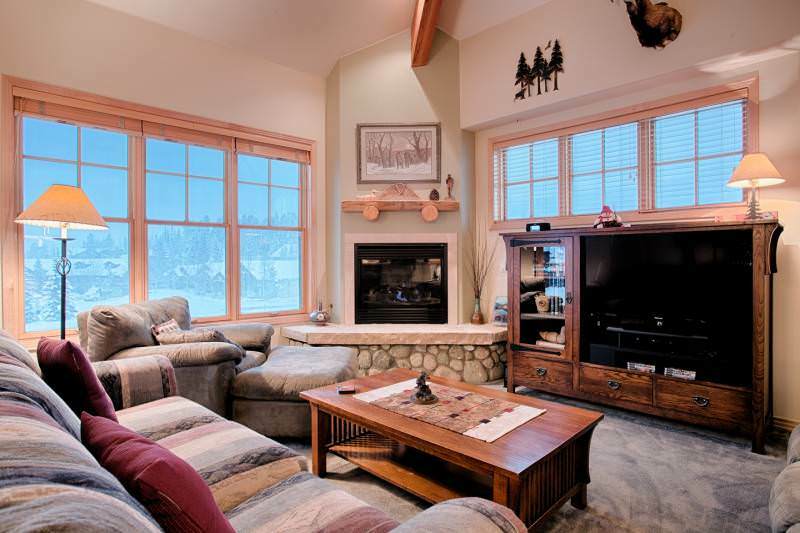 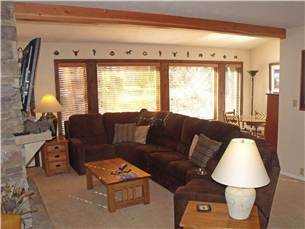 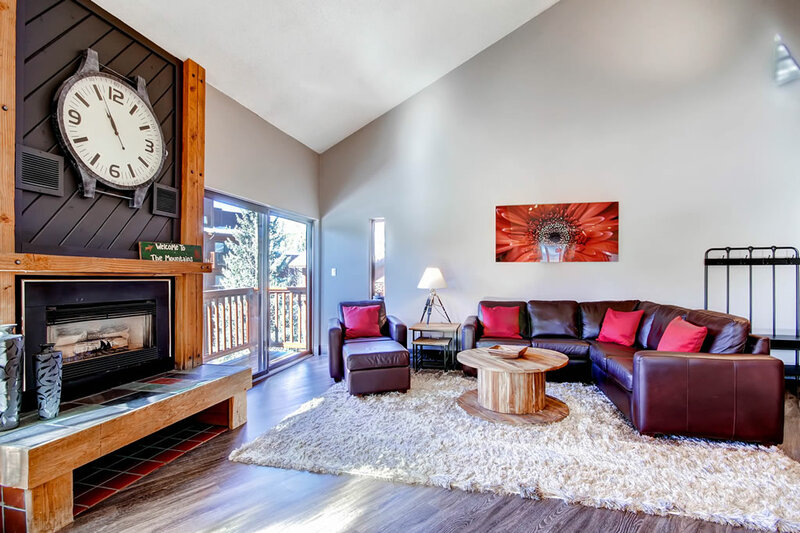 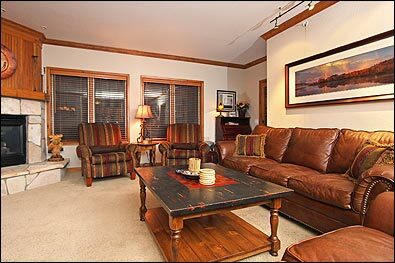 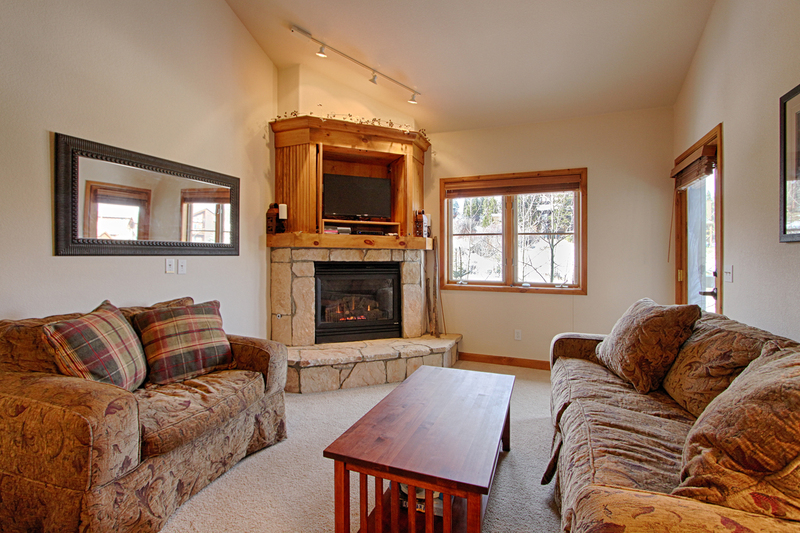 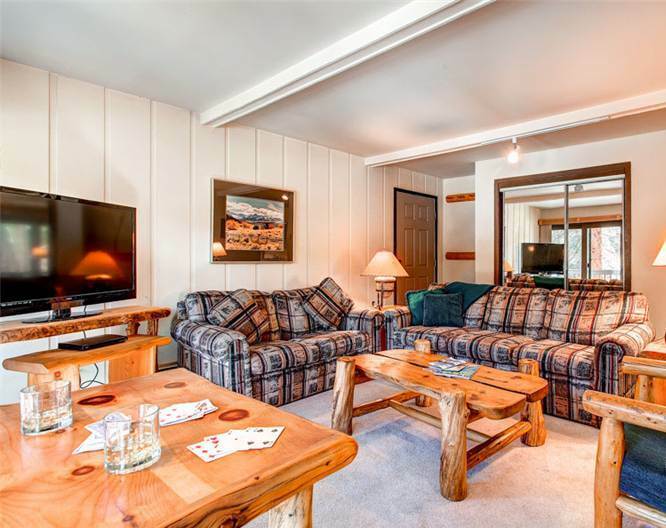 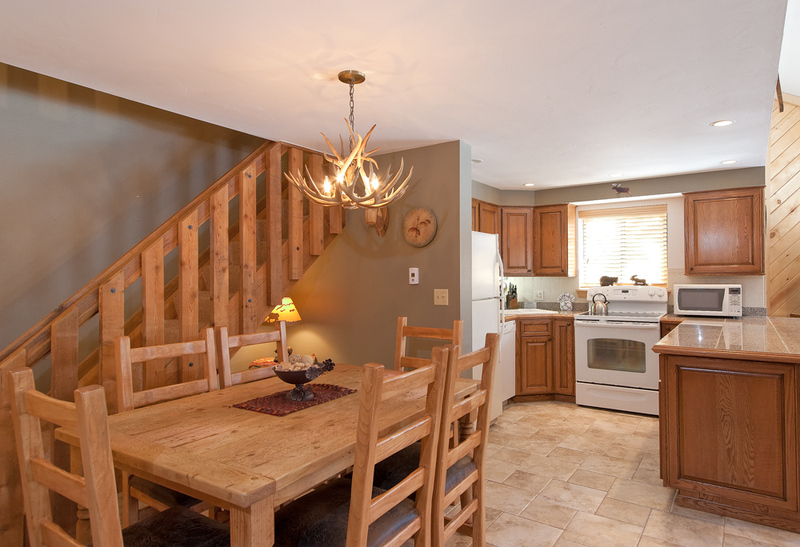 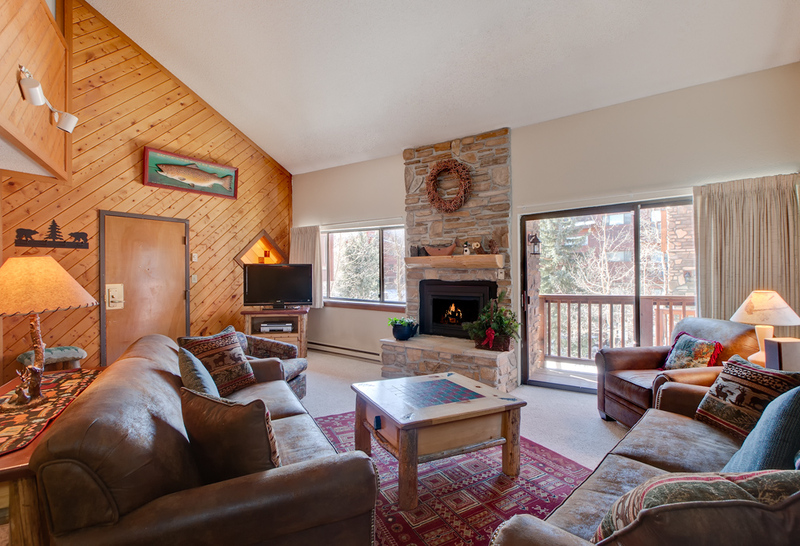 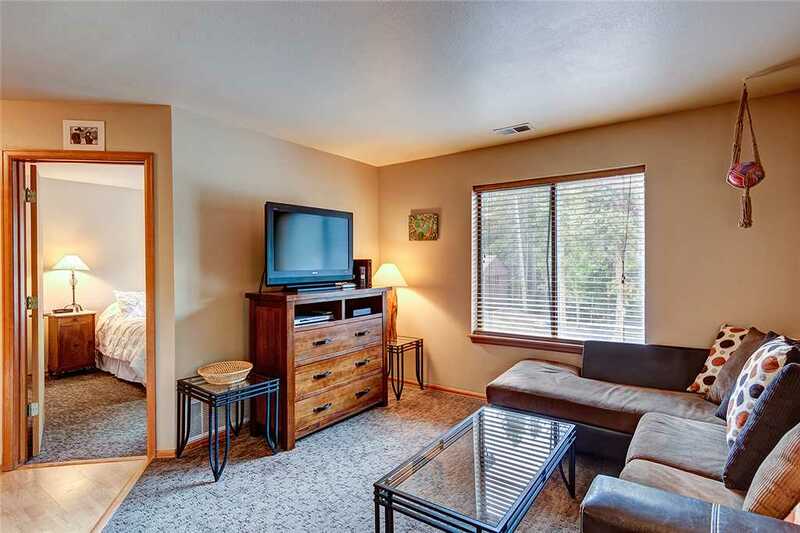 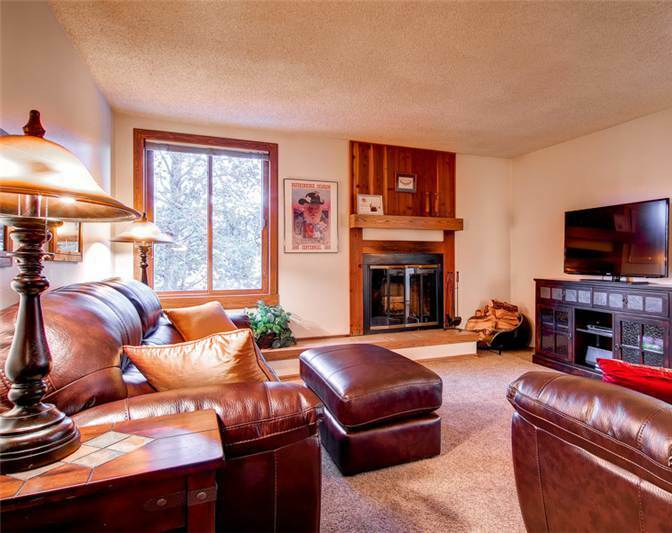 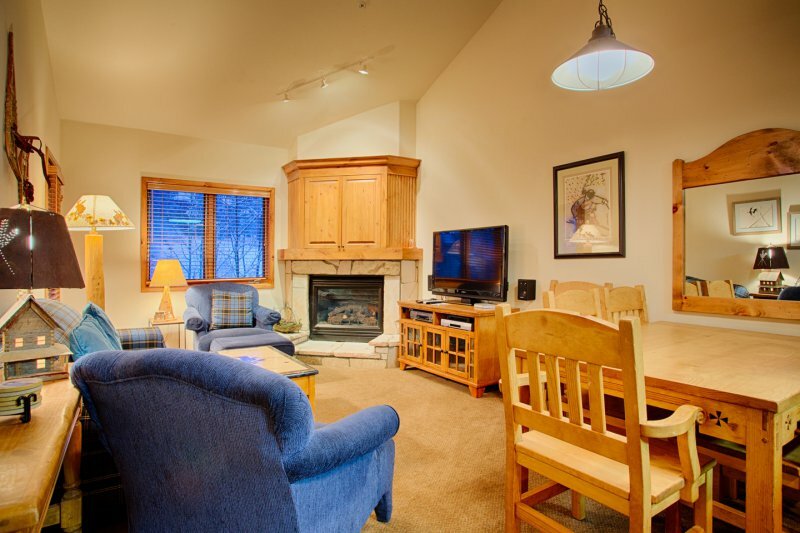 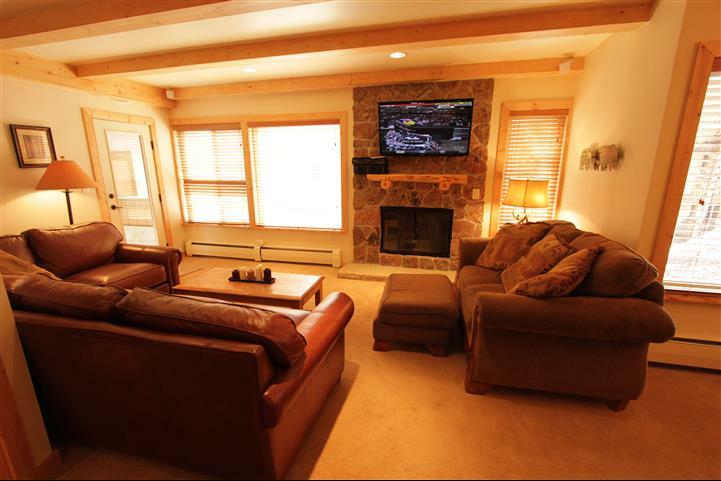 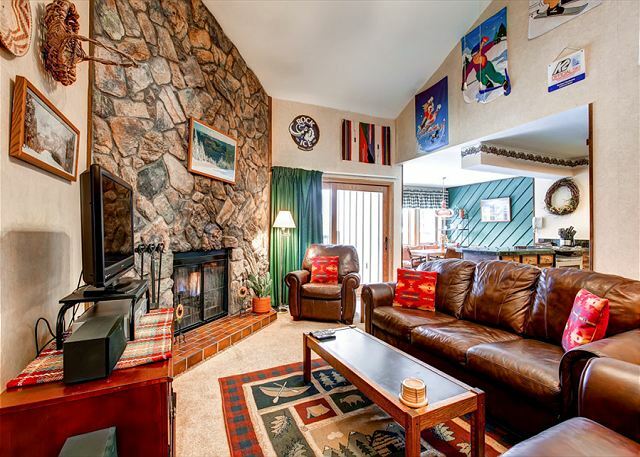 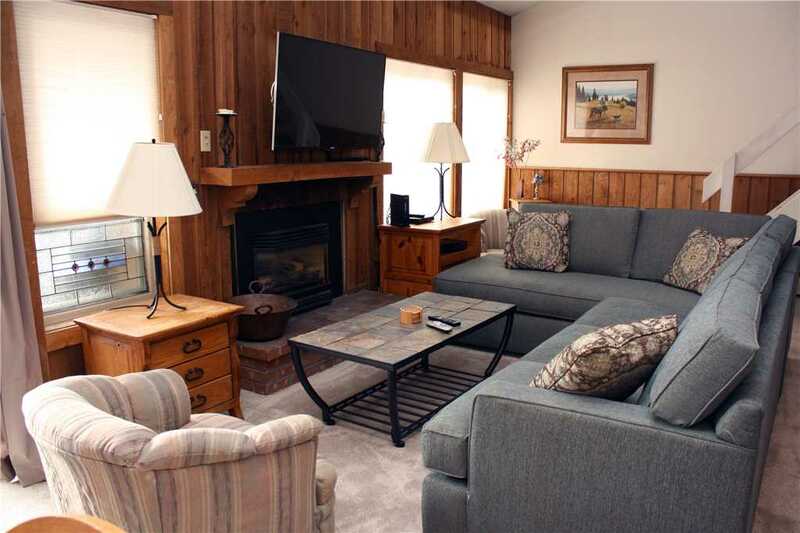 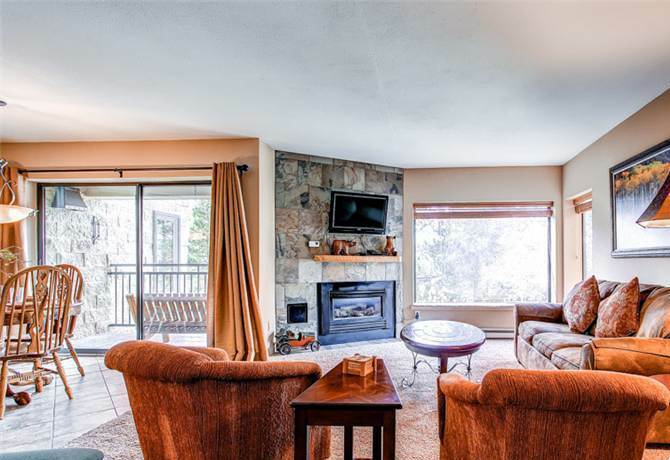 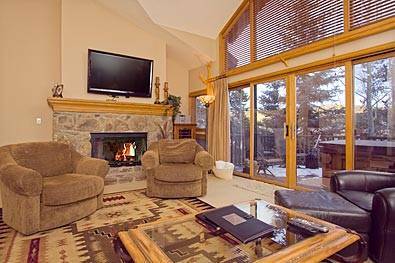 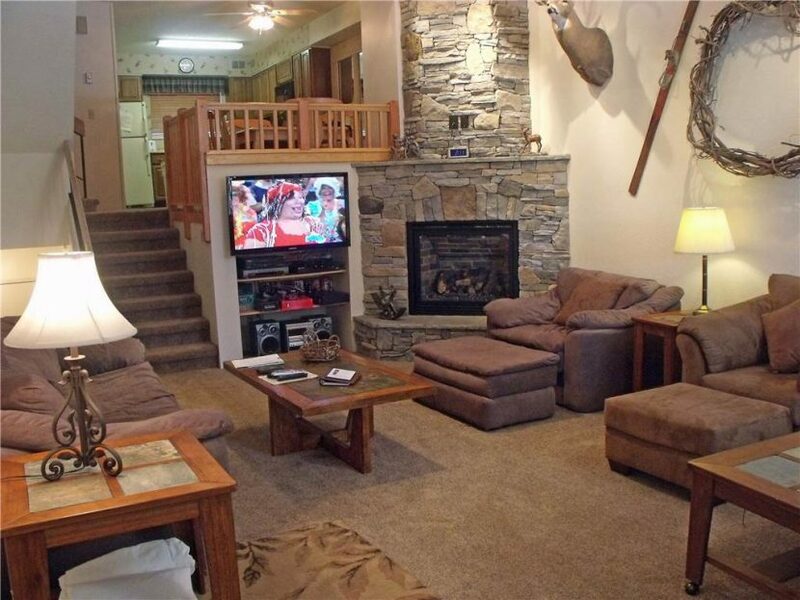 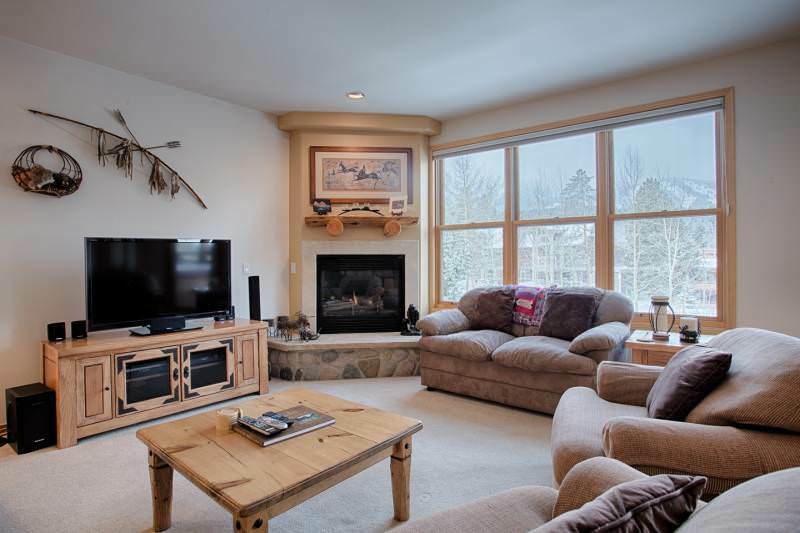 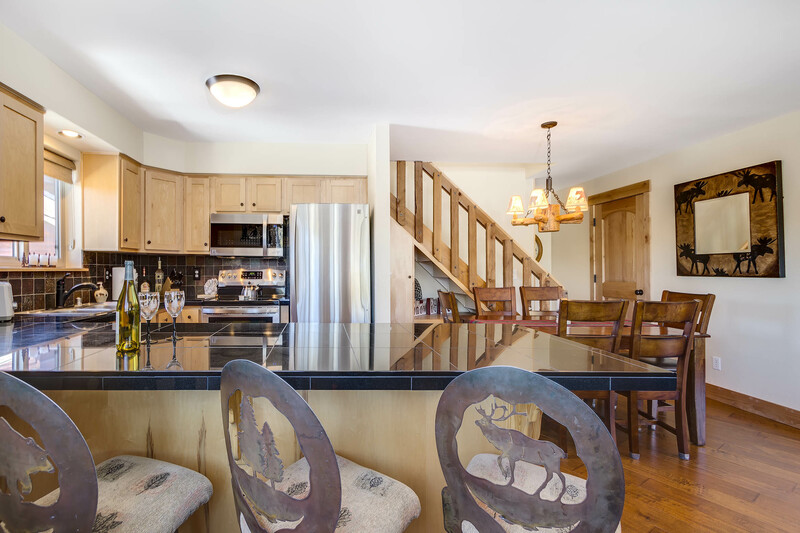 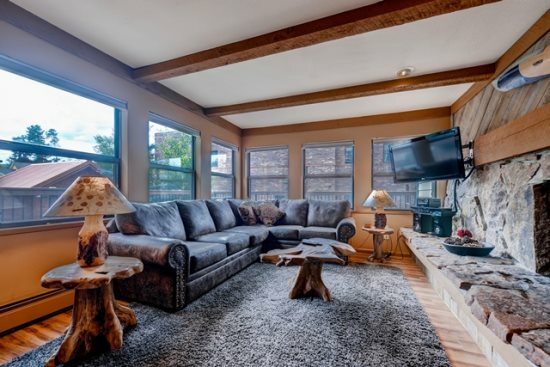 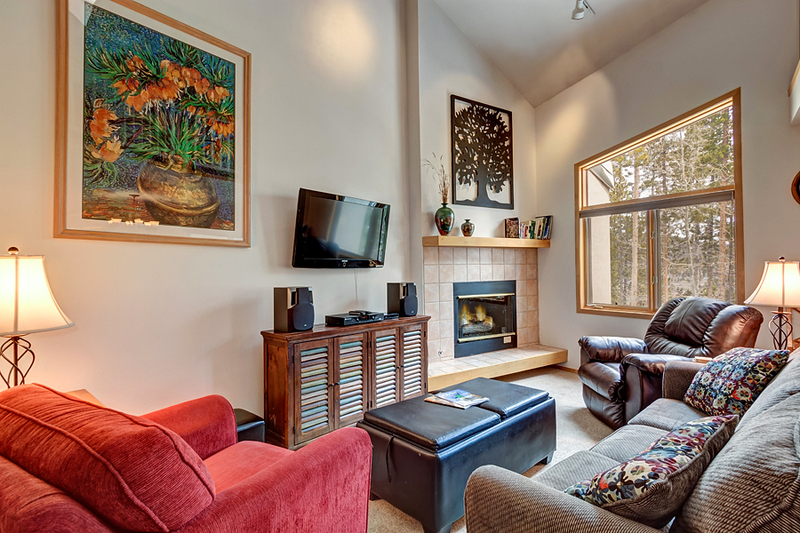 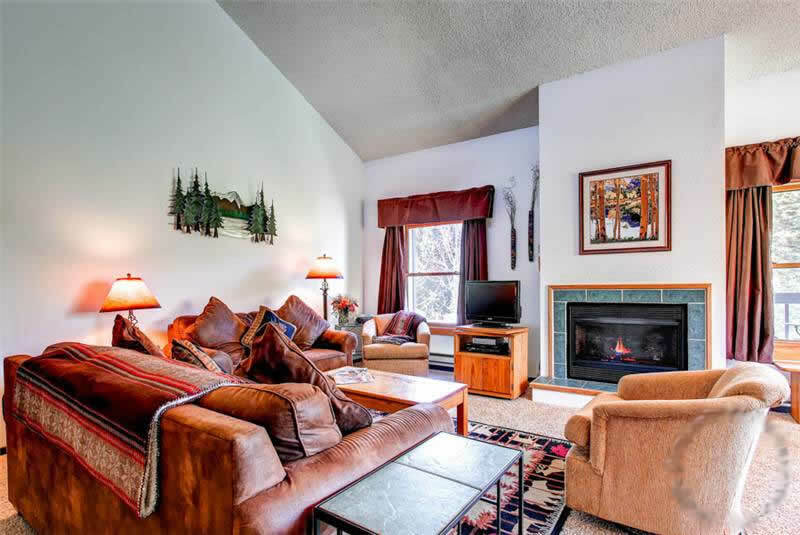 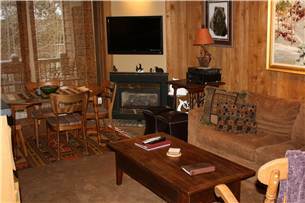 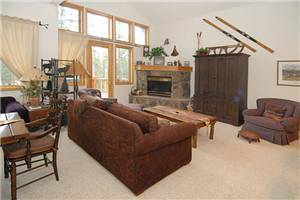 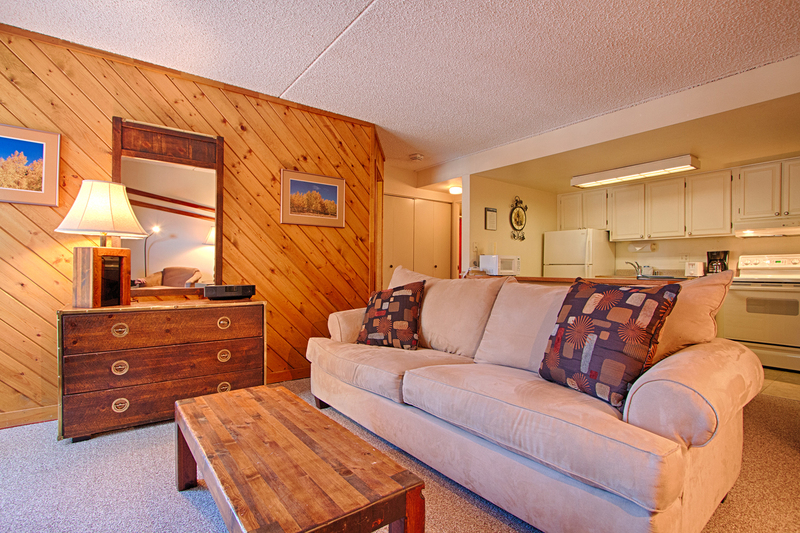 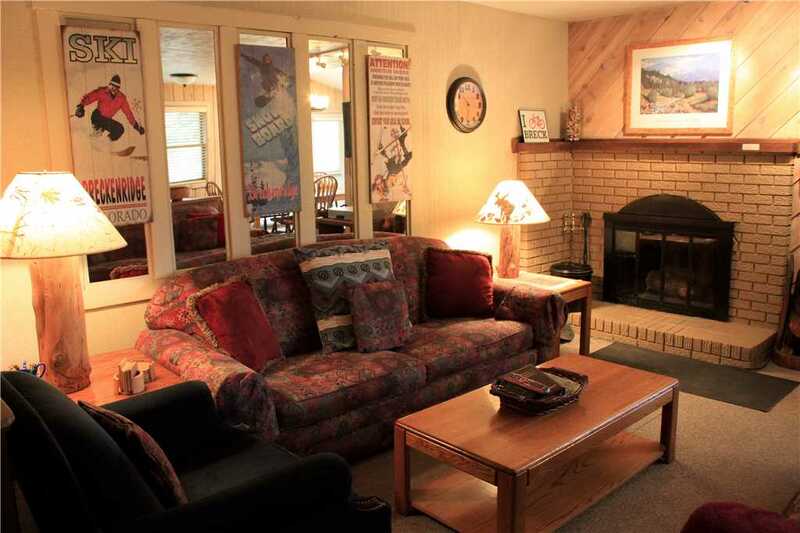 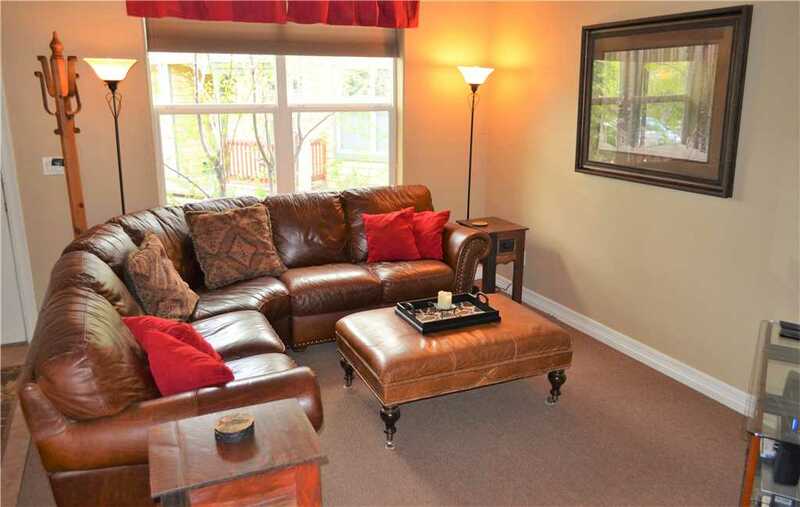 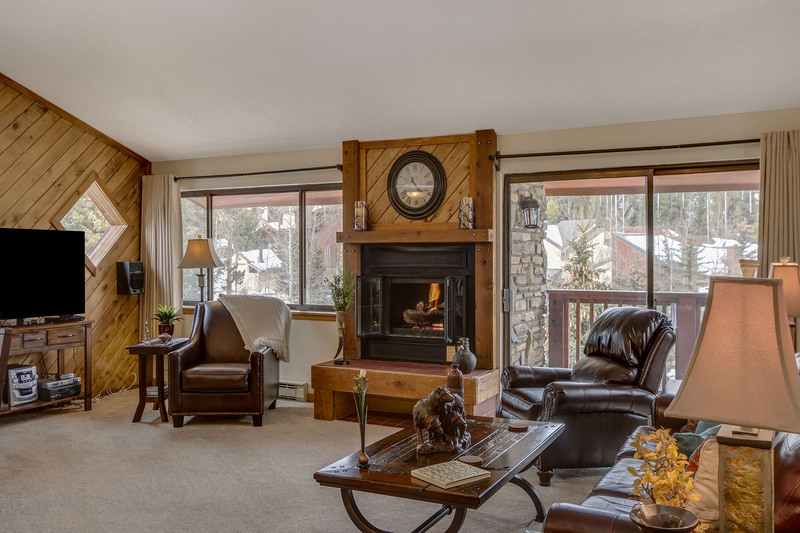 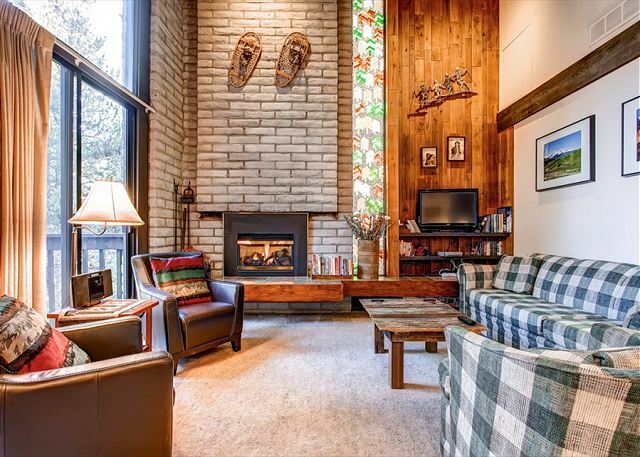 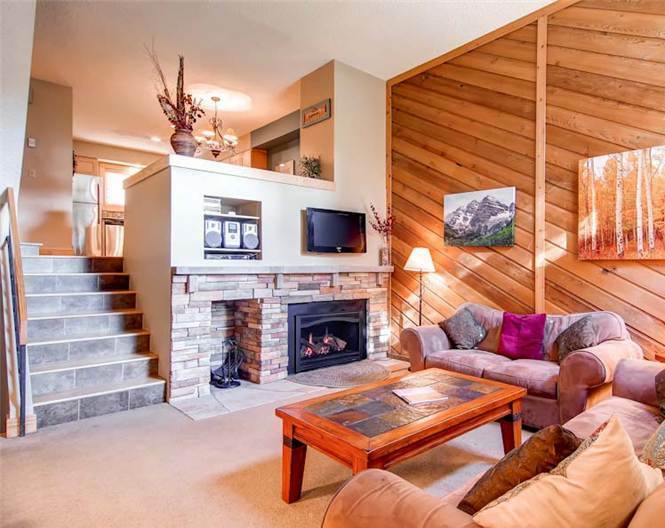 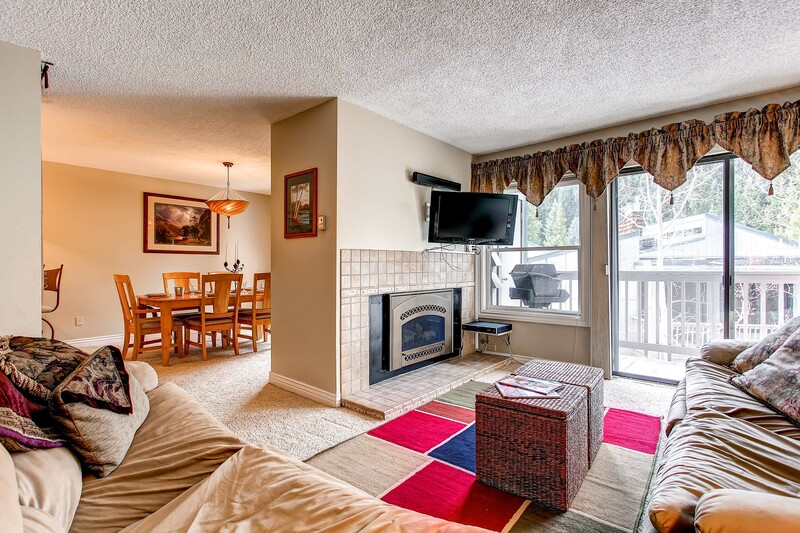 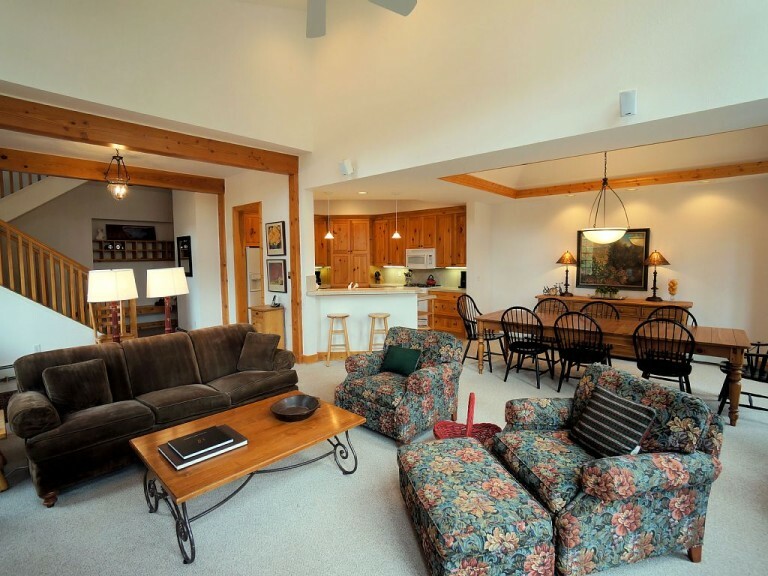 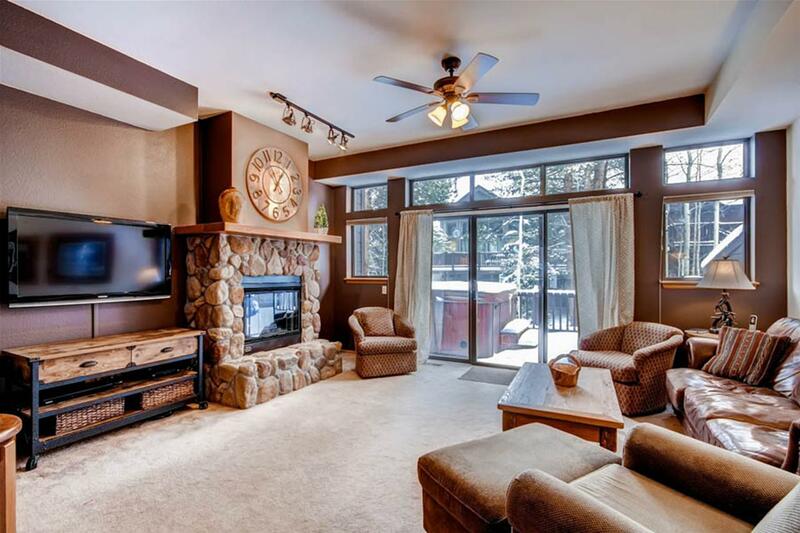 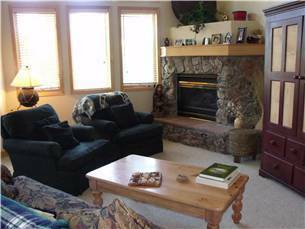 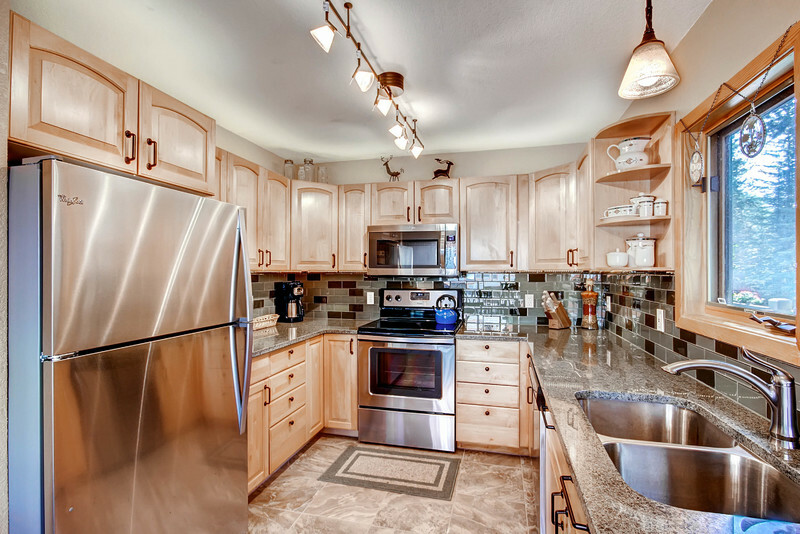 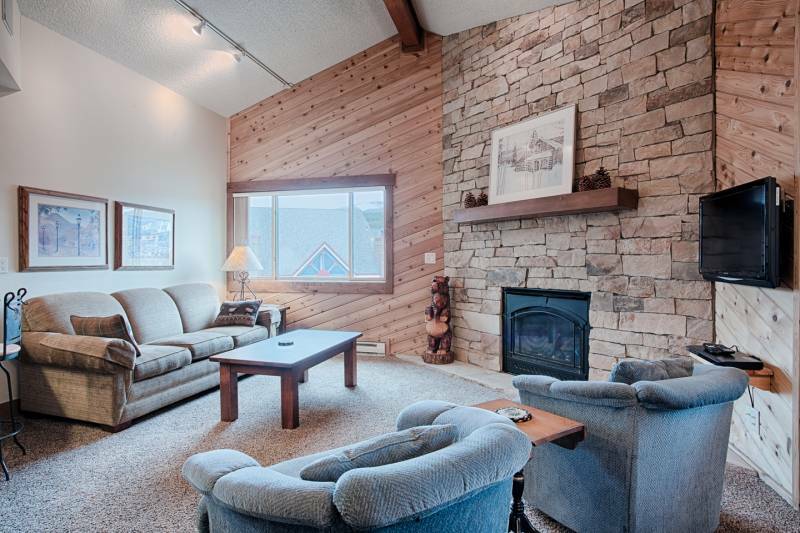 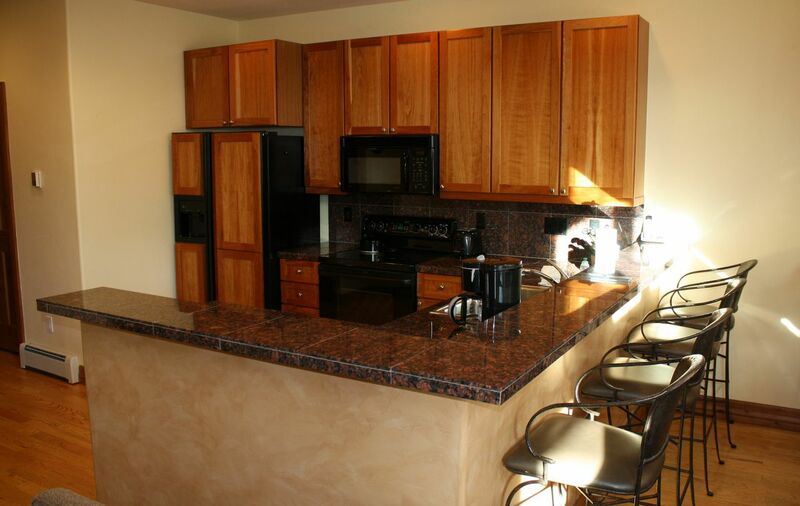 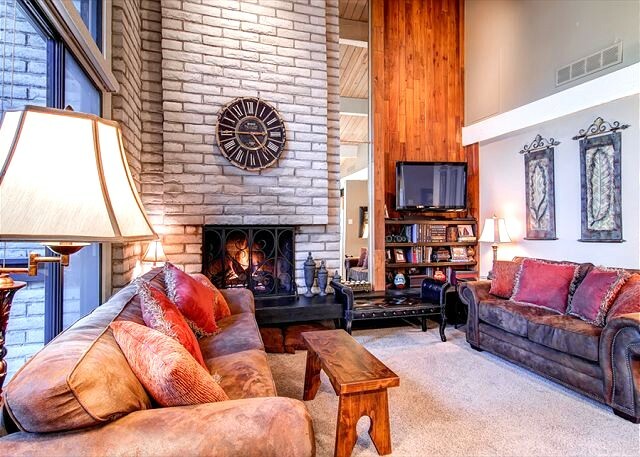 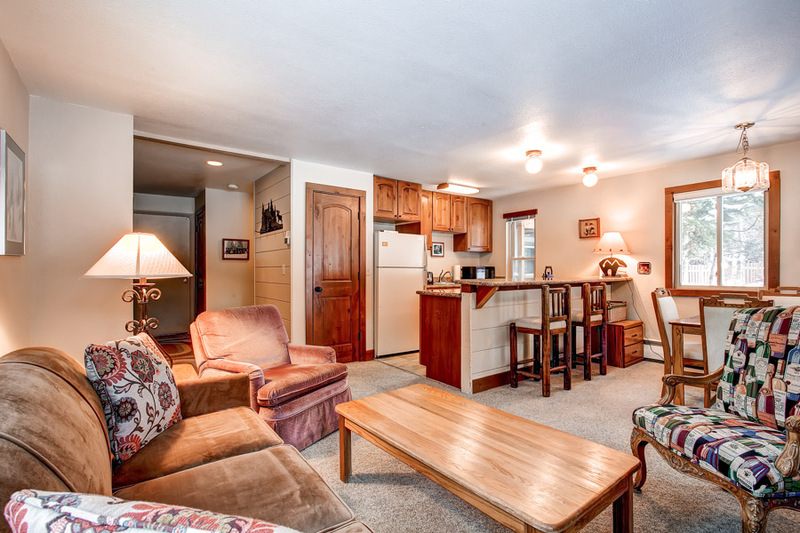 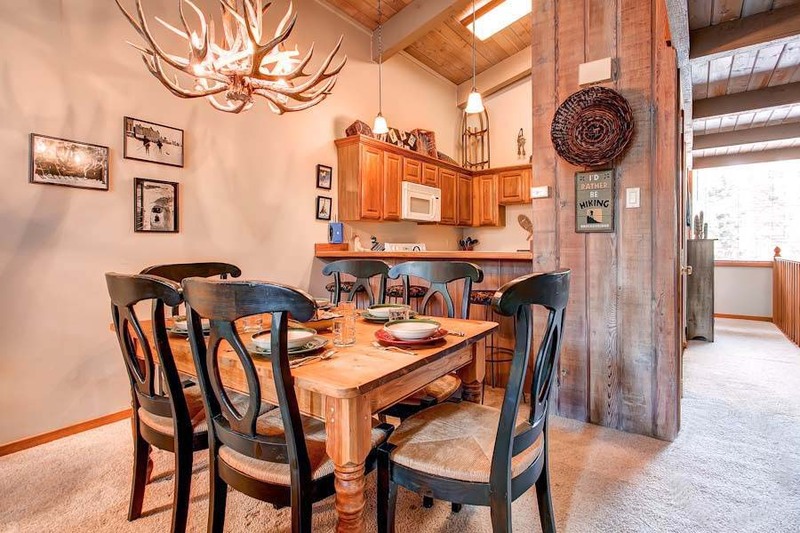 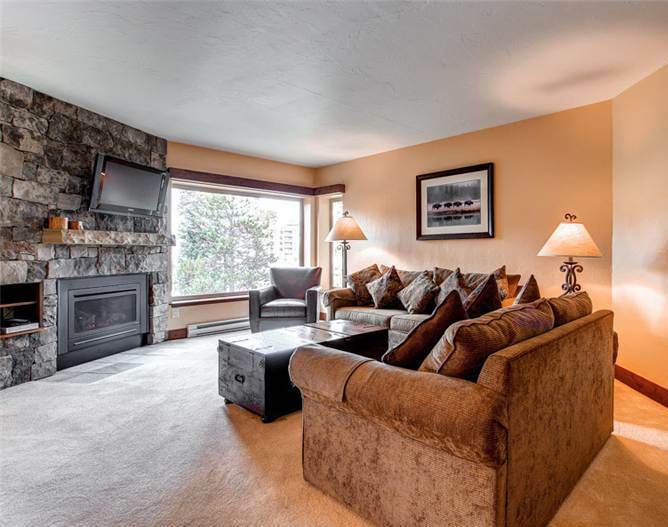 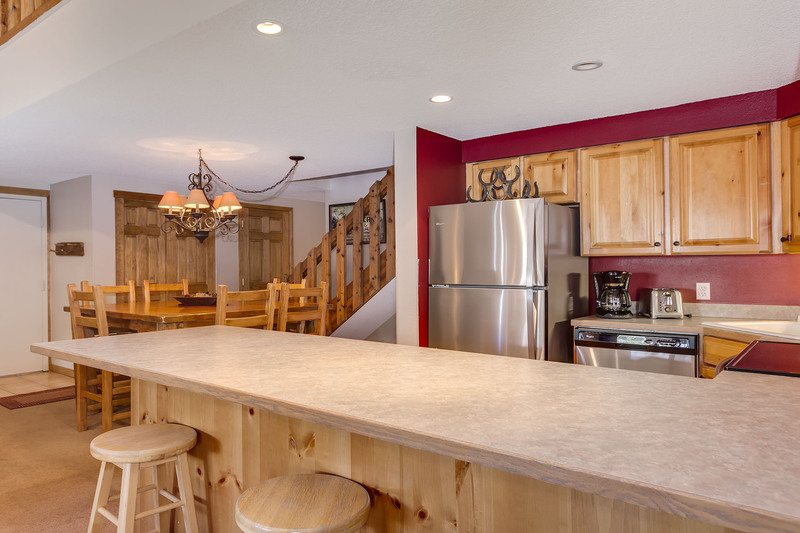 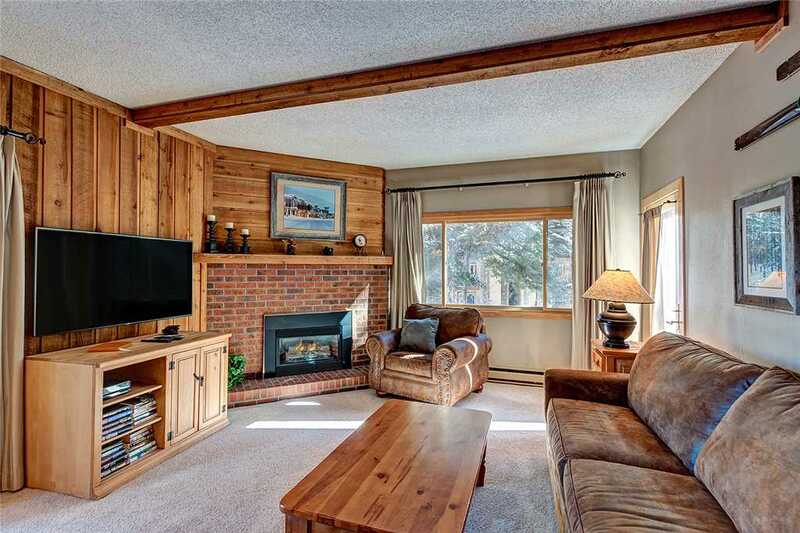 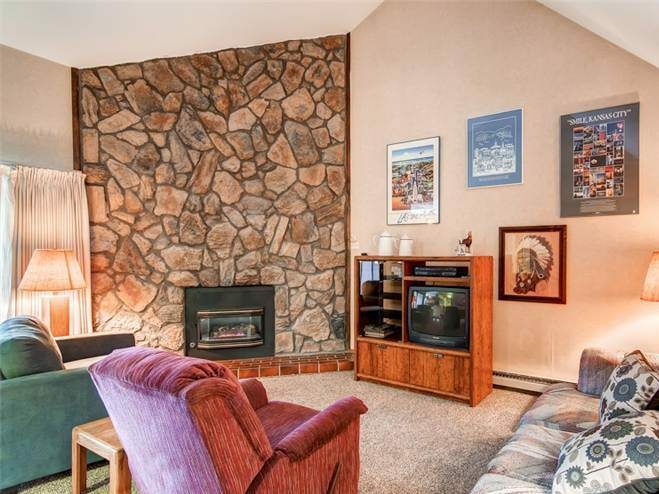 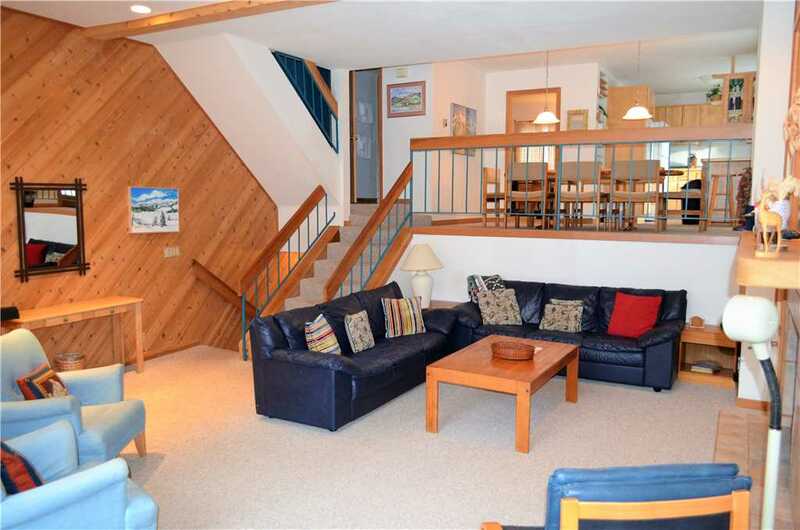 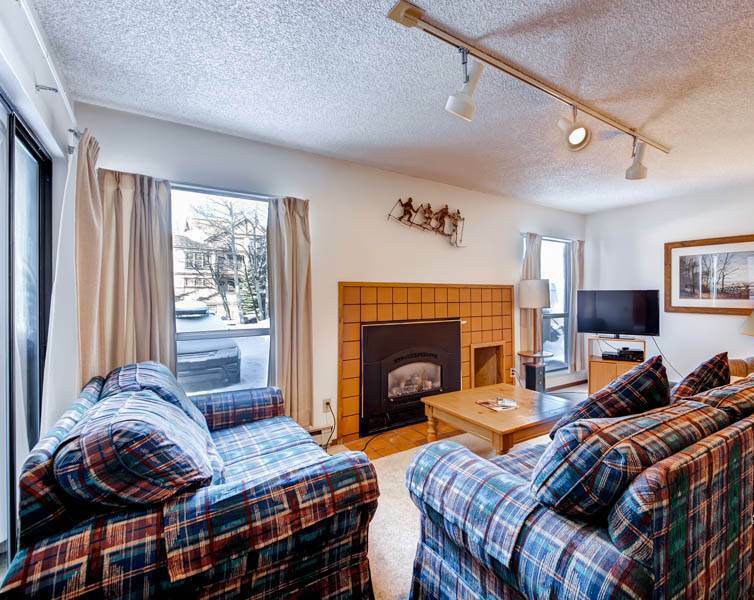 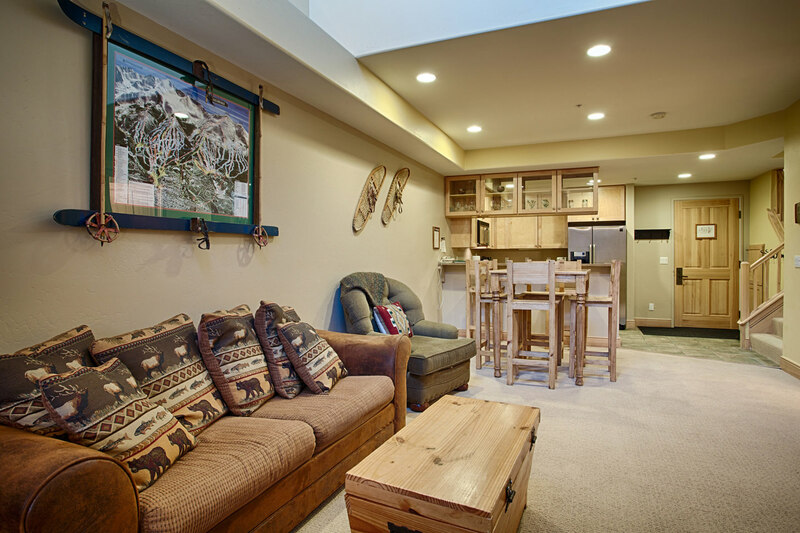 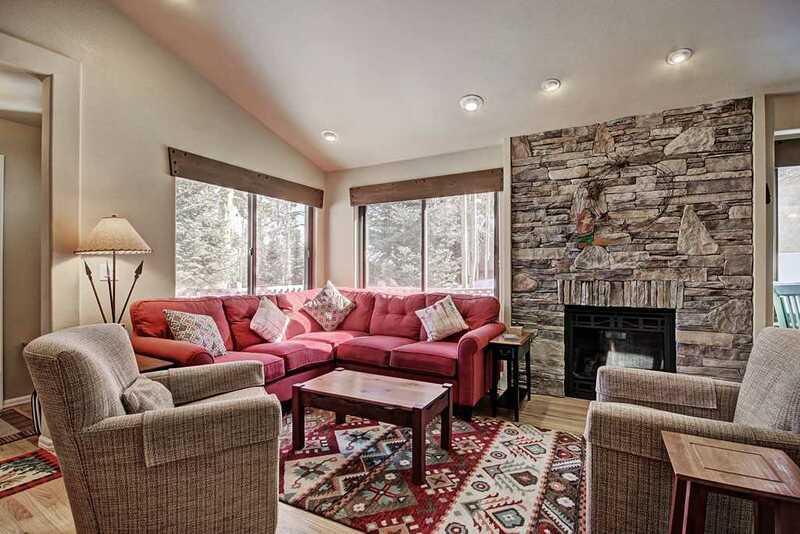 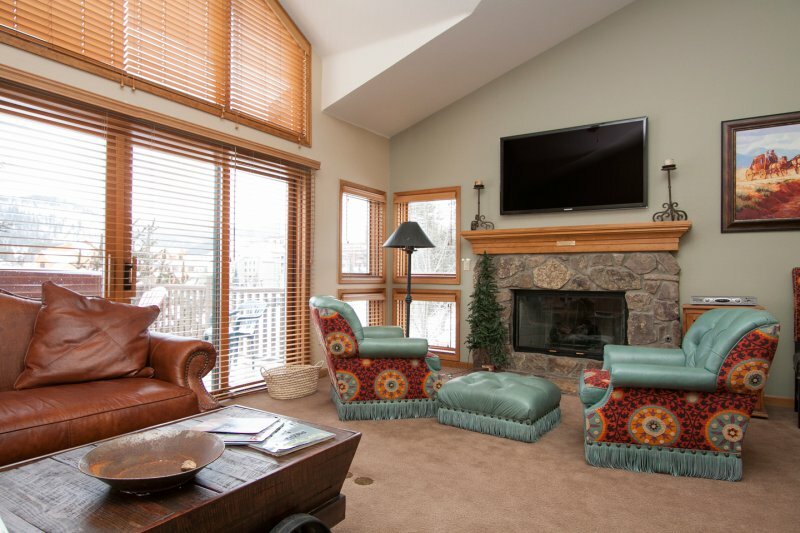 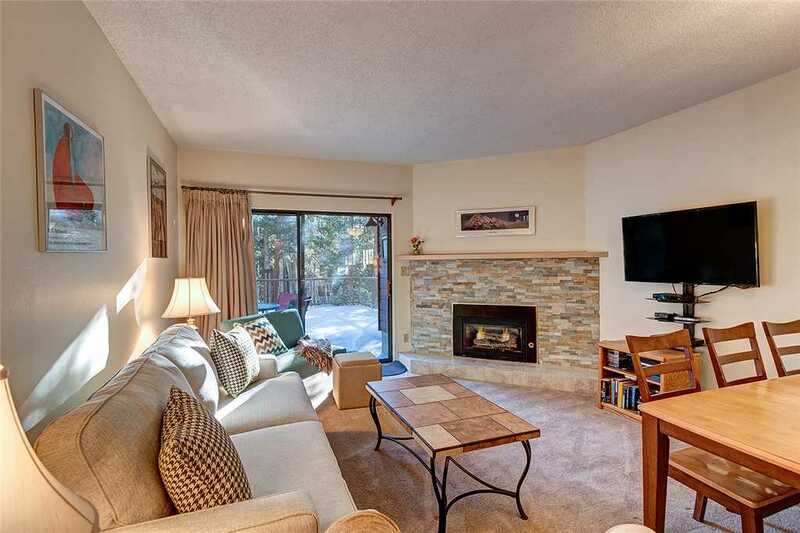 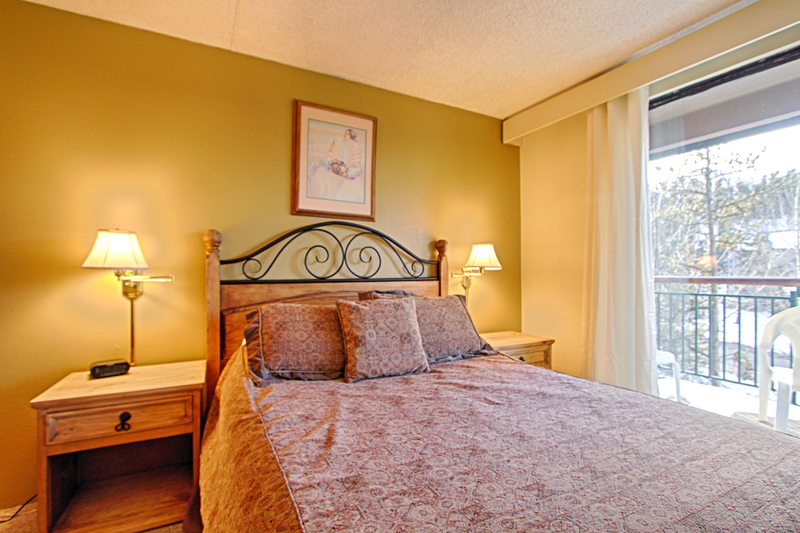 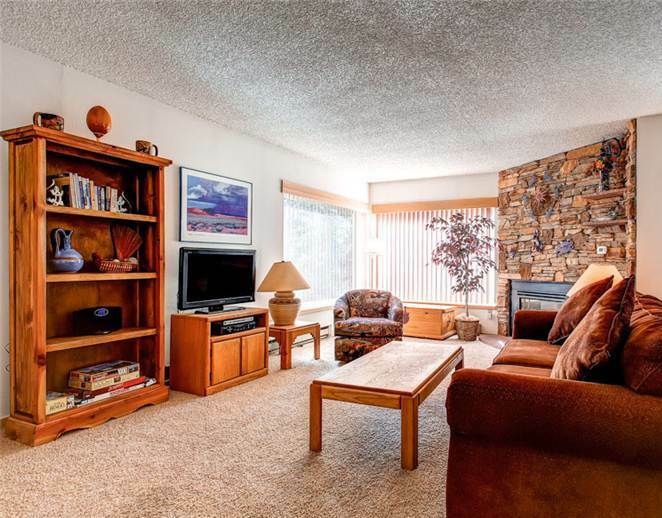 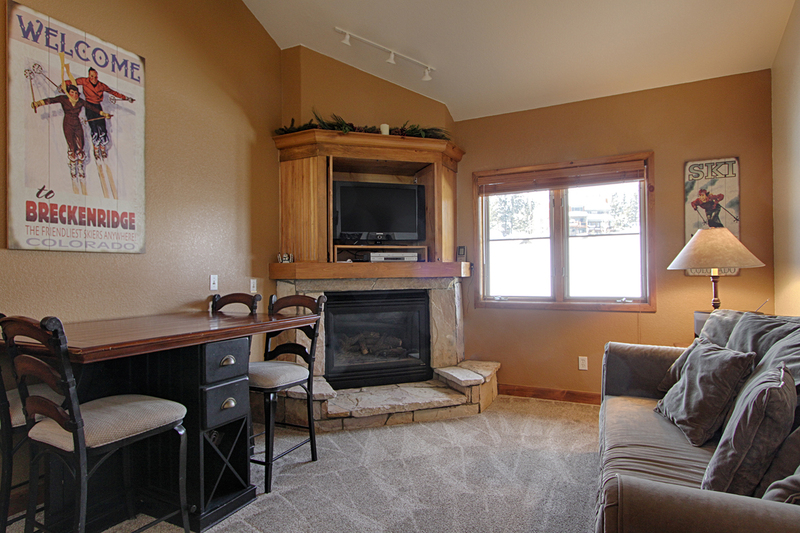 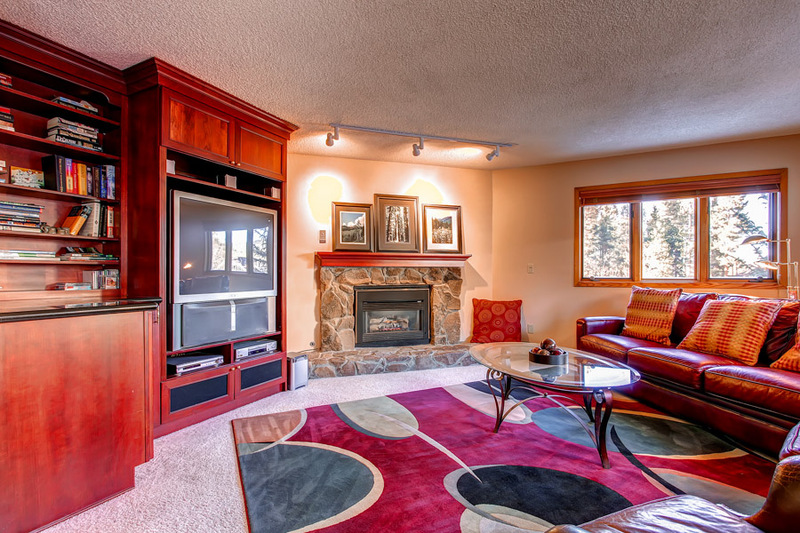 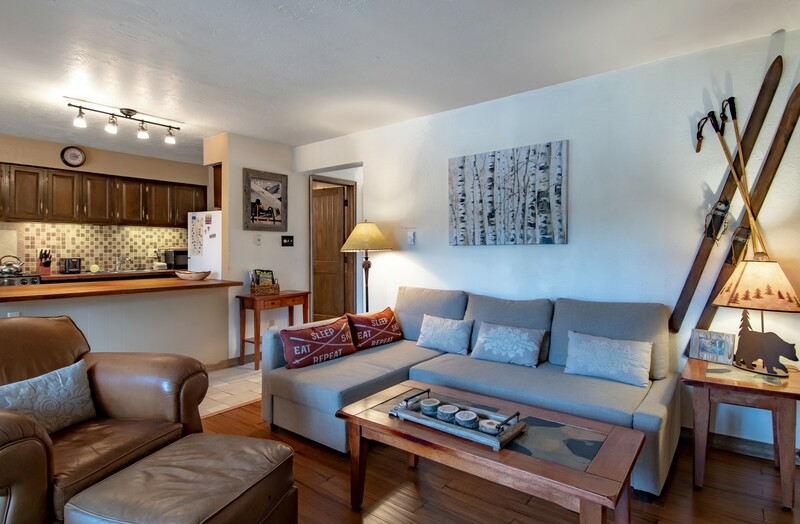 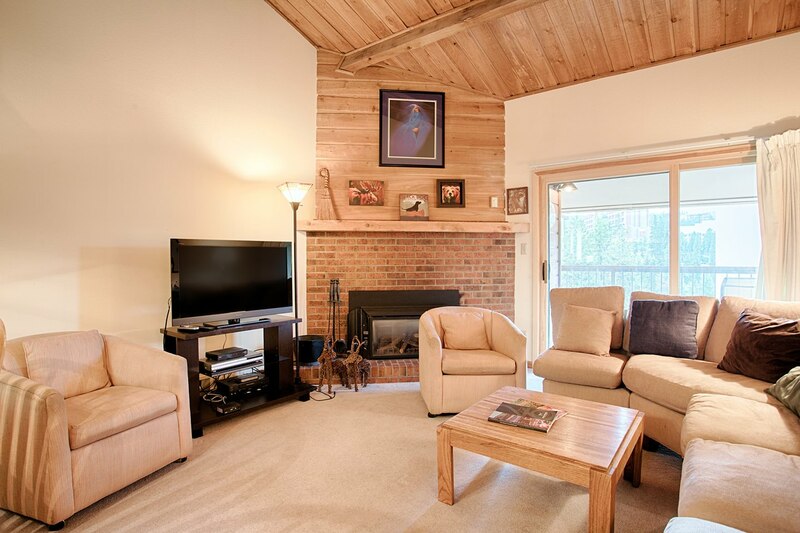 This spacious townhome is located right off Ski Hill Road close to the shuttle stop. 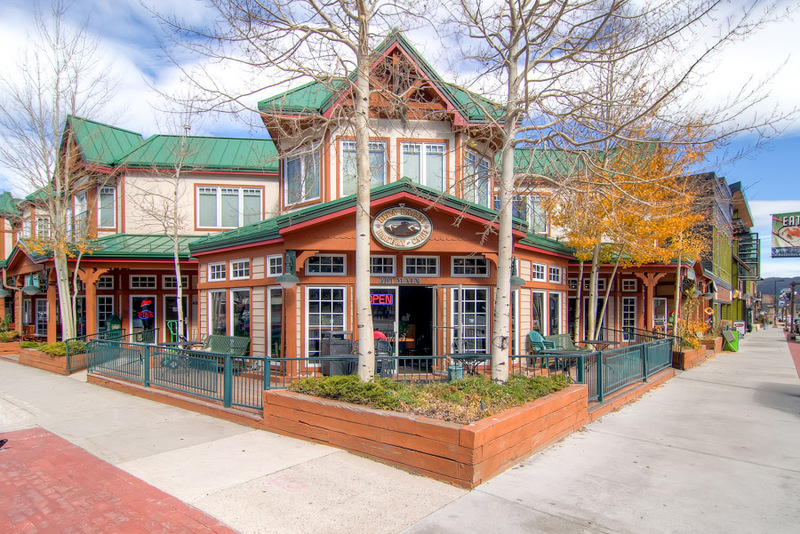 The development was finished in 1994 so you will see the updated exterior. 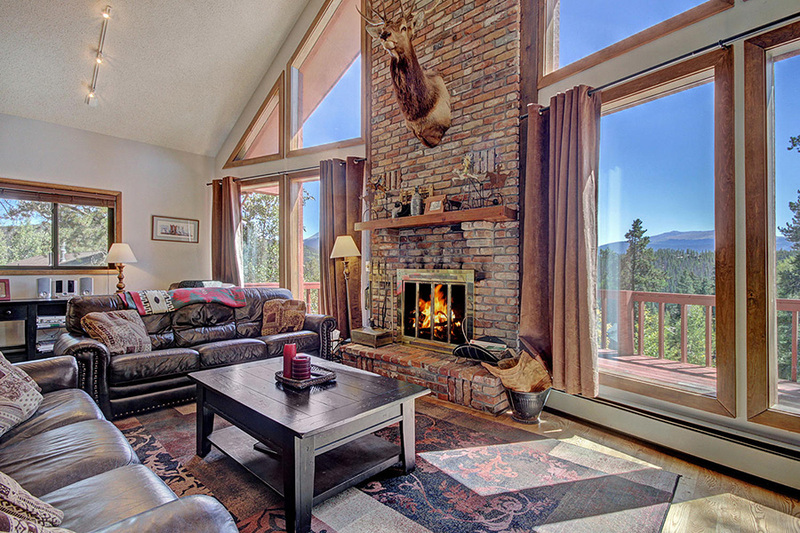 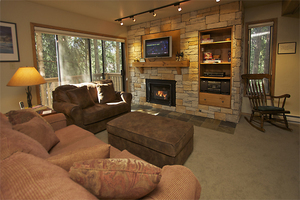 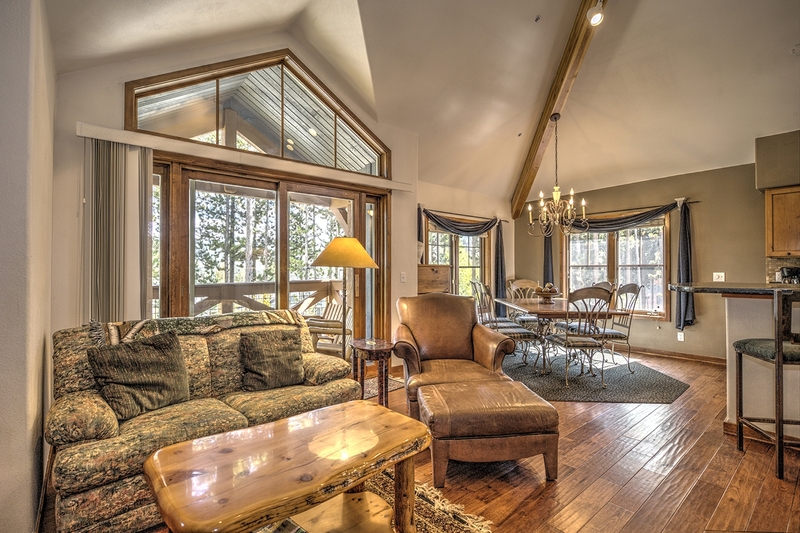 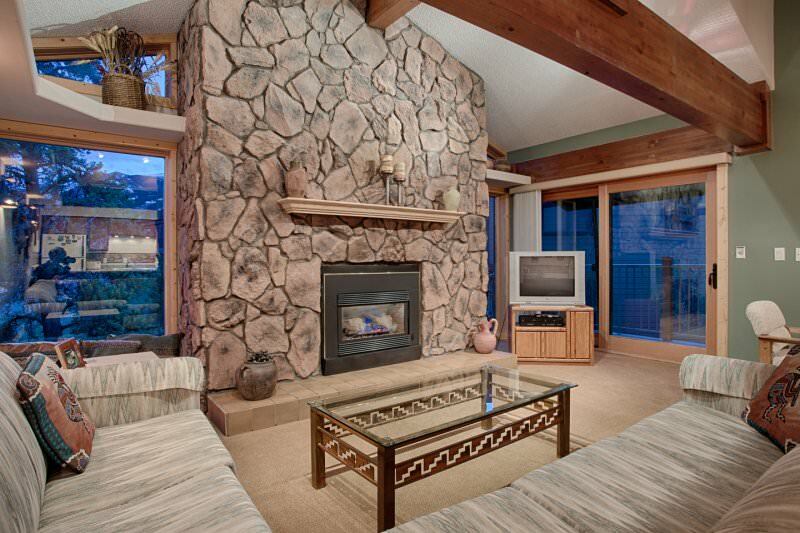 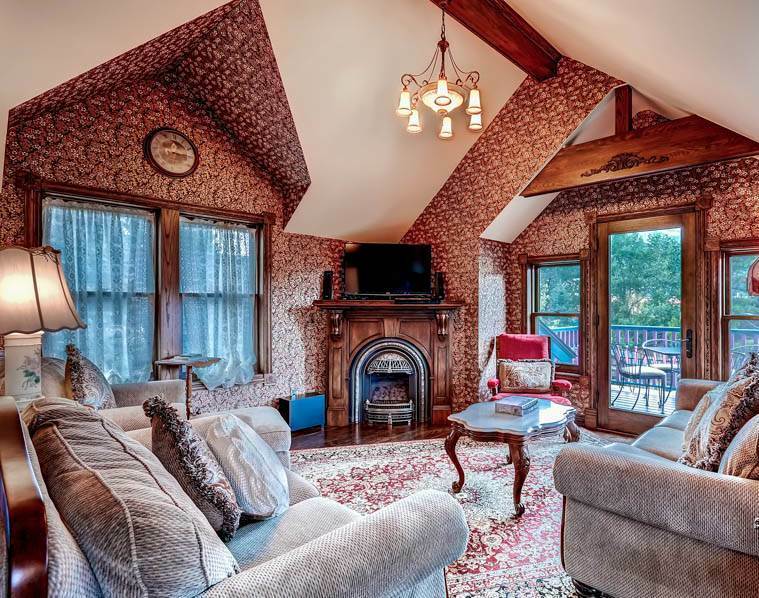 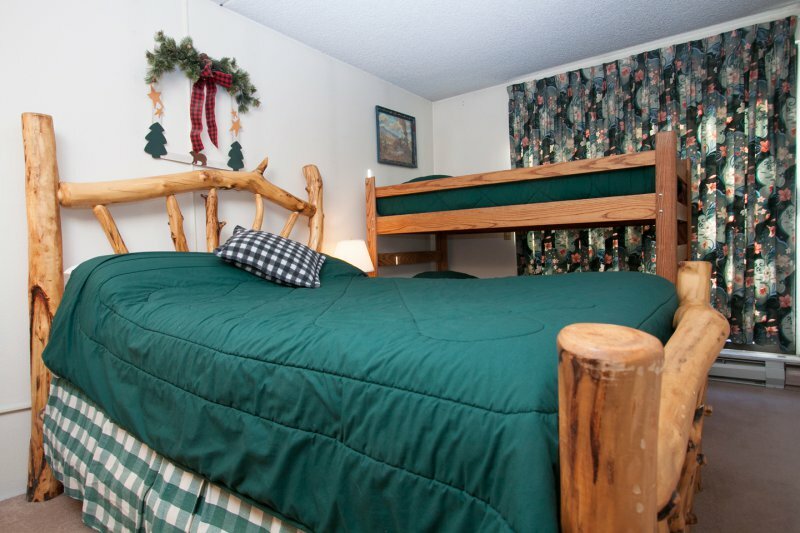 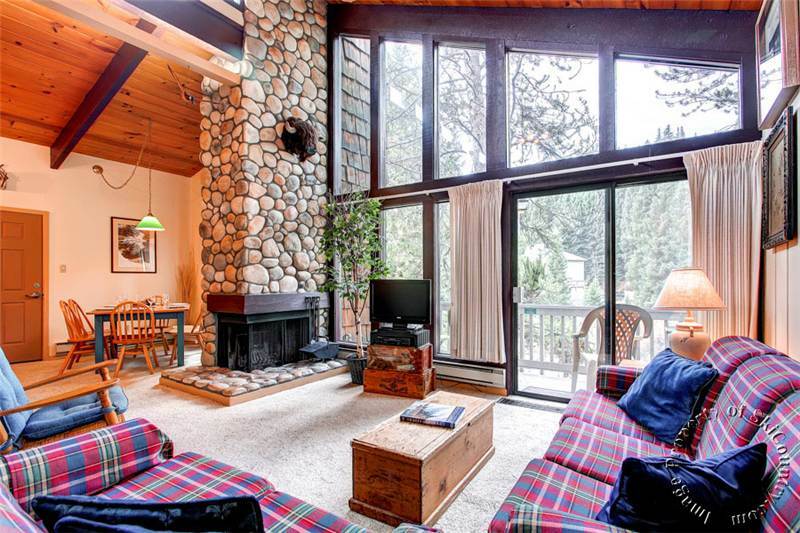 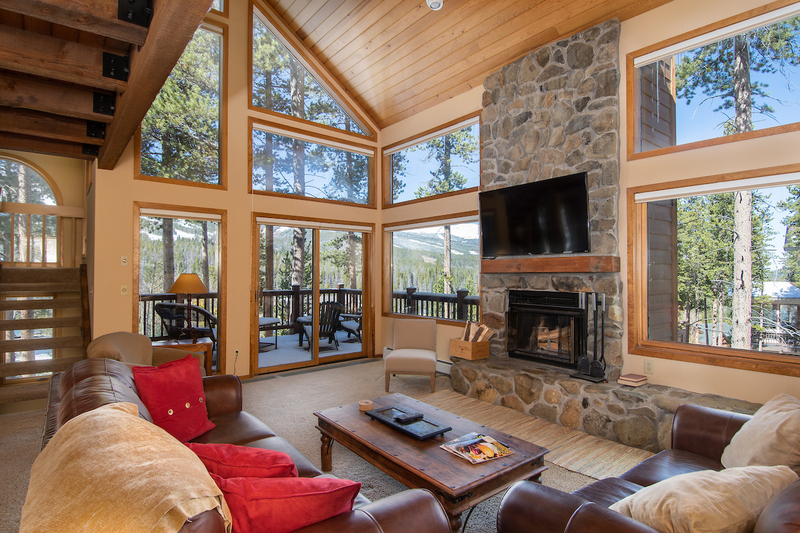 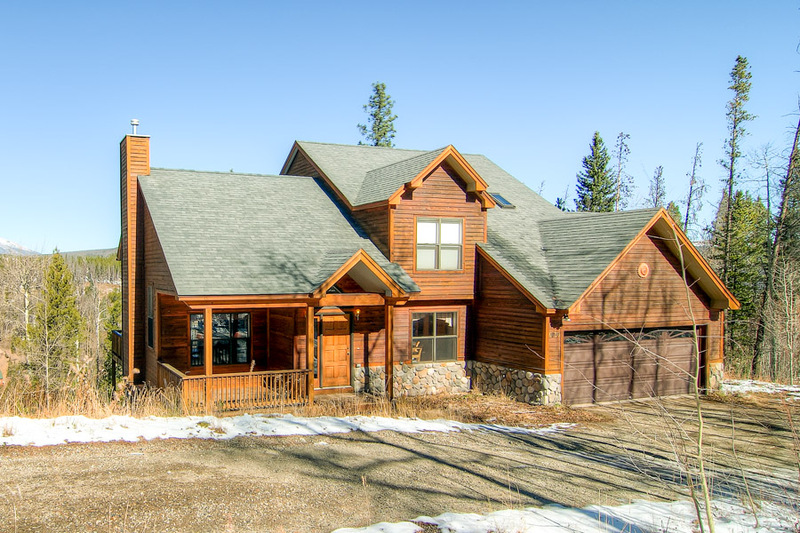 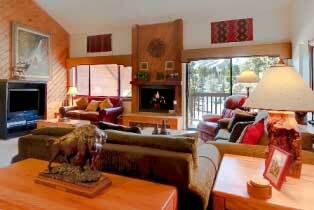 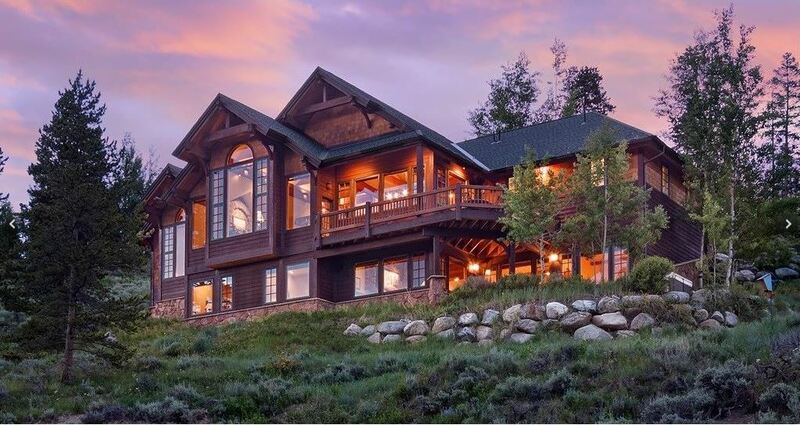 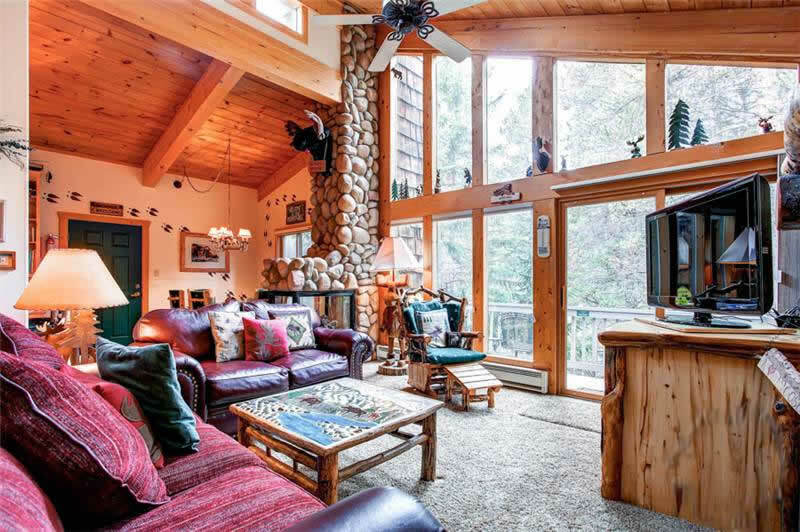 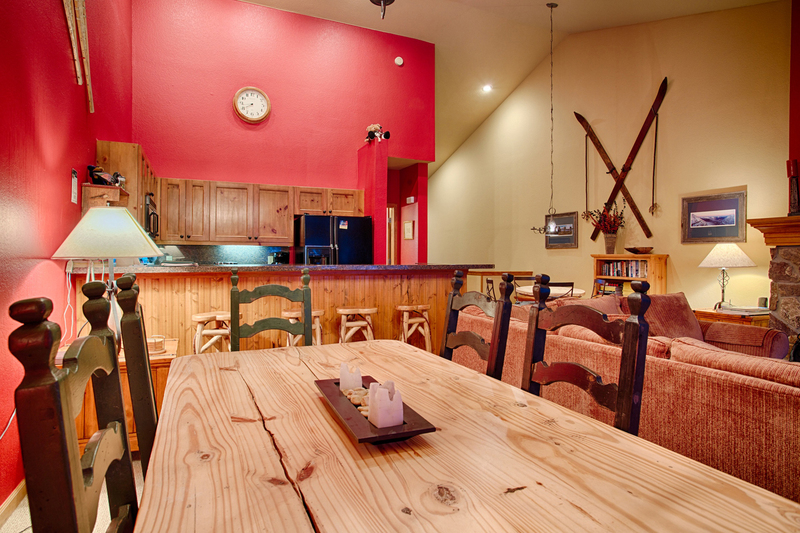 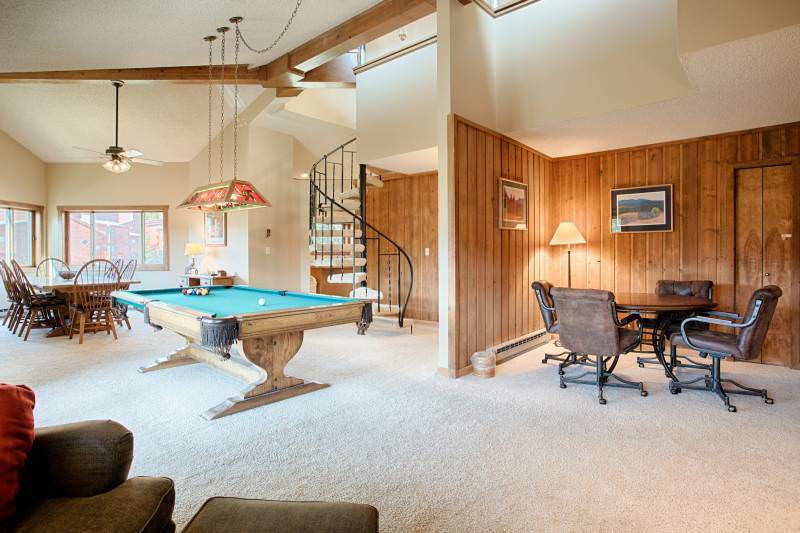 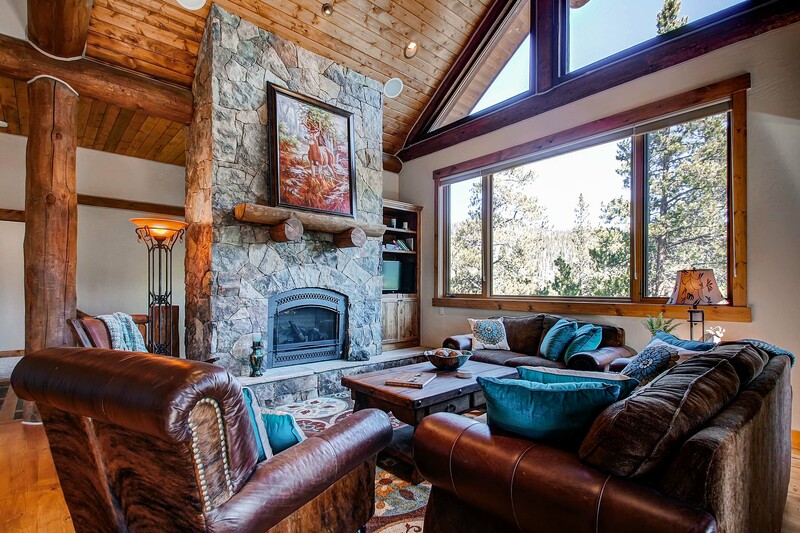 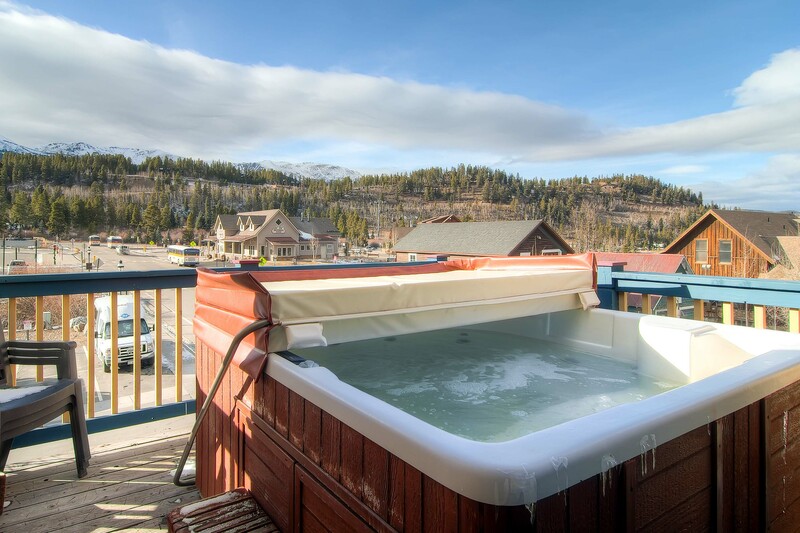 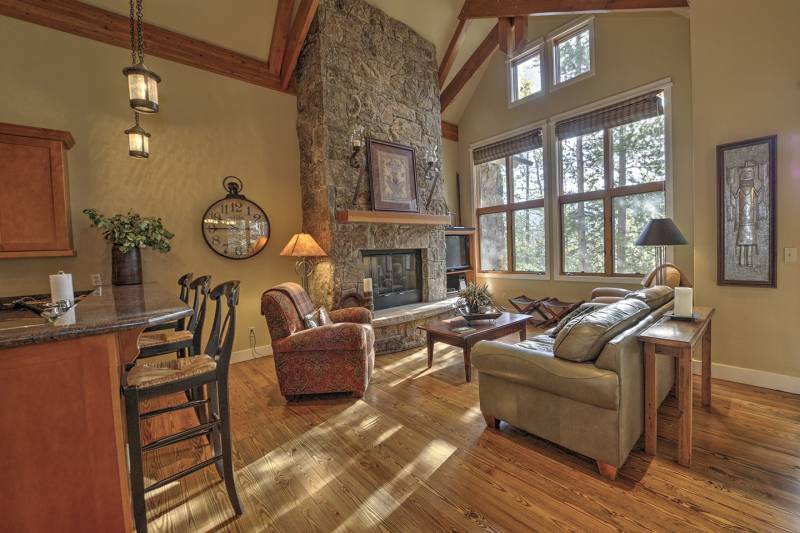 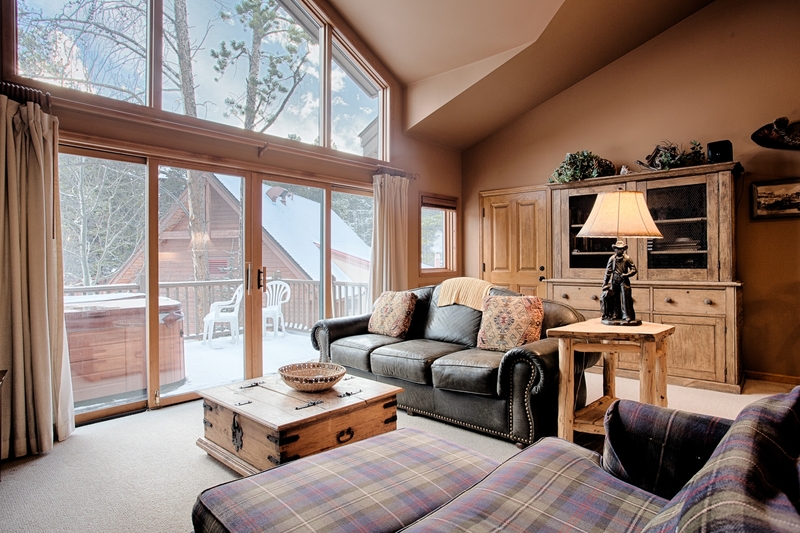 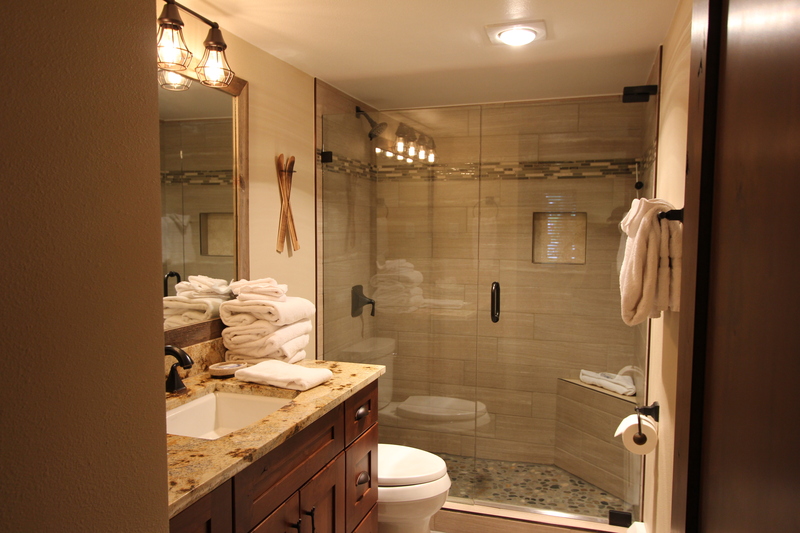 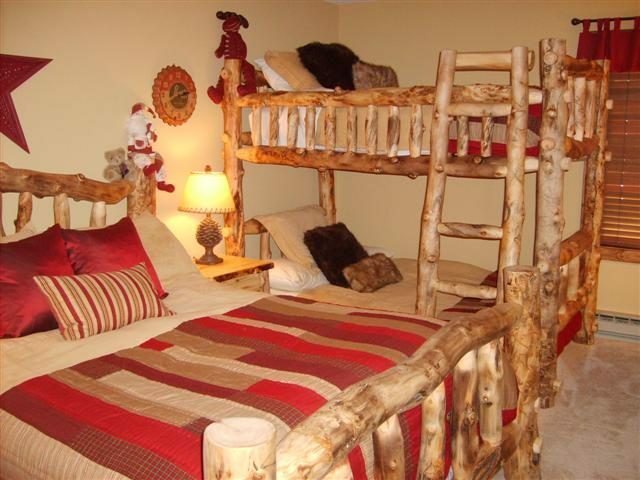 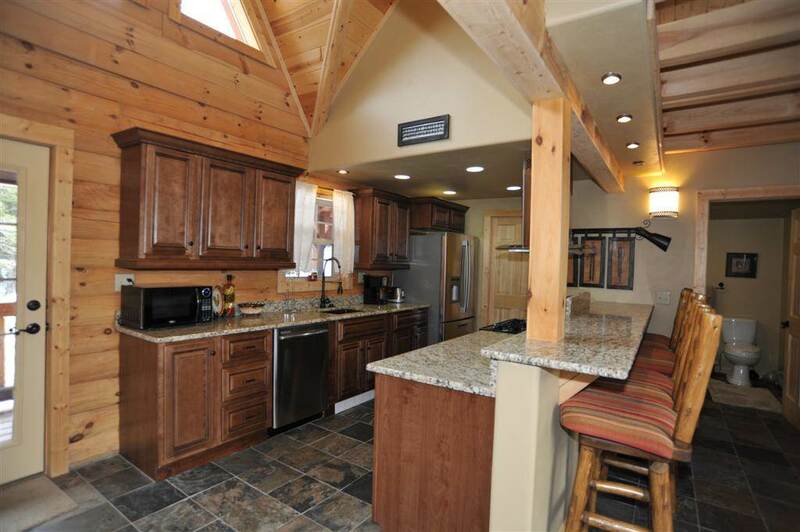 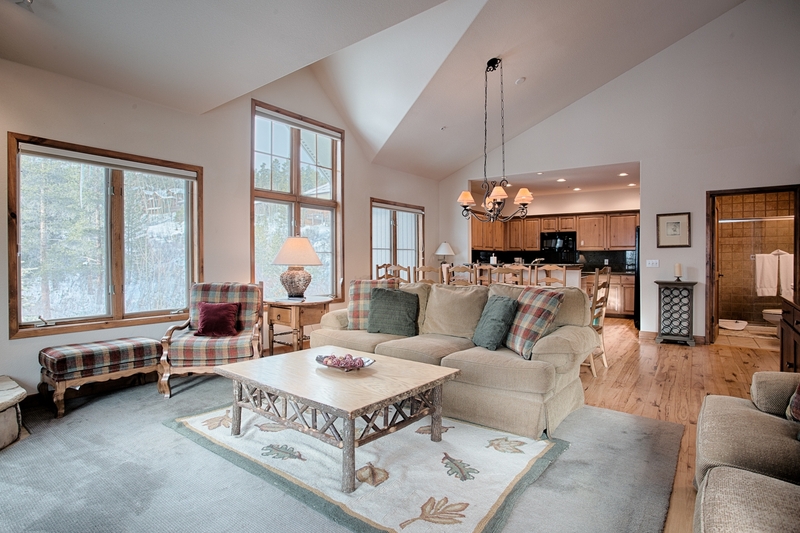 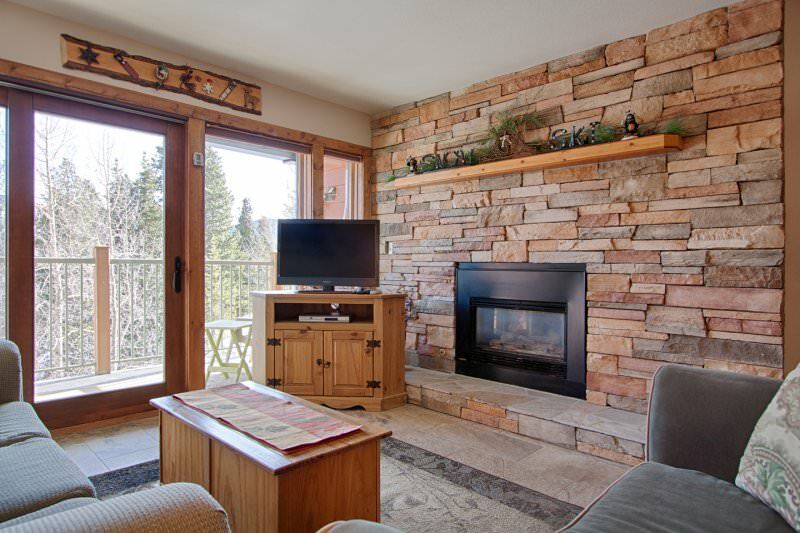 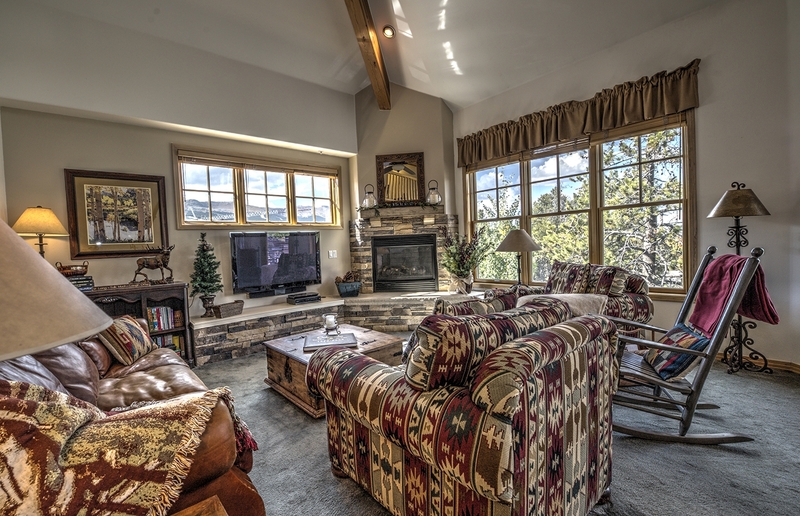 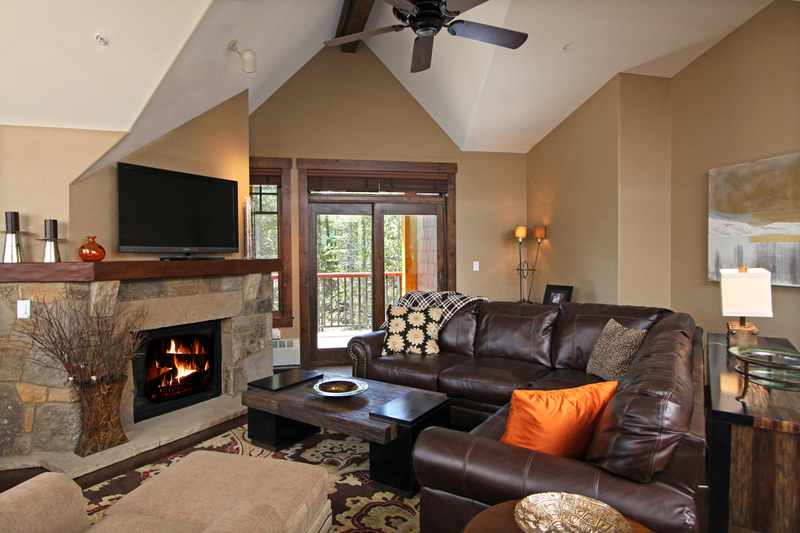 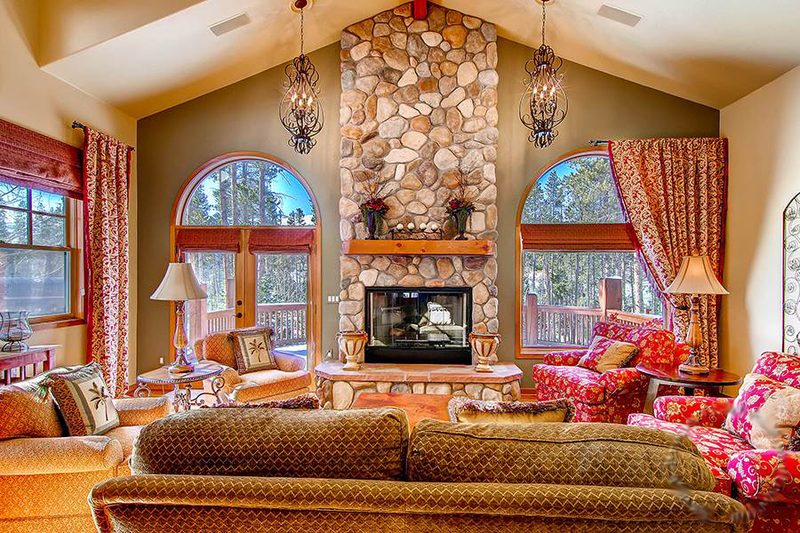 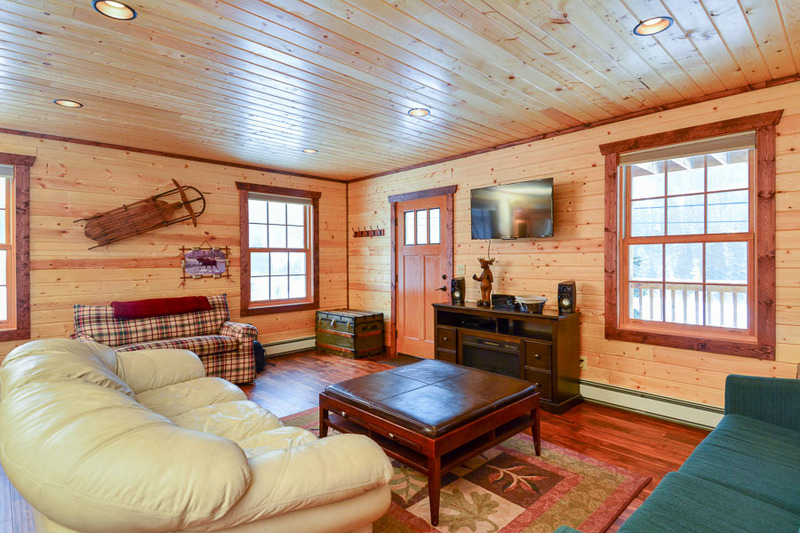 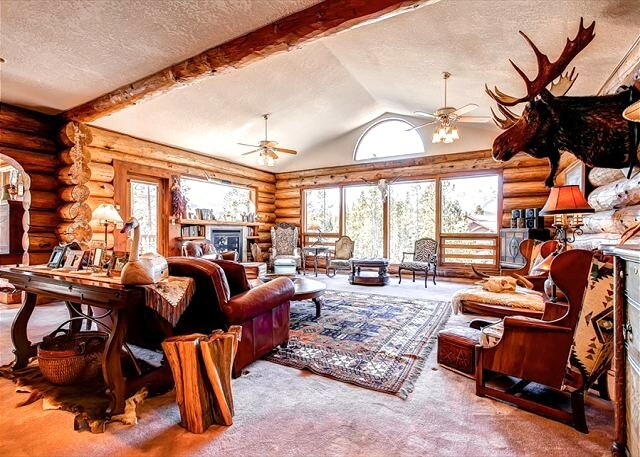 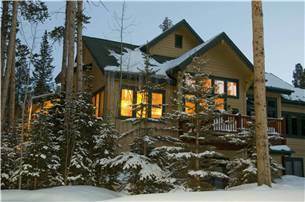 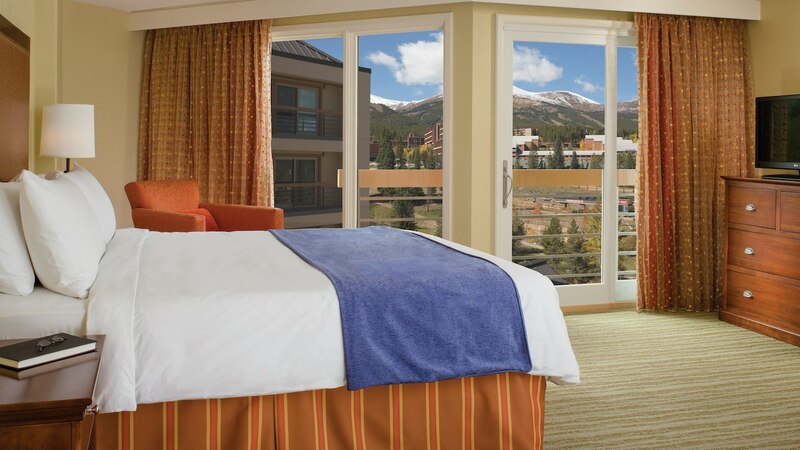 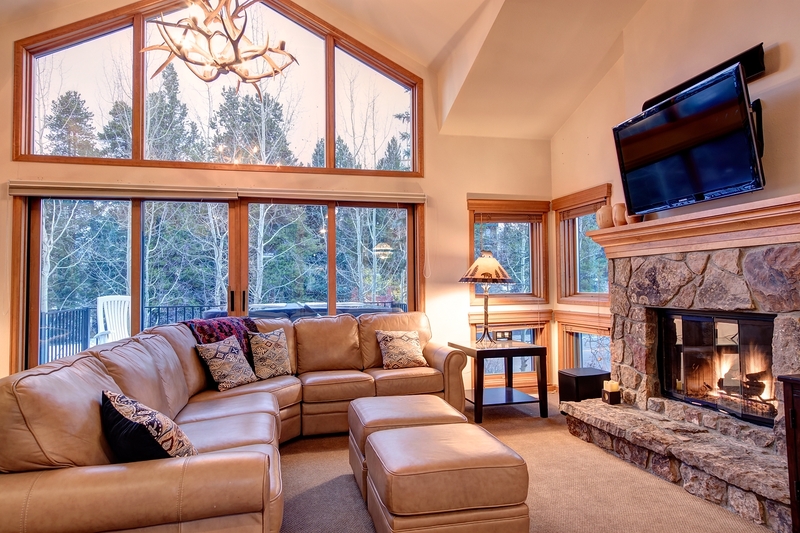 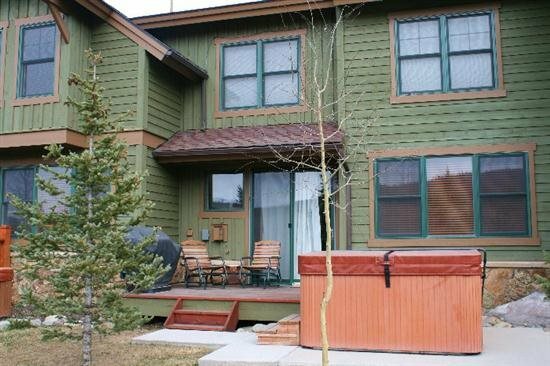 Amenities include an outdoor private Hot tub upt to 6 people with forested views. 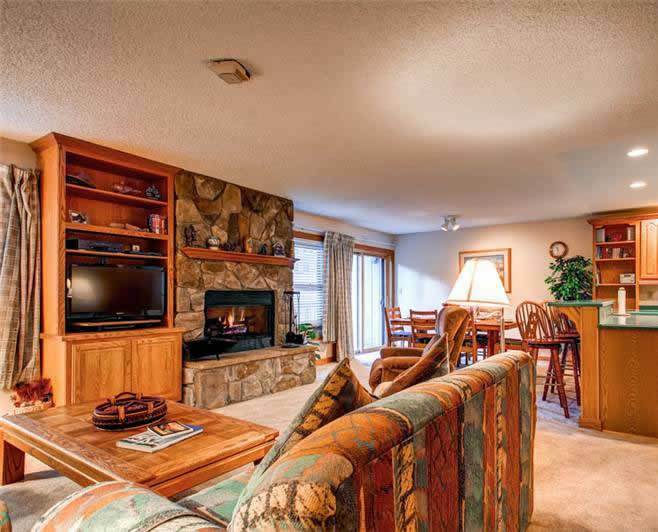 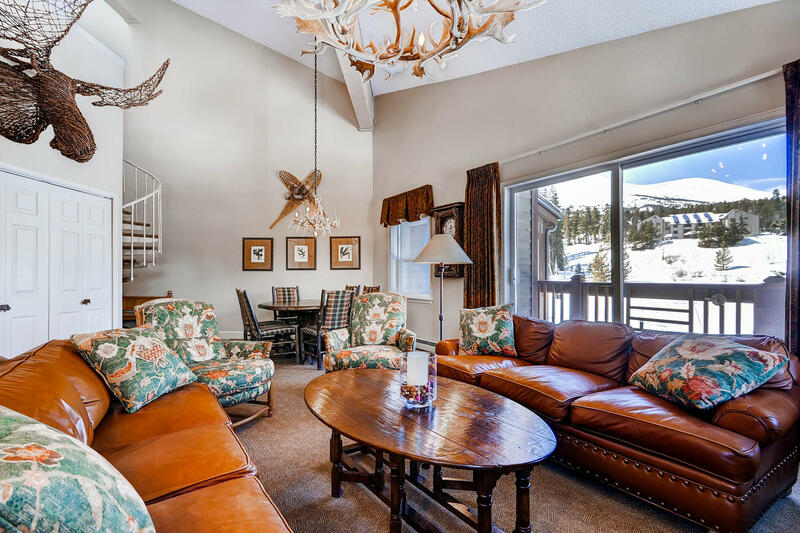 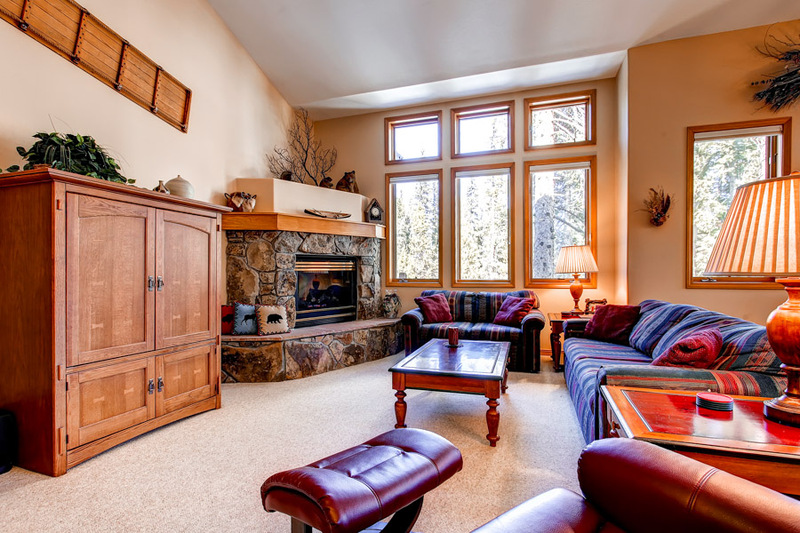 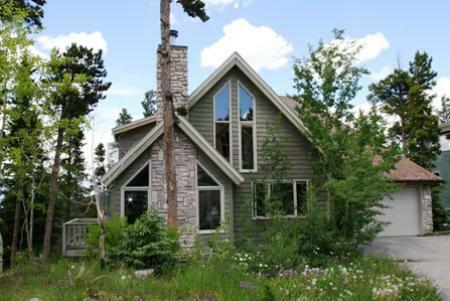 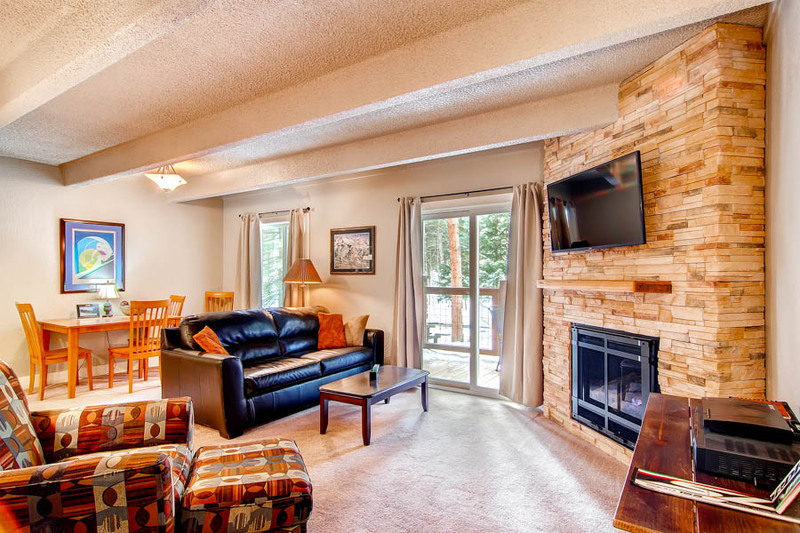 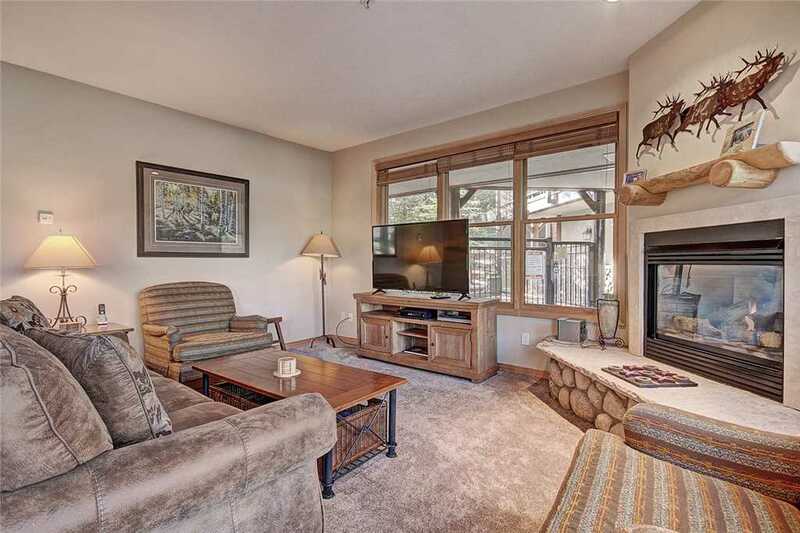 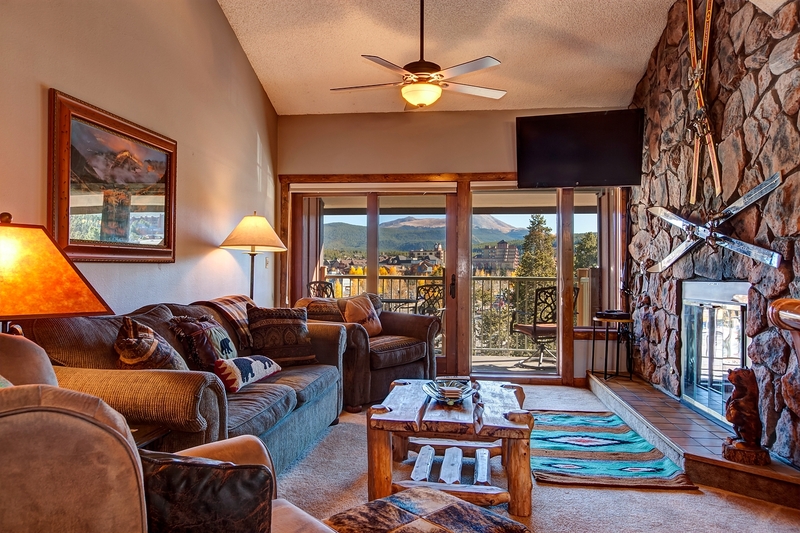 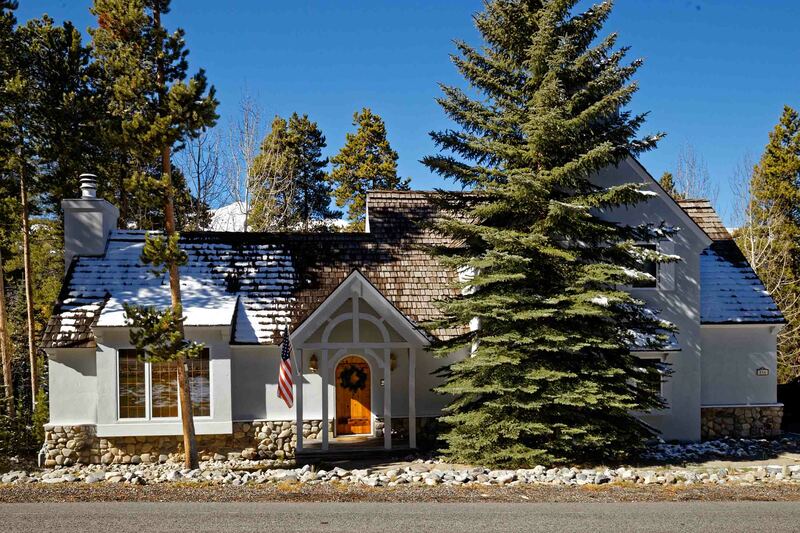 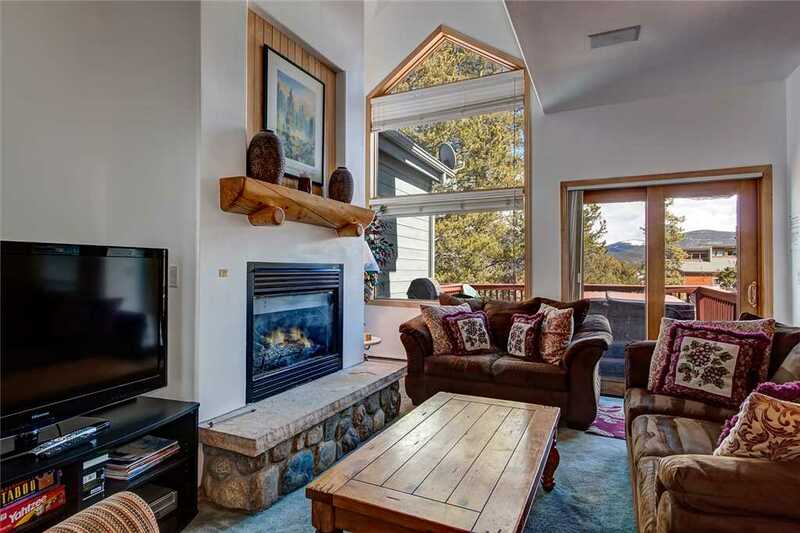 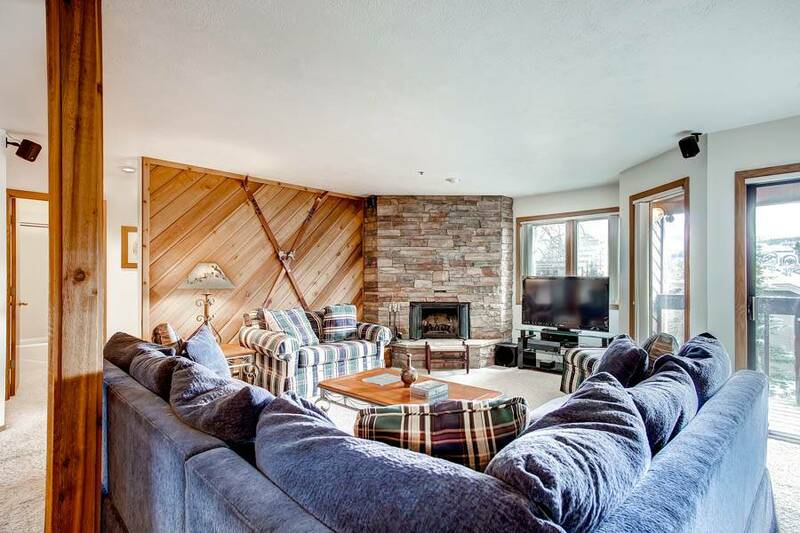 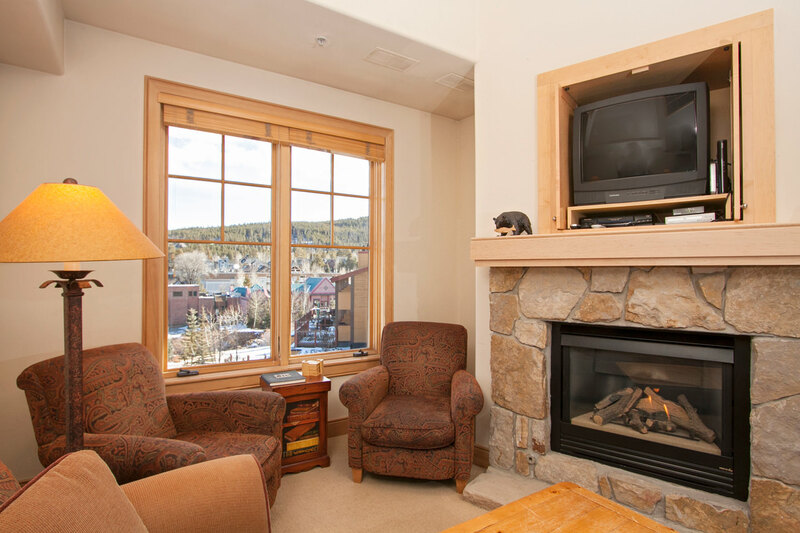 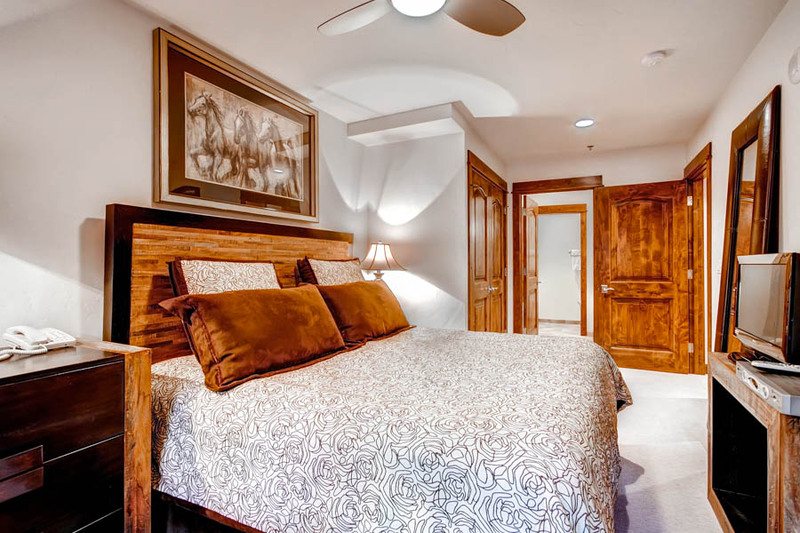 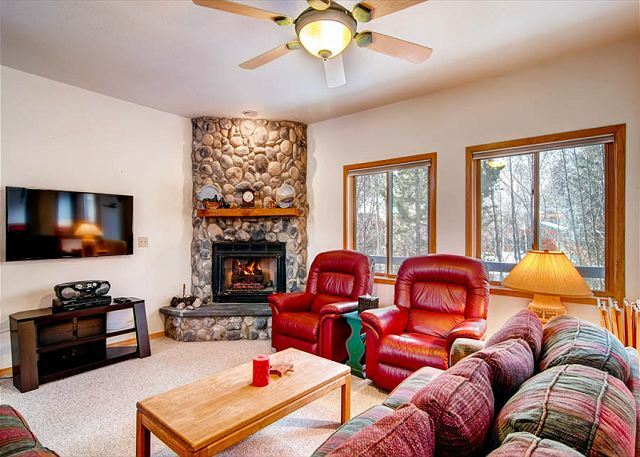 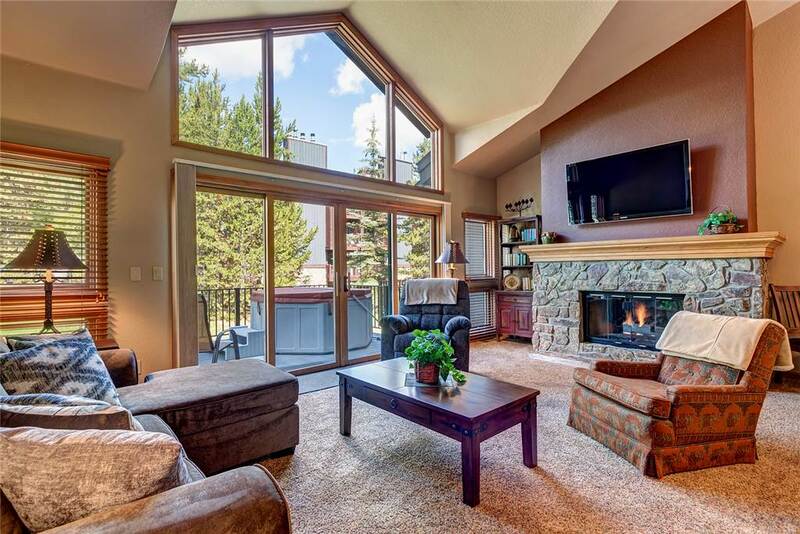 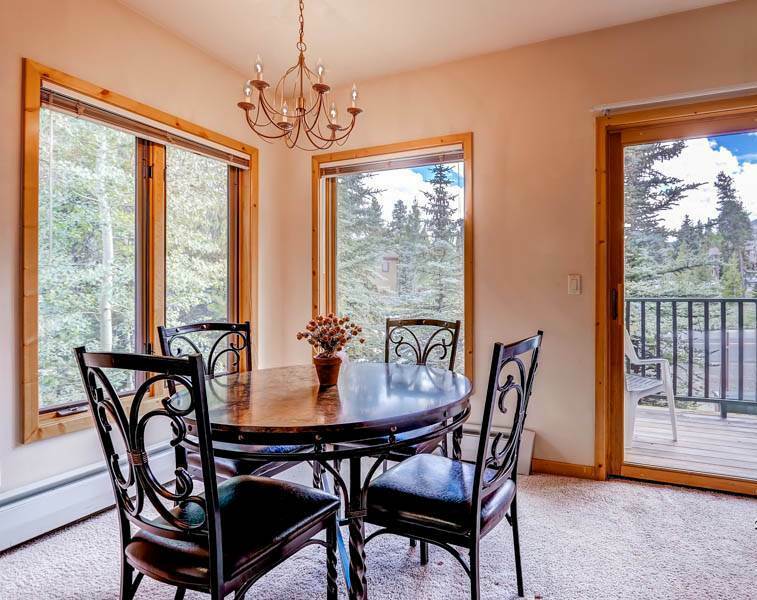 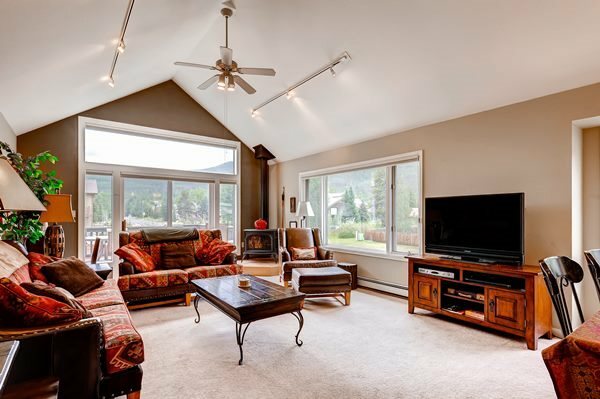 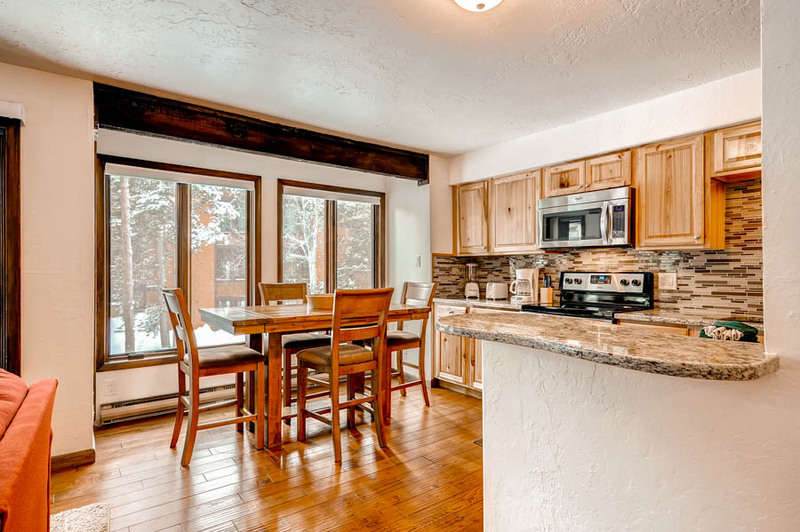 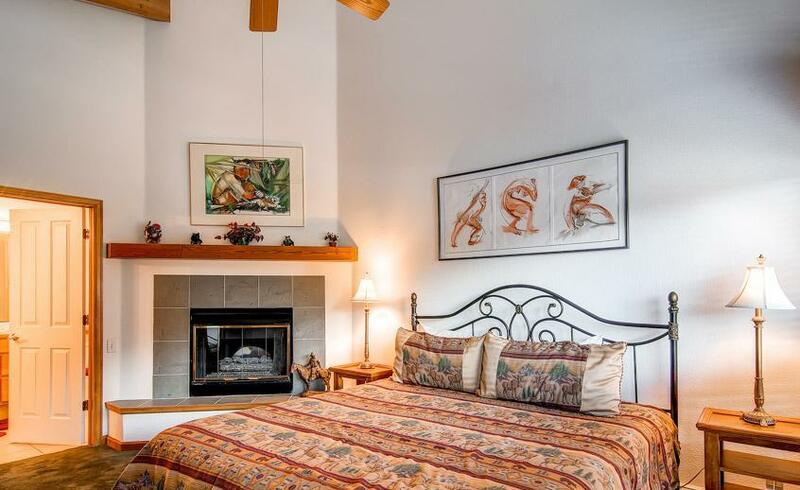 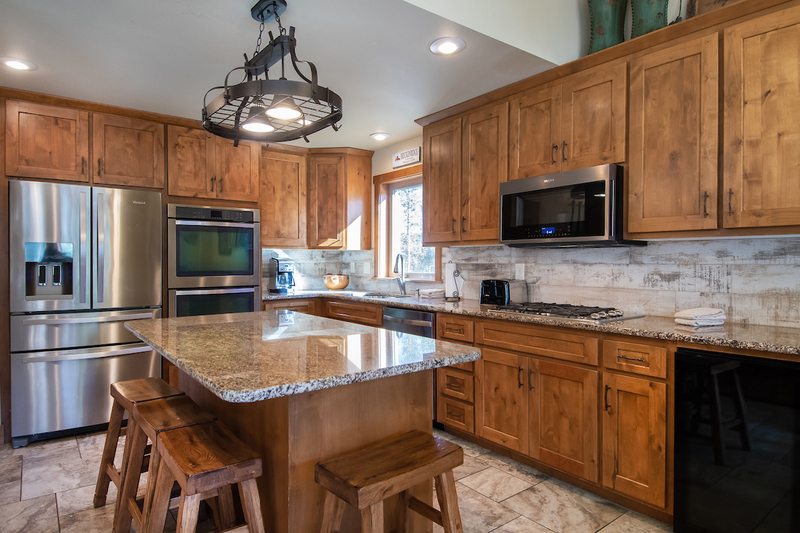 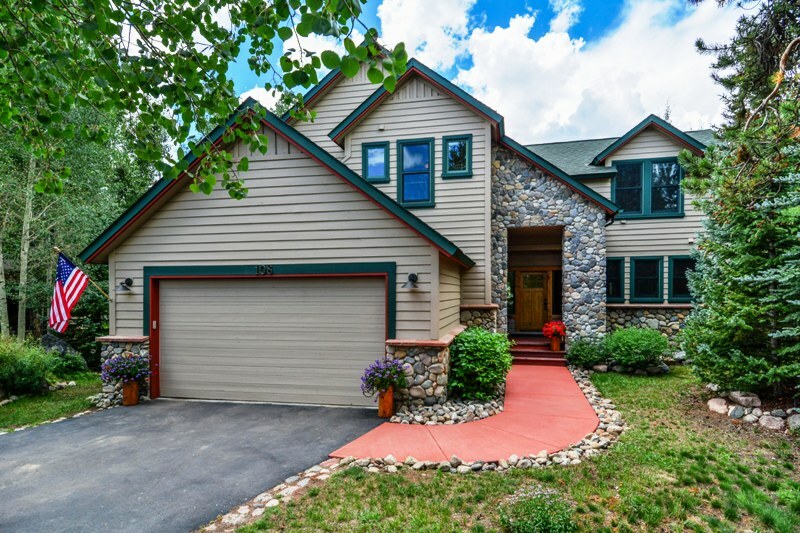 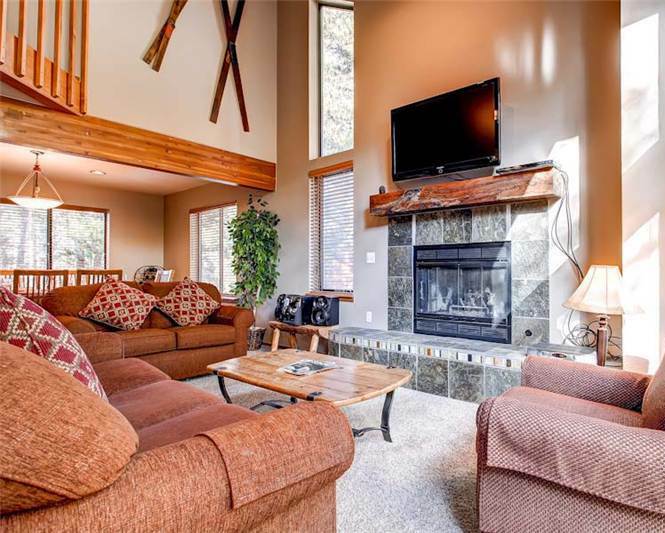 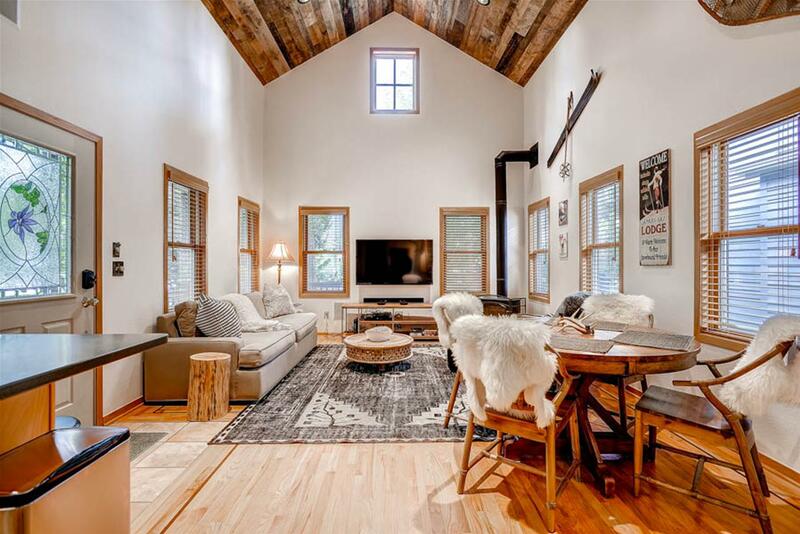 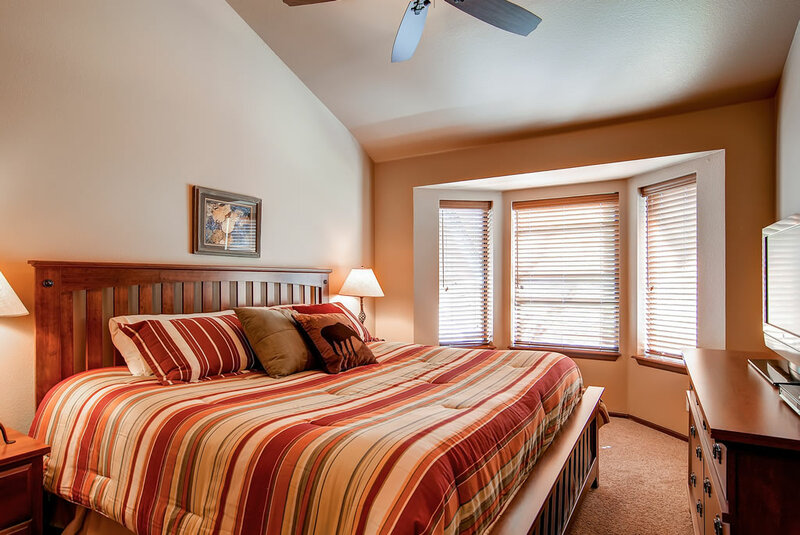 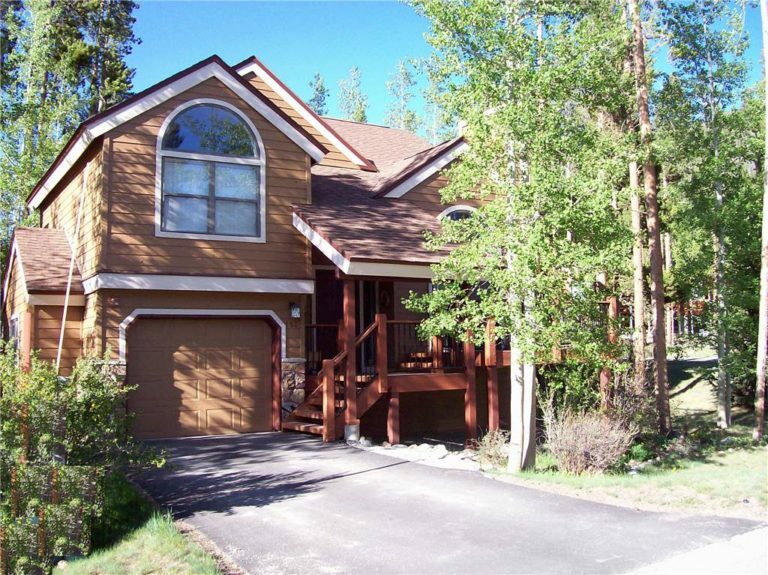 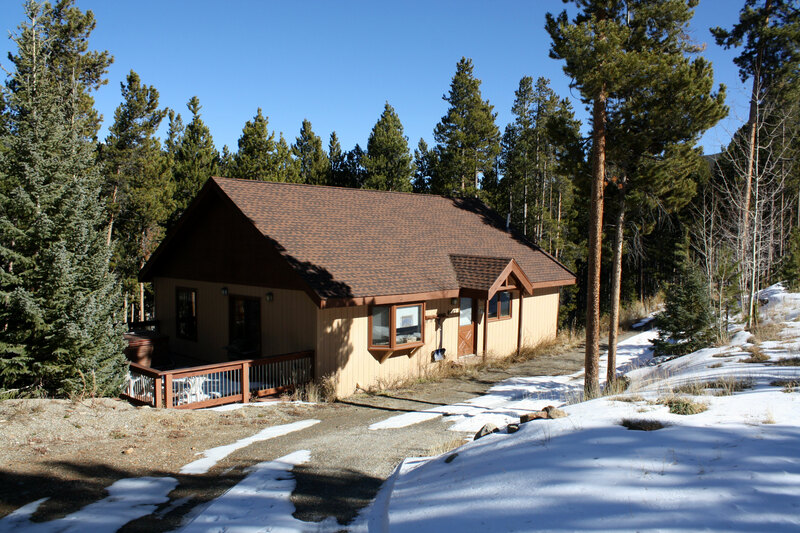 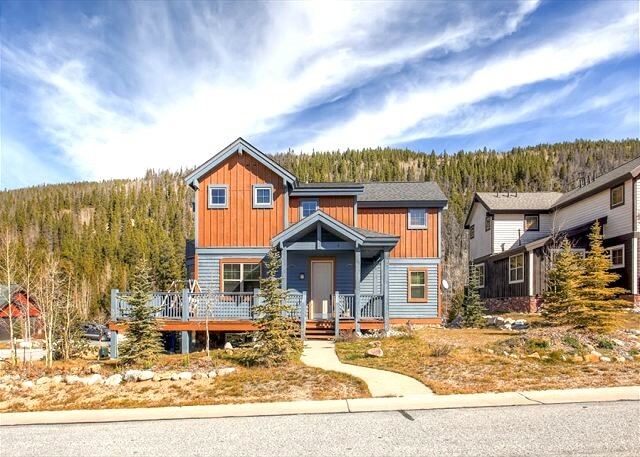 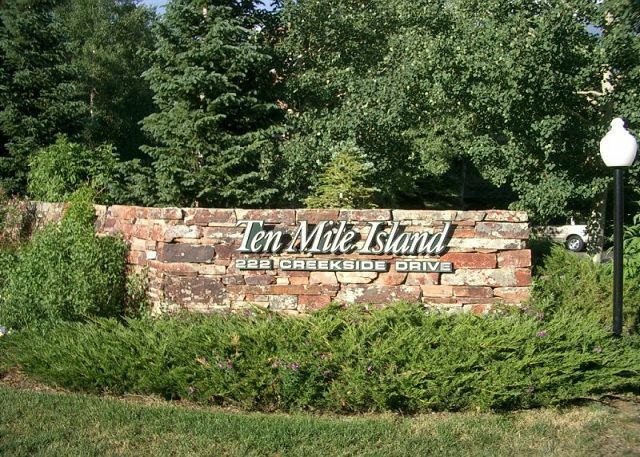 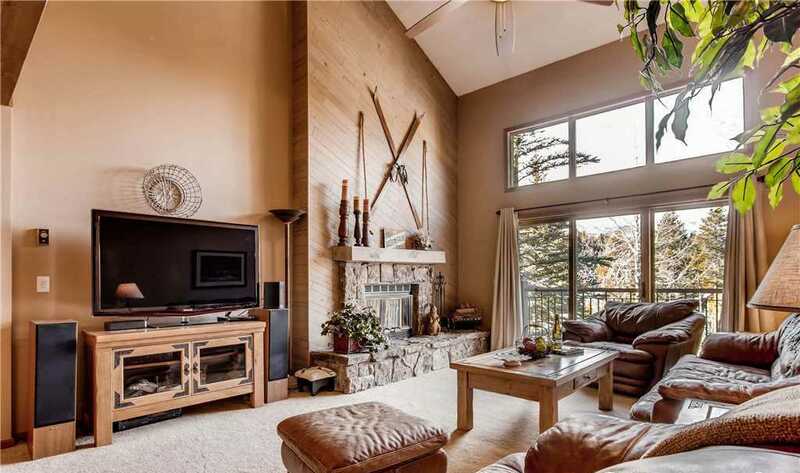 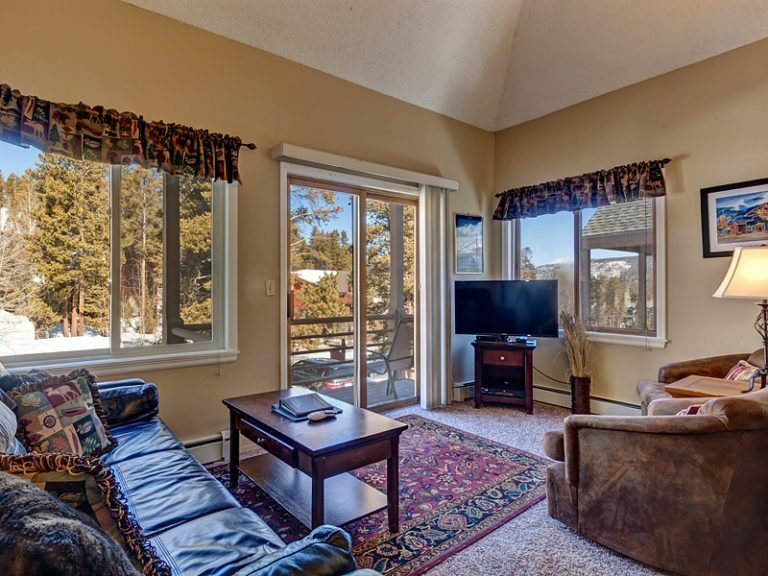 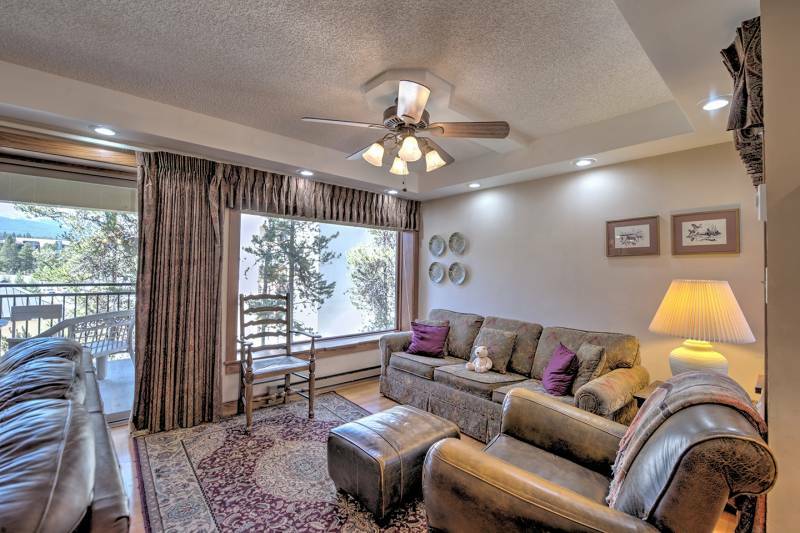 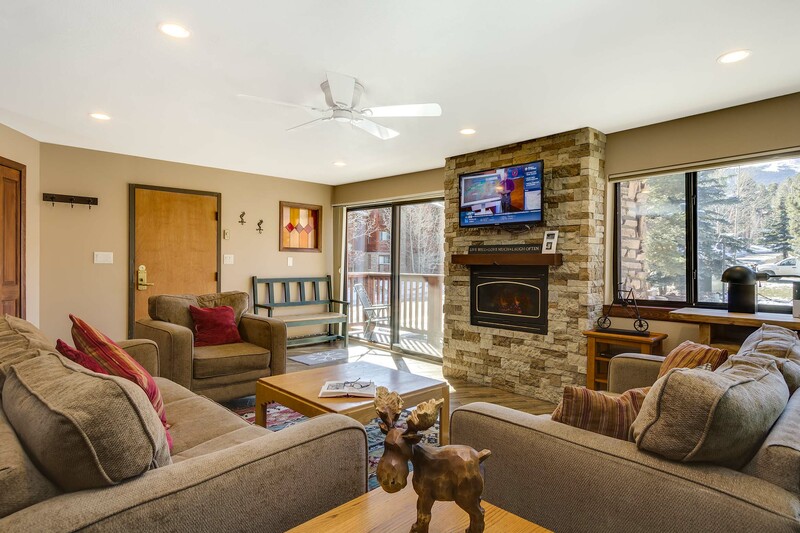 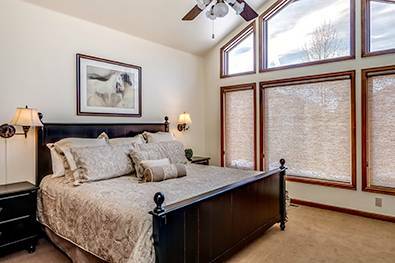 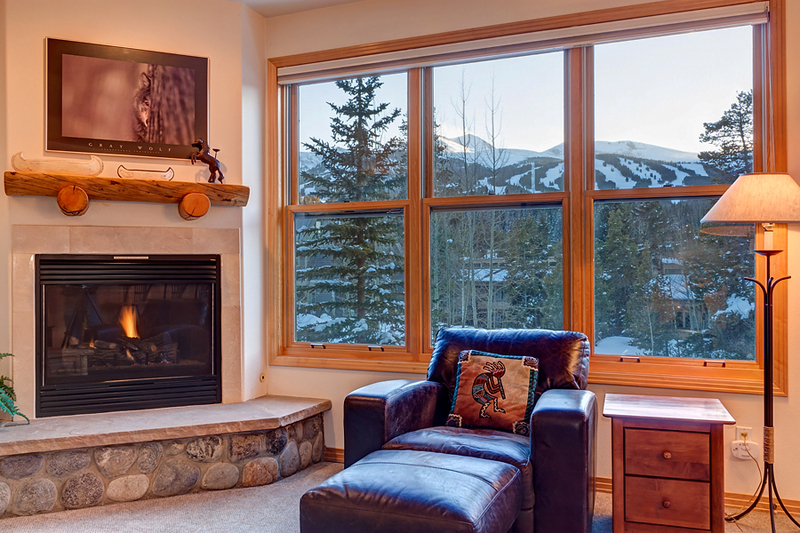 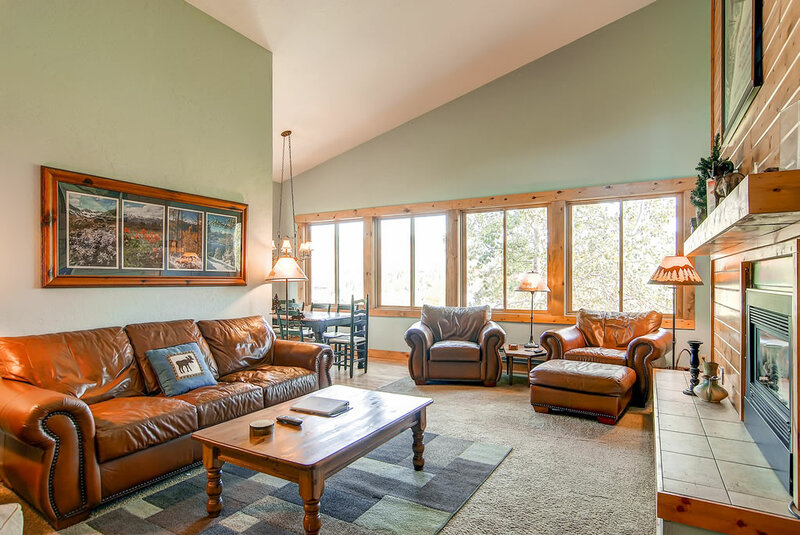 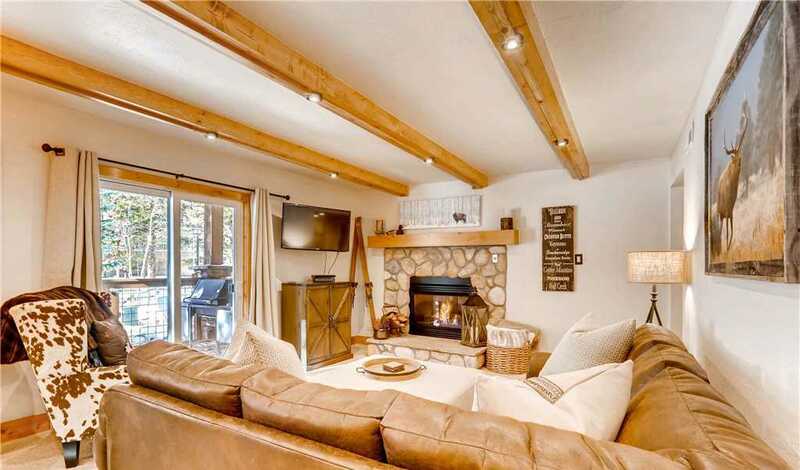 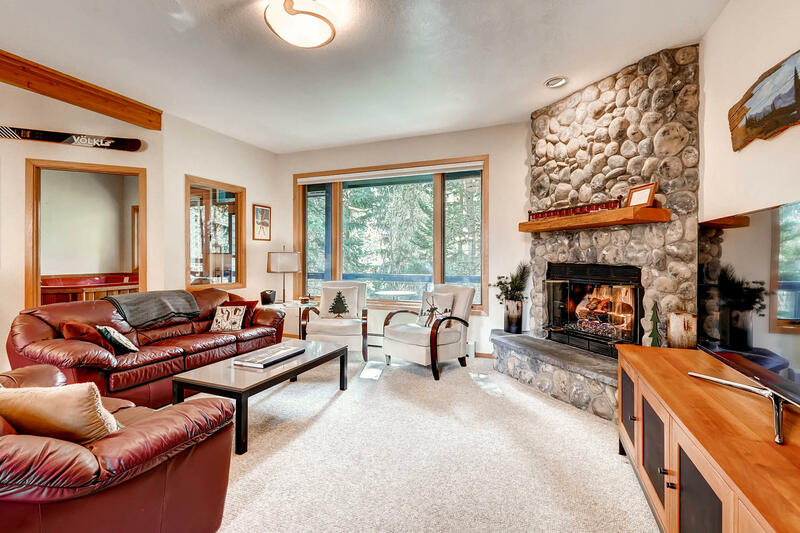 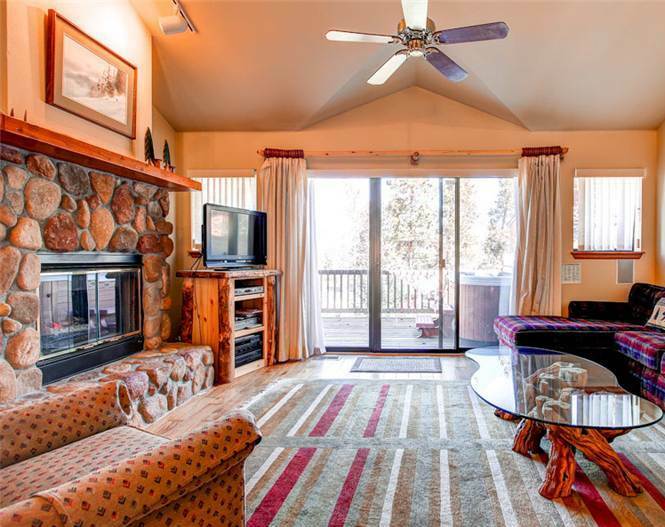 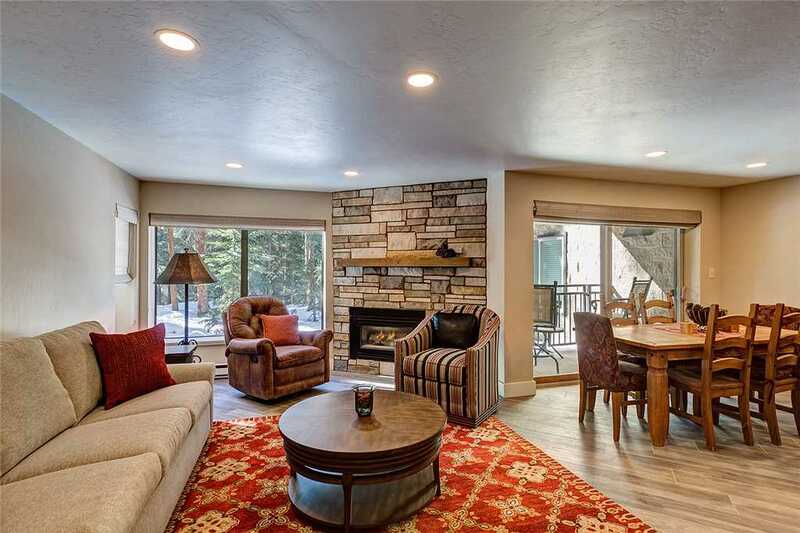 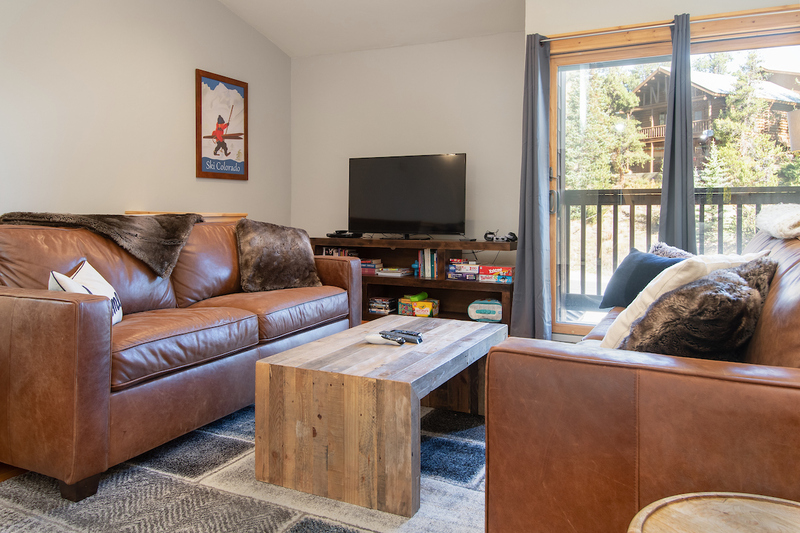 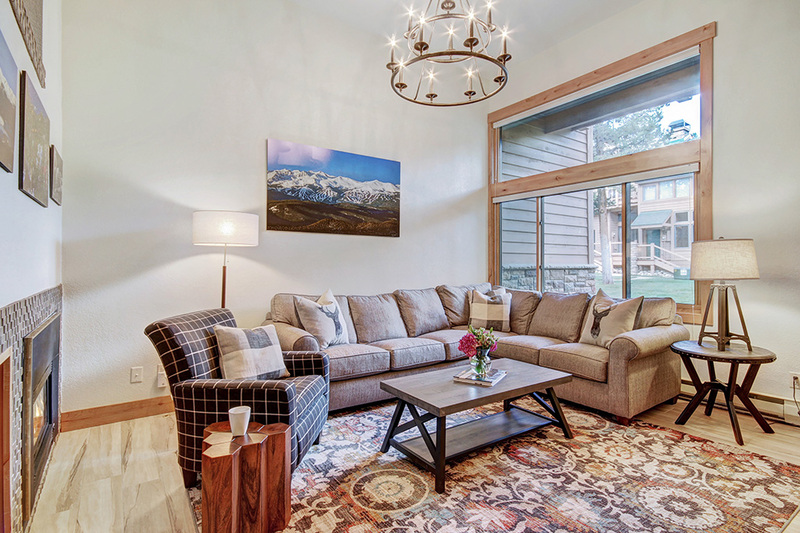 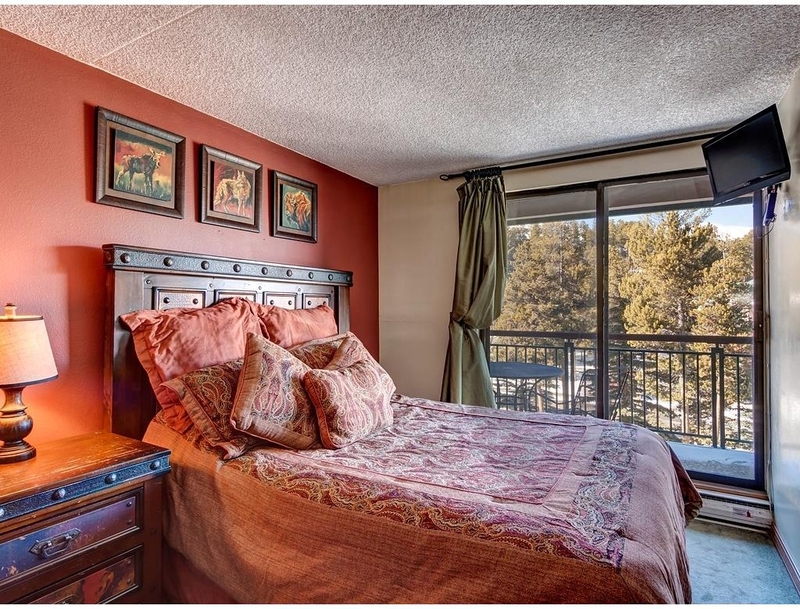 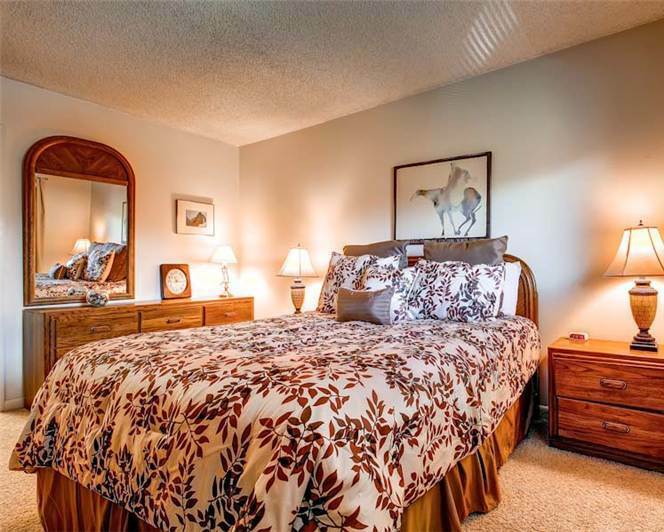 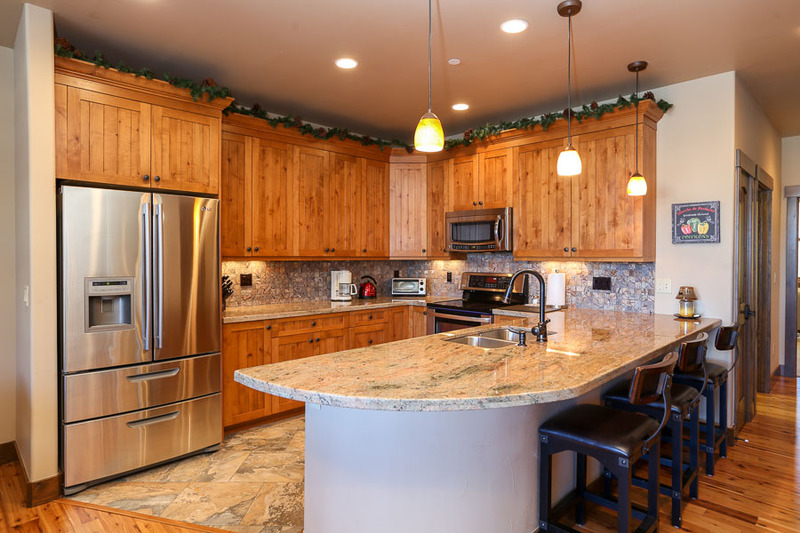 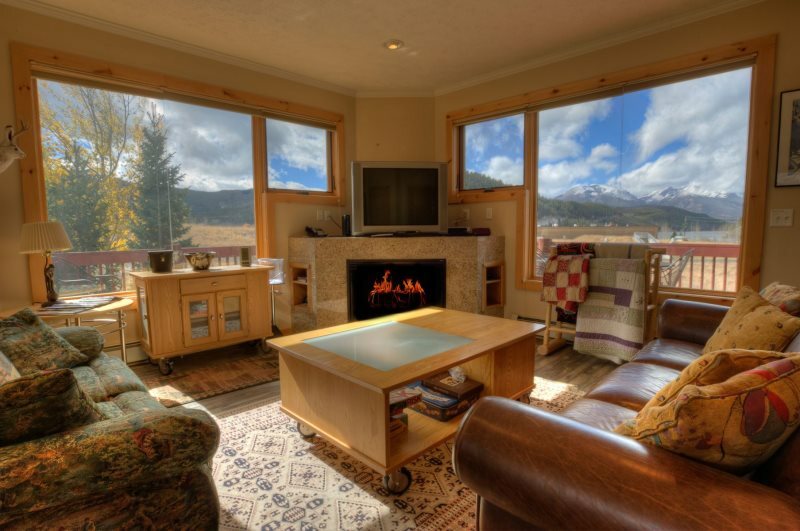 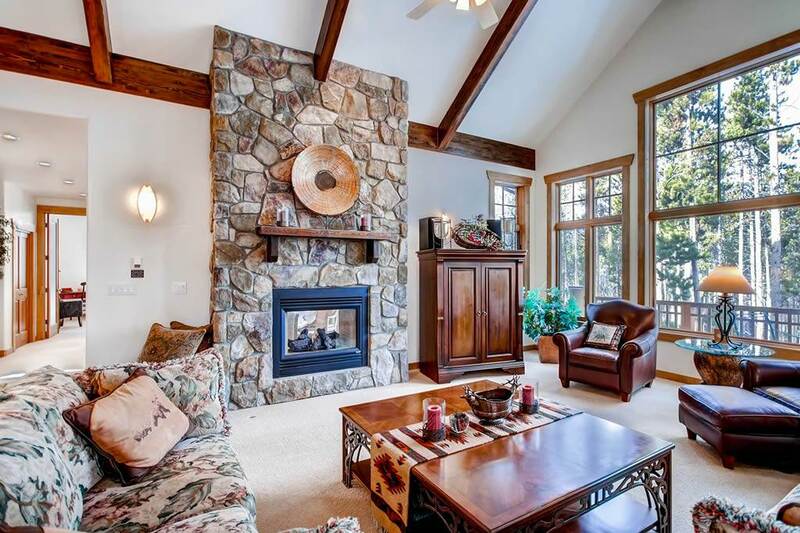 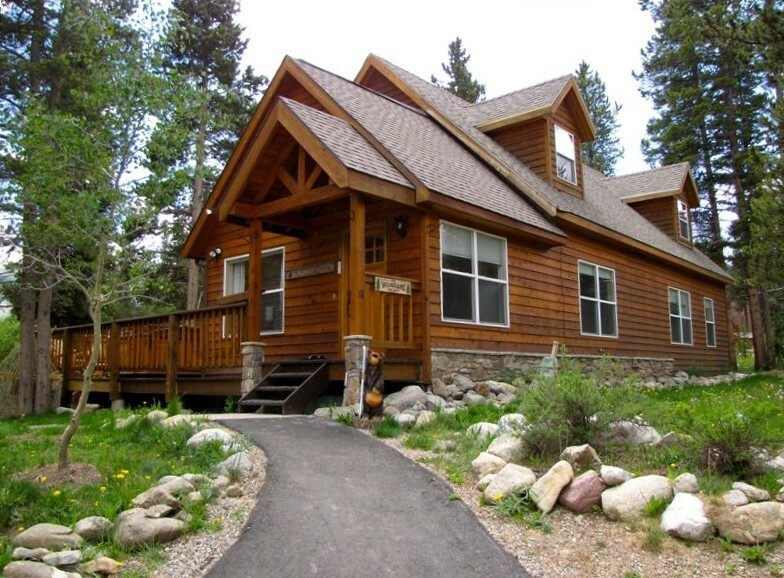 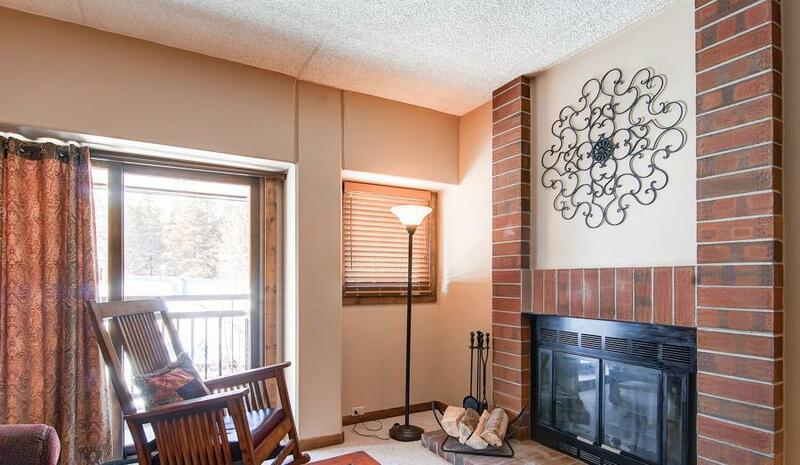 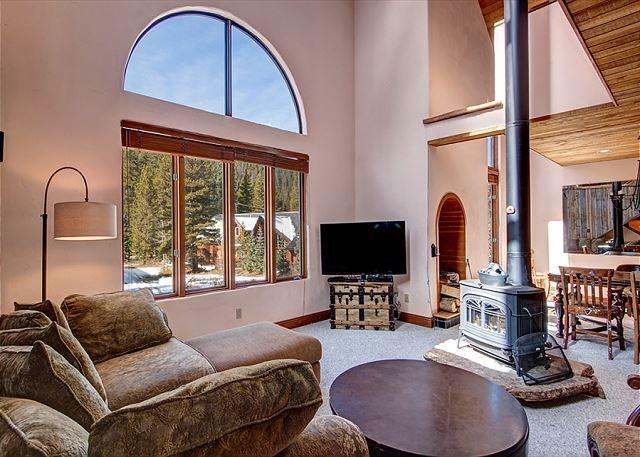 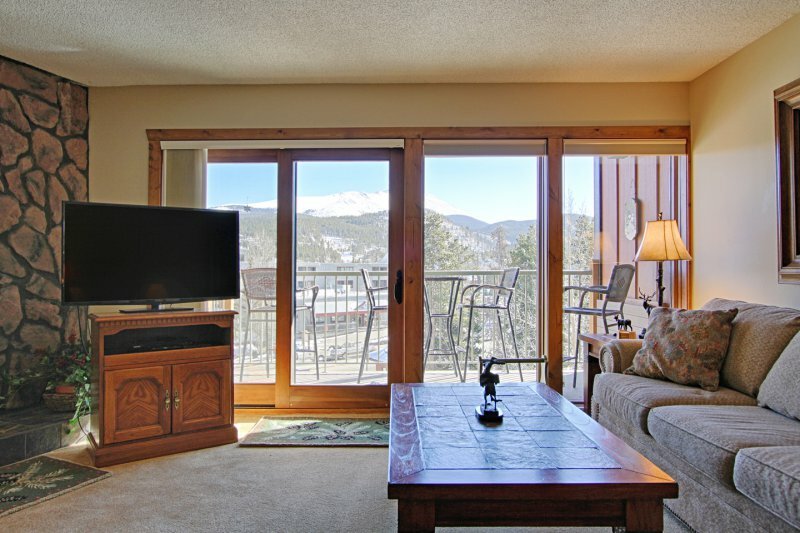 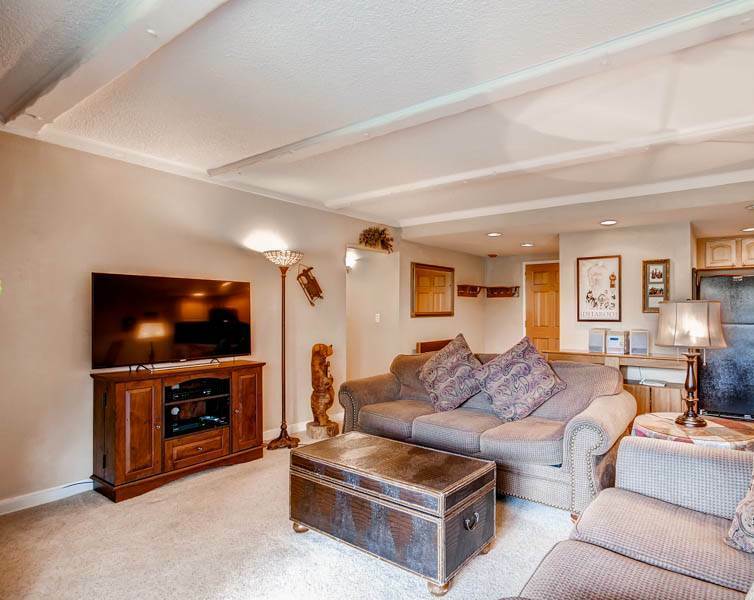 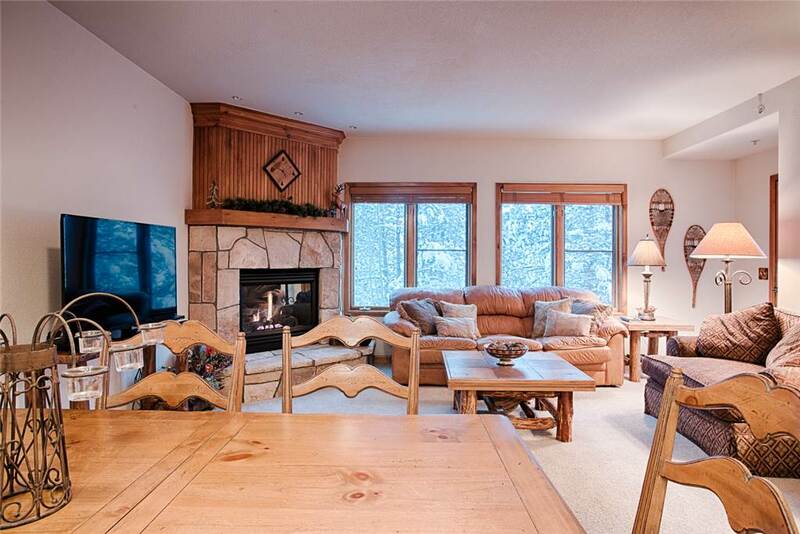 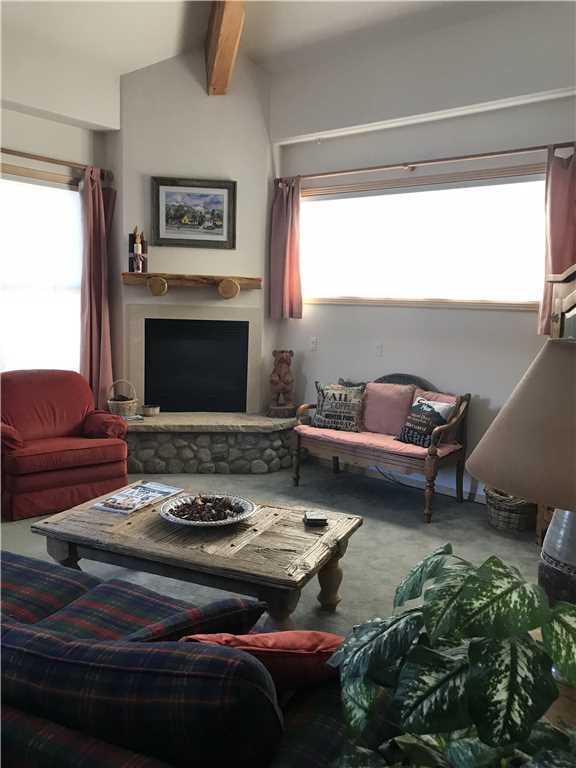 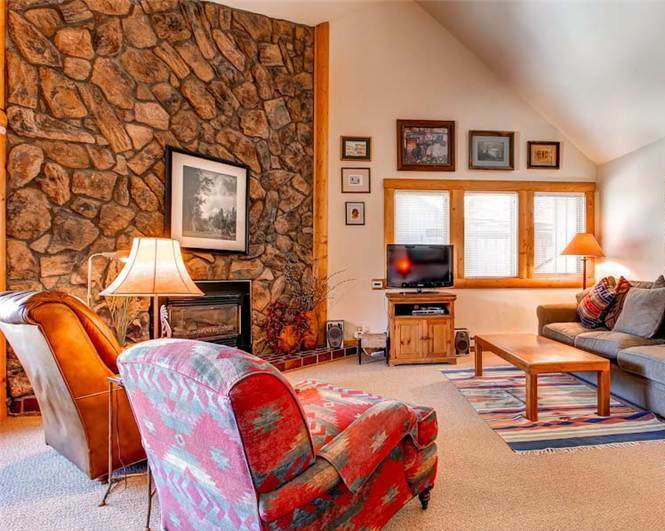 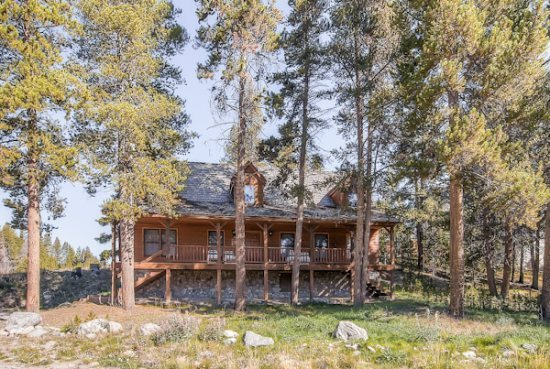 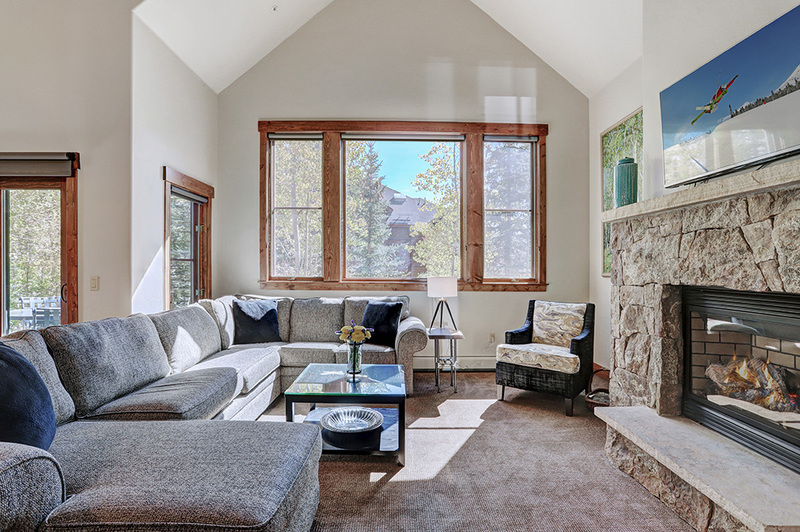 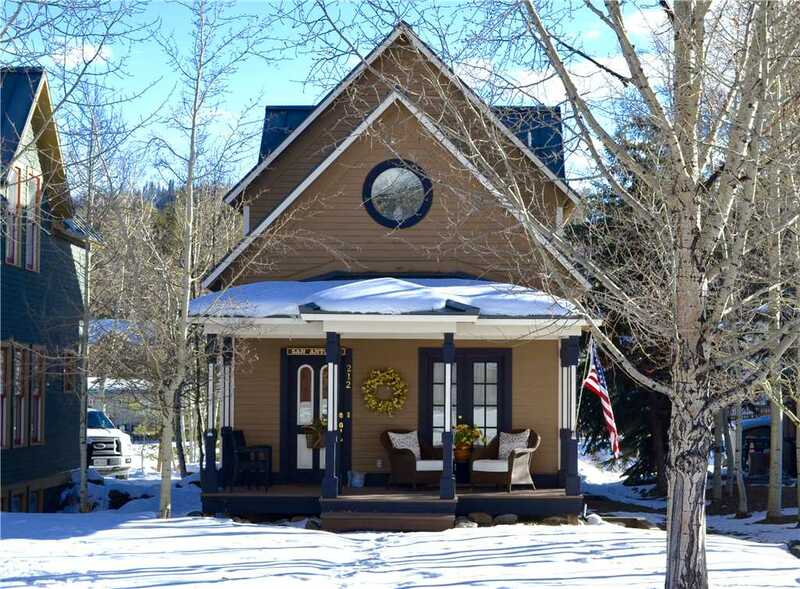 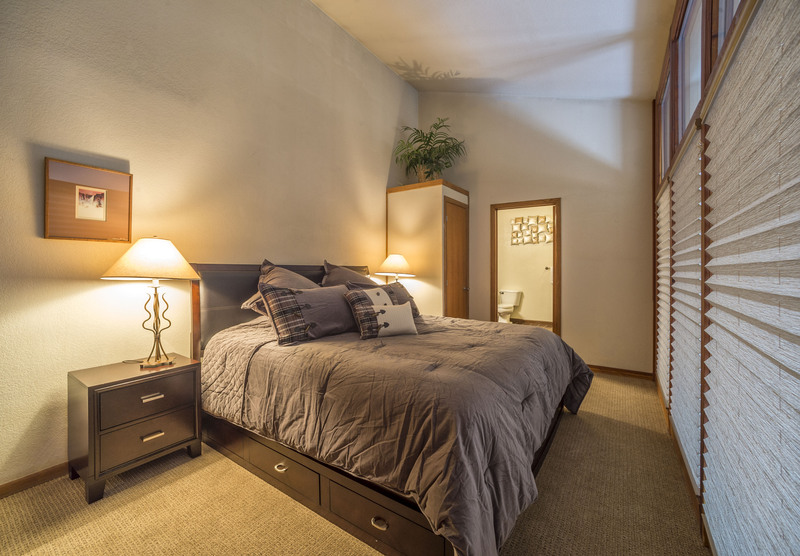 This three bedroom Park Forest Estates Townhome, built in 1994, is a deluxe property located a few blocks from the base of Peak 8, and approximately 1.5 miles from downtown Breckenridge. 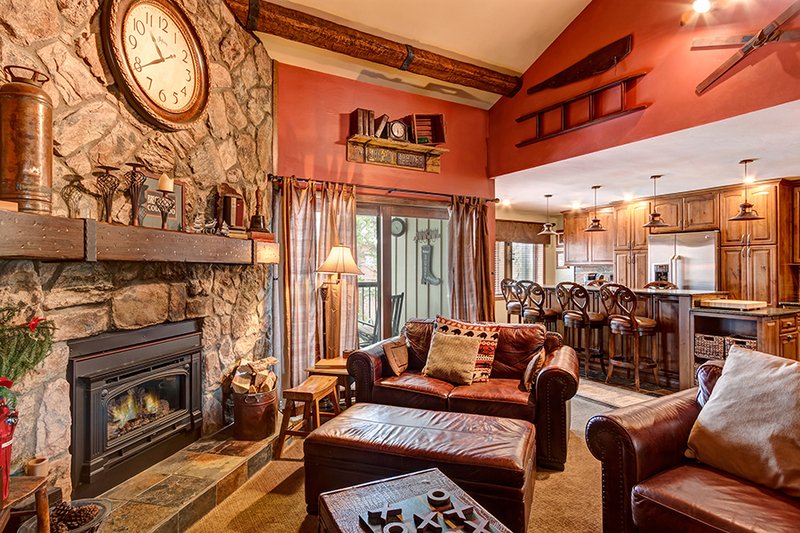 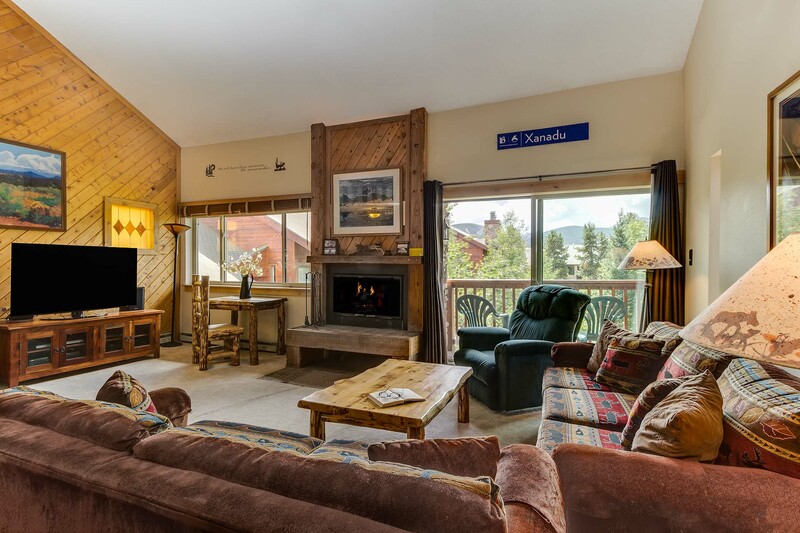 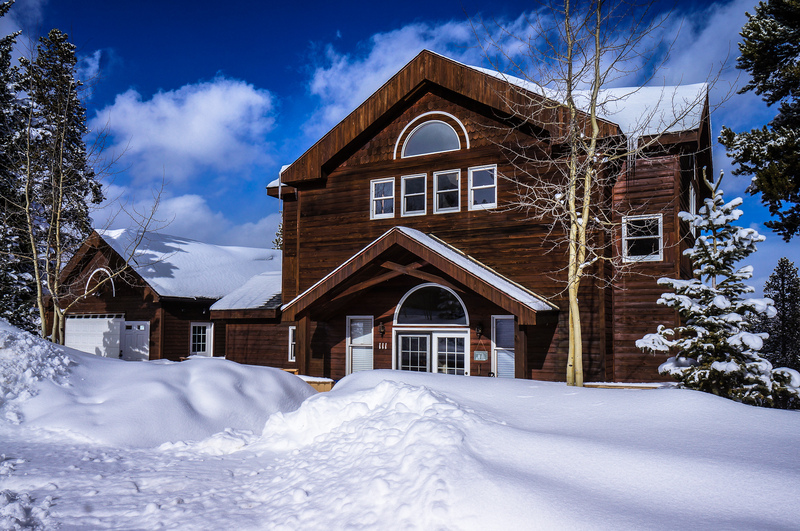 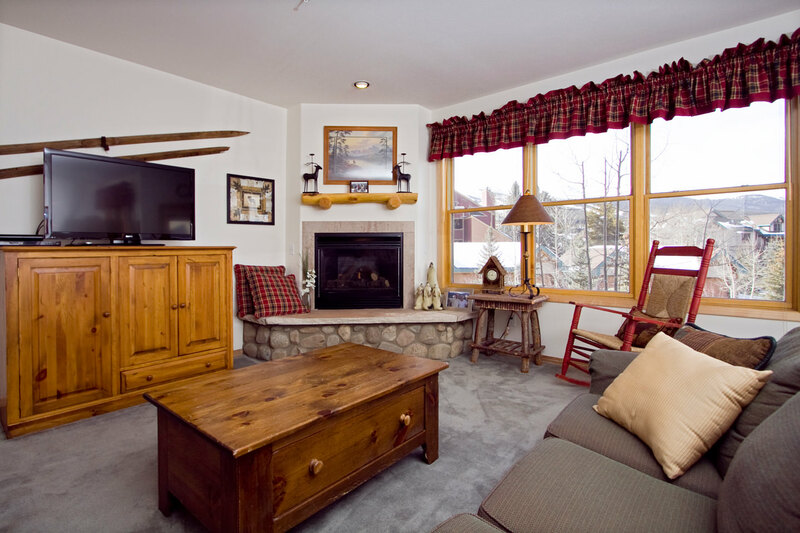 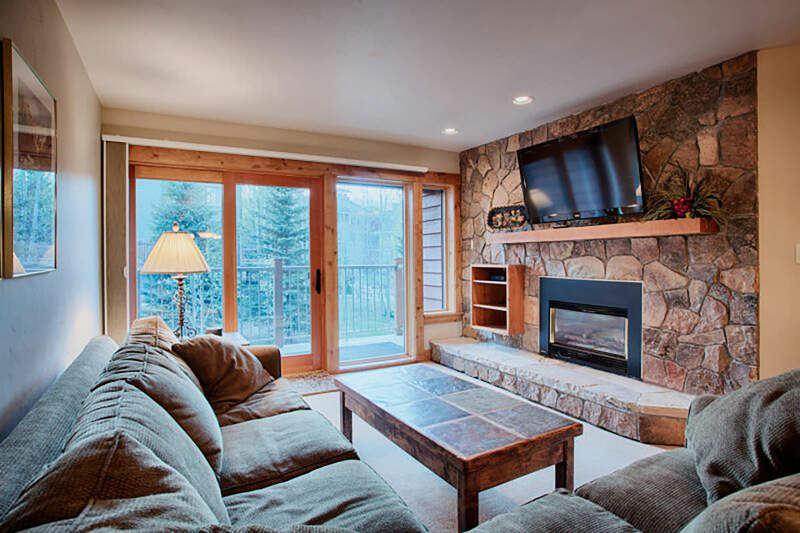 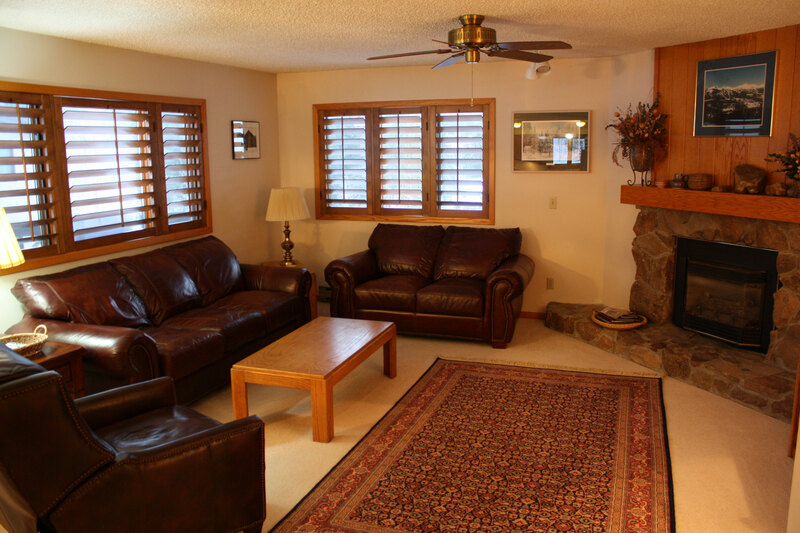 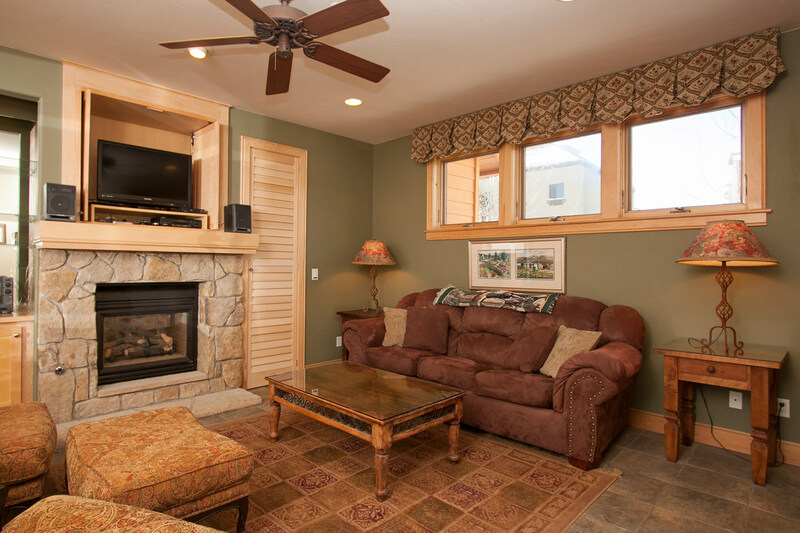 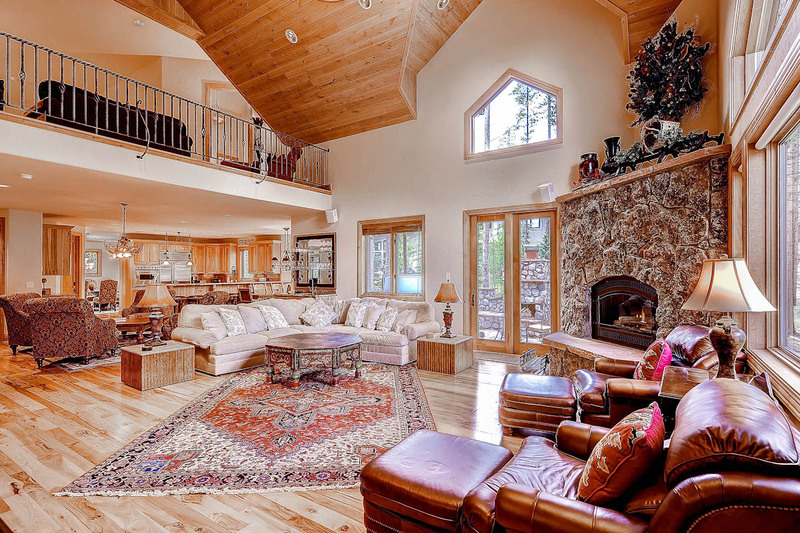 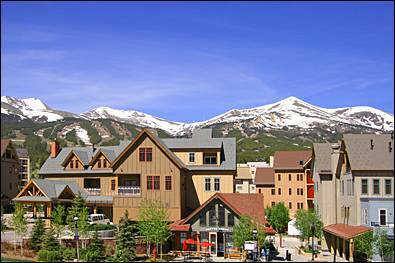 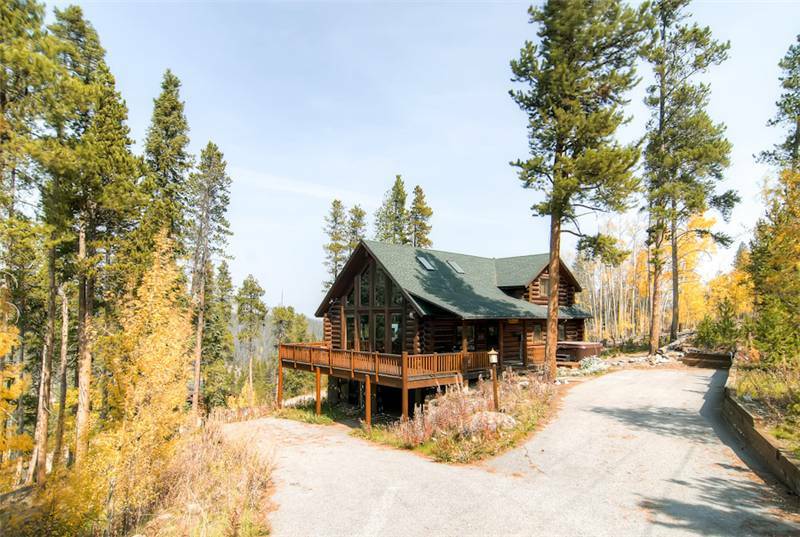 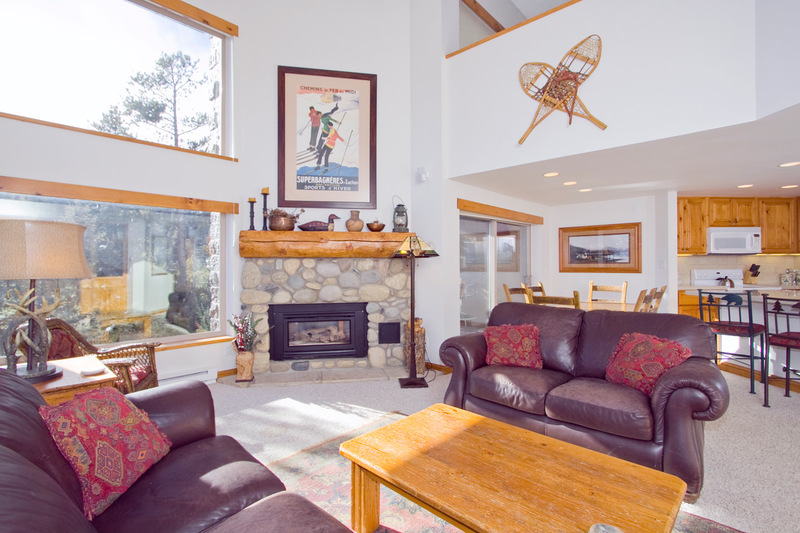 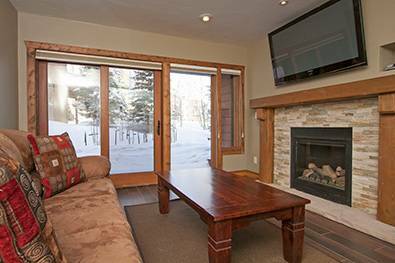 The free town and ski area shuttle stop is a short walk from the property for easy access to and from the mountain and town. 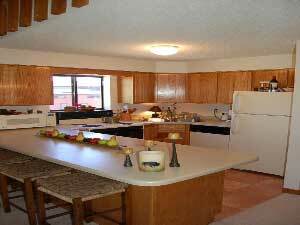 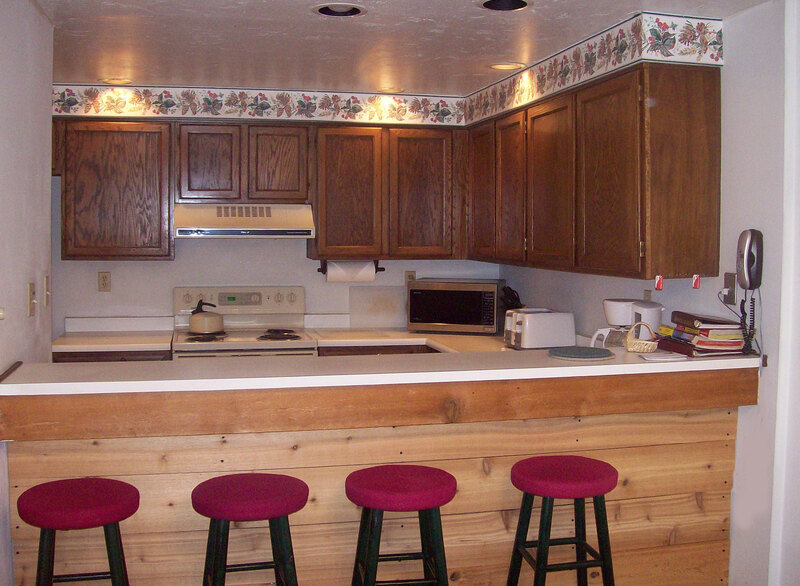 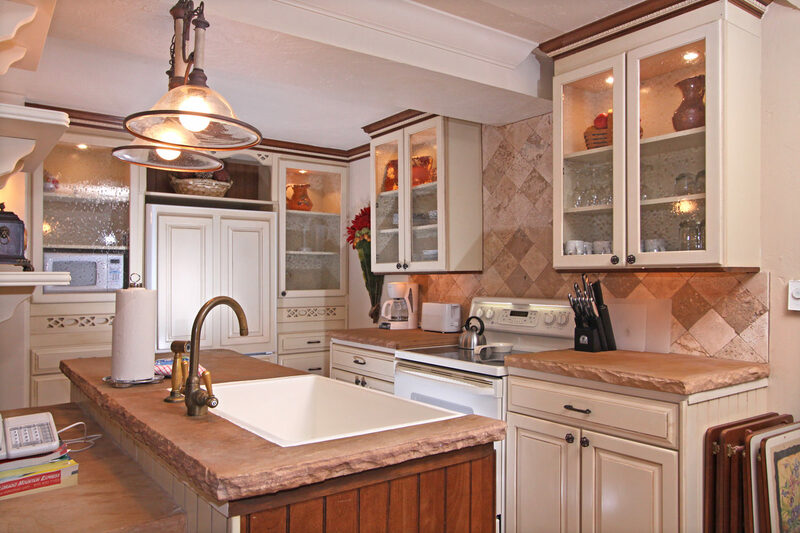 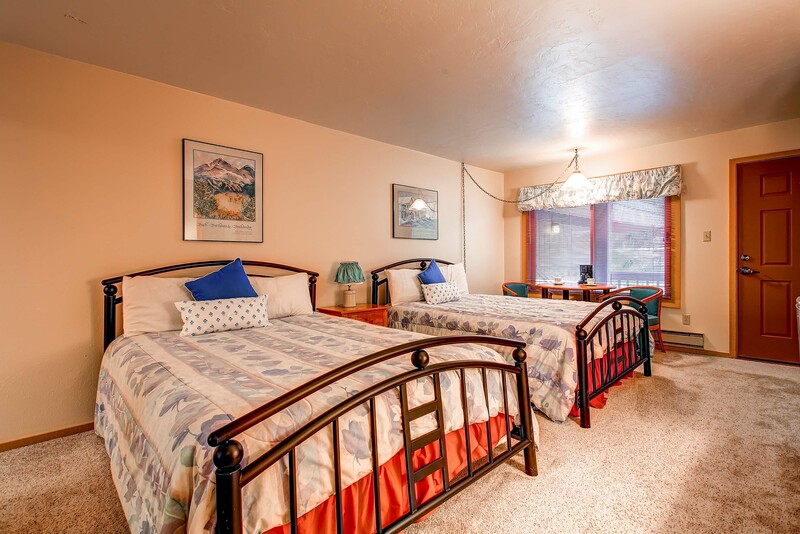 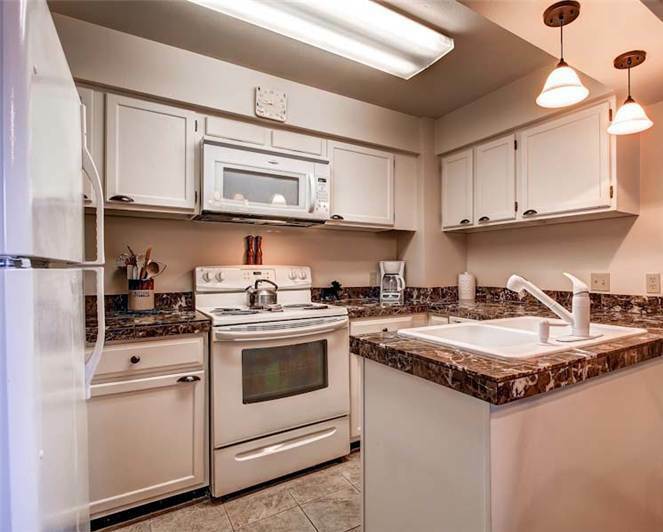 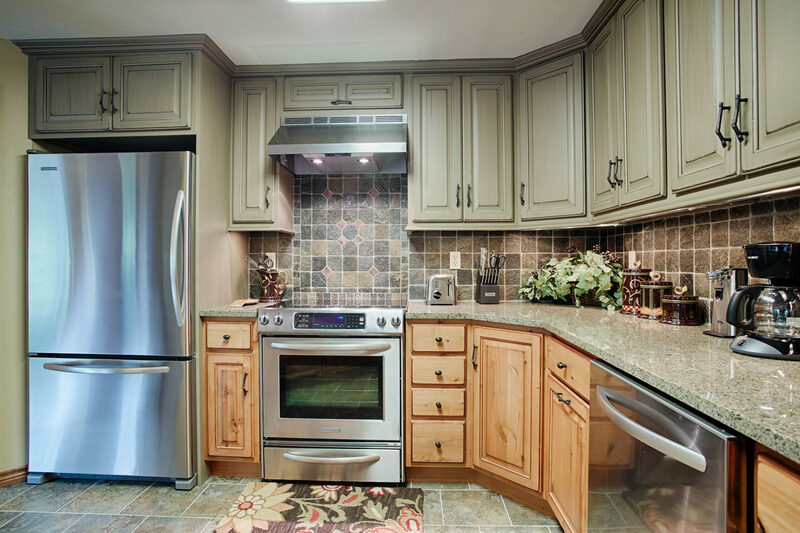 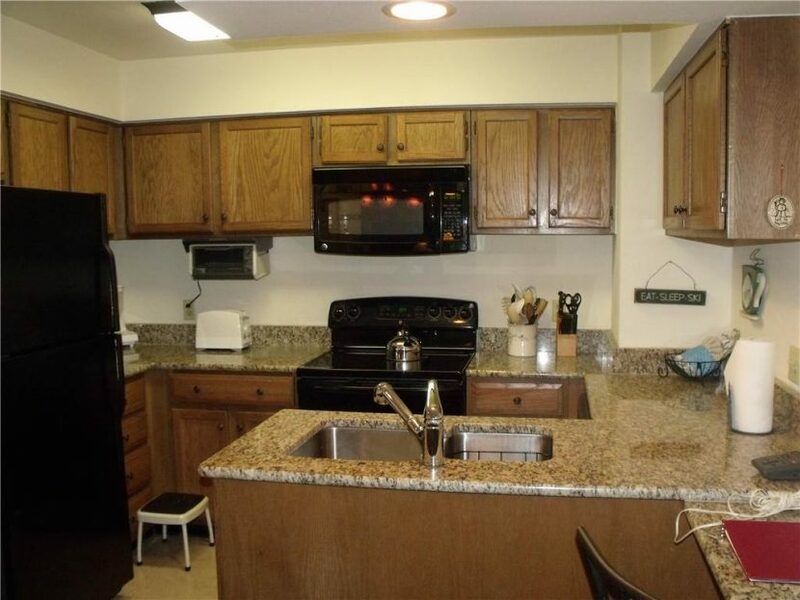 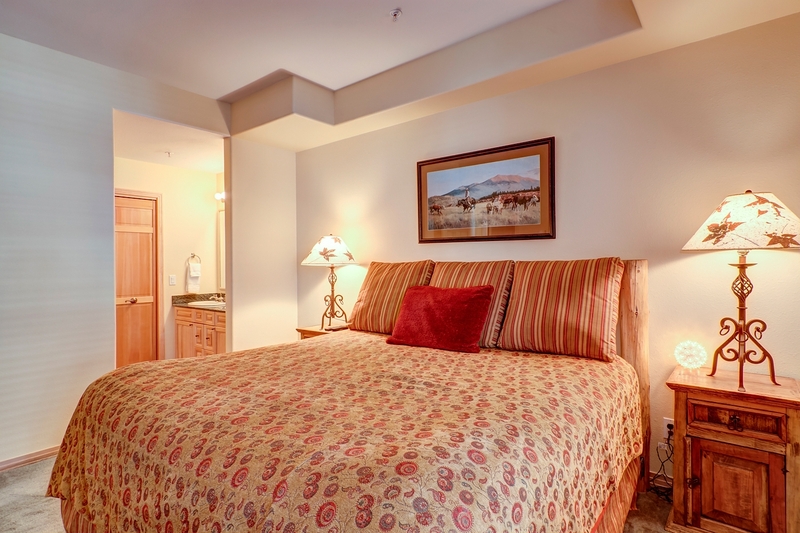 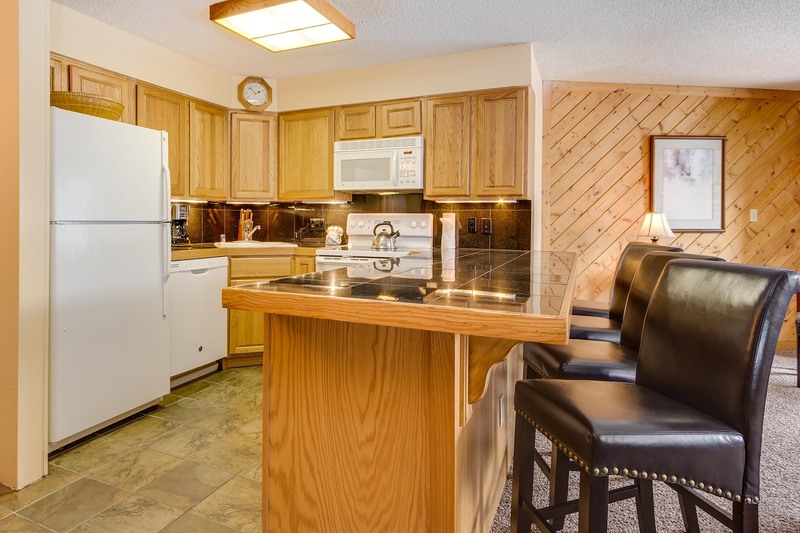 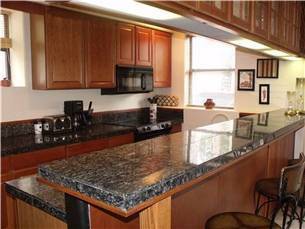 Nicely remodeled with updated bathrooms, new appliances, and flat screens. 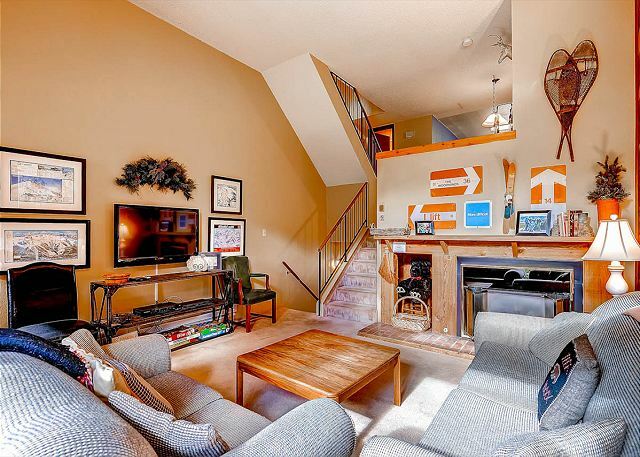 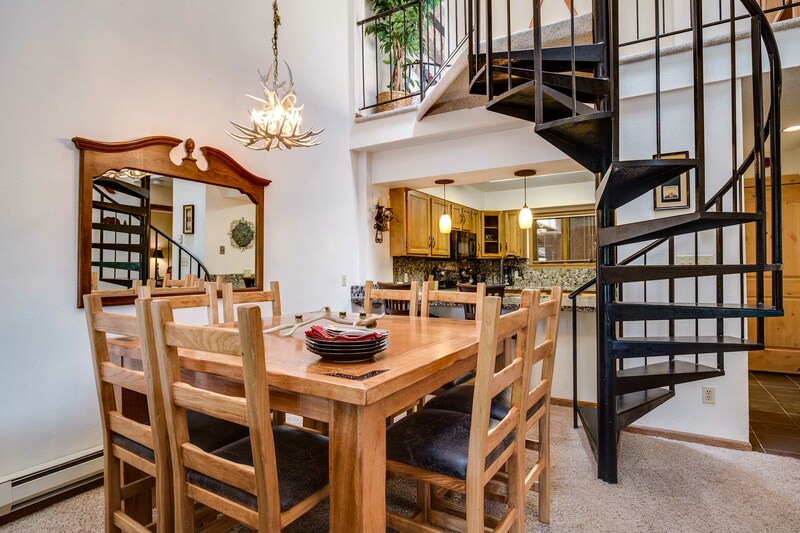 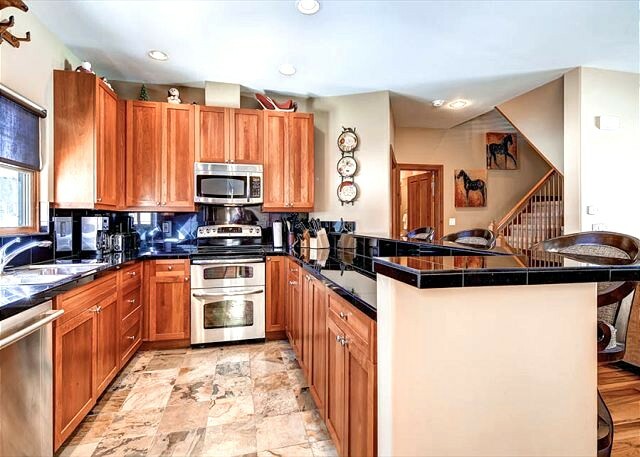 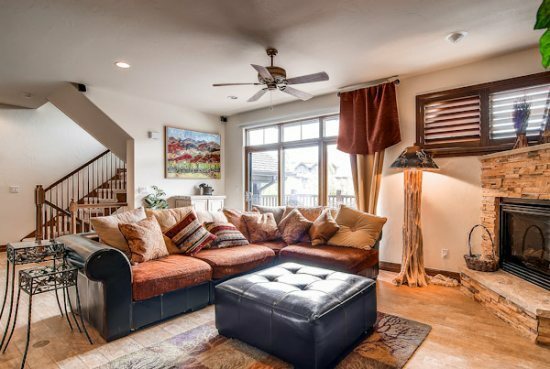 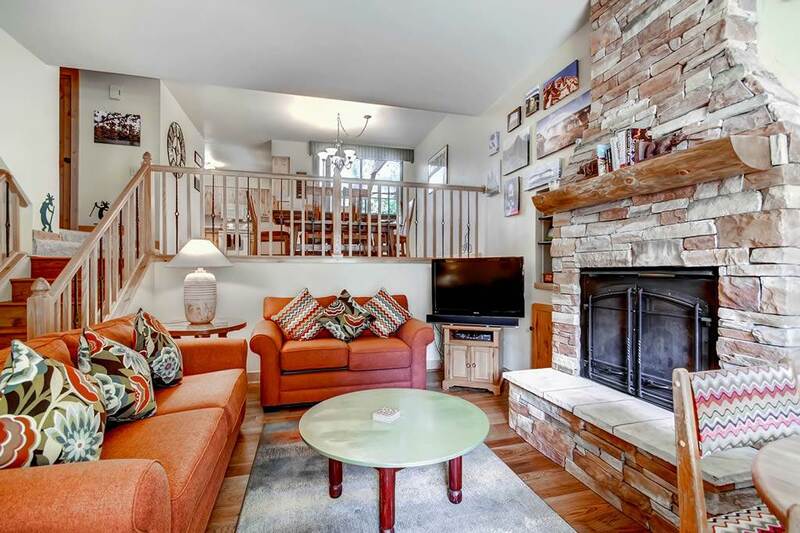 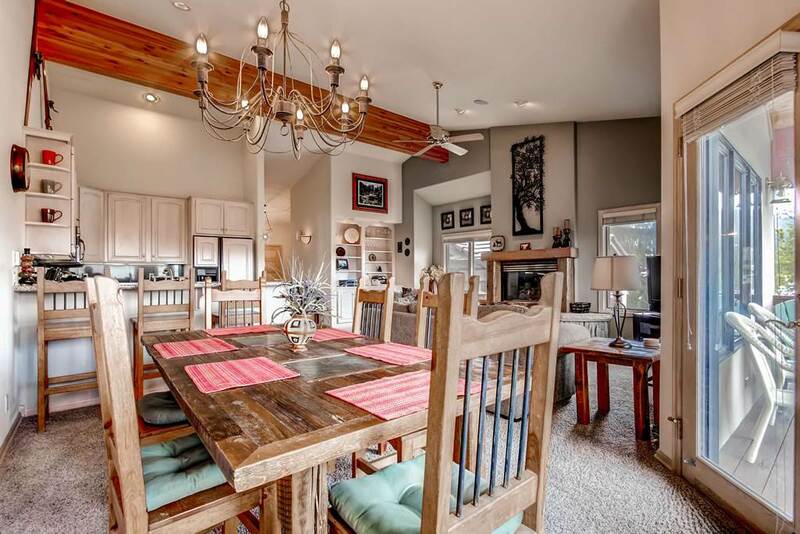 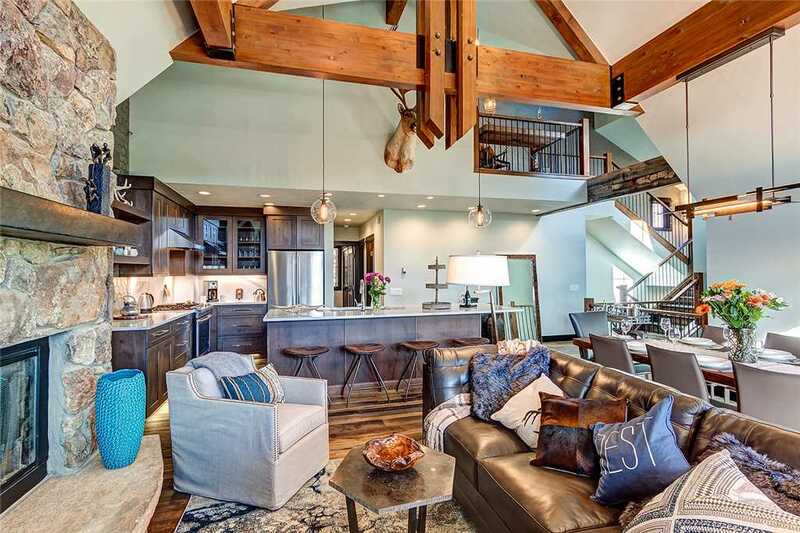 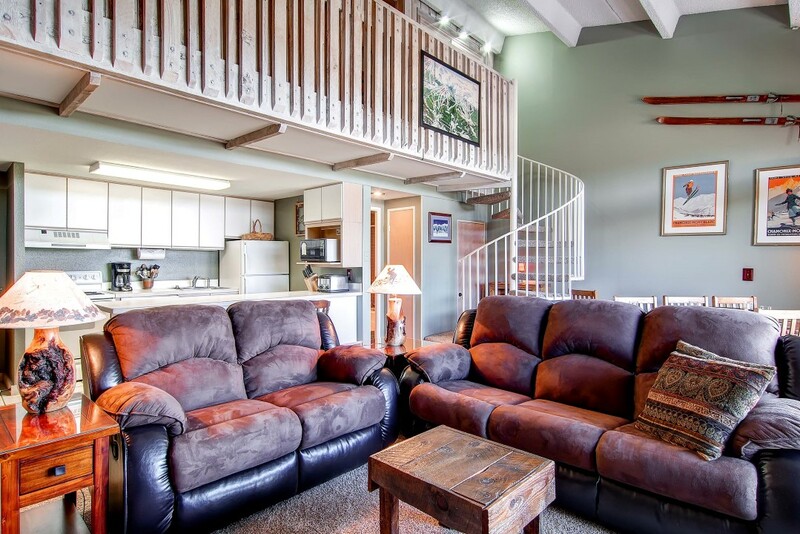 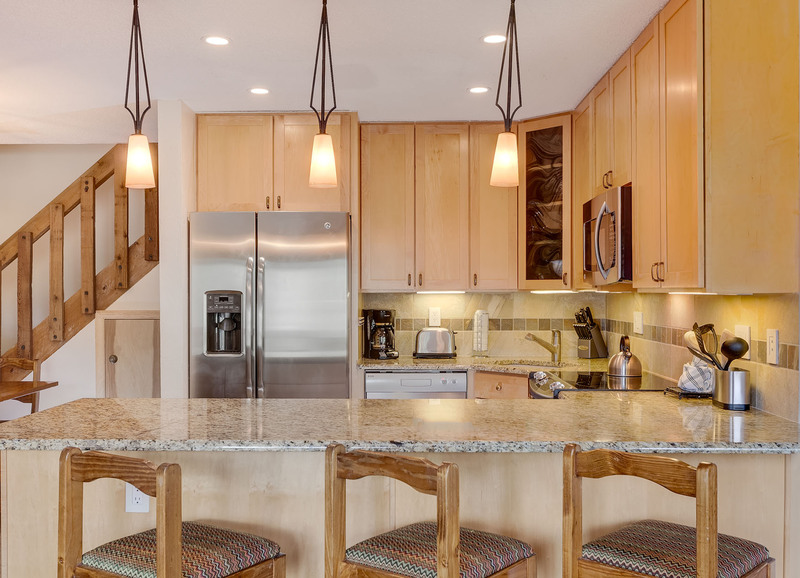 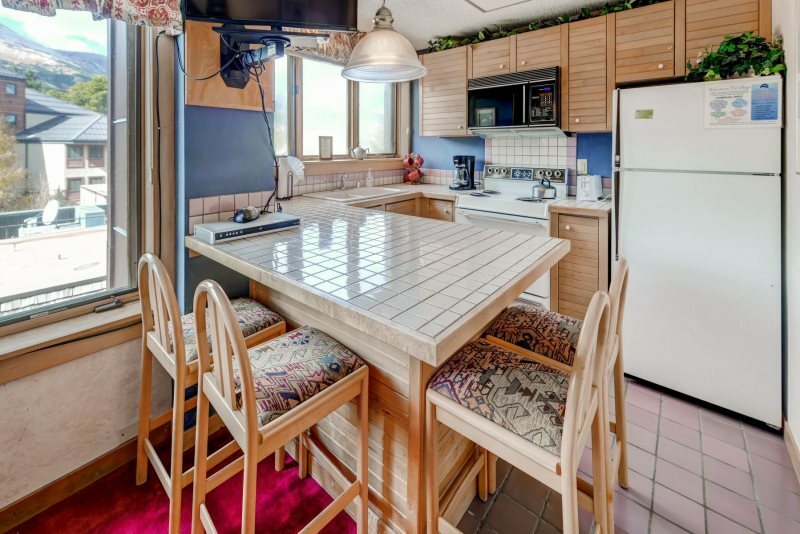 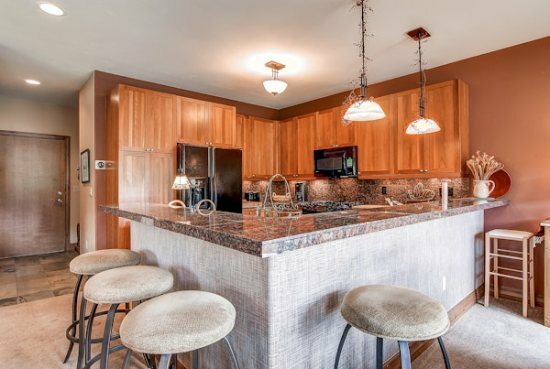 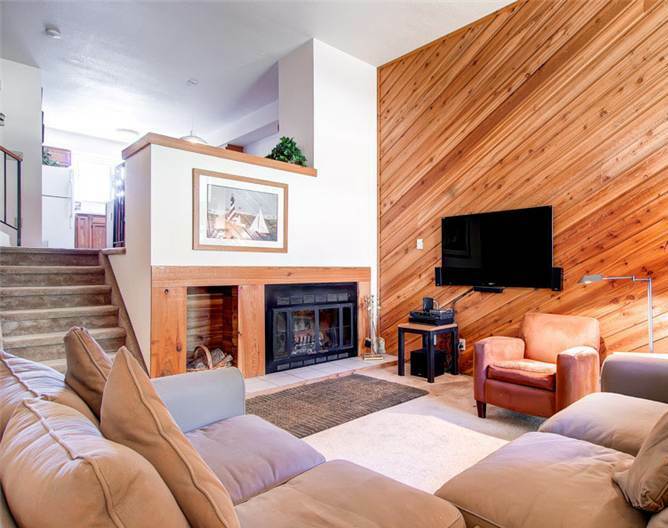 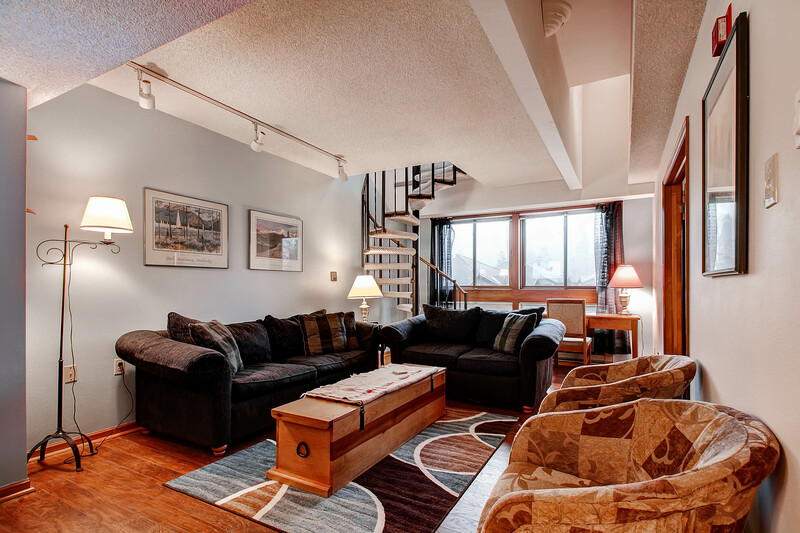 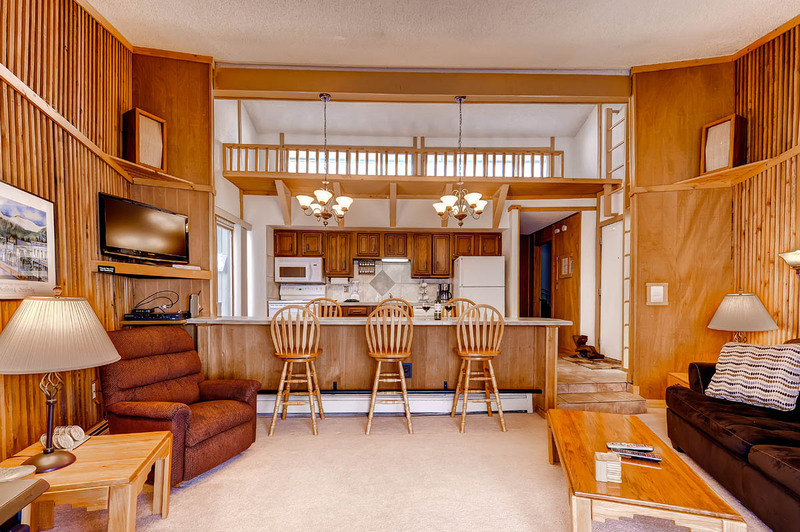 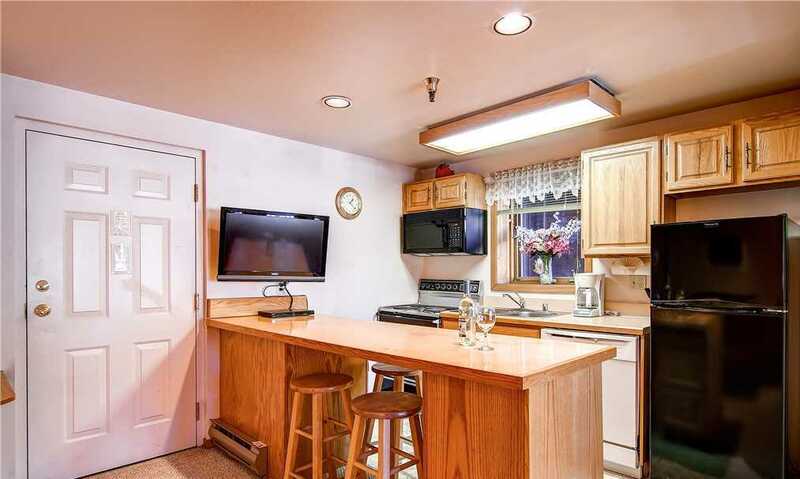 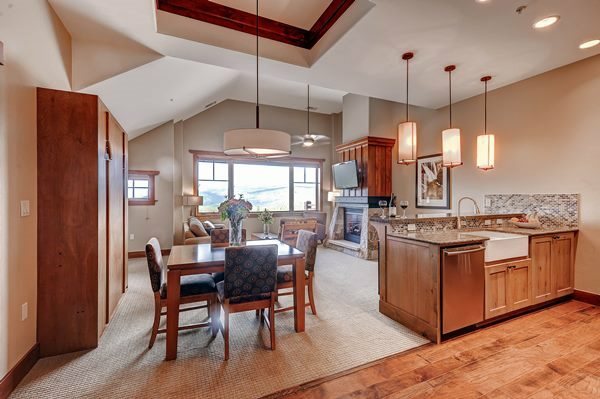 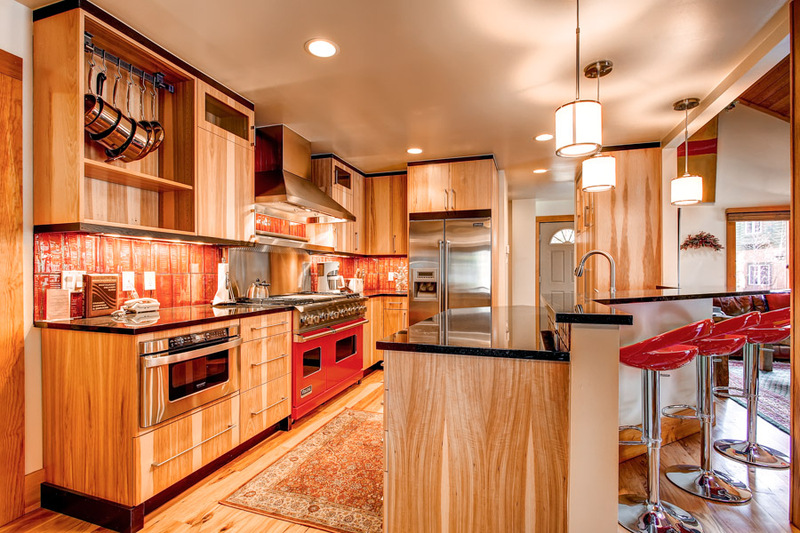 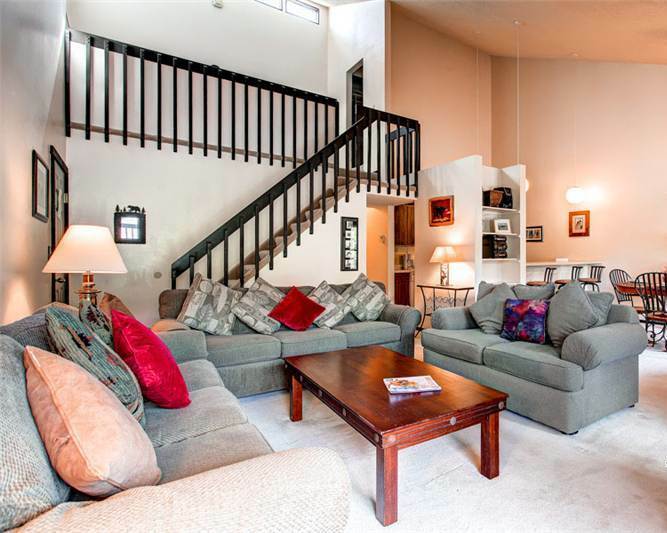 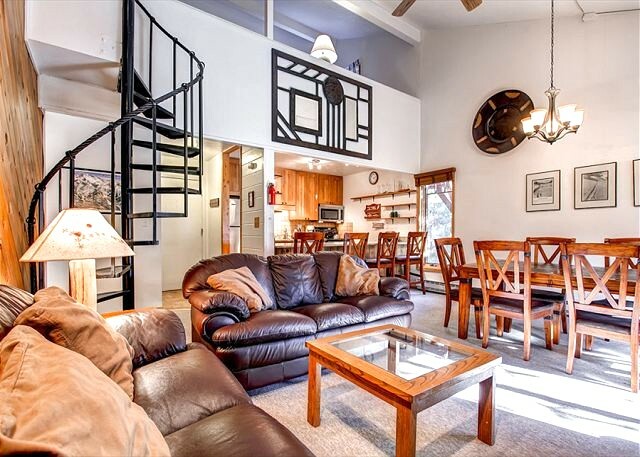 This duplex-style townhome features a multi-level floorplan, with vaulted living area, private deck with a private hot tub, full kitchen, gas grill and garage parking.